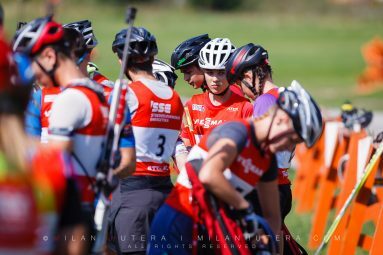 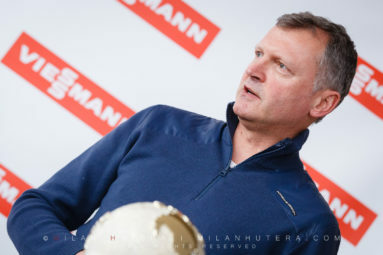 Photogallery from 2018 Viessmann Cup Round 1 in Osrblie, Slovakia. 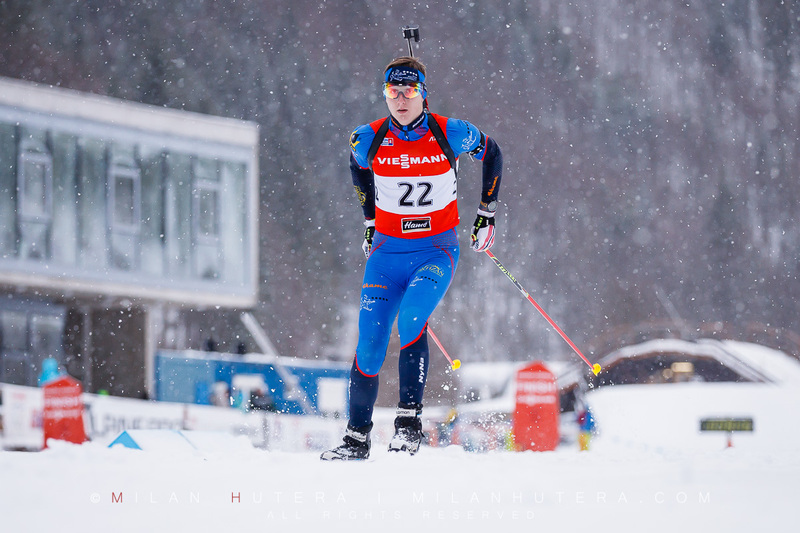 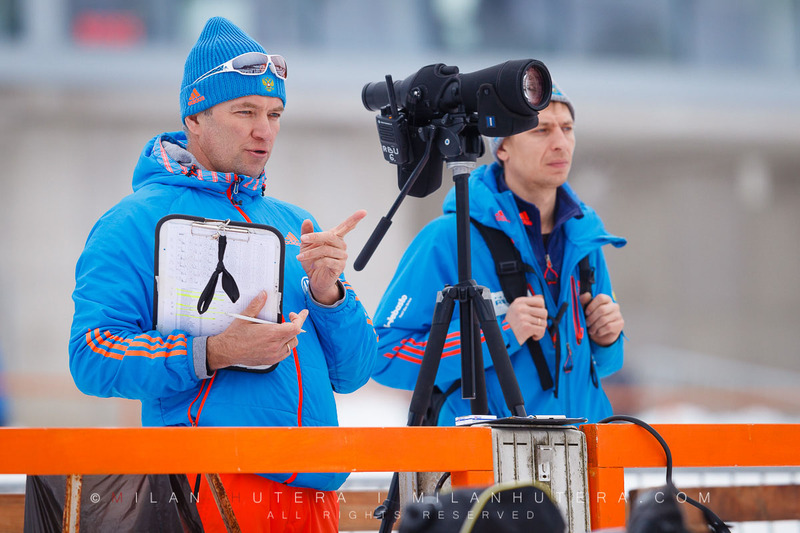 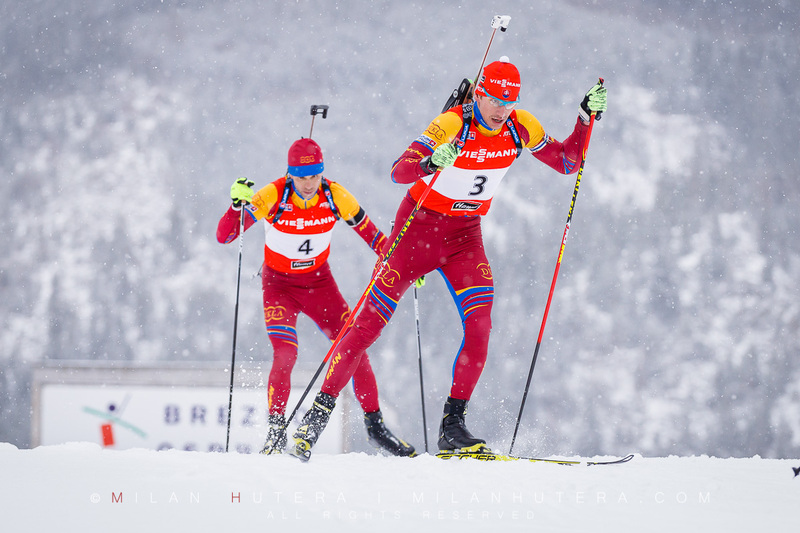 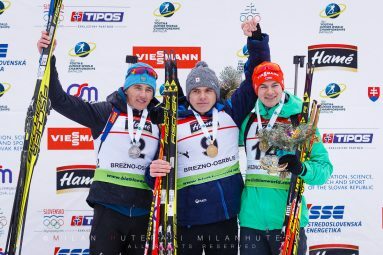 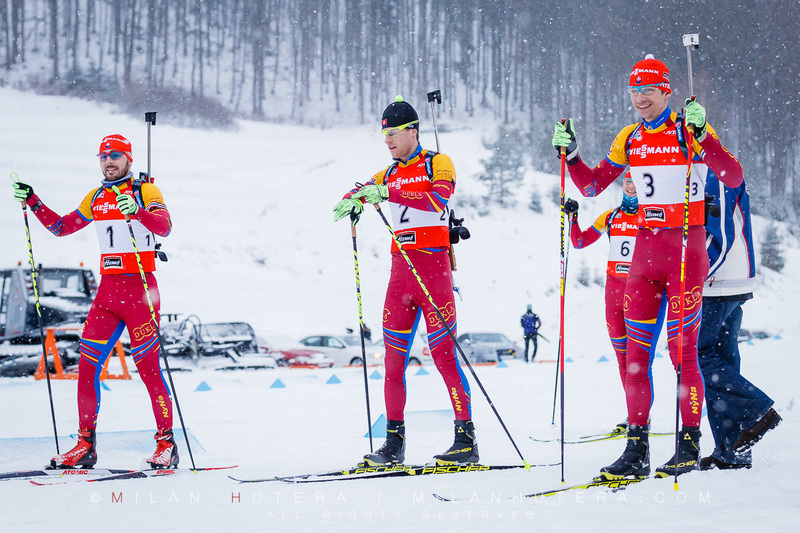 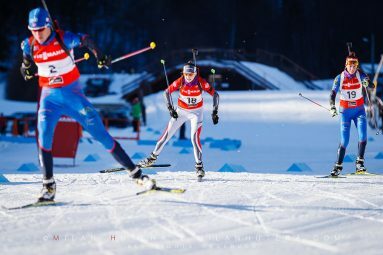 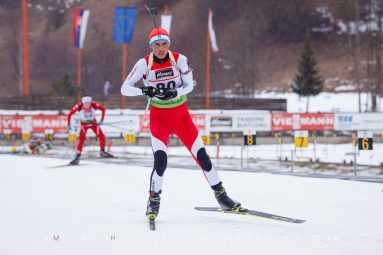 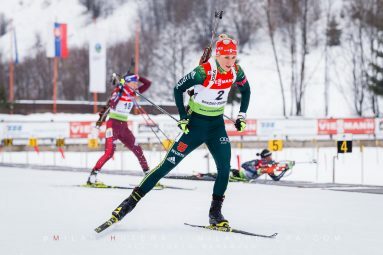 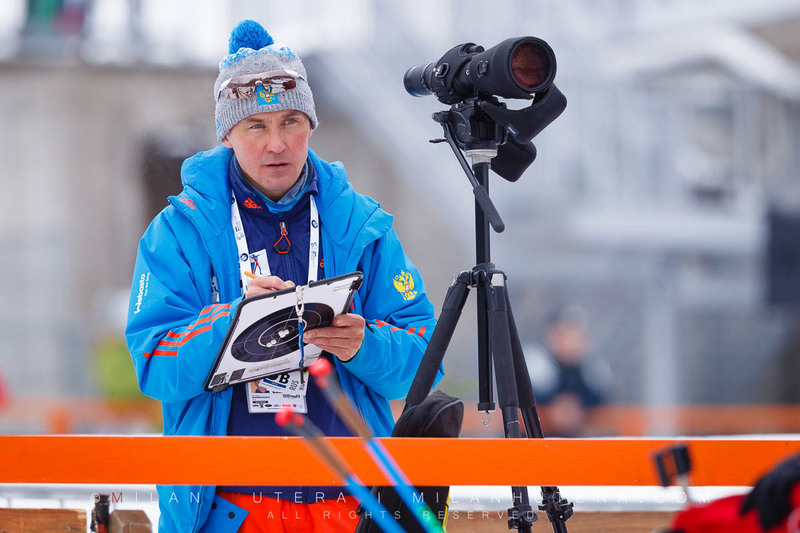 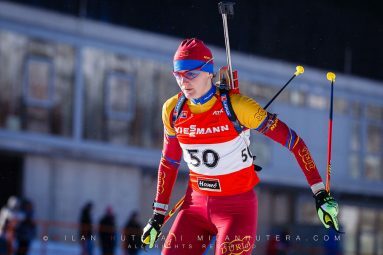 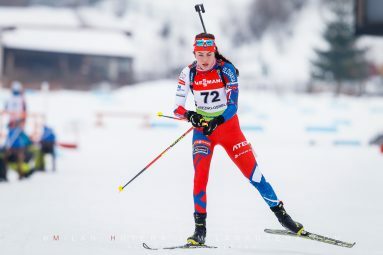 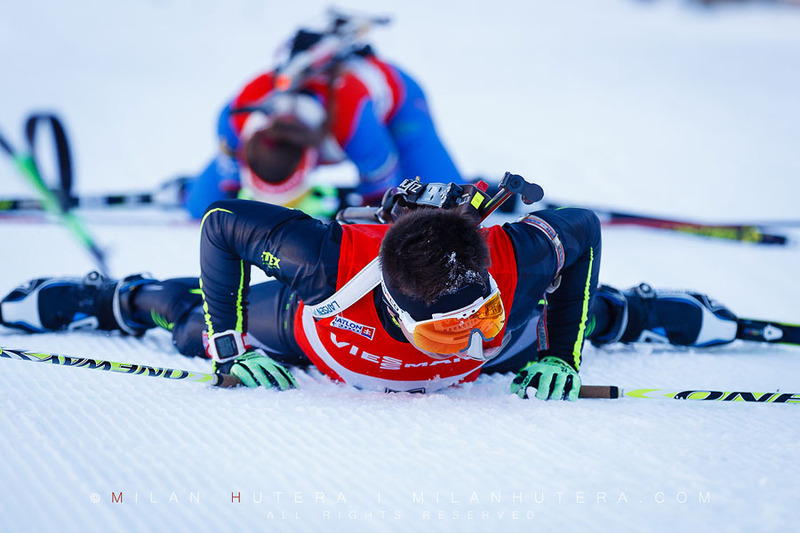 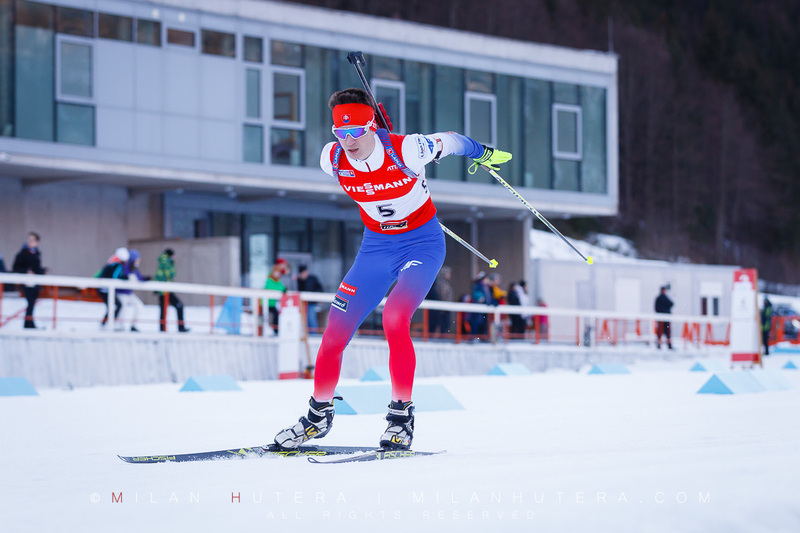 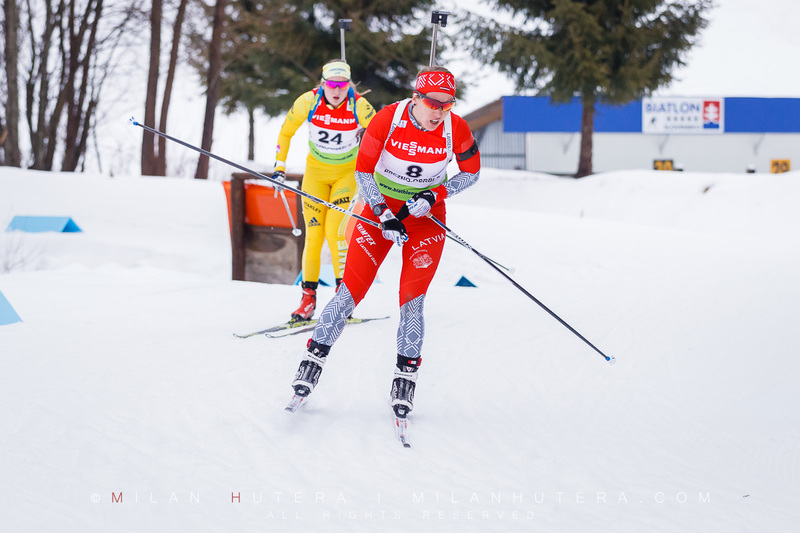 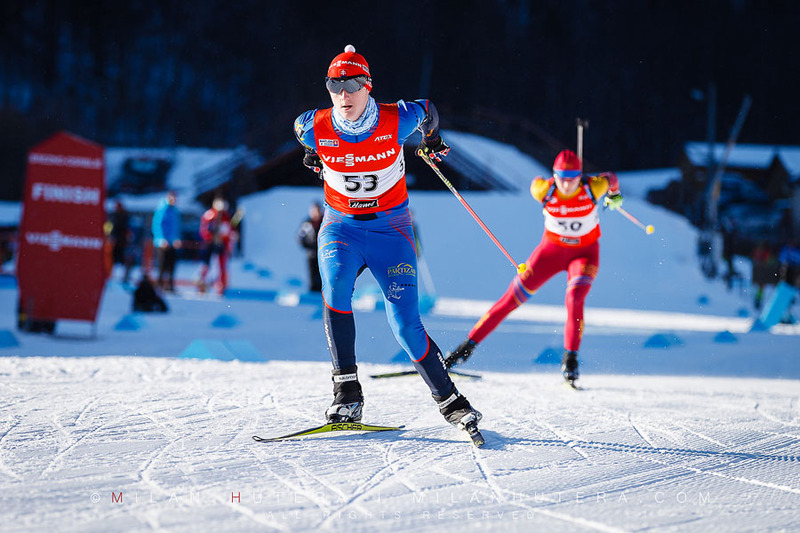 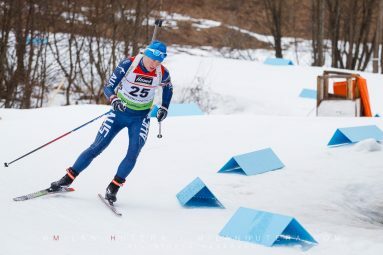 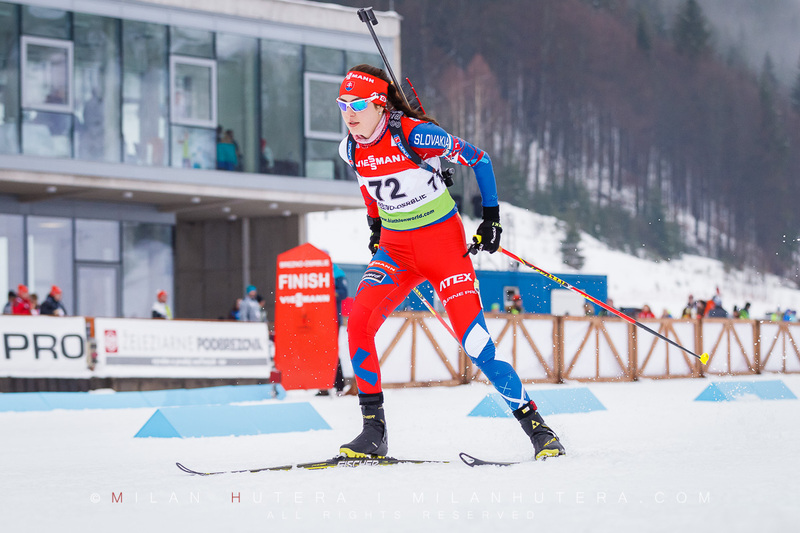 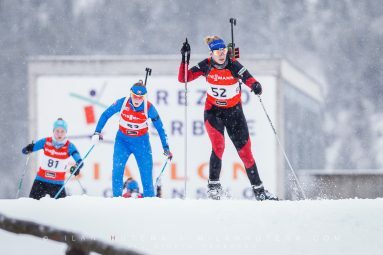 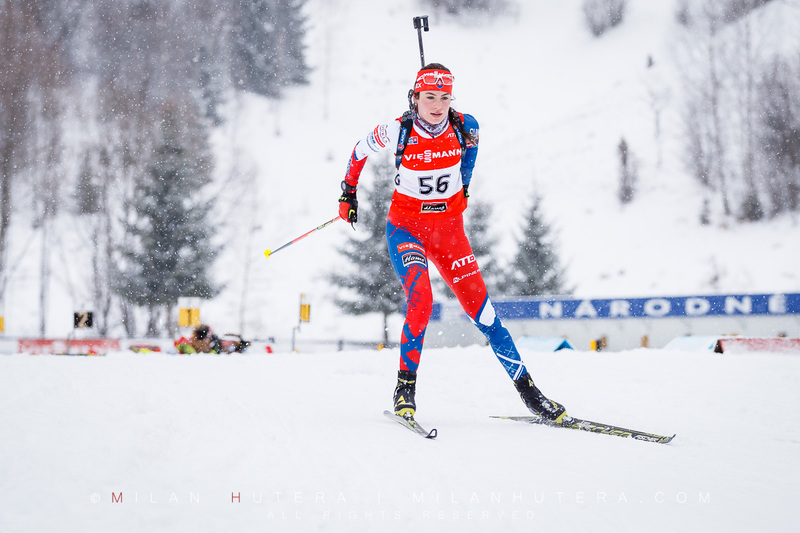 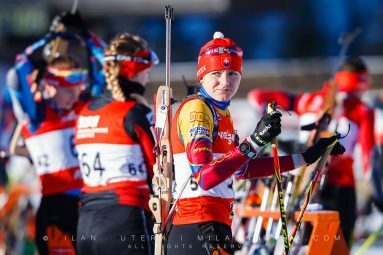 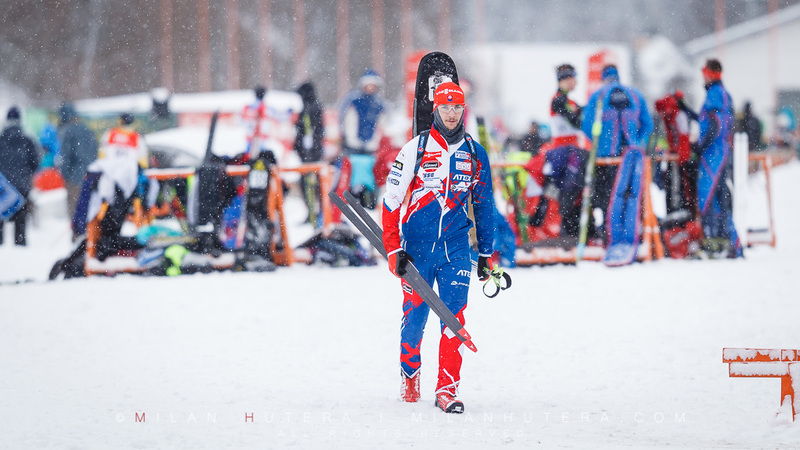 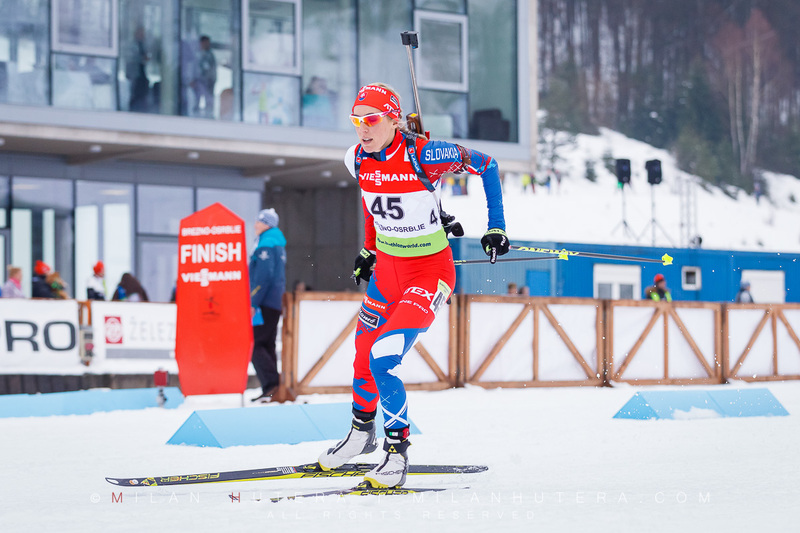 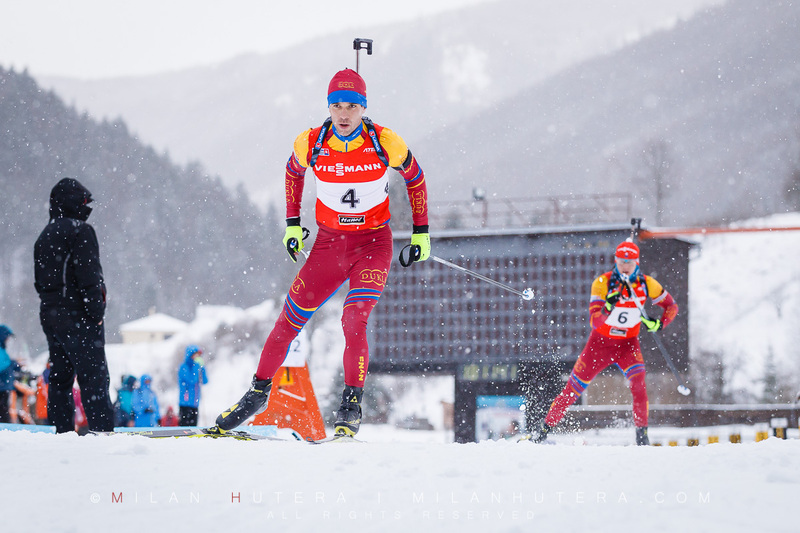 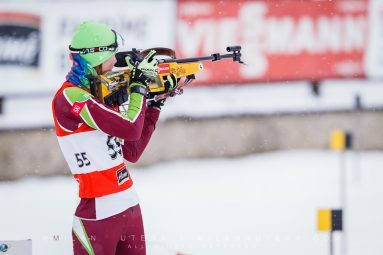 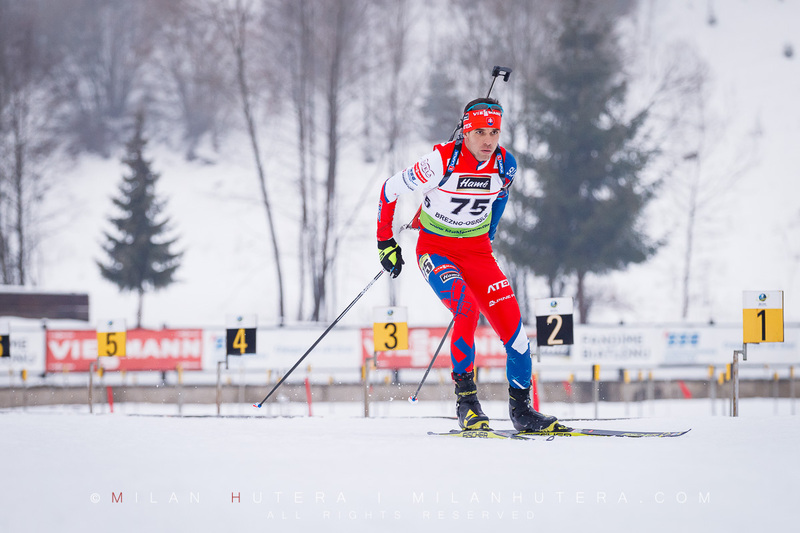 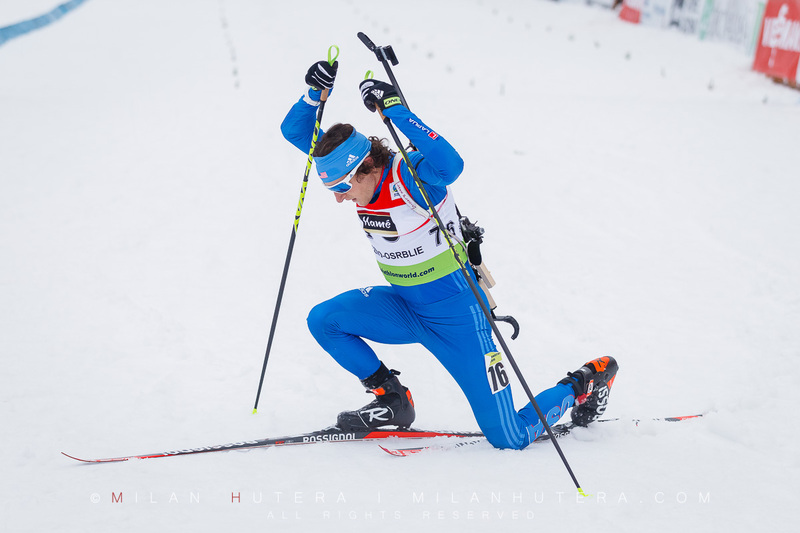 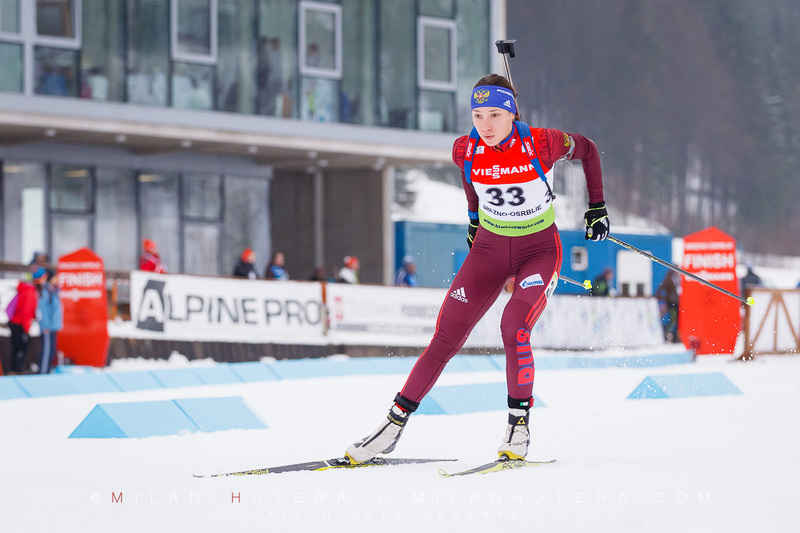 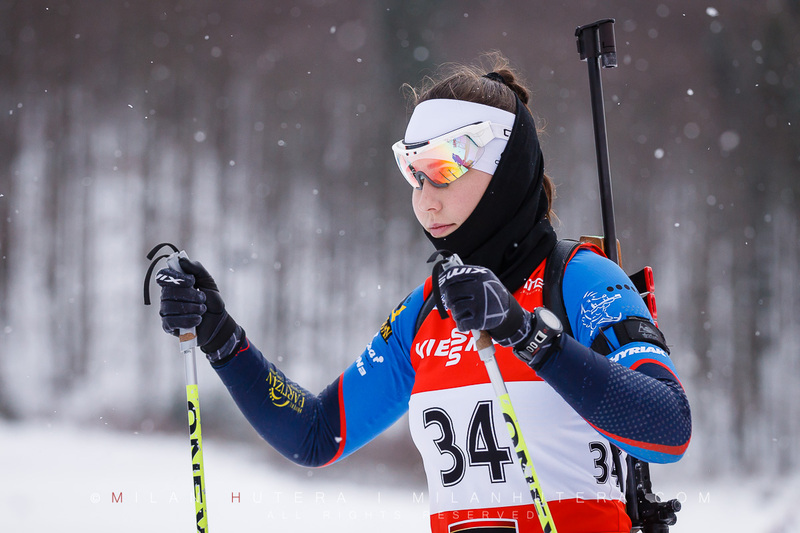 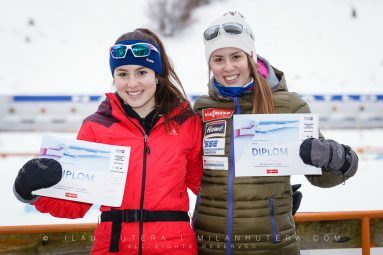 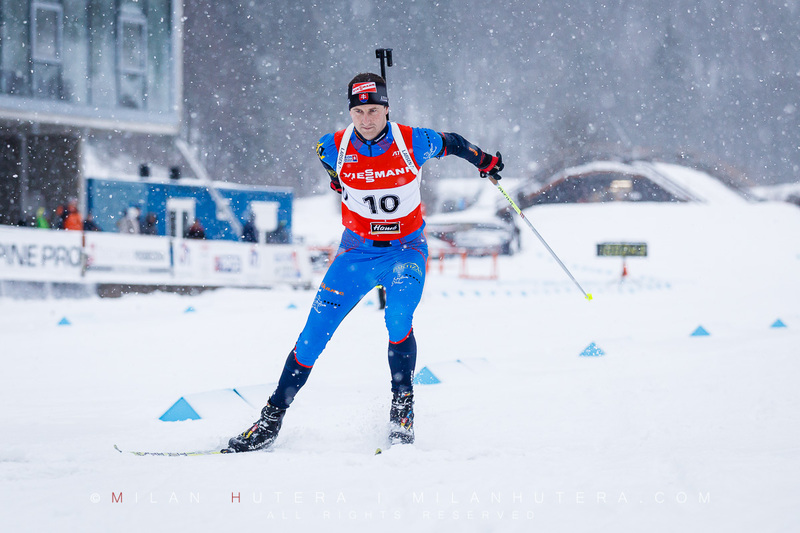 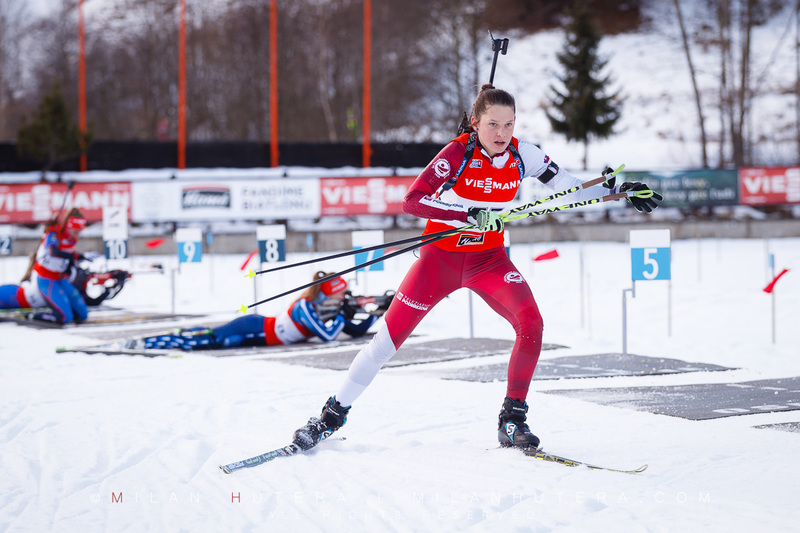 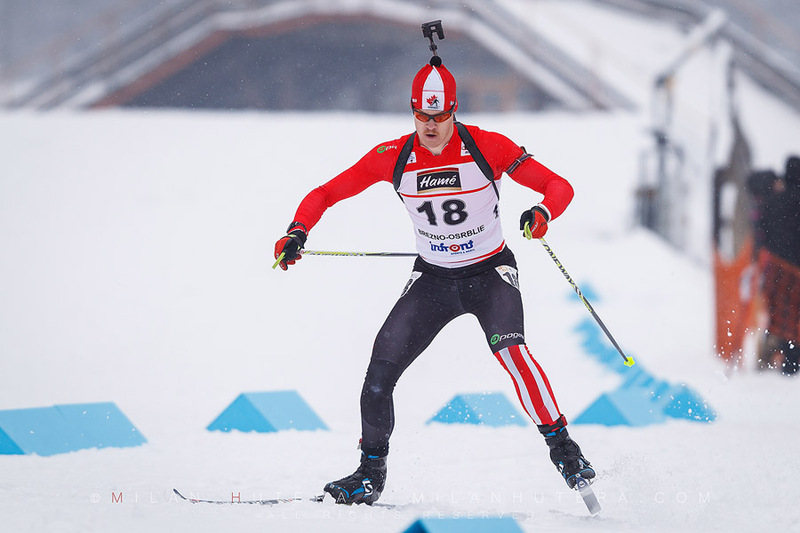 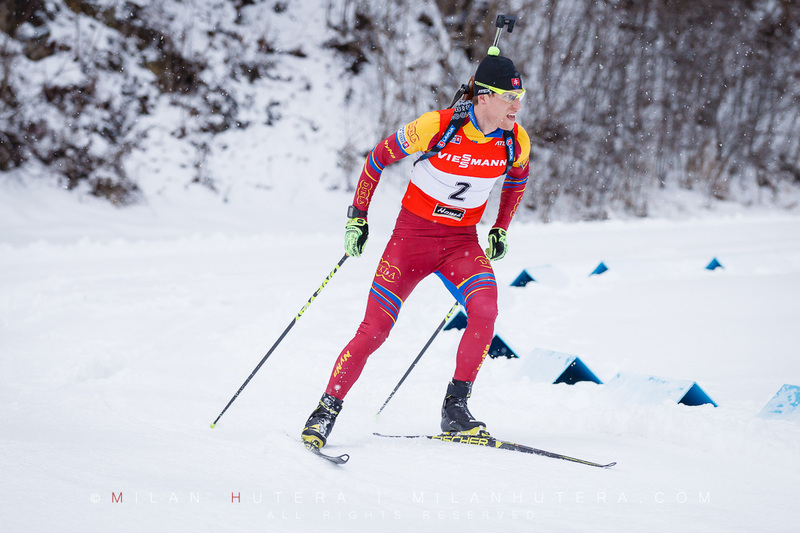 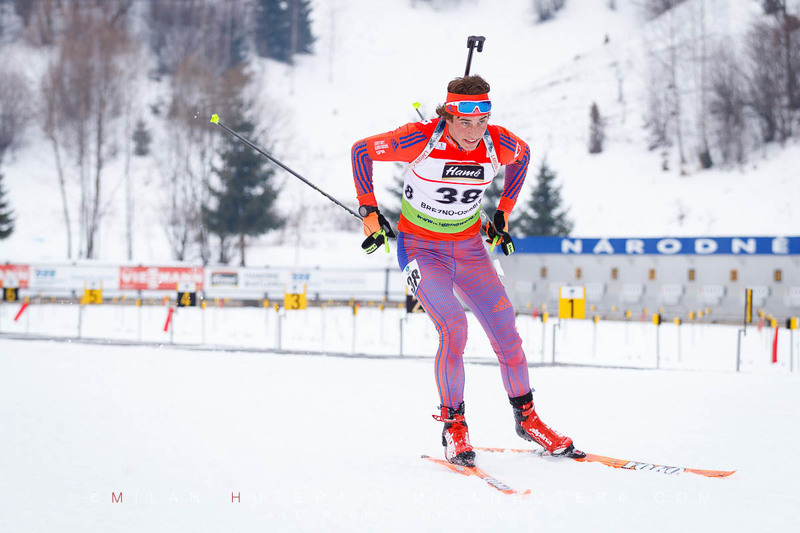 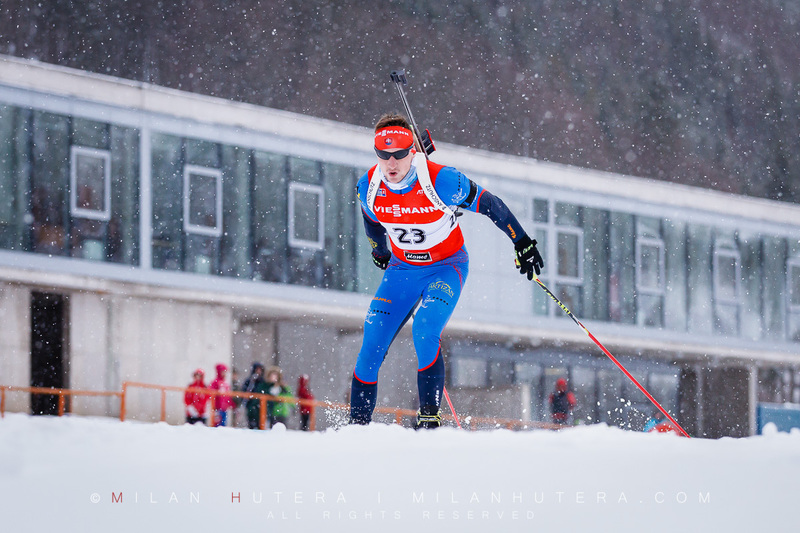 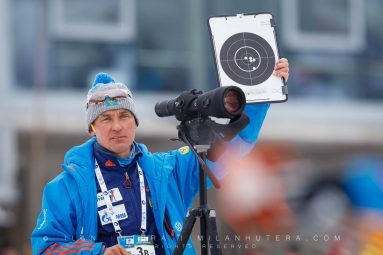 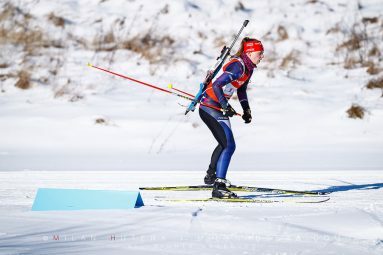 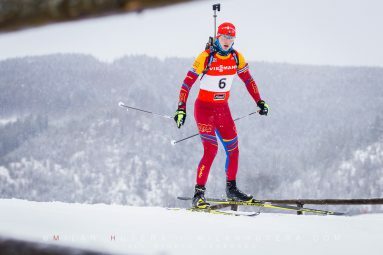 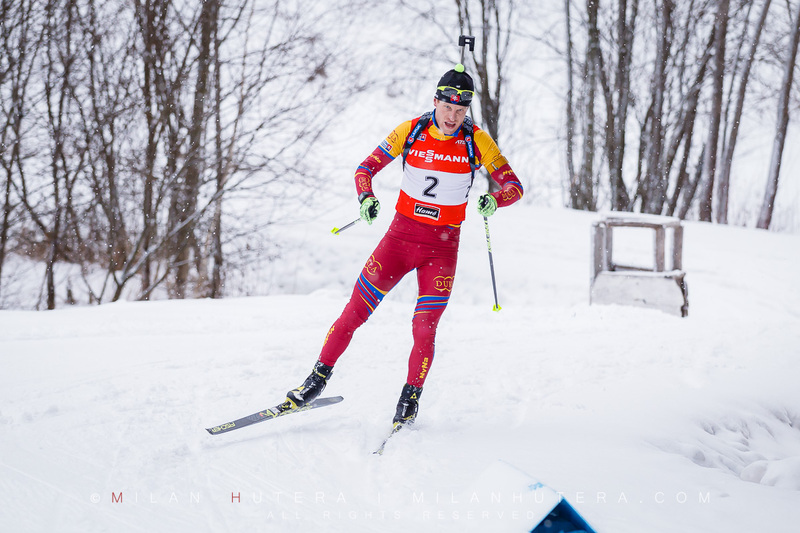 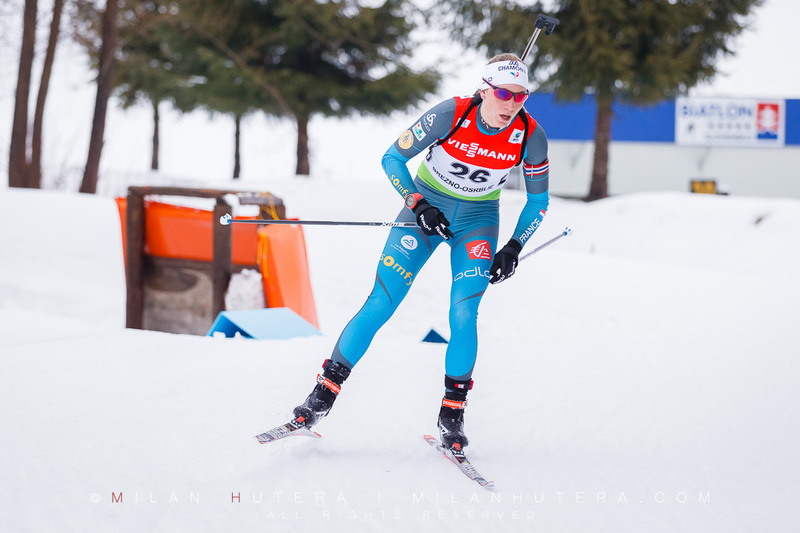 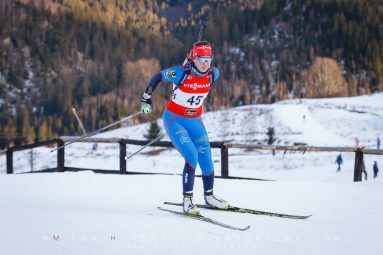 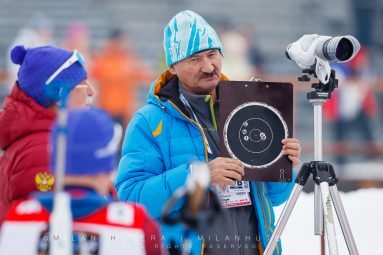 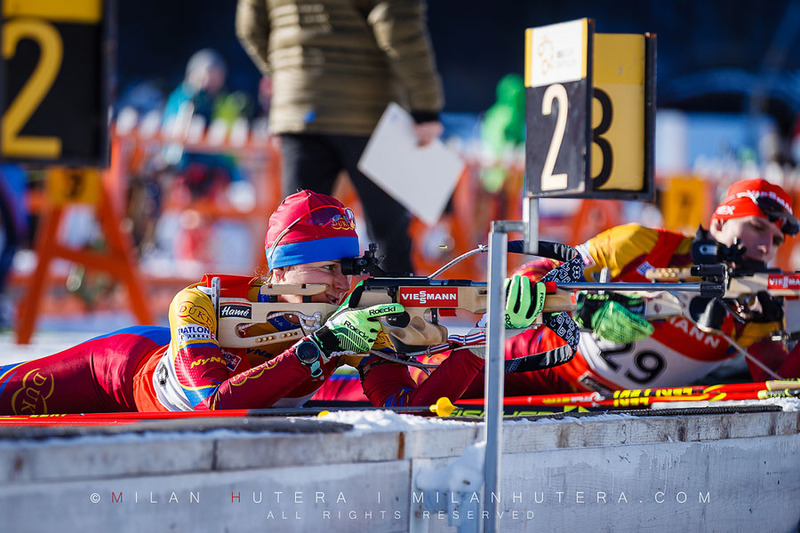 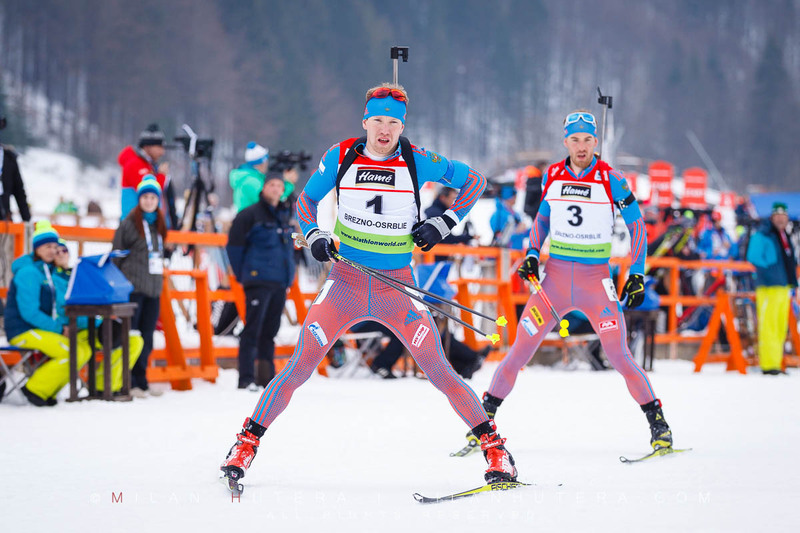 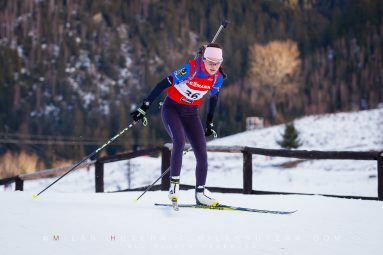 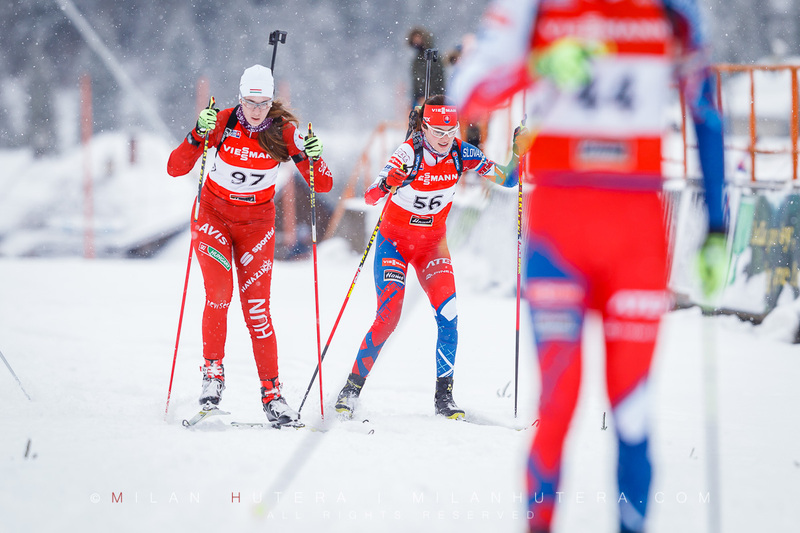 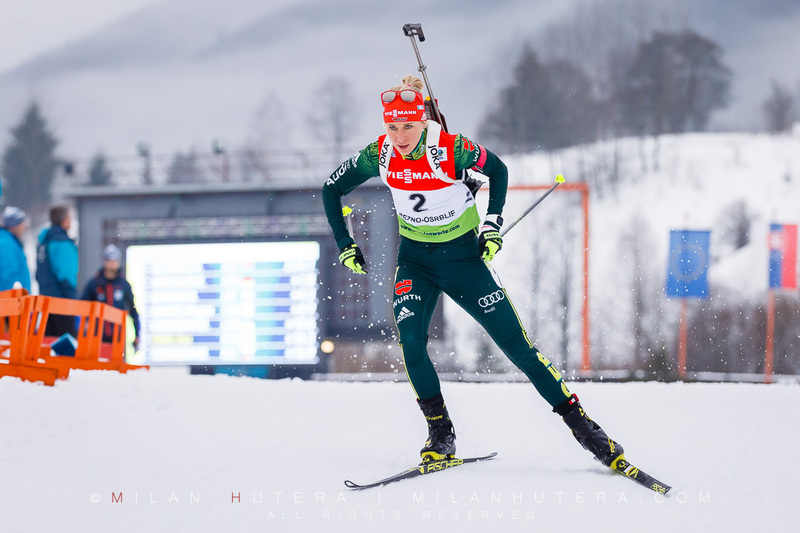 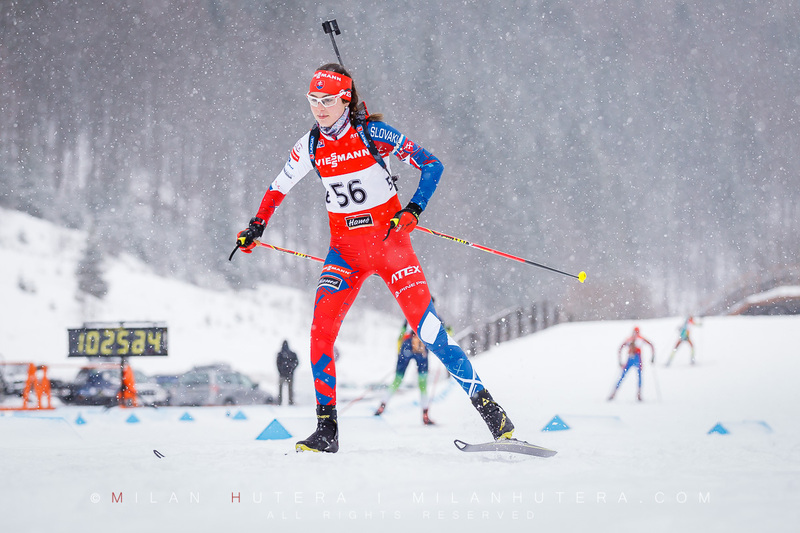 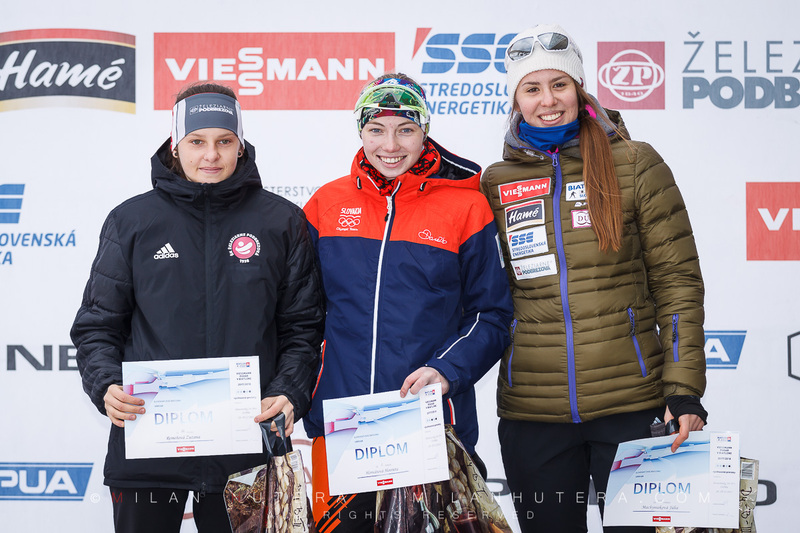 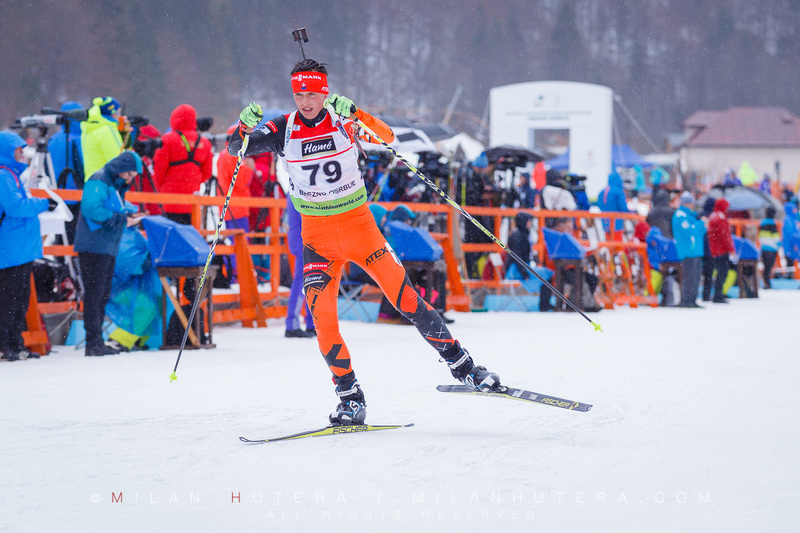 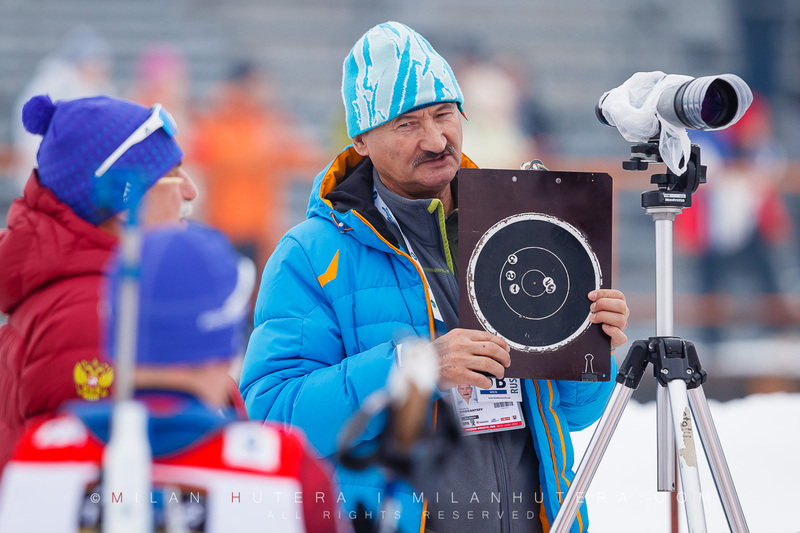 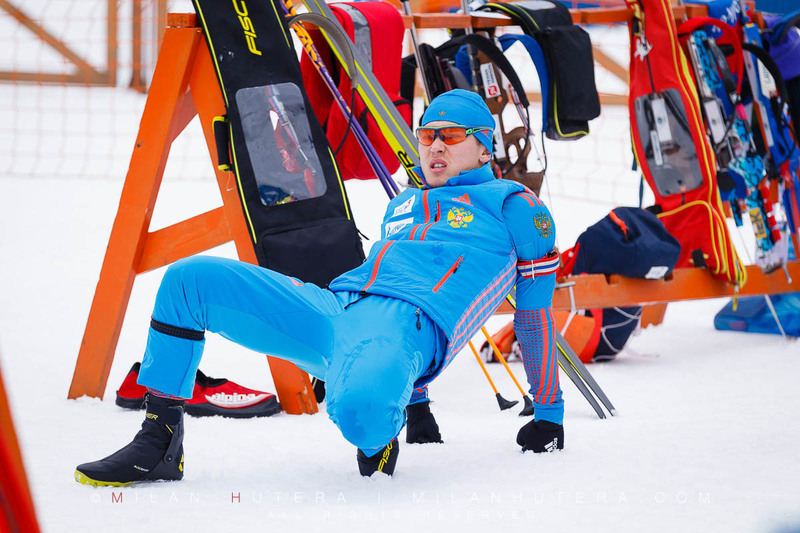 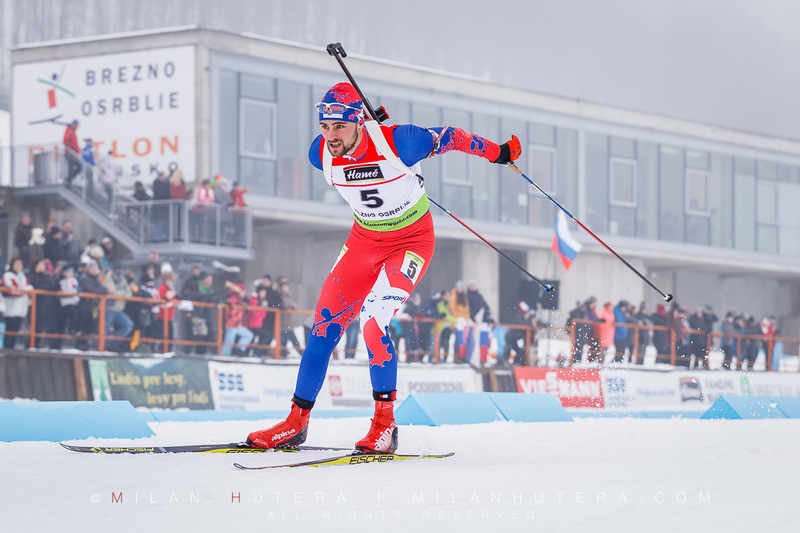 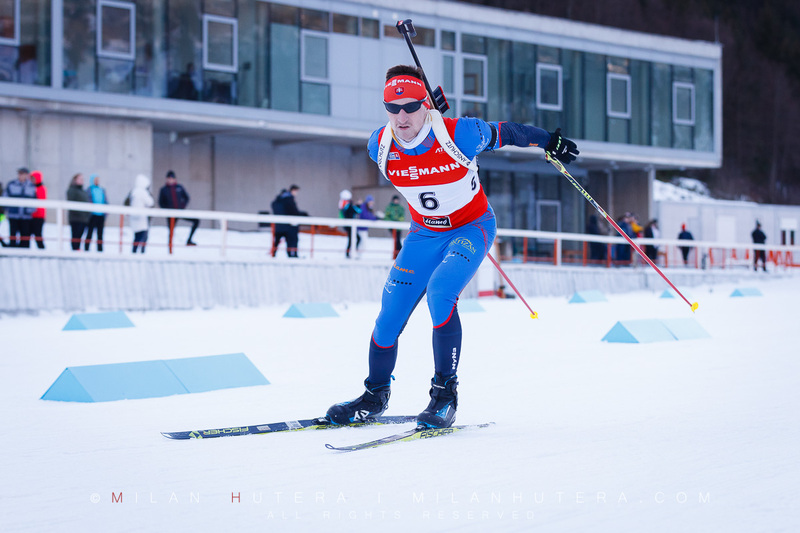 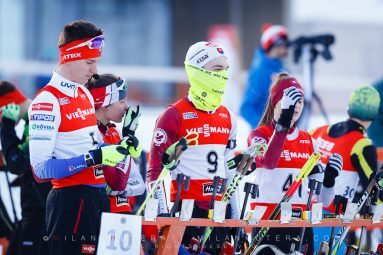 Around 90 biathletes in 11 categories competed in sprint on December 29th, 2018. Personal notes: Sometimes you go in with the best intentions and things just… don’t work out. 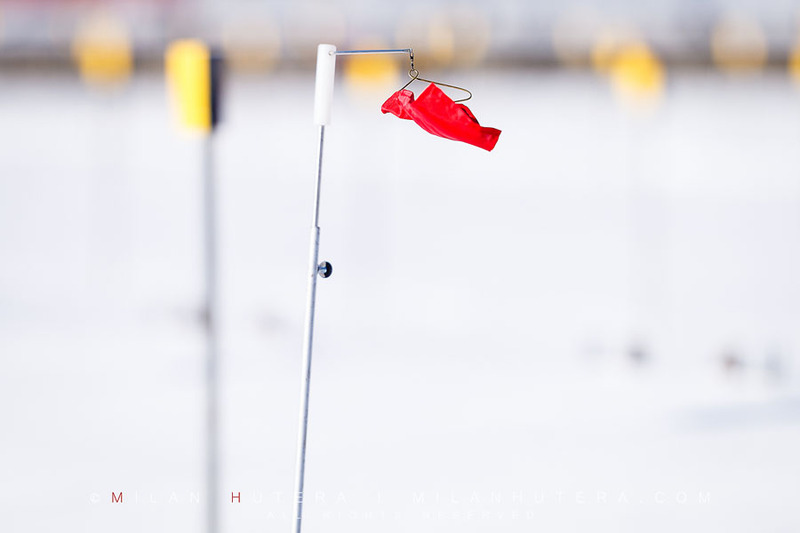 Despite the nice early afternoon weather, at times I found it more difficult to shoot than last year’s “blizzard edition”. 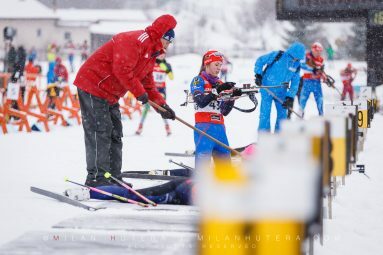 Not much (capture-worthy) was happening on the track, the scheduling was way too tight so moving around was difficult at best. And my gear’s ability to produce decent results was a no show as well – probably still finishing the Christmas dinner leftovers. As they say: on some days, it’s indeed no picnic. 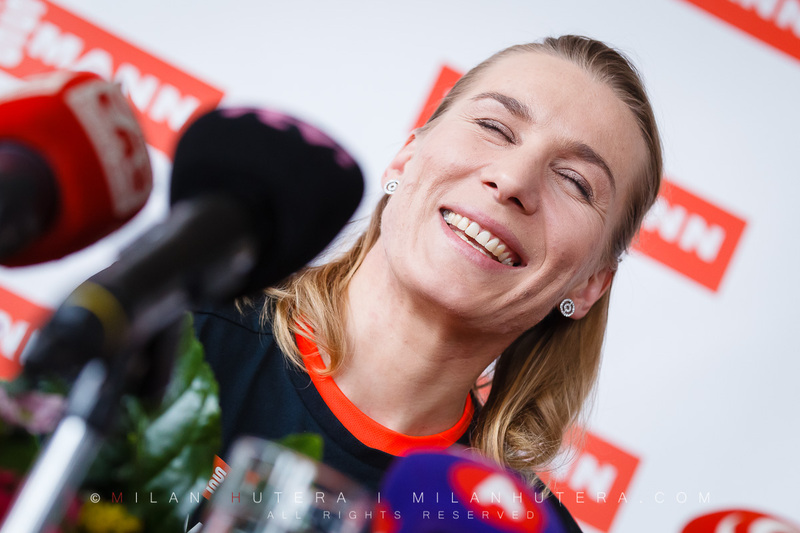 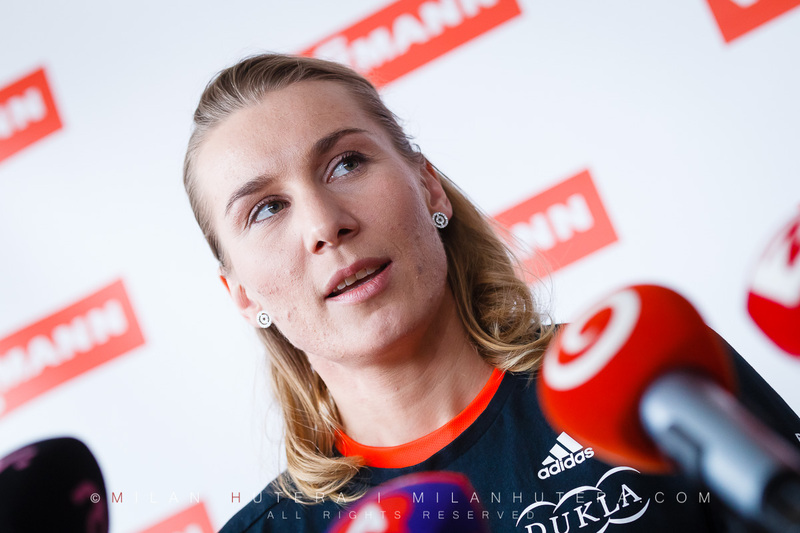 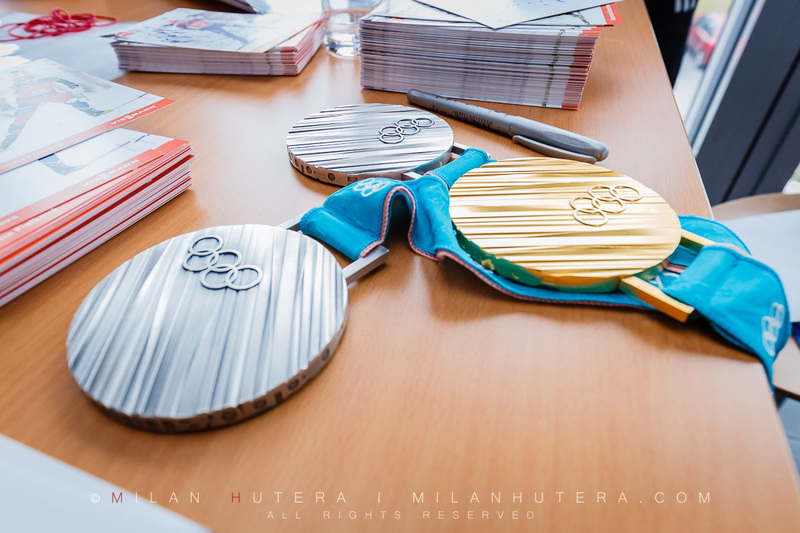 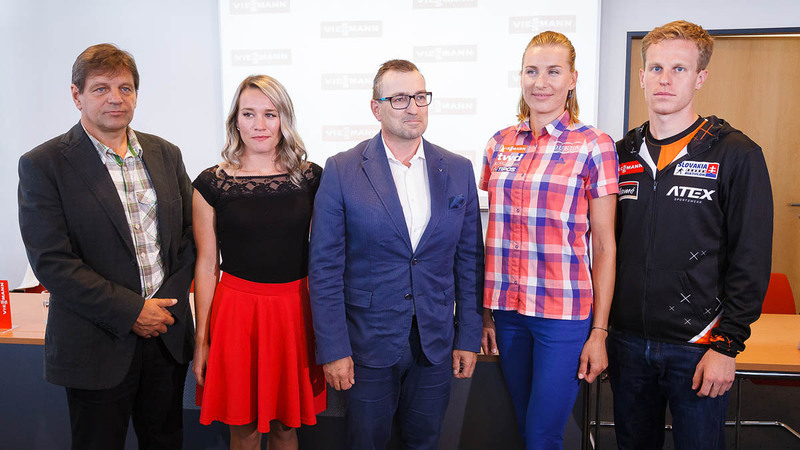 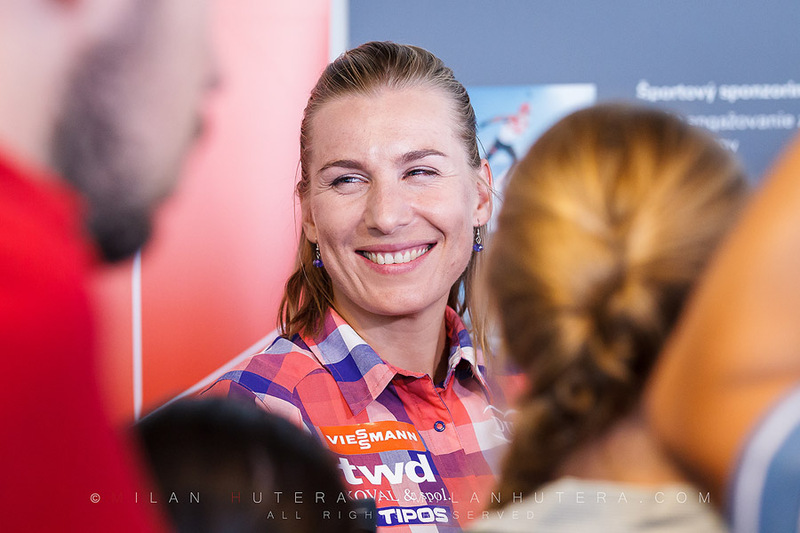 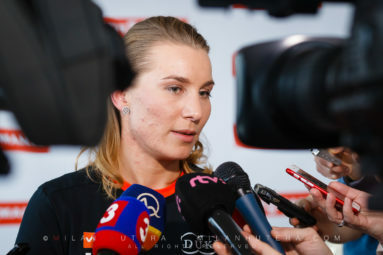 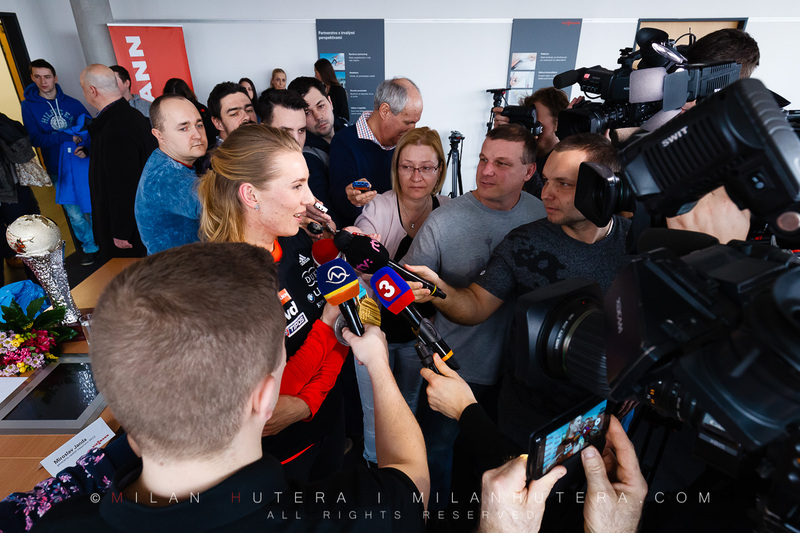 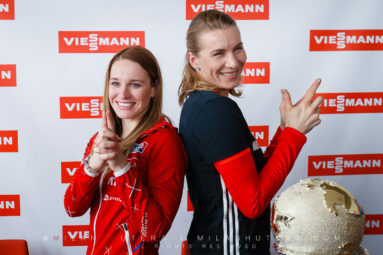 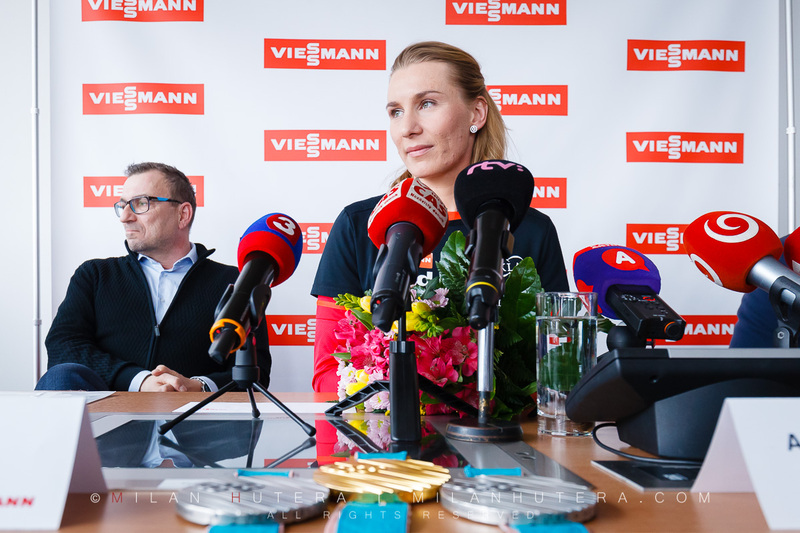 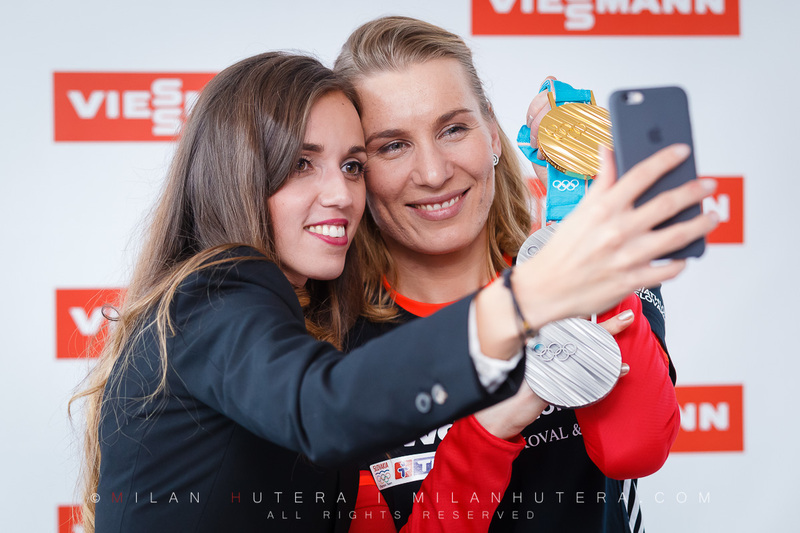 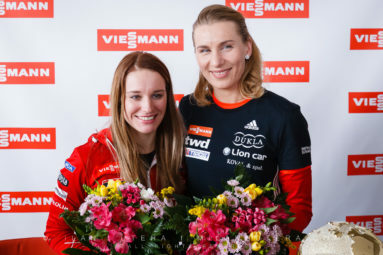 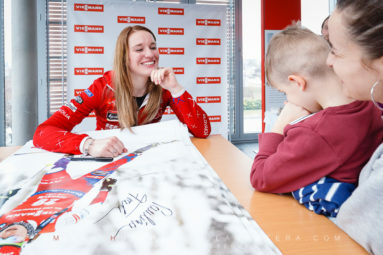 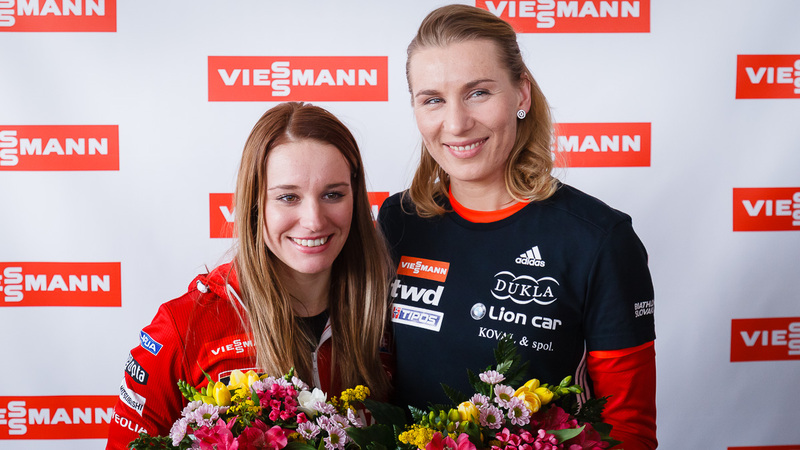 Anastasiya Kuzmina and Paulina Fialkova met the press at Viessmann Slovakia Headquarters after their successful appearances in biathlon competitions at Pyeongchang 2018 Winter Olympic Games. 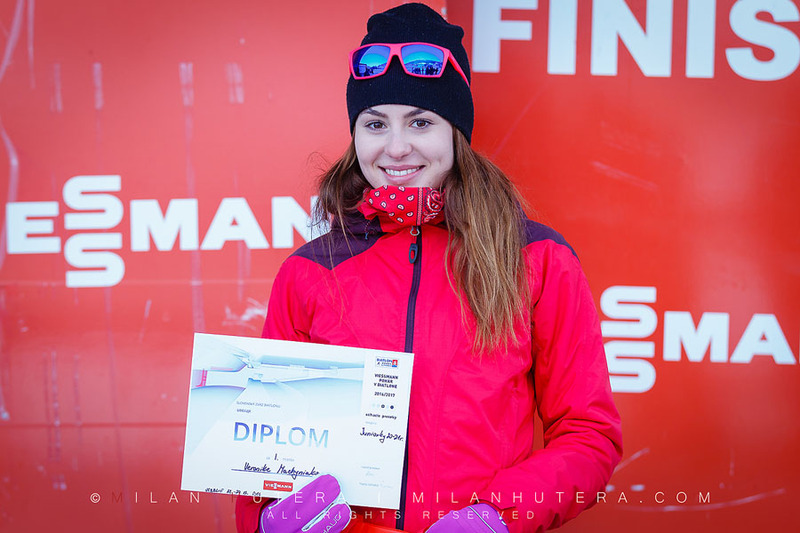 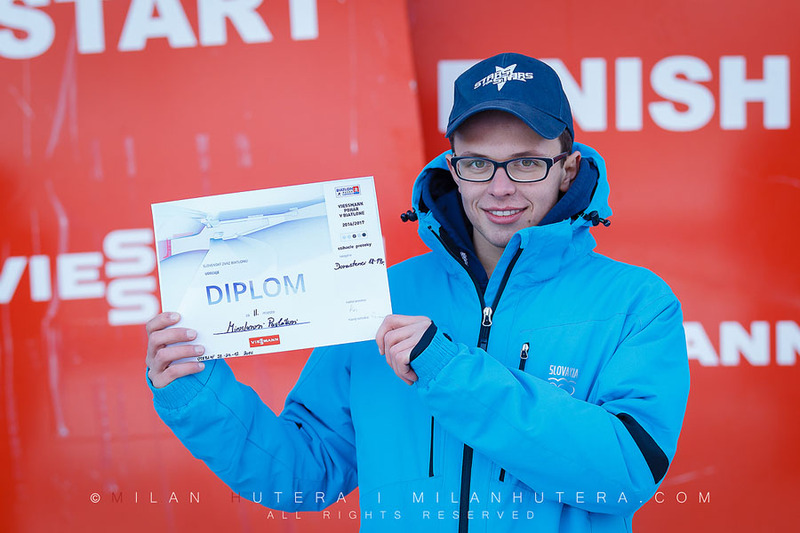 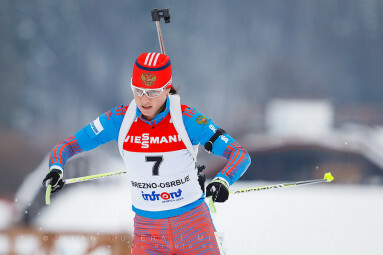 Anastasiya Kuzmina won silver medals in Pursuit and Individual competitions and gold medal in Mass start. 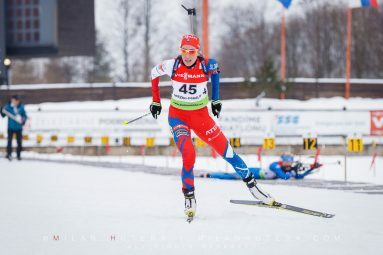 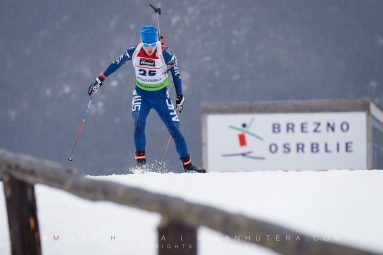 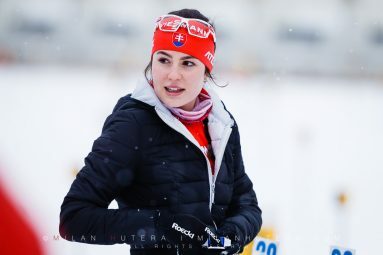 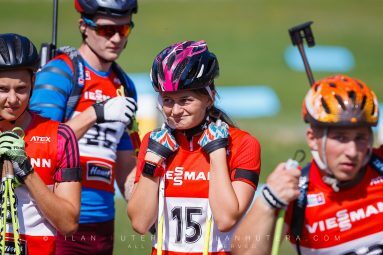 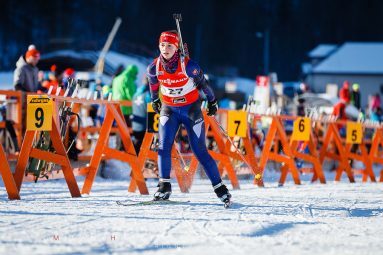 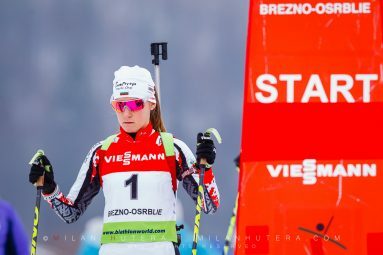 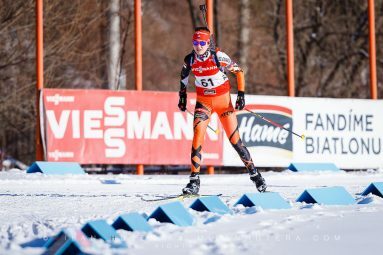 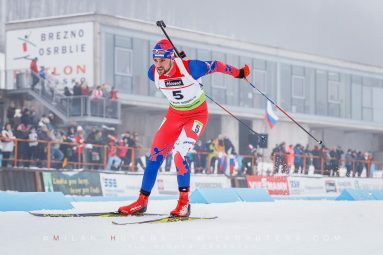 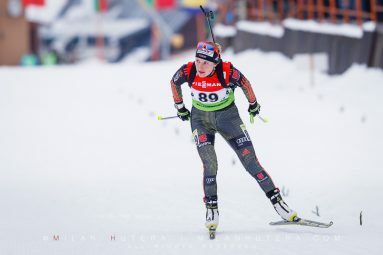 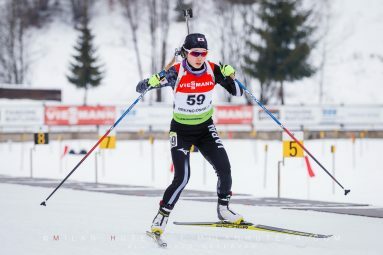 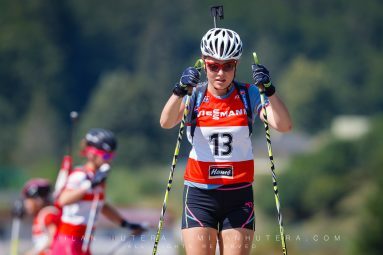 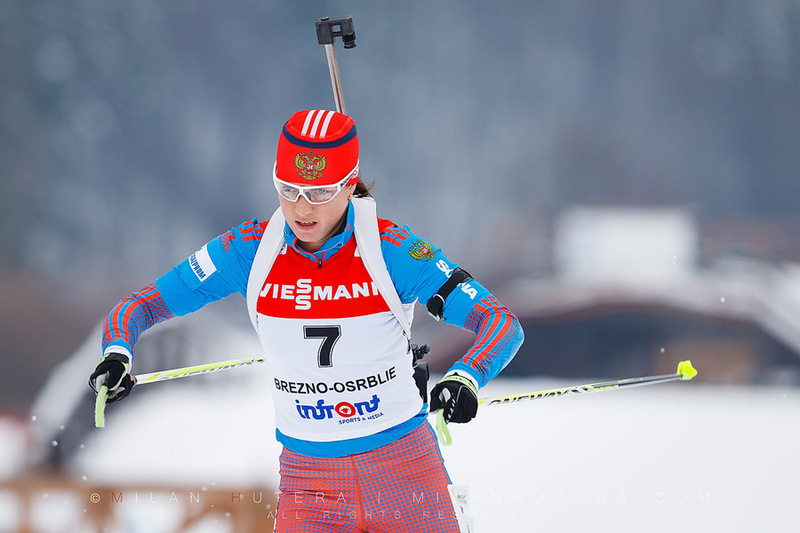 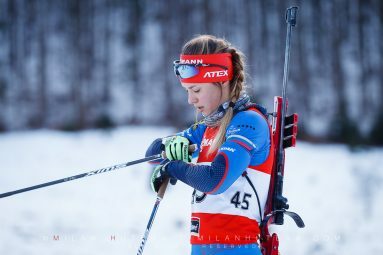 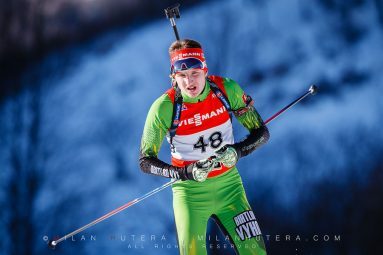 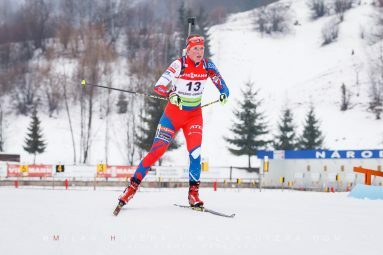 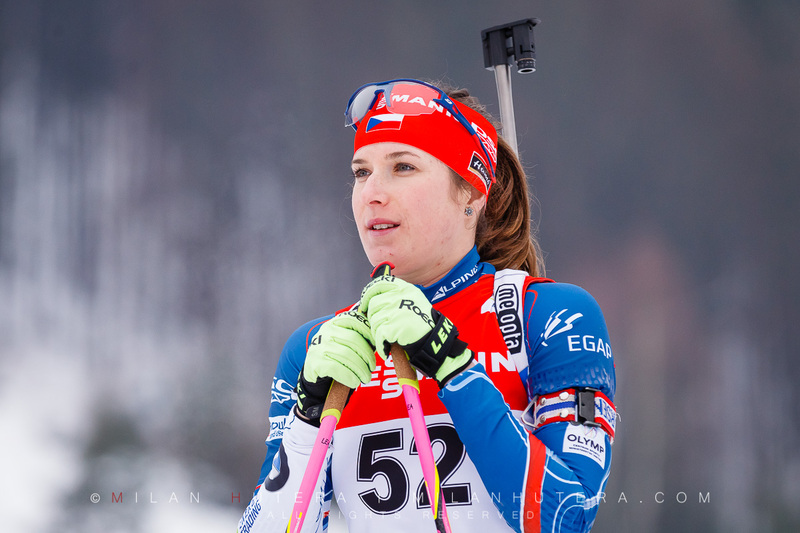 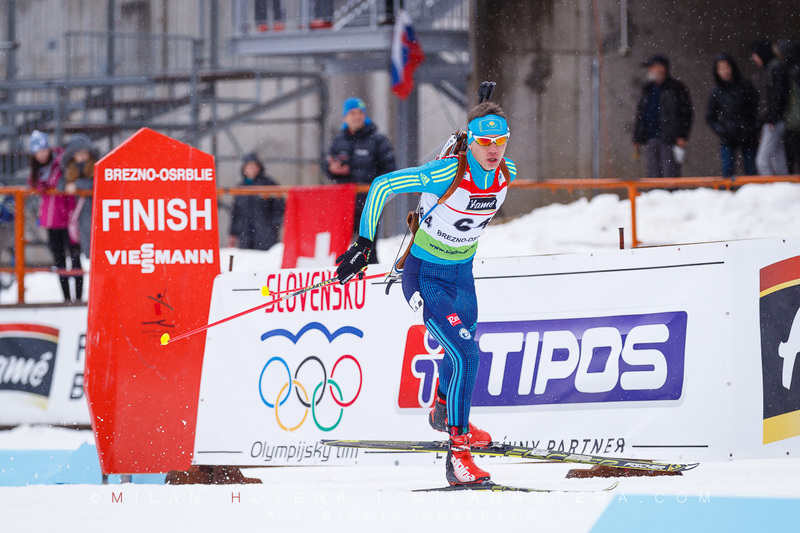 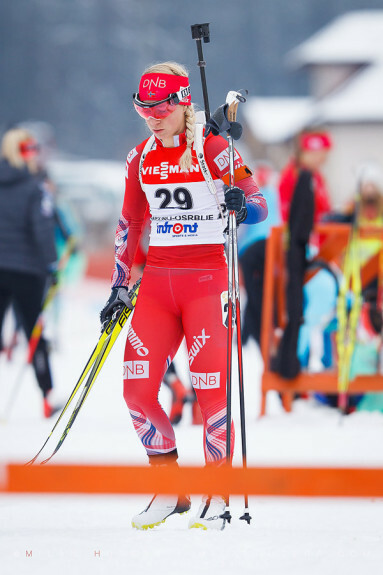 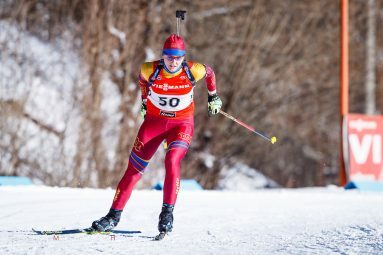 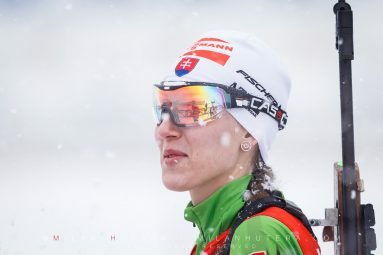 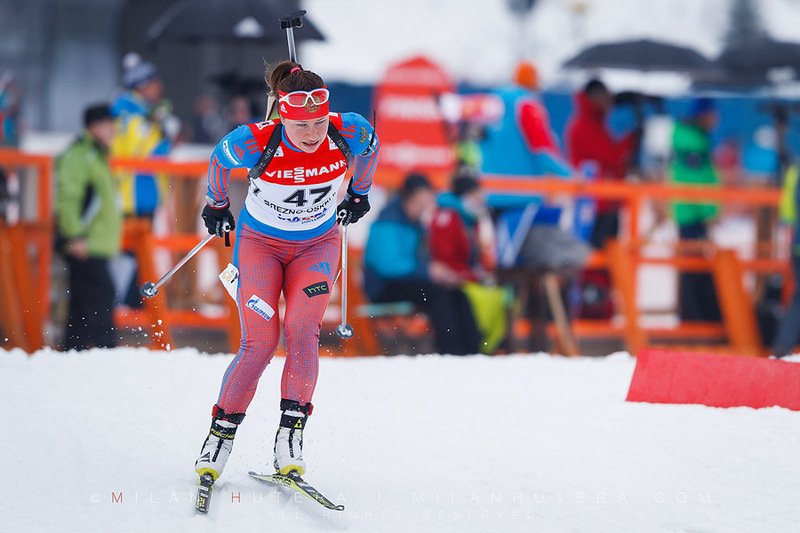 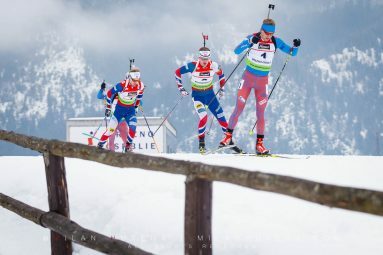 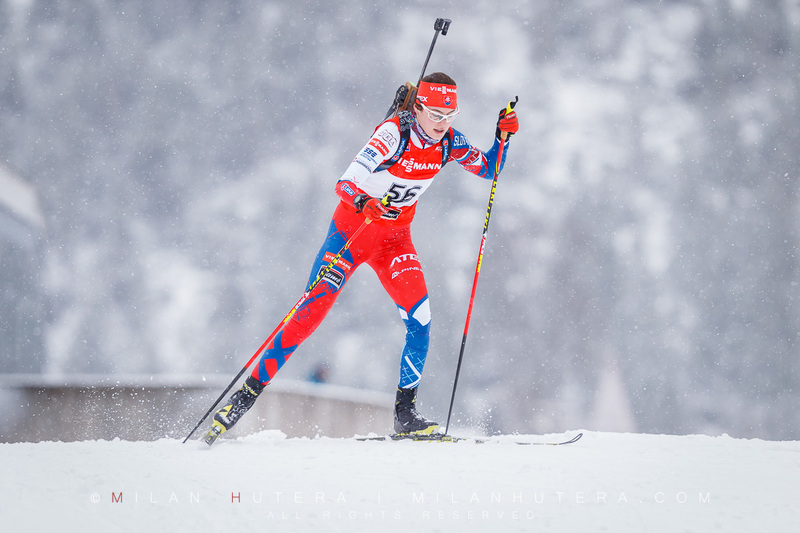 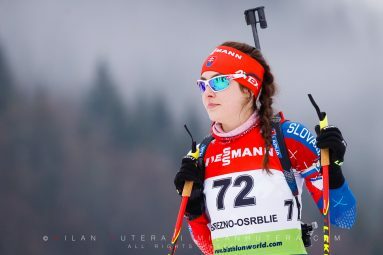 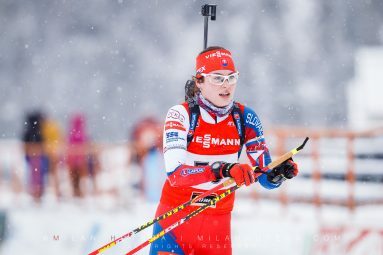 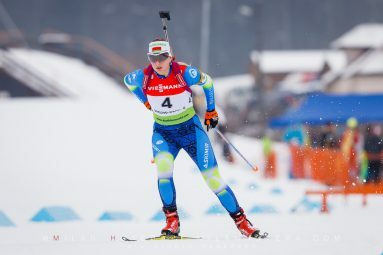 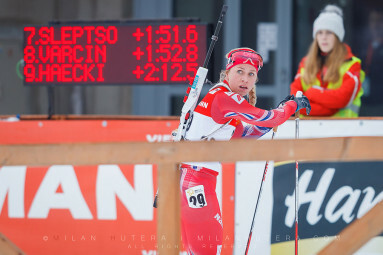 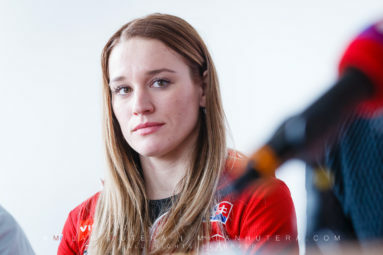 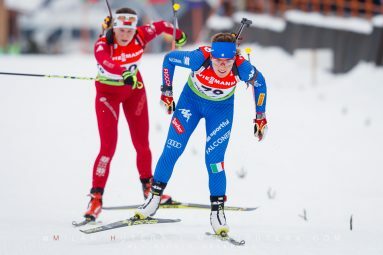 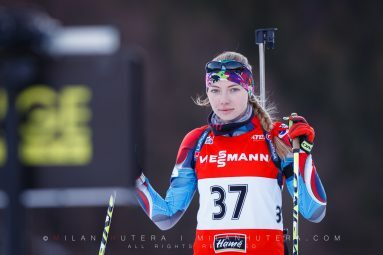 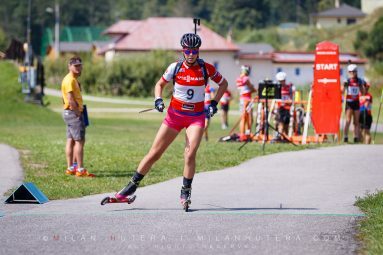 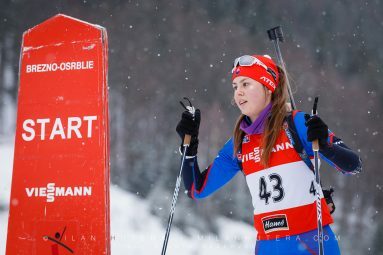 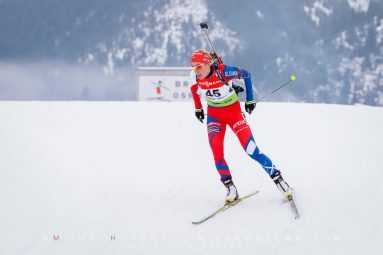 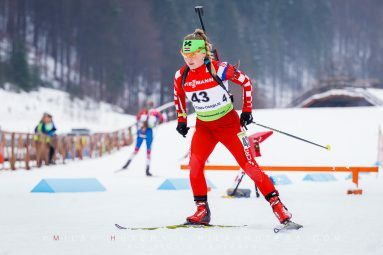 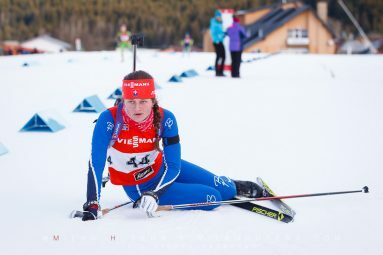 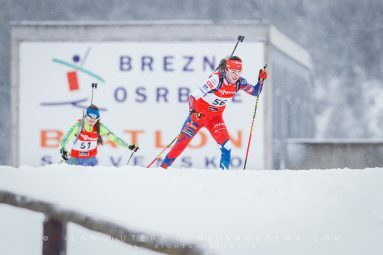 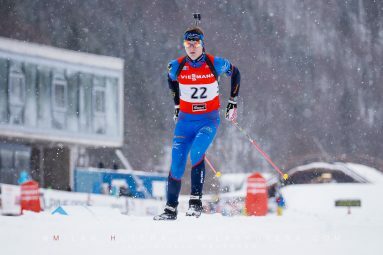 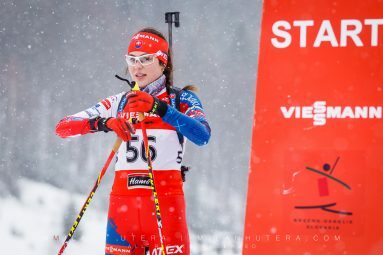 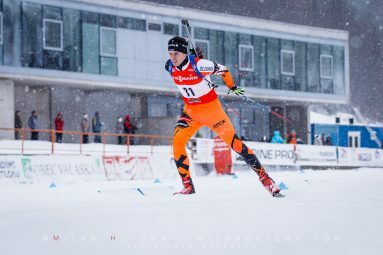 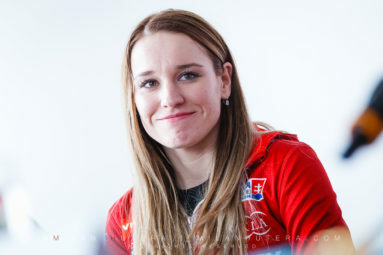 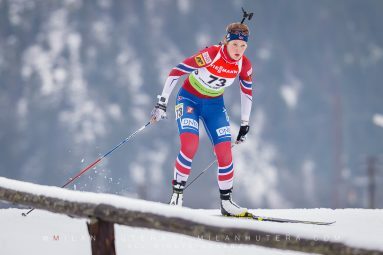 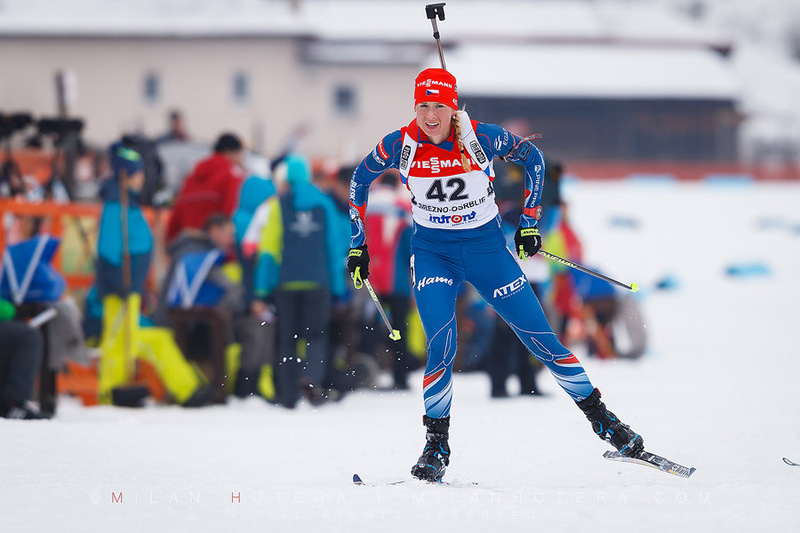 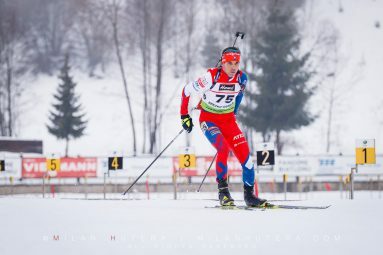 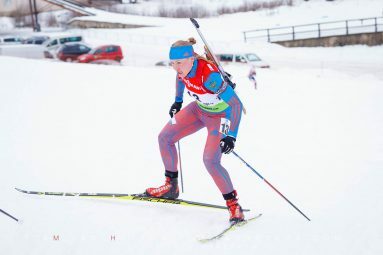 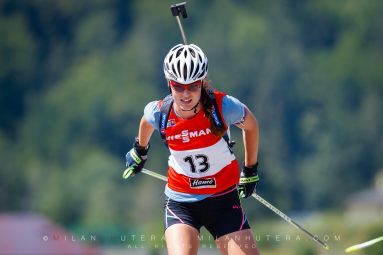 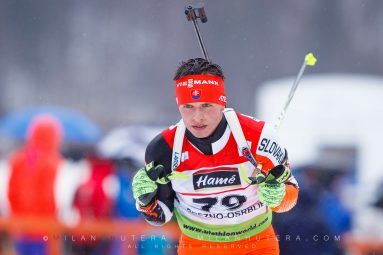 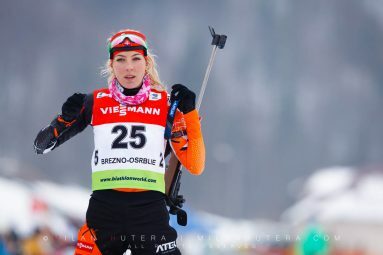 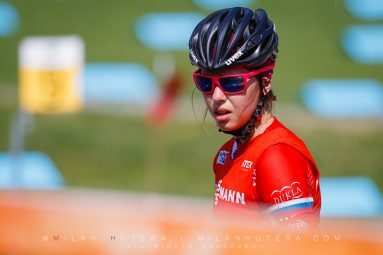 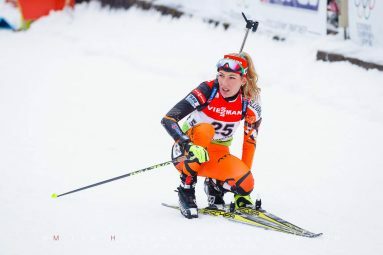 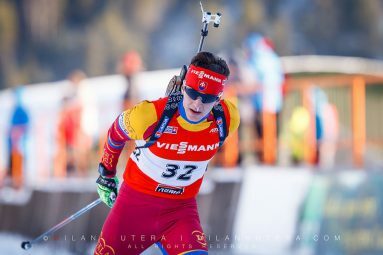 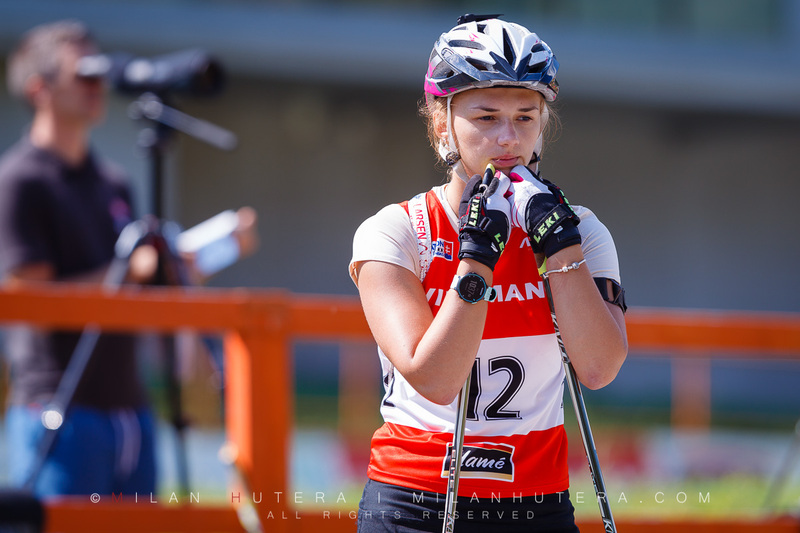 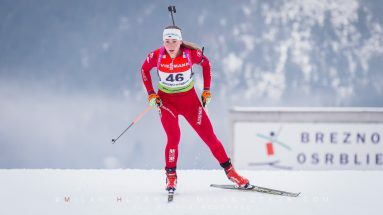 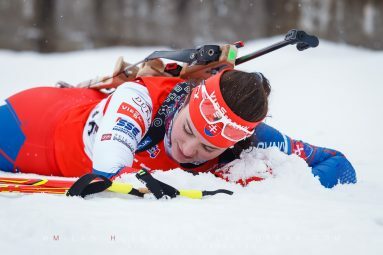 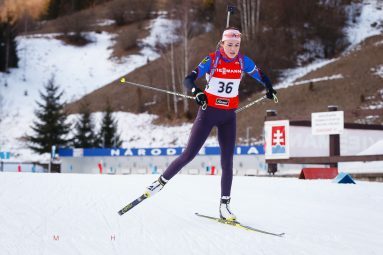 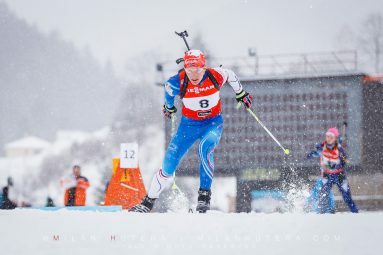 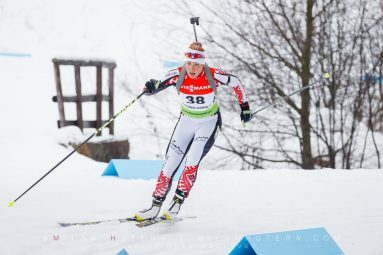 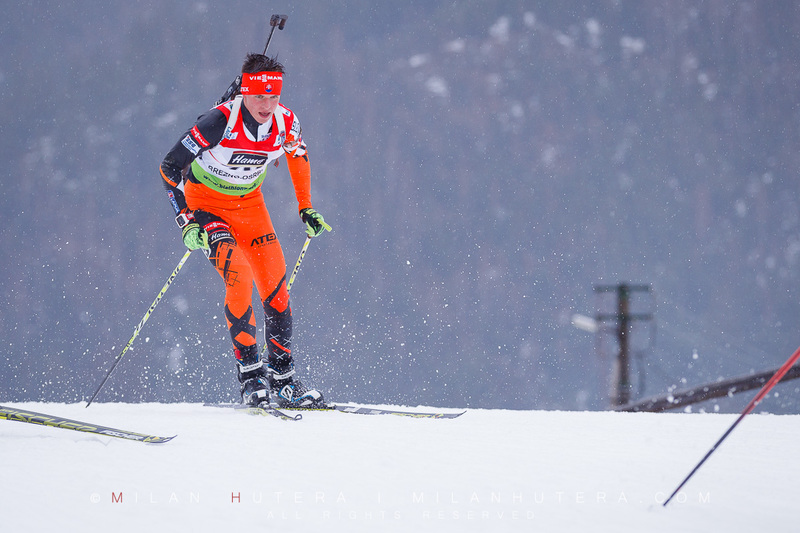 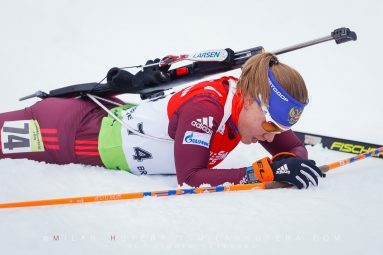 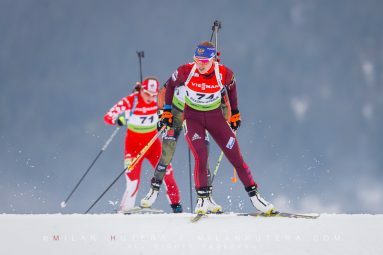 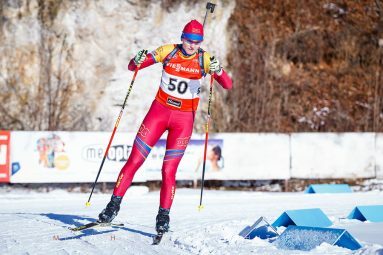 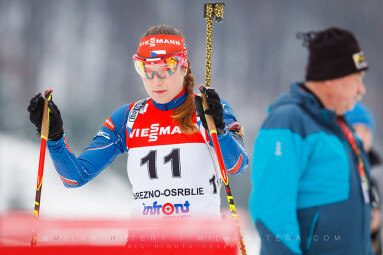 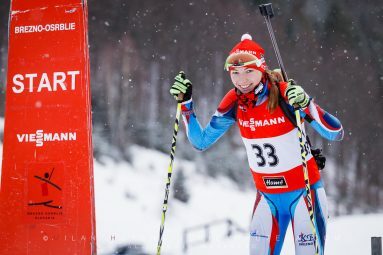 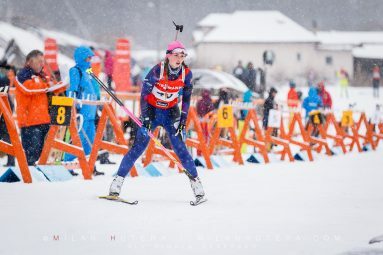 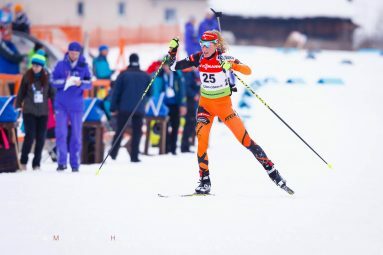 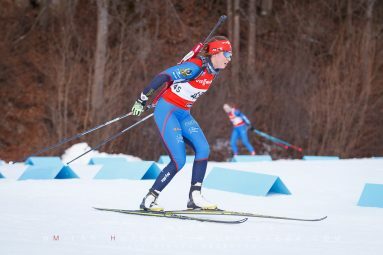 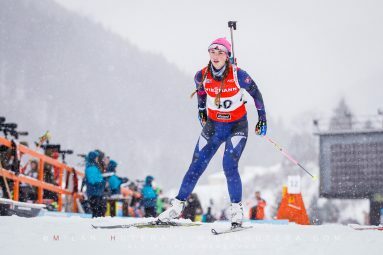 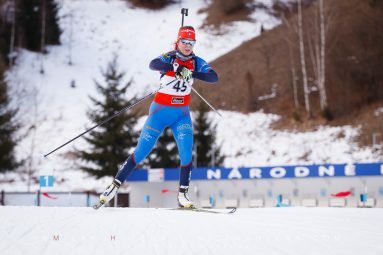 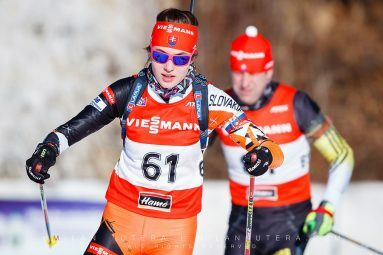 Paulina Fialkova finished fifth in individual competition and helped the Slovak team to reach the fifth place at Women’s relay. Prior to press conference, Anastasiya received the Award for outstanding sports performance from the Club of Sports Journalists of Slovakia. 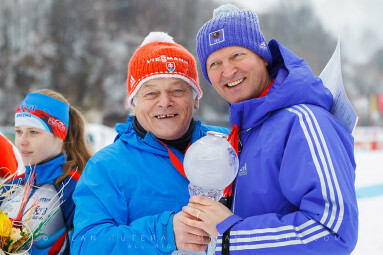 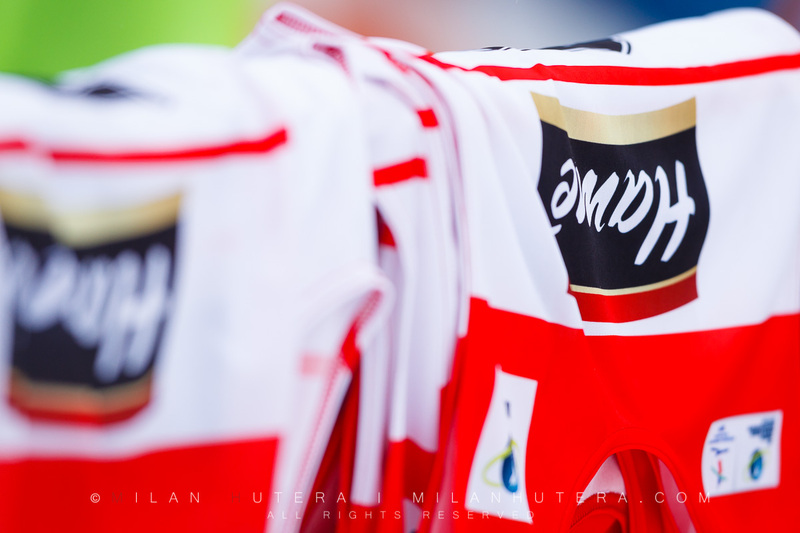 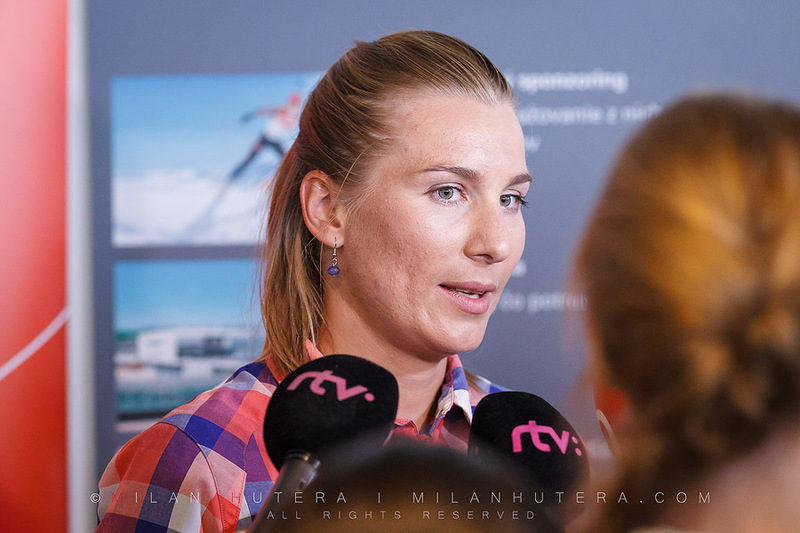 The Club is the governing body of the Sportsperson of the Year Award in Slovakia. 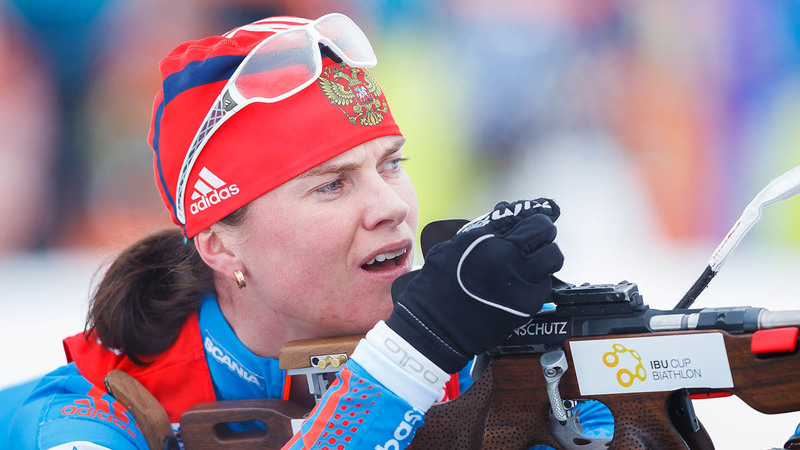 Anastasiya reached several World Cup victories after the deadline of the year-end award. 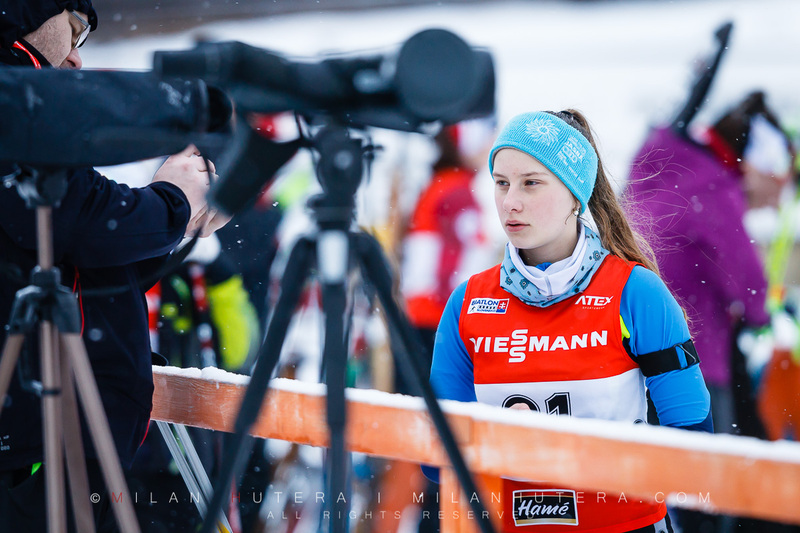 The 4th edition of IBU Cup 2017/2018 biathlon took place in Osrblie, Slovakia on 6th and 7th january 2018. 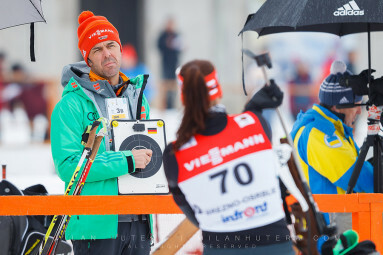 On saturday sprint competitions were scheduled both for men and women. 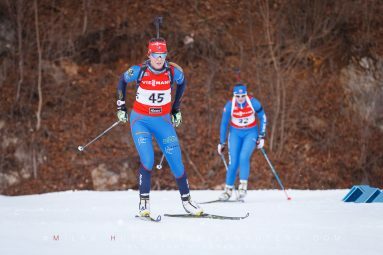 The weather was cloudy and later foggy which means difficult to photograph. 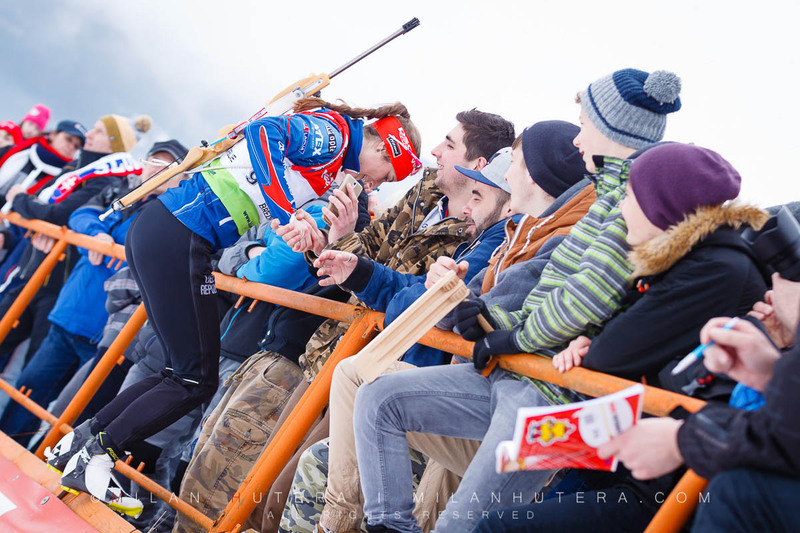 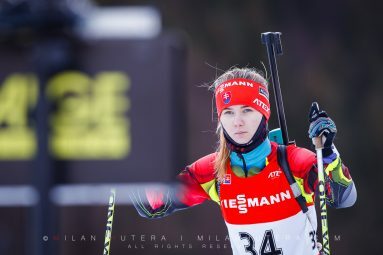 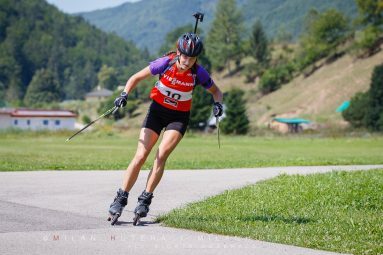 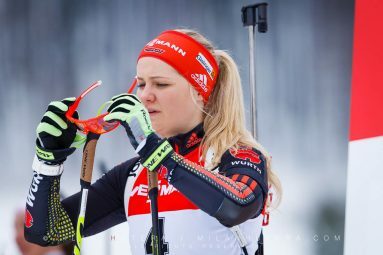 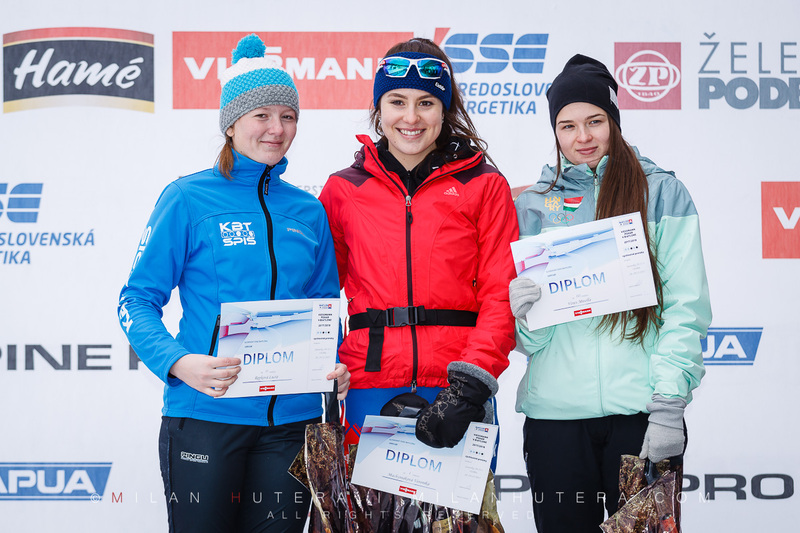 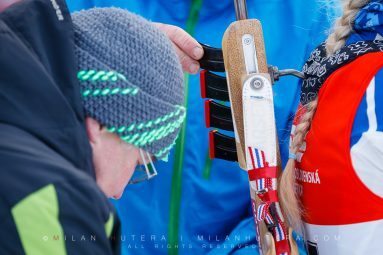 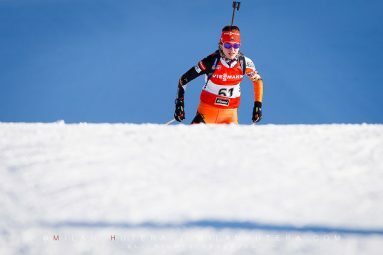 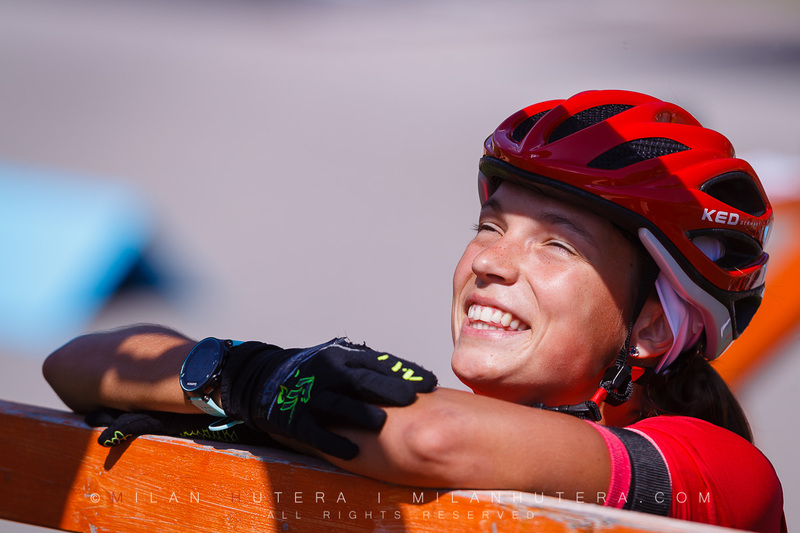 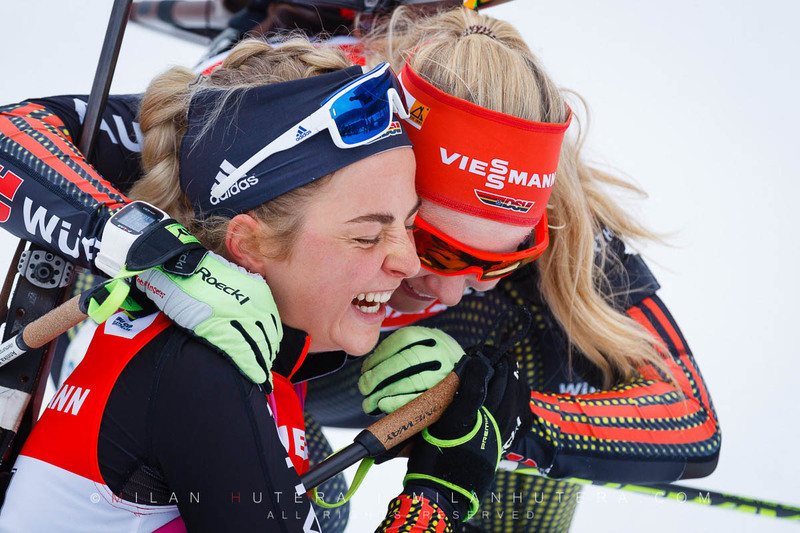 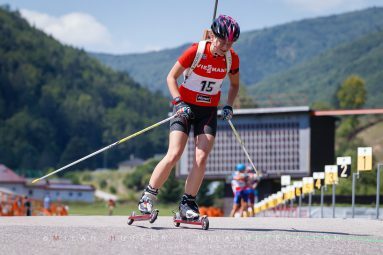 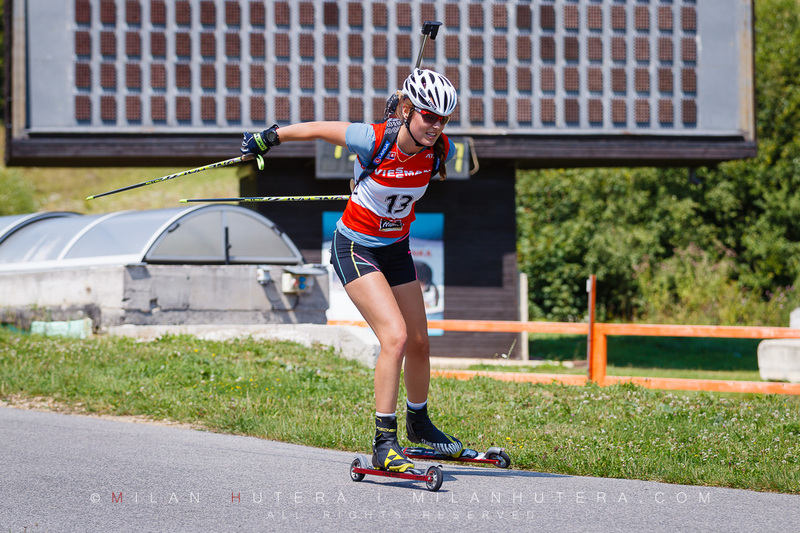 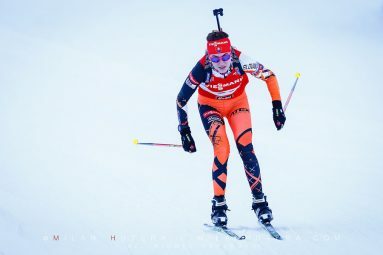 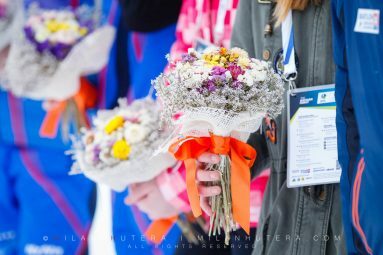 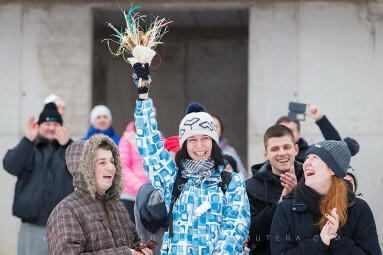 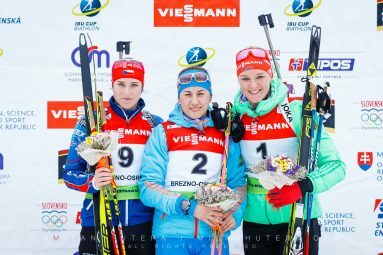 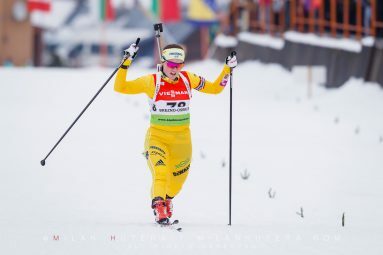 In women’s competition the overall leader Uliana Kaisheva claimed the first place ahead of Chloe Chevalier and Kaia Woeien Nicolaisen. 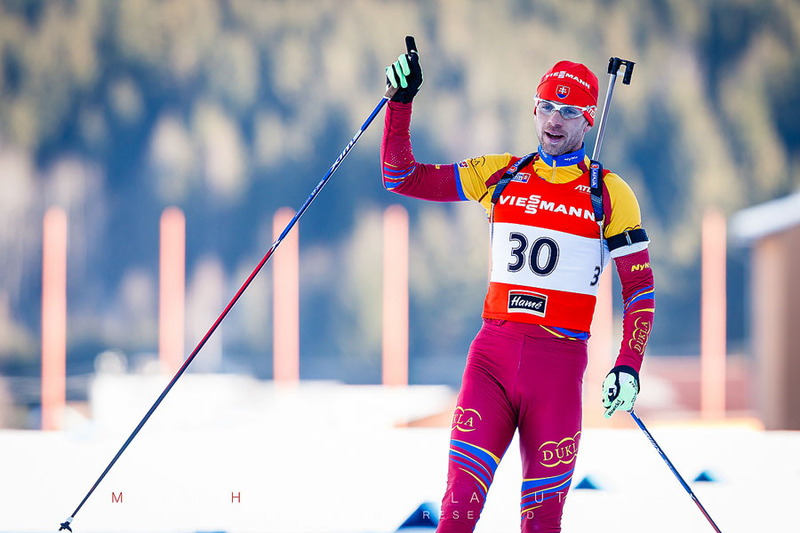 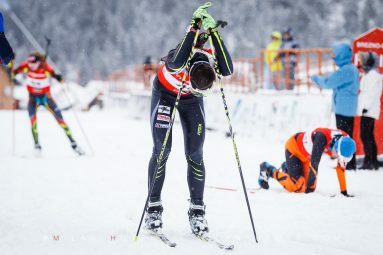 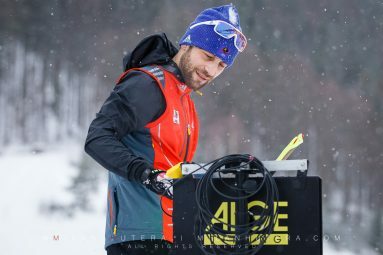 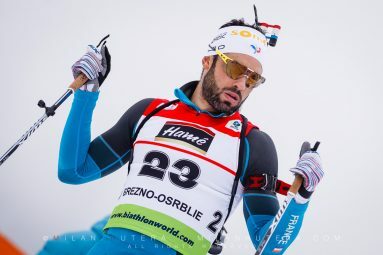 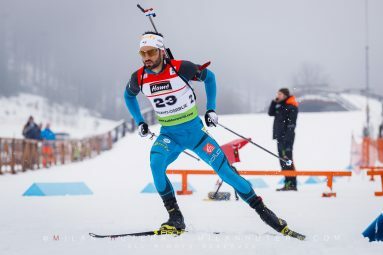 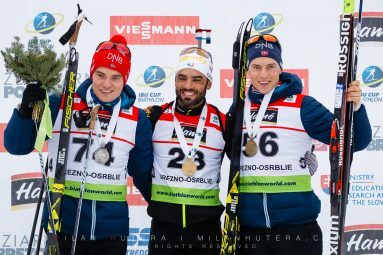 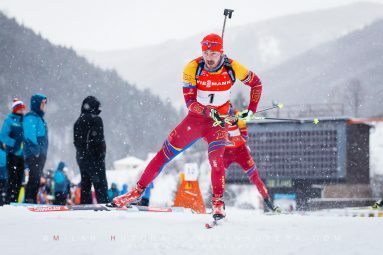 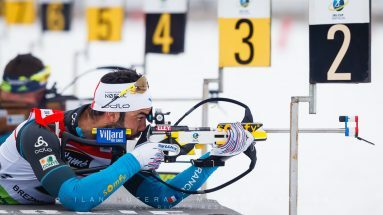 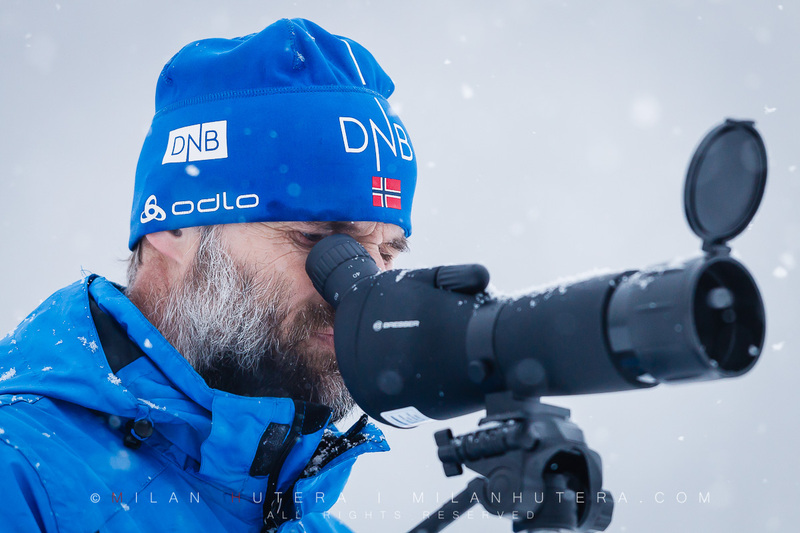 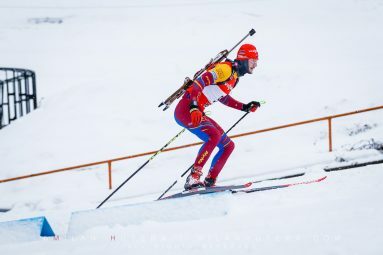 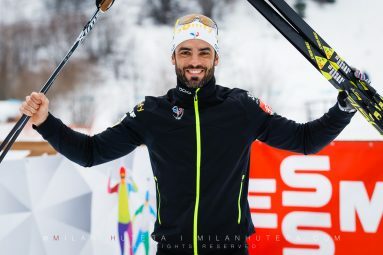 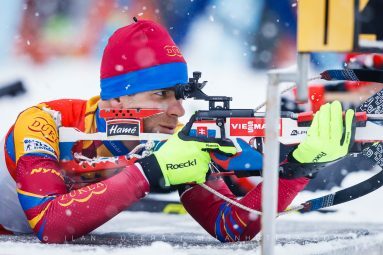 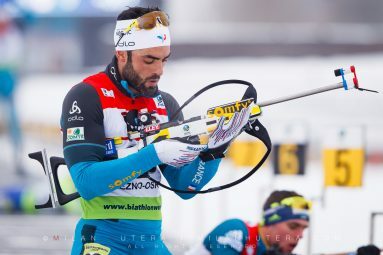 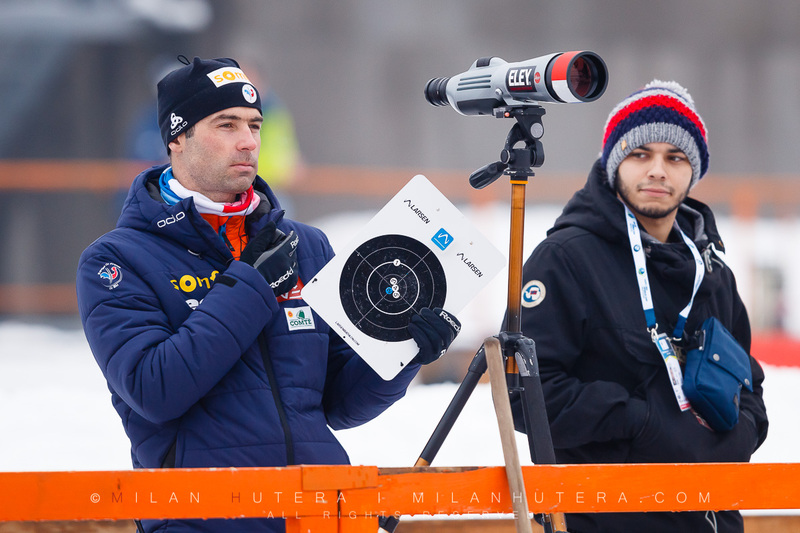 Later that day, the main star of the event Simon Fourcade claimed the first place in men’s competition, beating Norwegian biathletes Frederik Gjesbakk and Vegard Gjermundshaug. 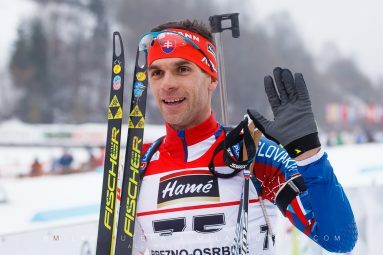 Martin Otcenas of Slovakia claimed a respectable 5th place, pleasing the home crowd. 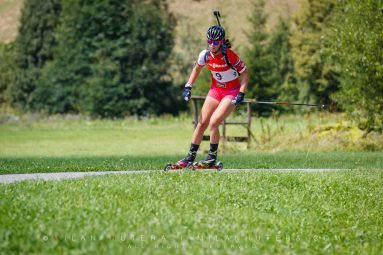 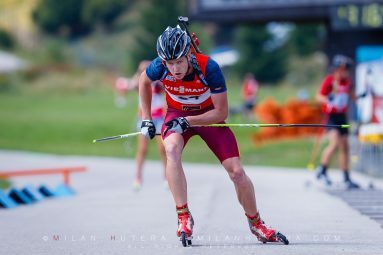 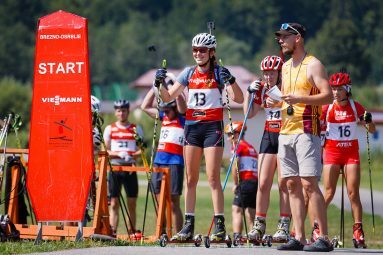 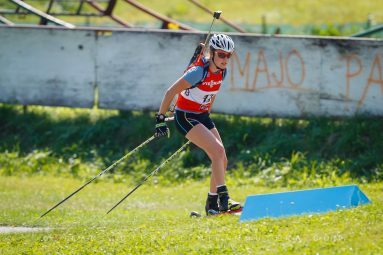 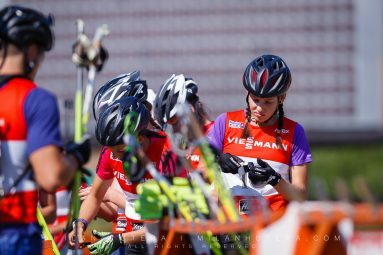 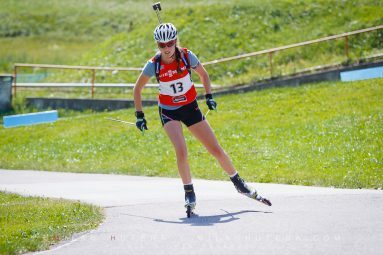 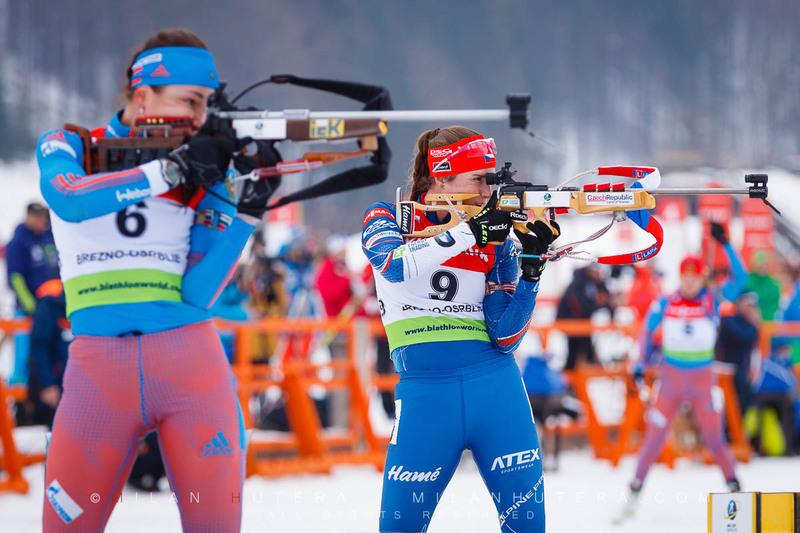 The relocated 2017 Youth/Junior World Championships in Biathlon began today in Osrblie, Slovakia with invididual races for Youth racers. 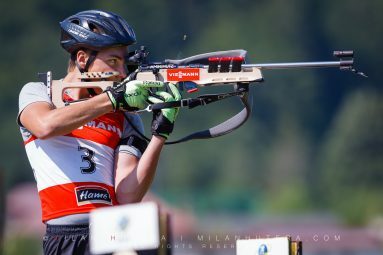 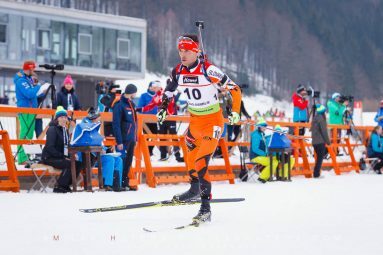 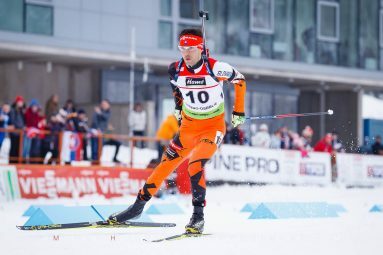 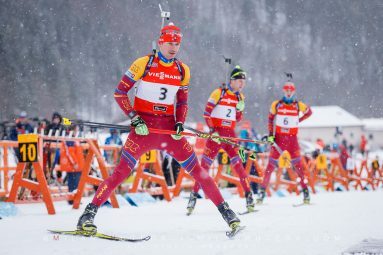 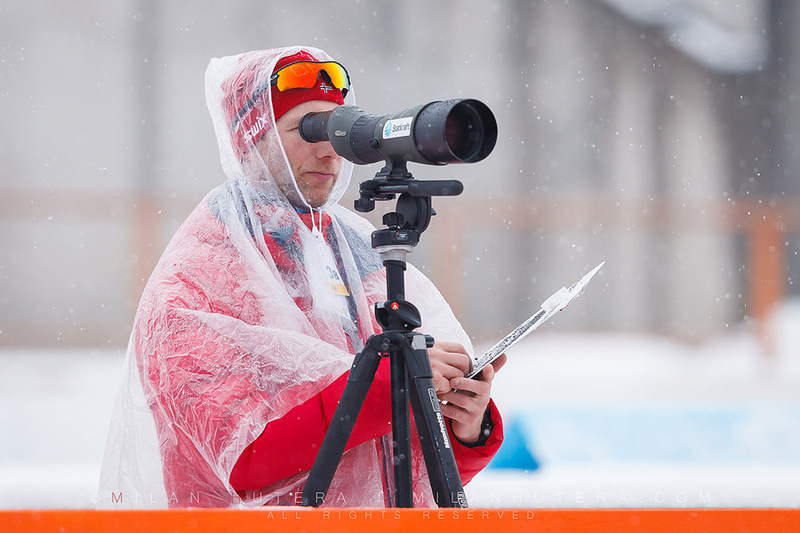 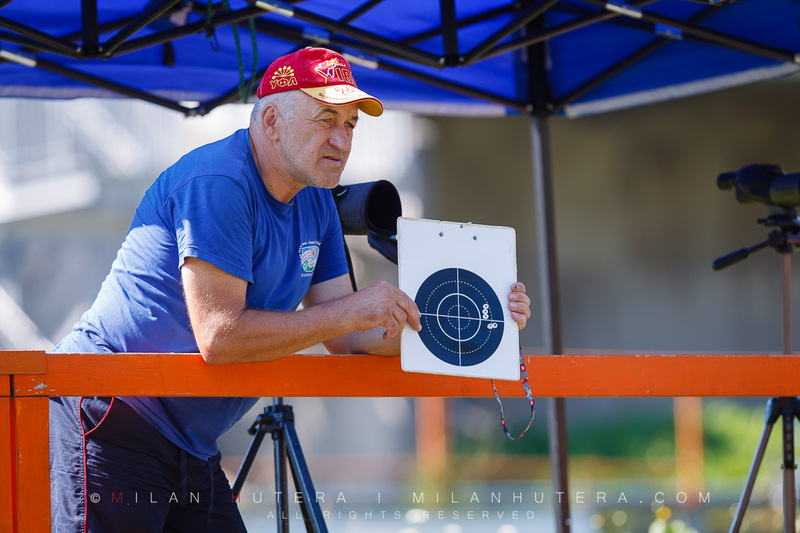 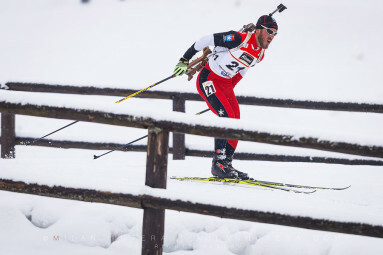 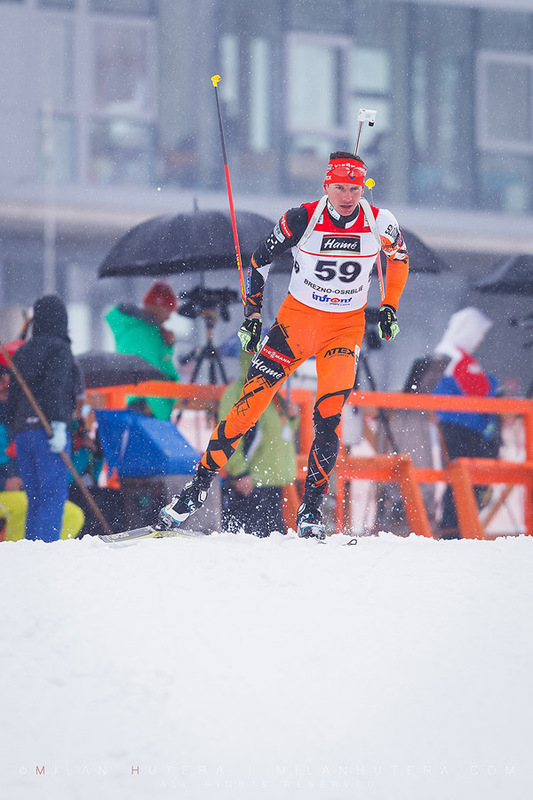 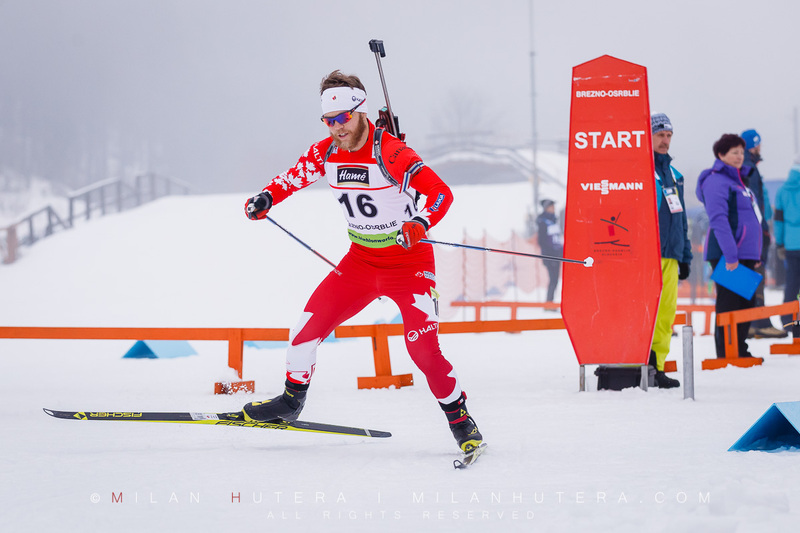 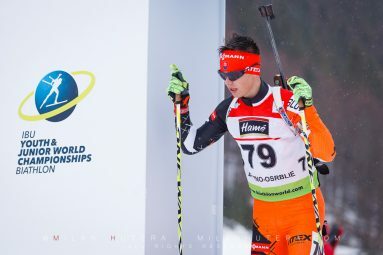 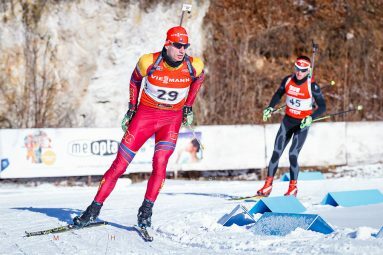 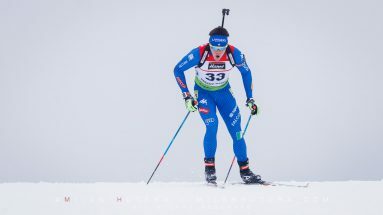 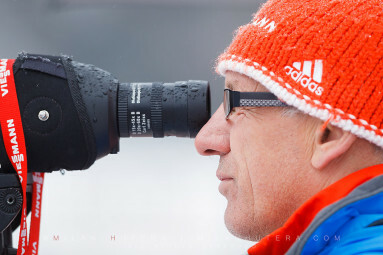 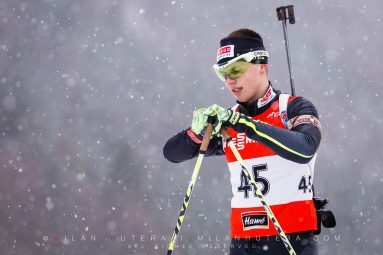 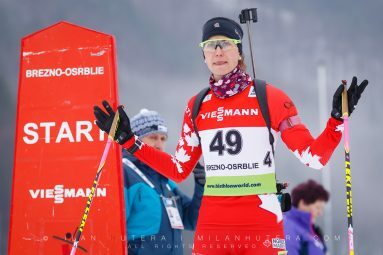 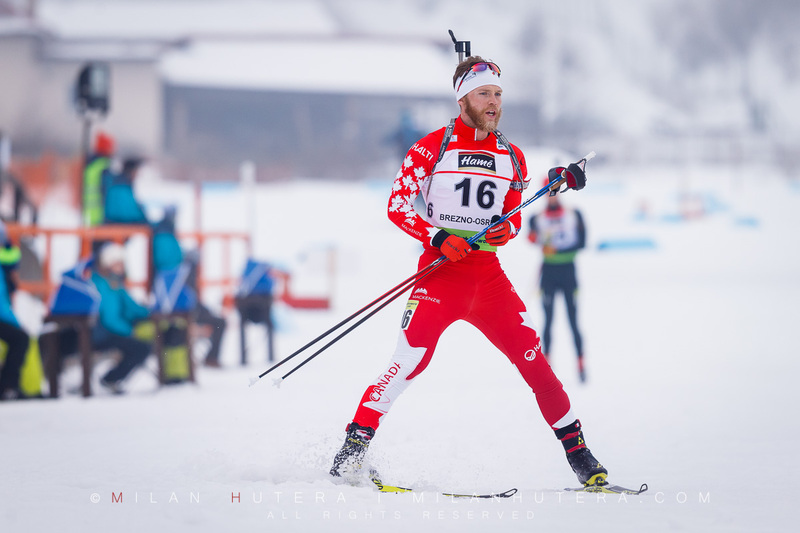 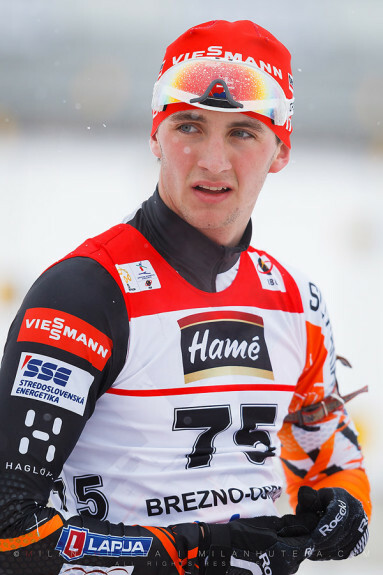 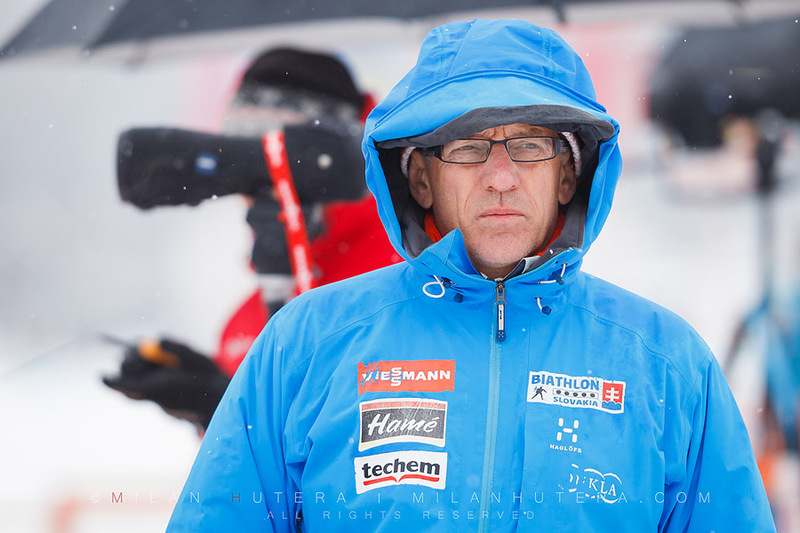 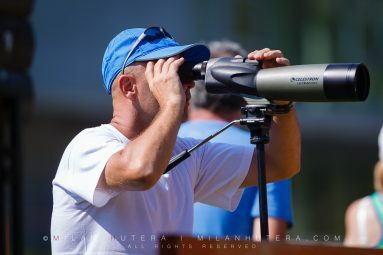 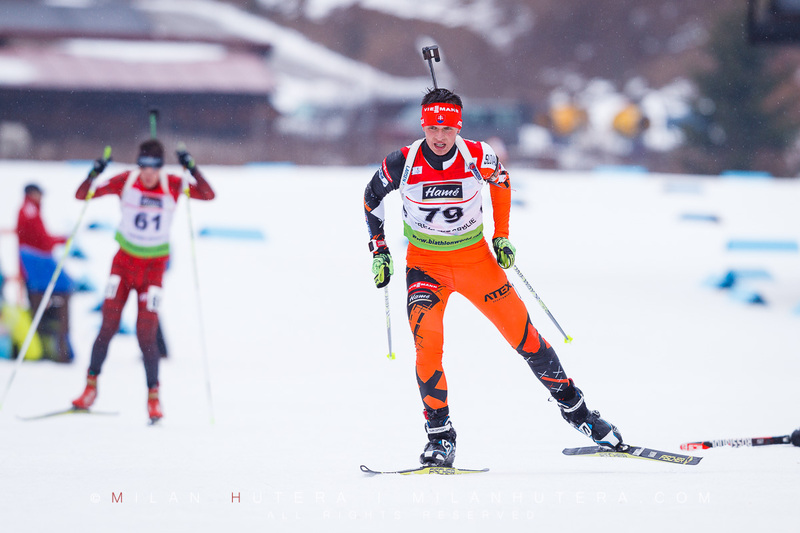 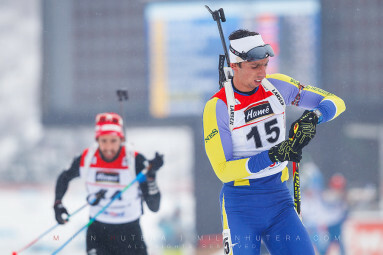 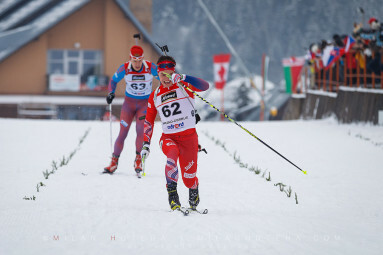 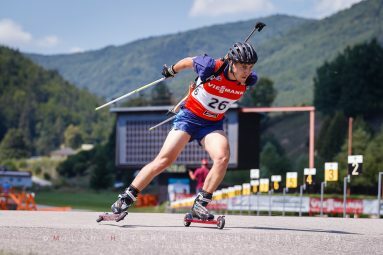 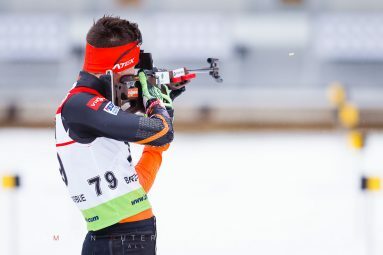 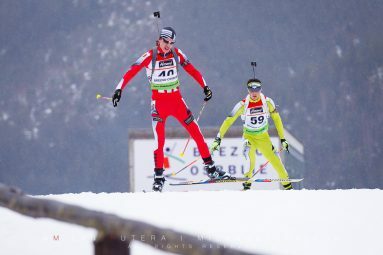 Leo Grandbois of Canada claimed the gold medal in very difficult rainy conditions, besting Said Karimulla Khalili of Russia and Danilo Riethmueller of Germany. 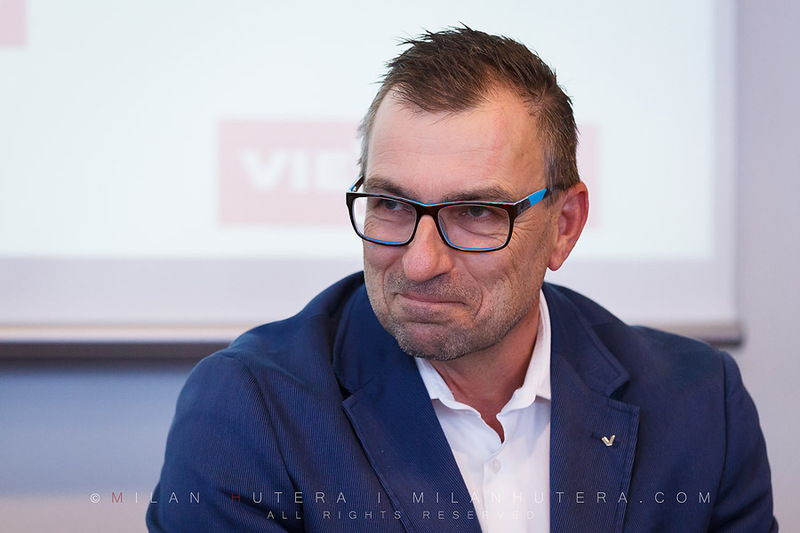 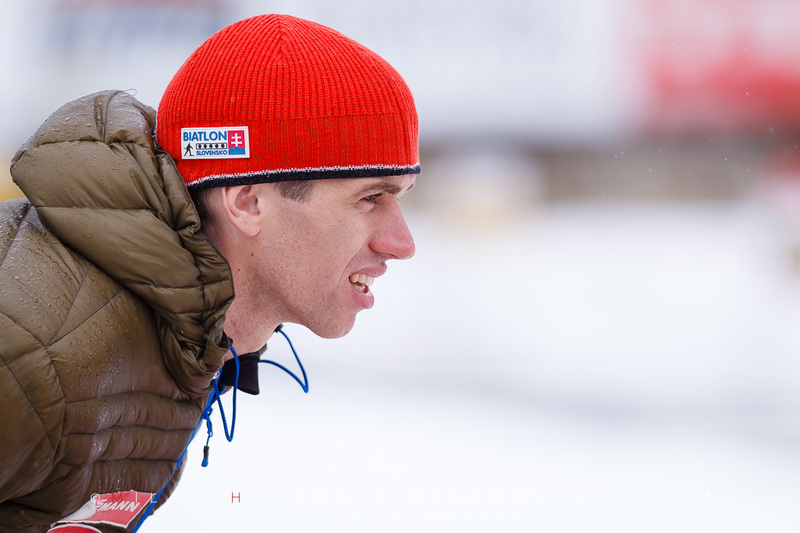 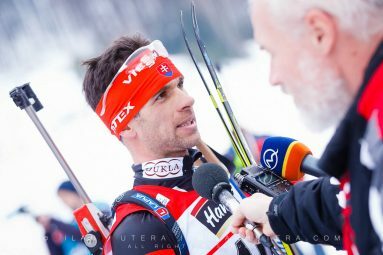 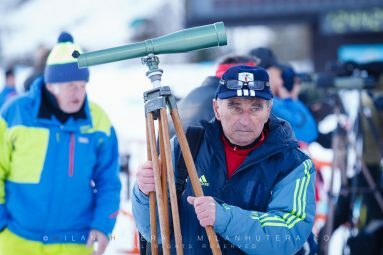 Miroslav Pavlak (bib no. 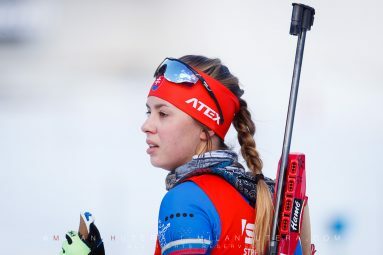 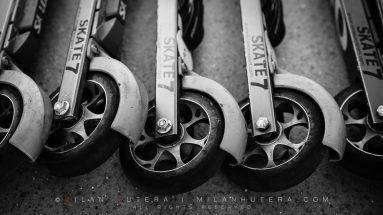 79) the member of Slovak Biathlon Team and Stars For Stars unfortunately didn’t have the best day, finishing 79th with 10 penalty minutes. 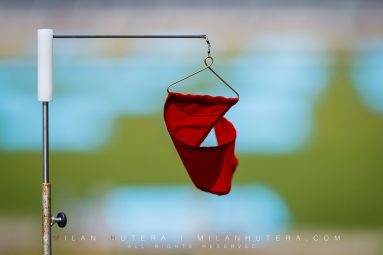 This will most likely be my only attendance of this event so this gallery is considered to be final. 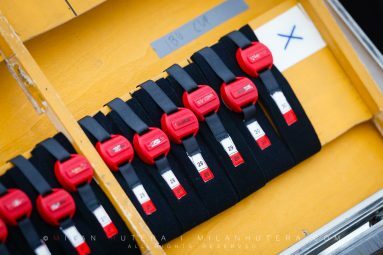 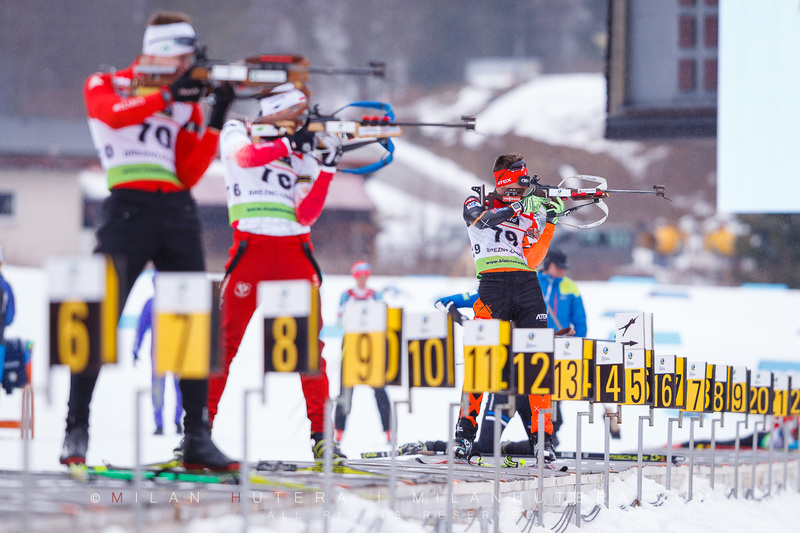 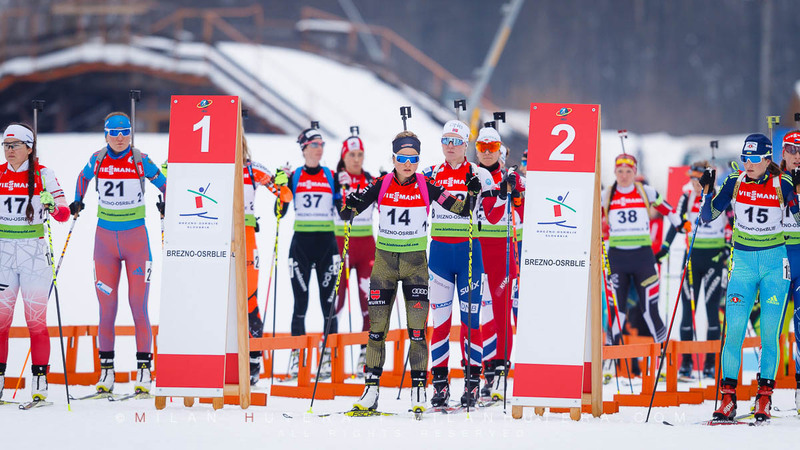 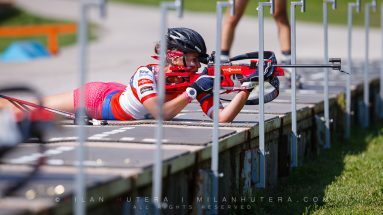 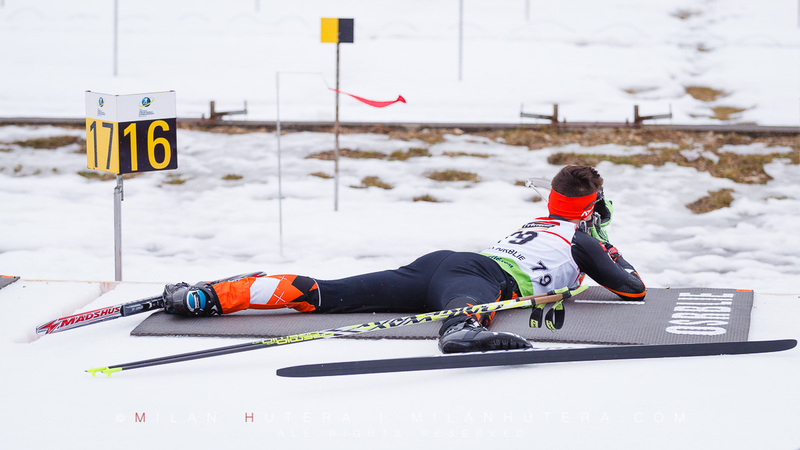 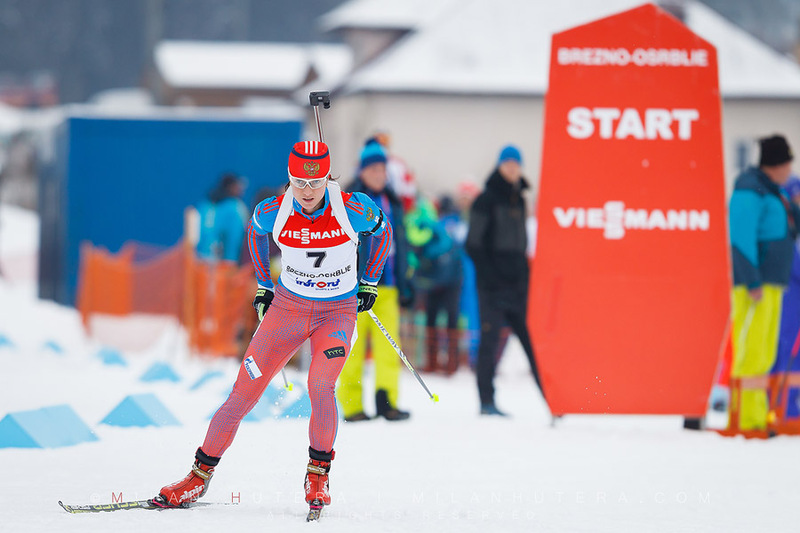 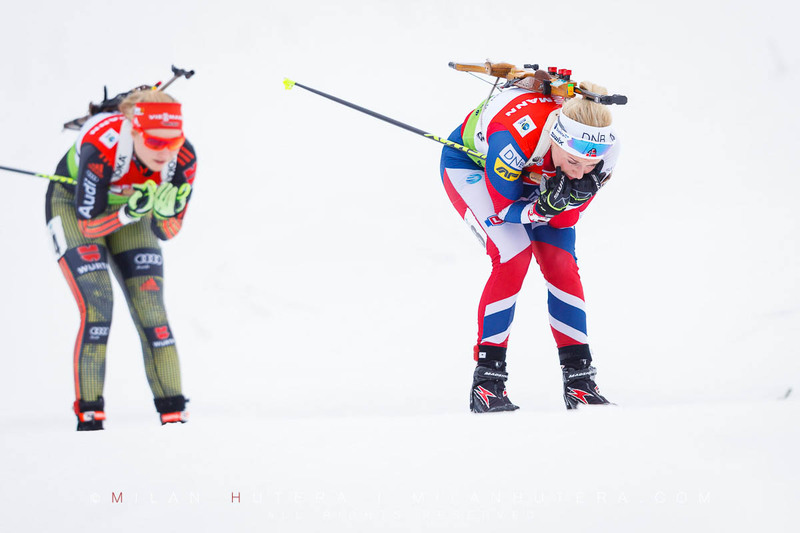 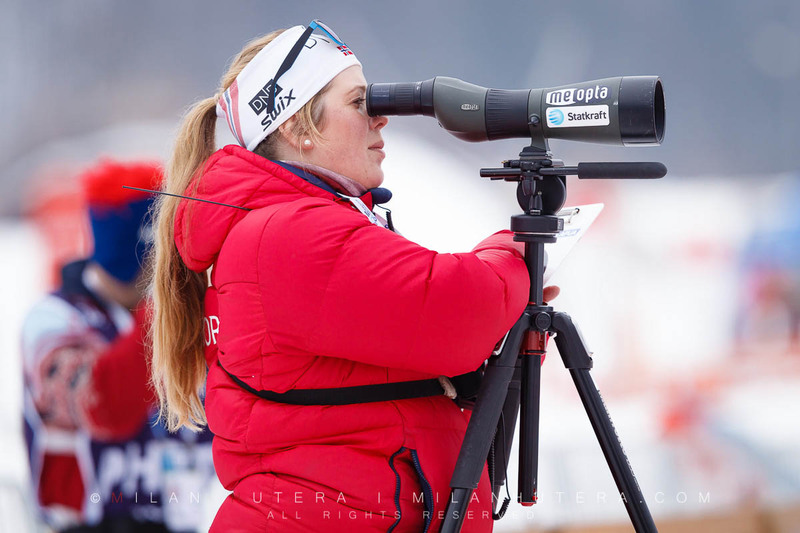 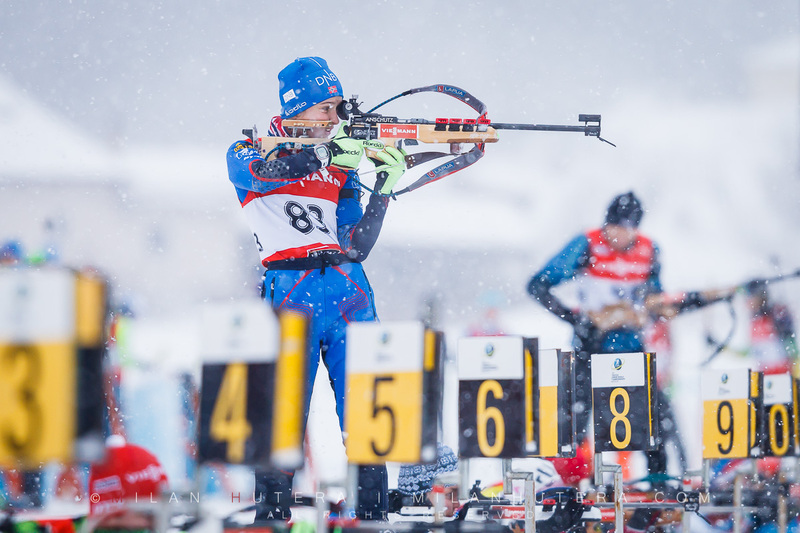 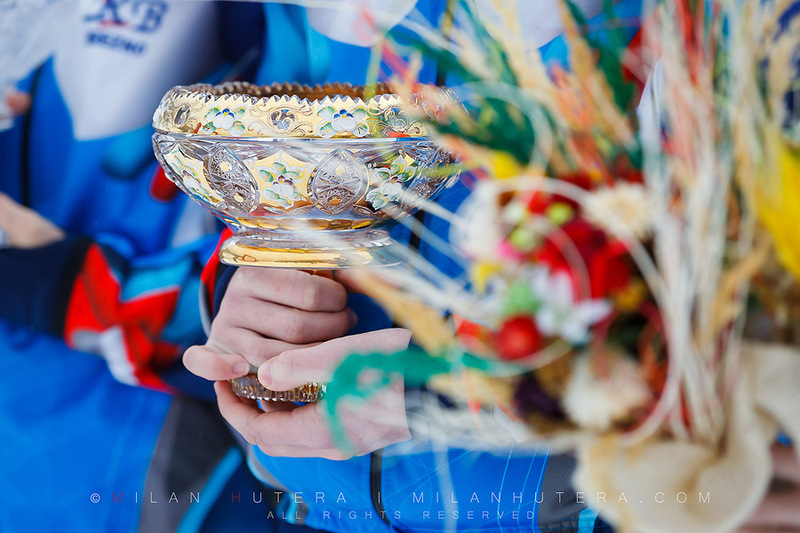 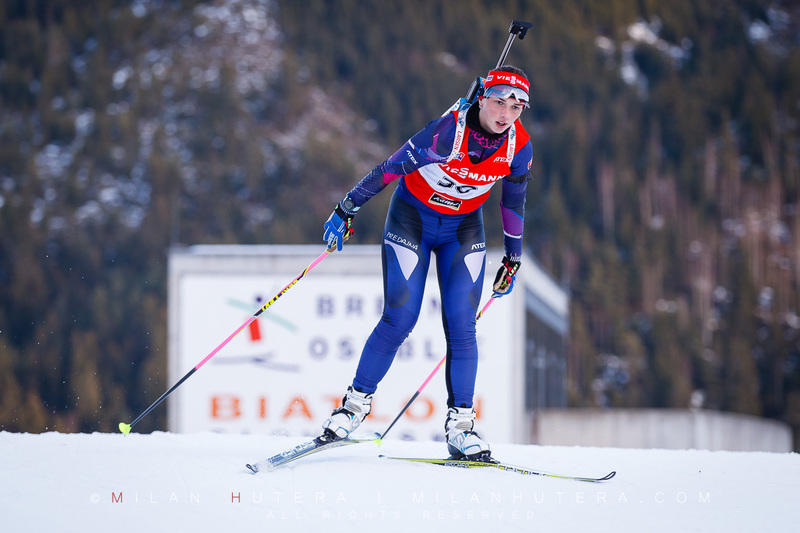 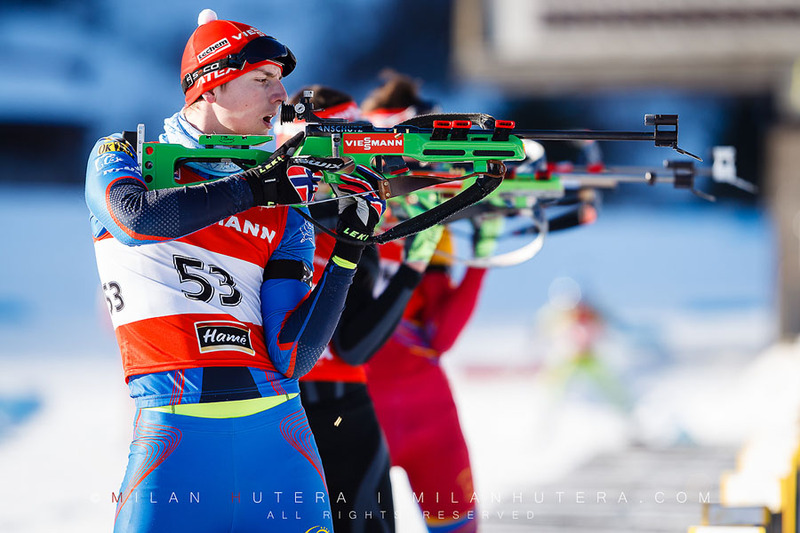 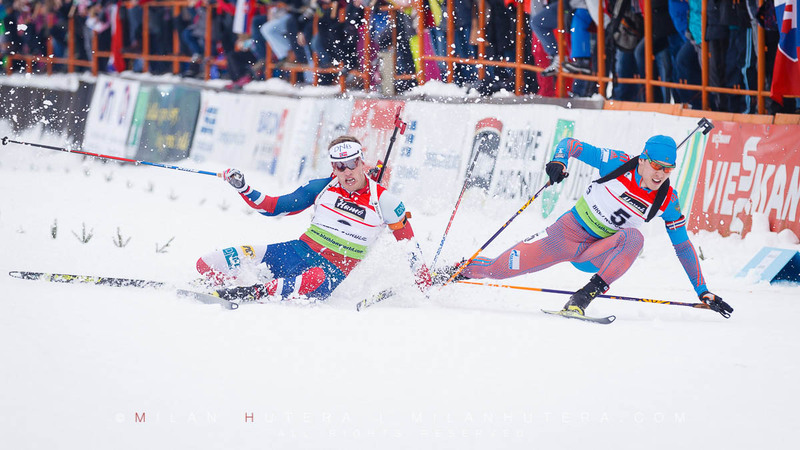 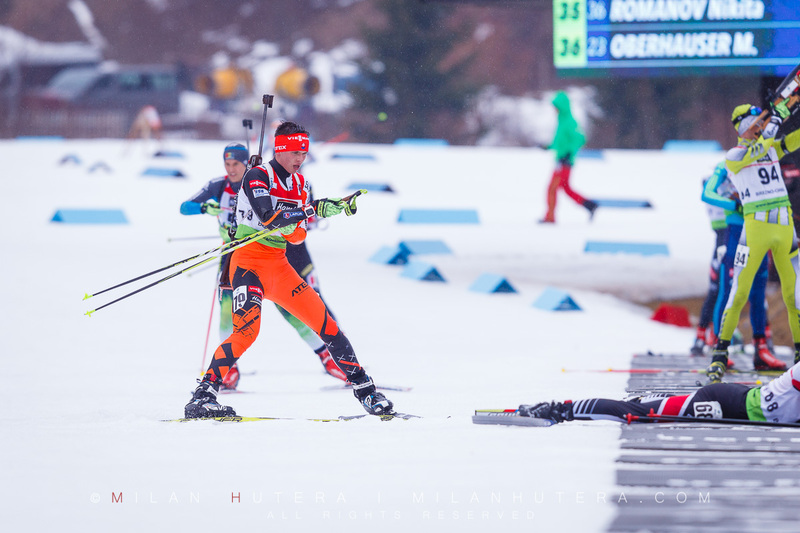 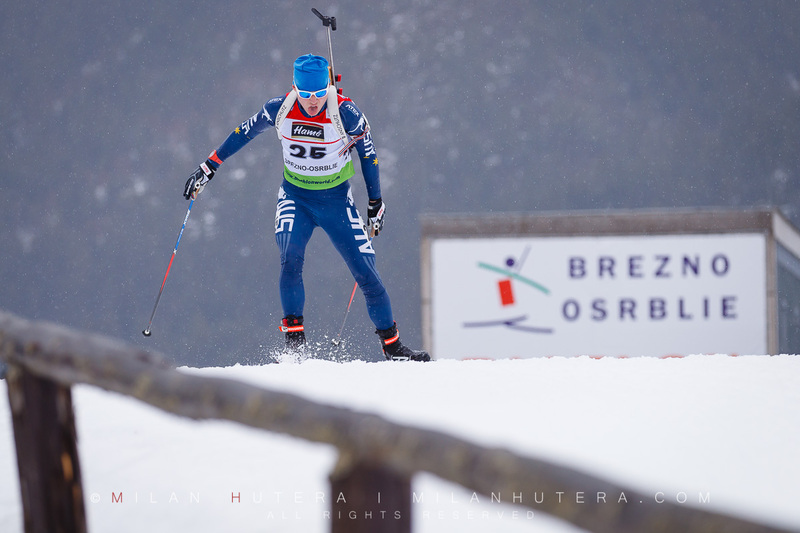 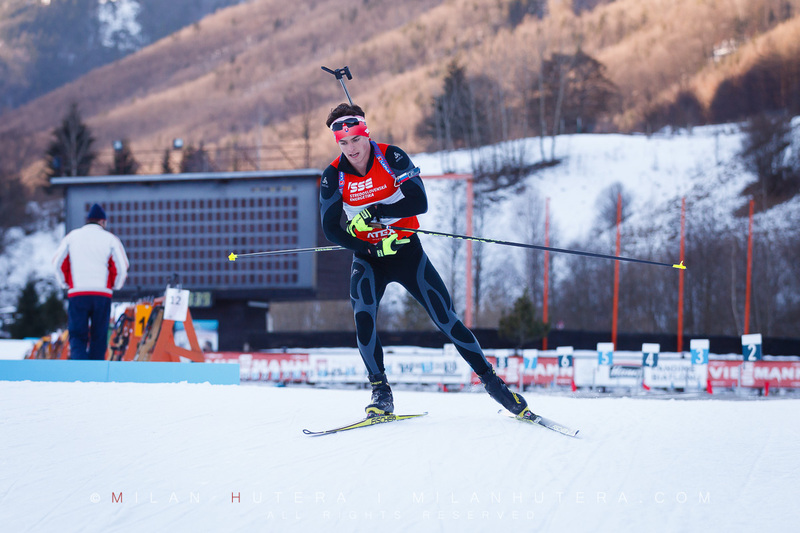 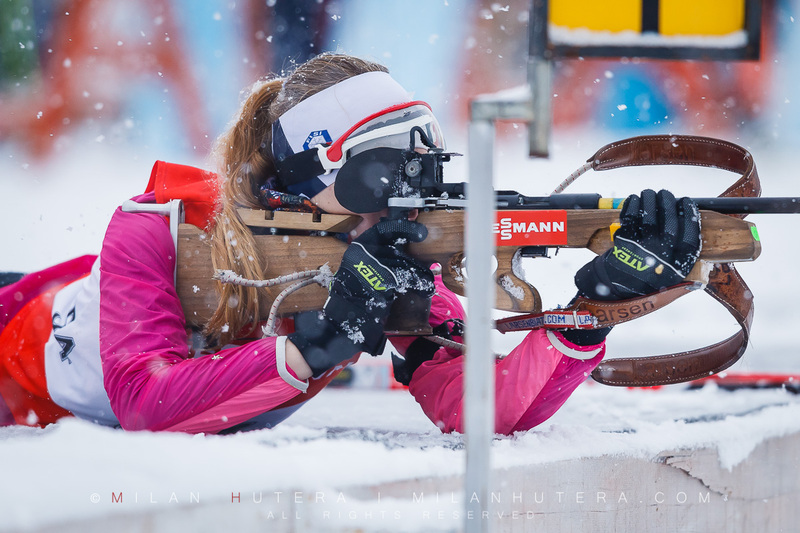 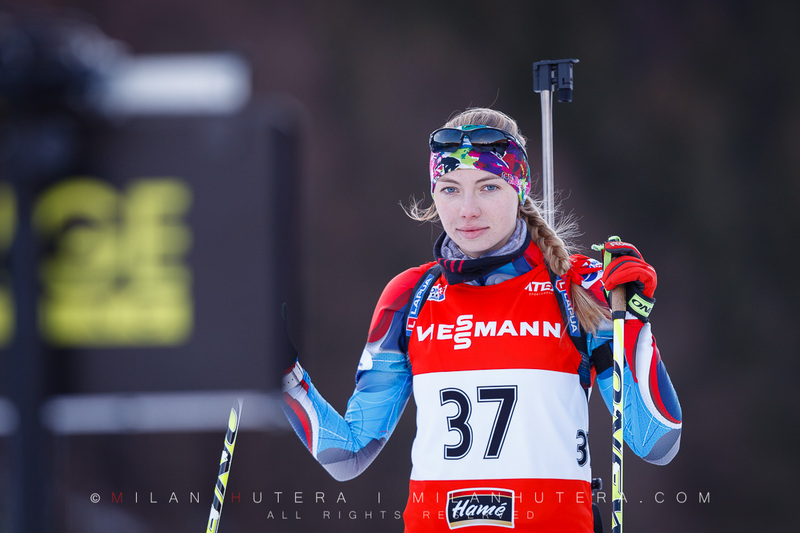 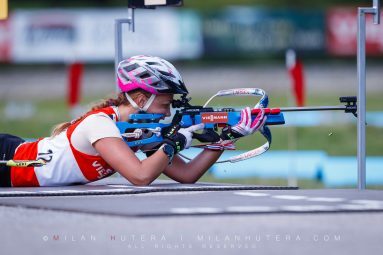 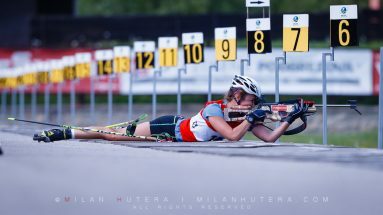 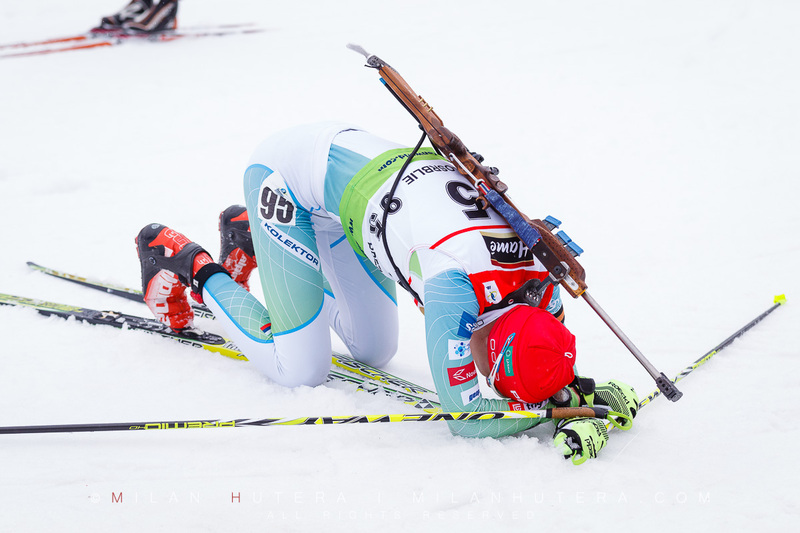 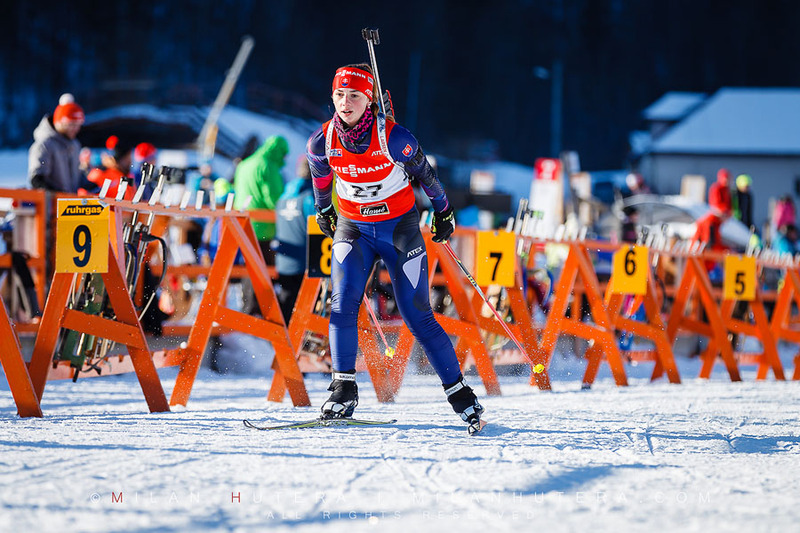 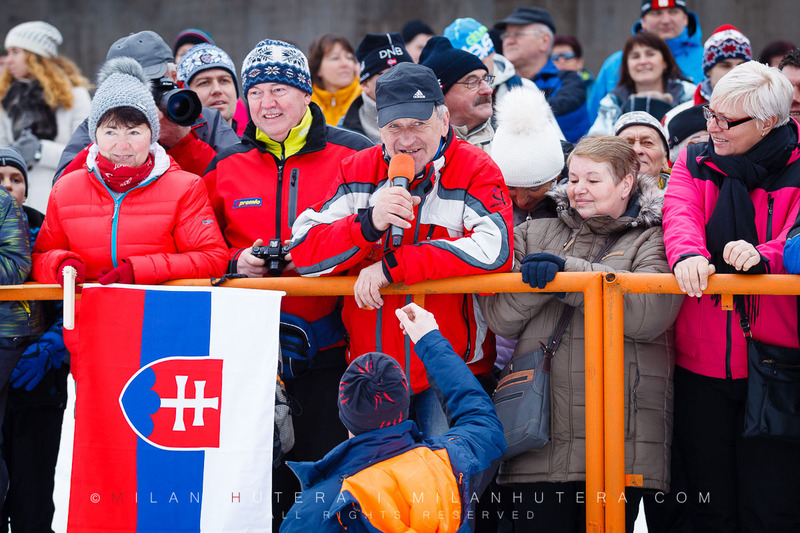 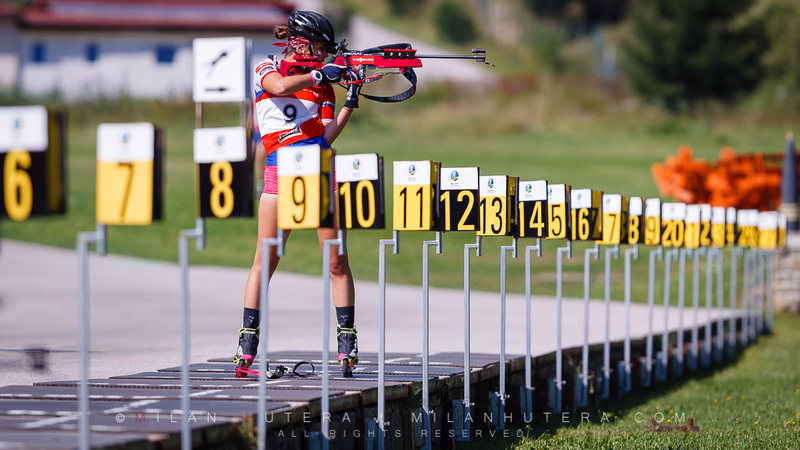 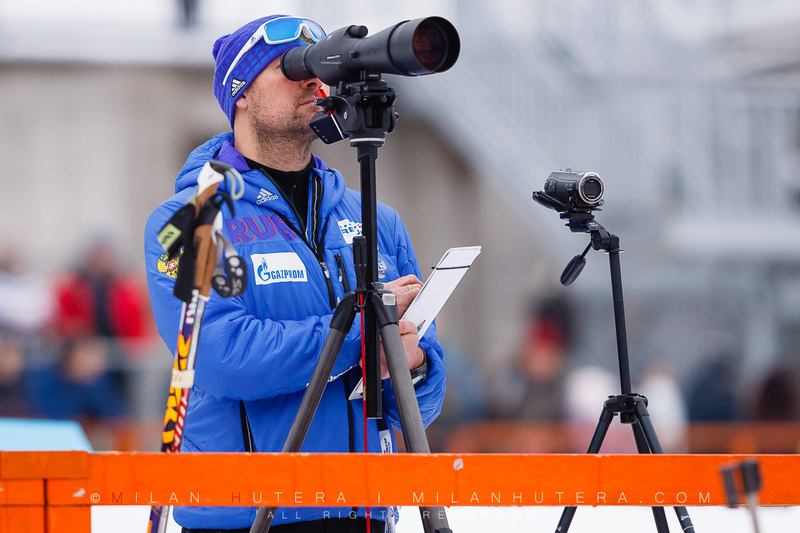 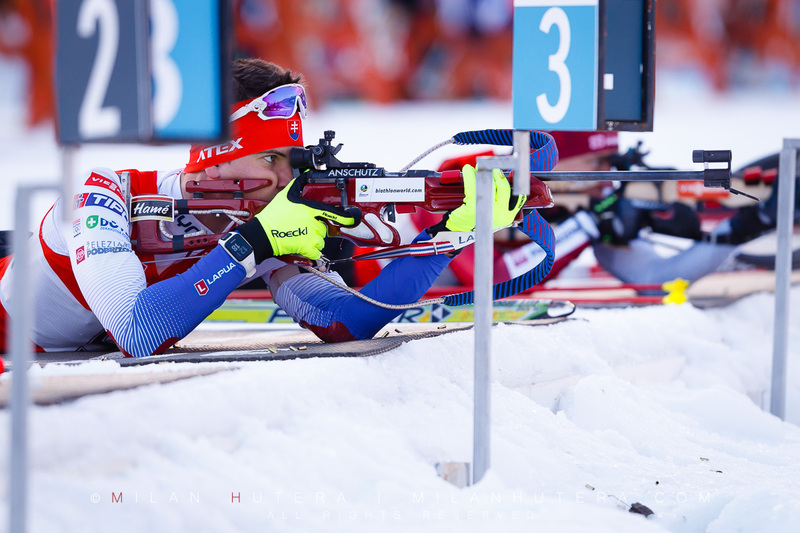 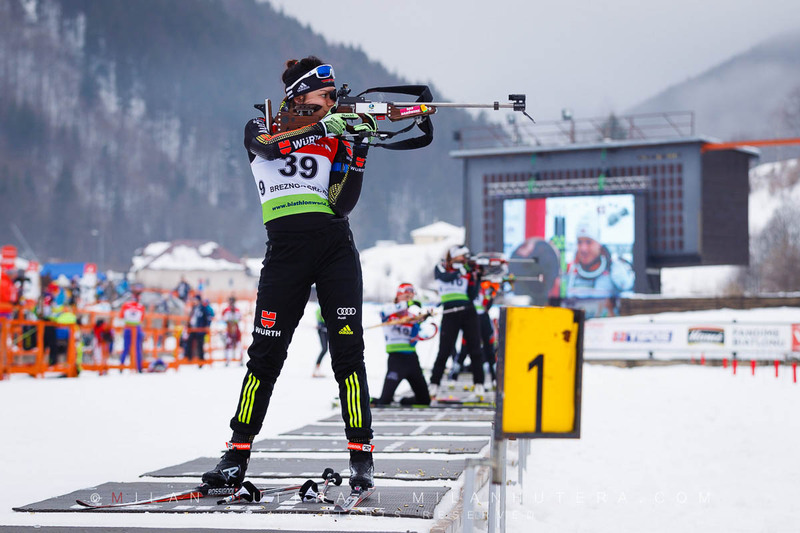 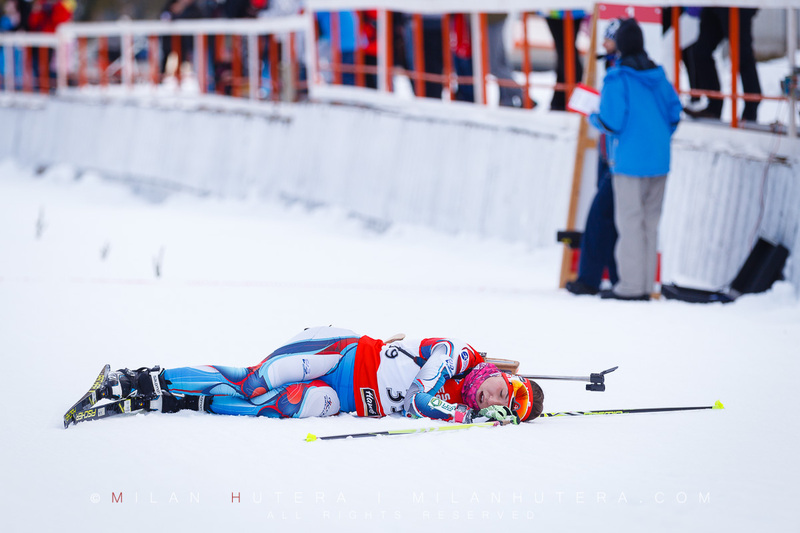 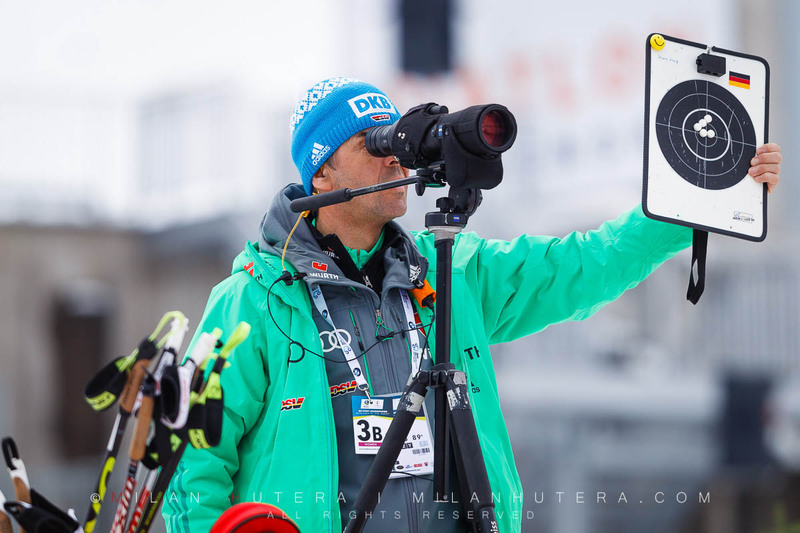 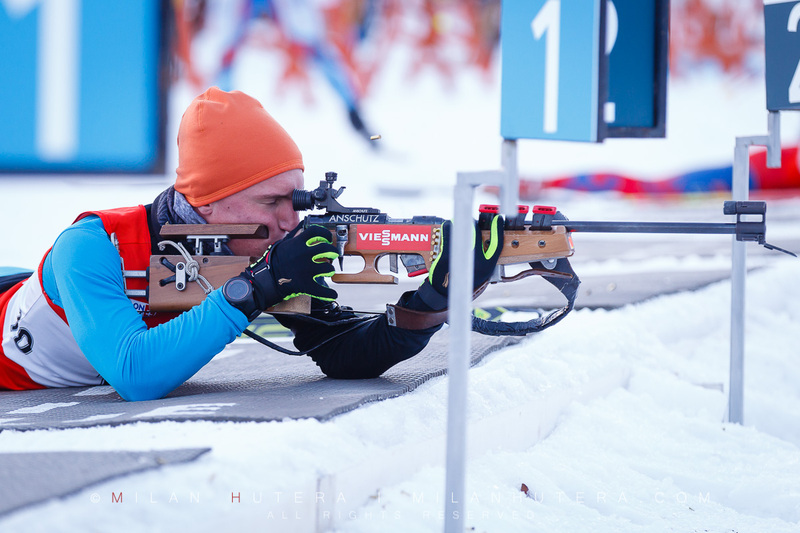 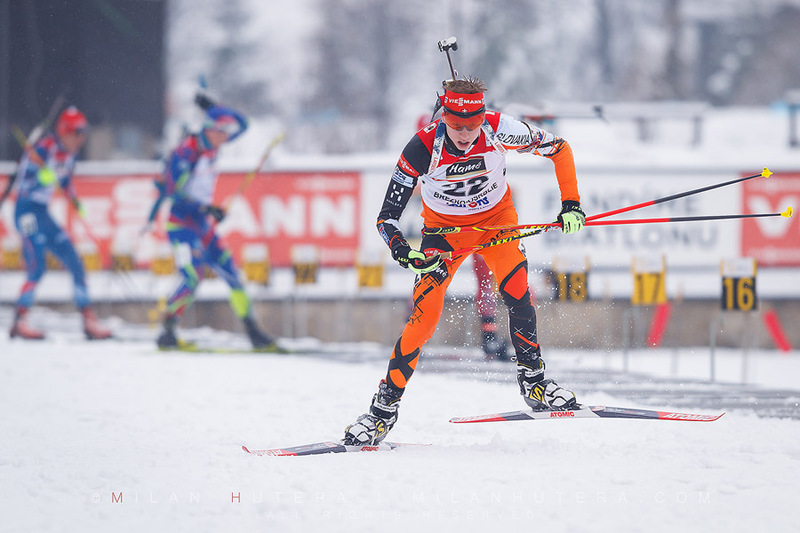 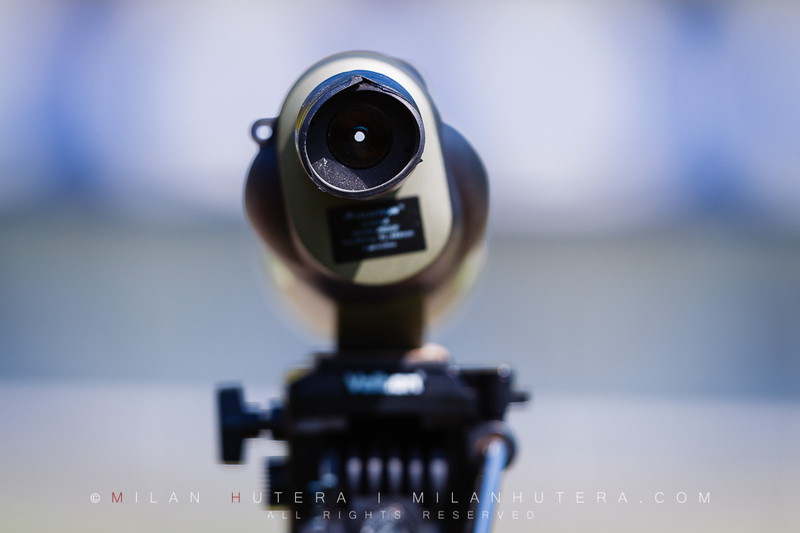 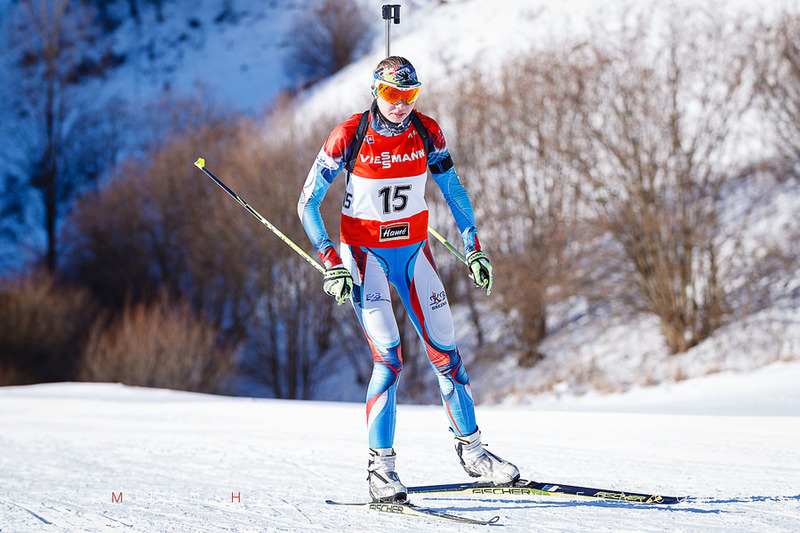 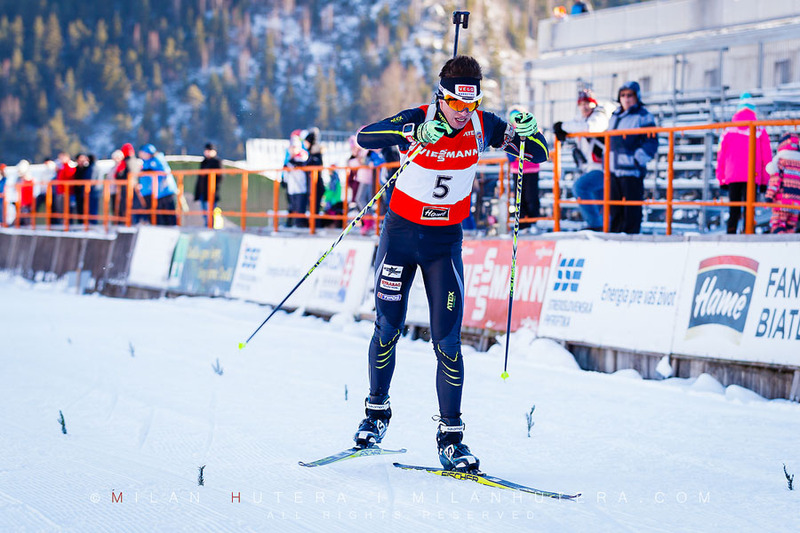 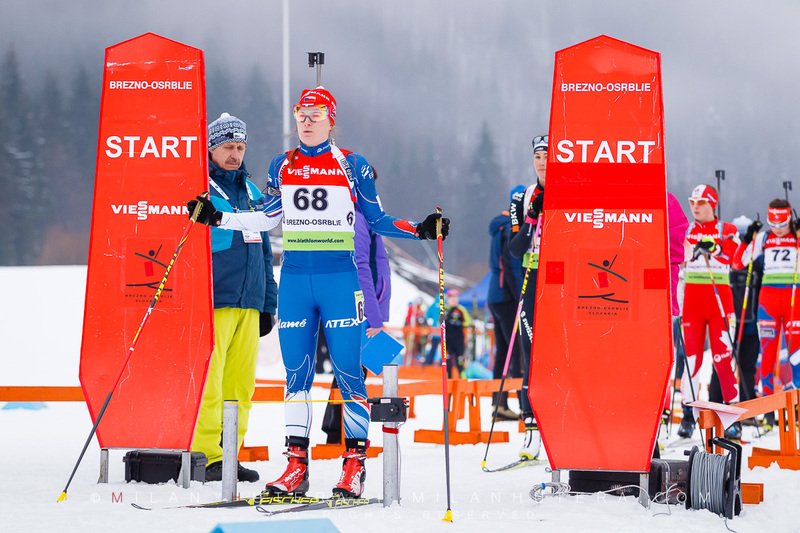 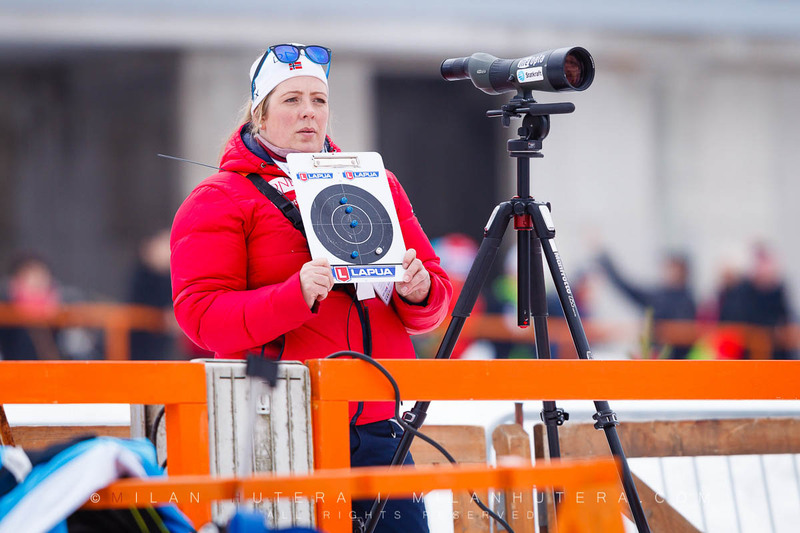 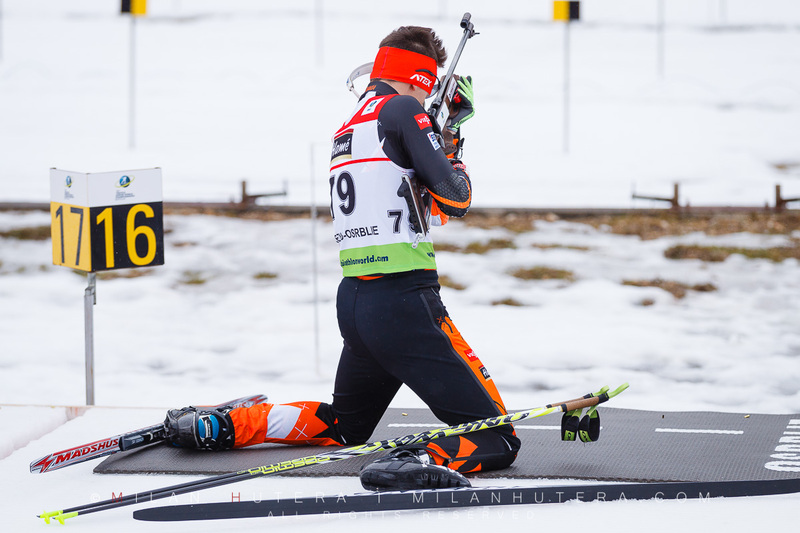 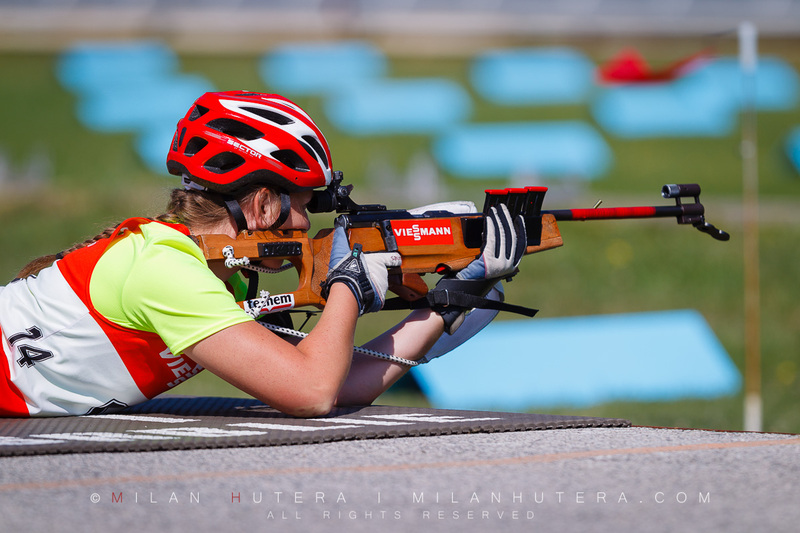 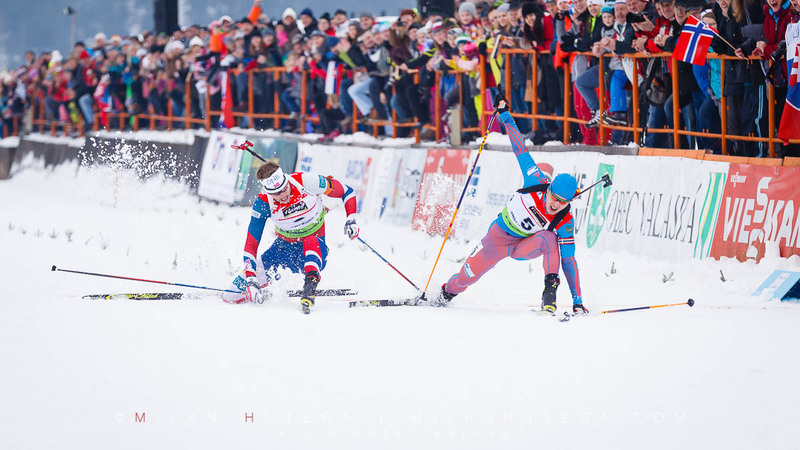 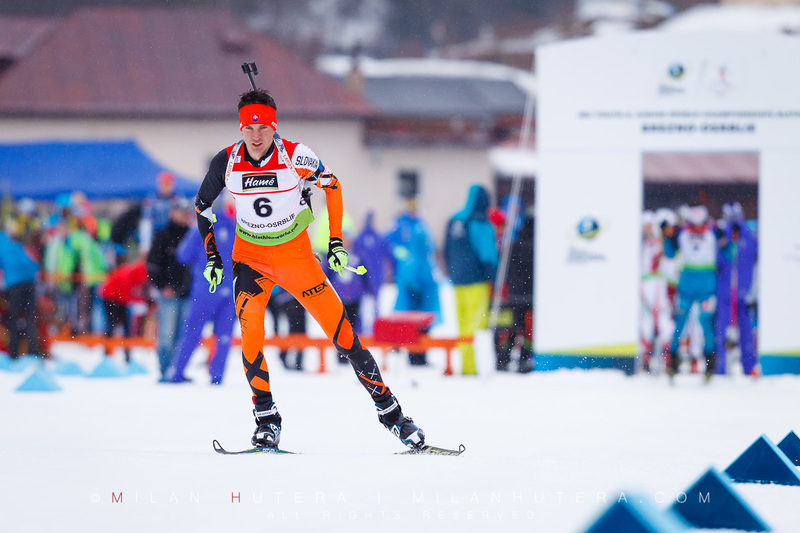 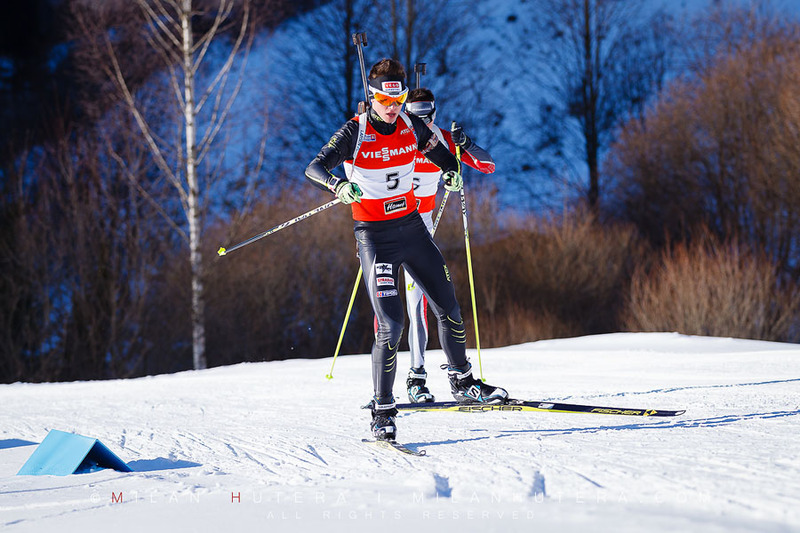 The 6th edition of IBU Cup 2016/2017 biathlon season took place in Osrblie, Slovakia. I had a chance to attend the Saturday’s pursuit competitions. 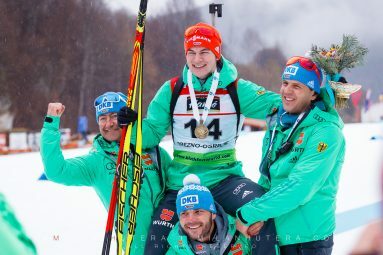 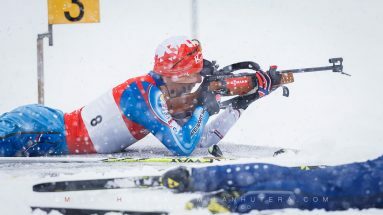 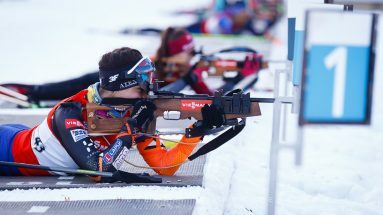 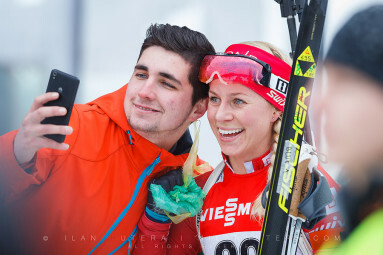 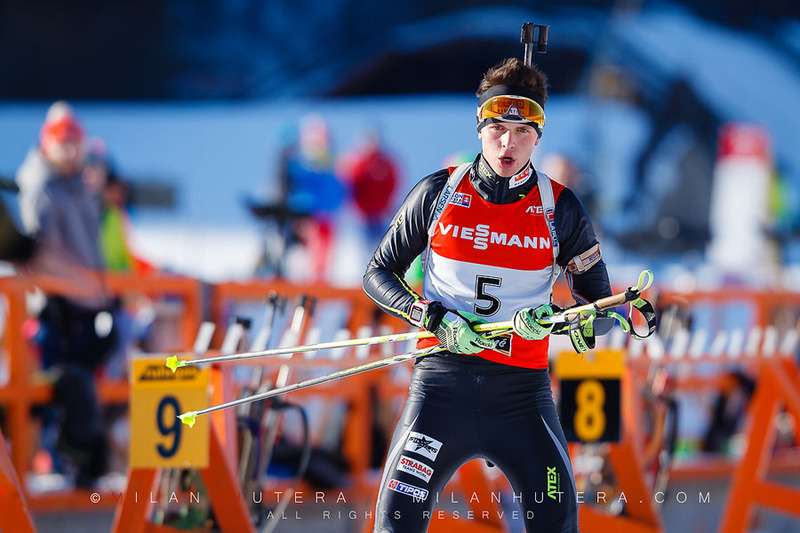 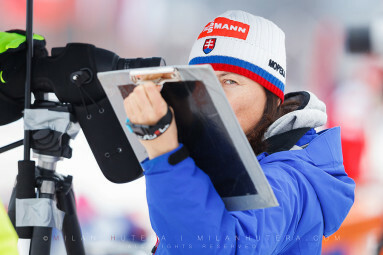 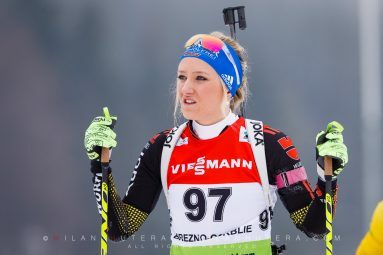 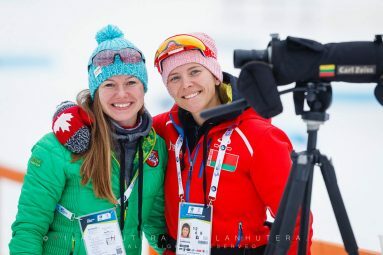 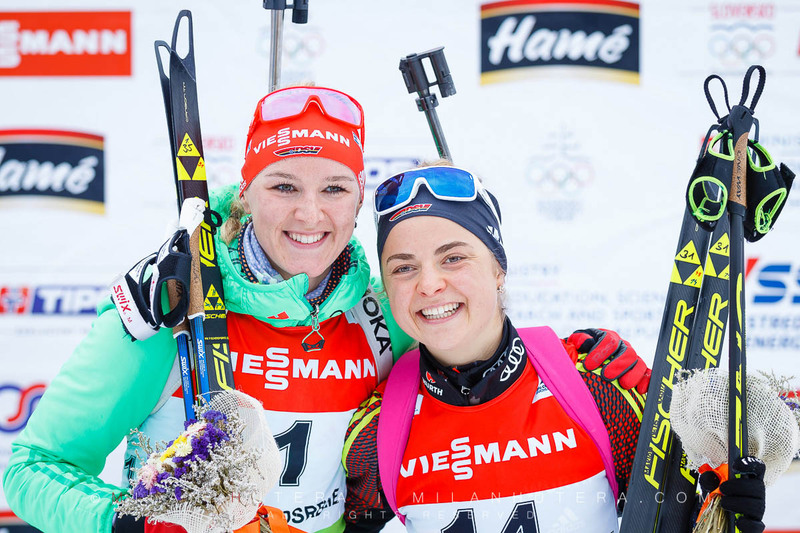 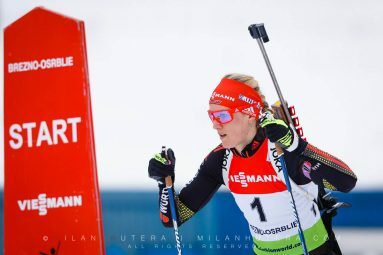 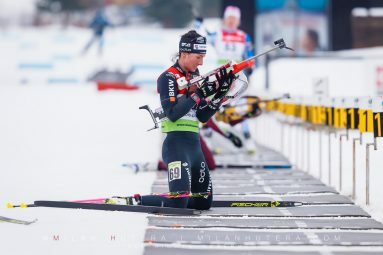 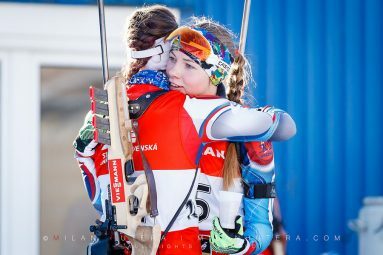 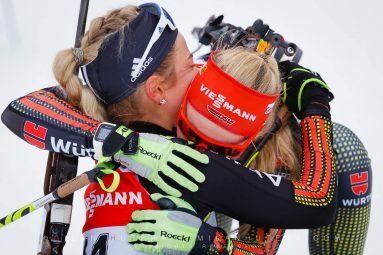 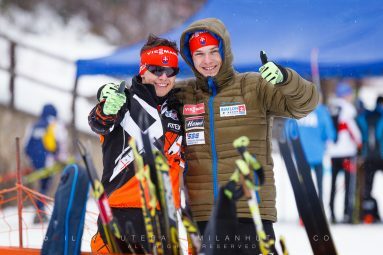 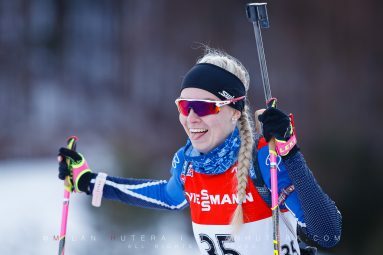 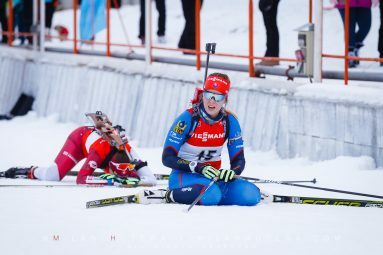 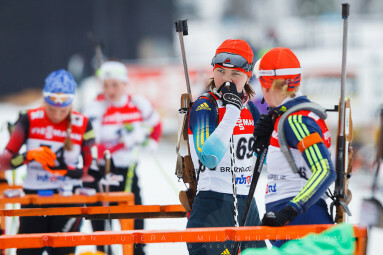 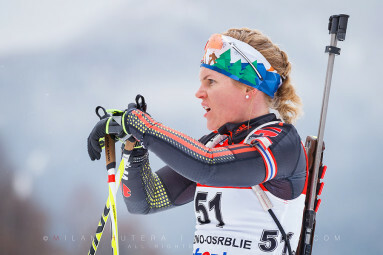 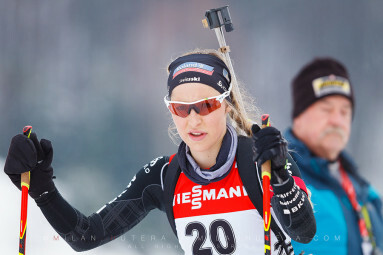 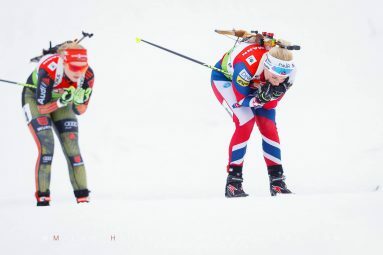 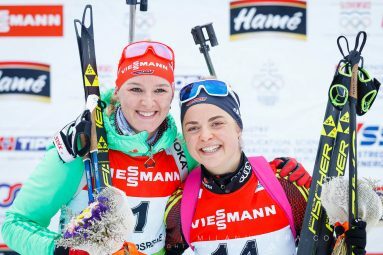 In women’s pursuit, the respectable home crowd cheered for Terezia Poliakova (the only Slovak biathlete in the line up) as well as the strong German and Russian squads. 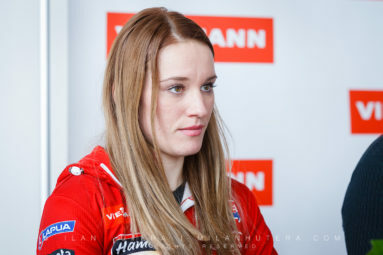 Daria Virolaynen of Russia won the race with two penalty loops. 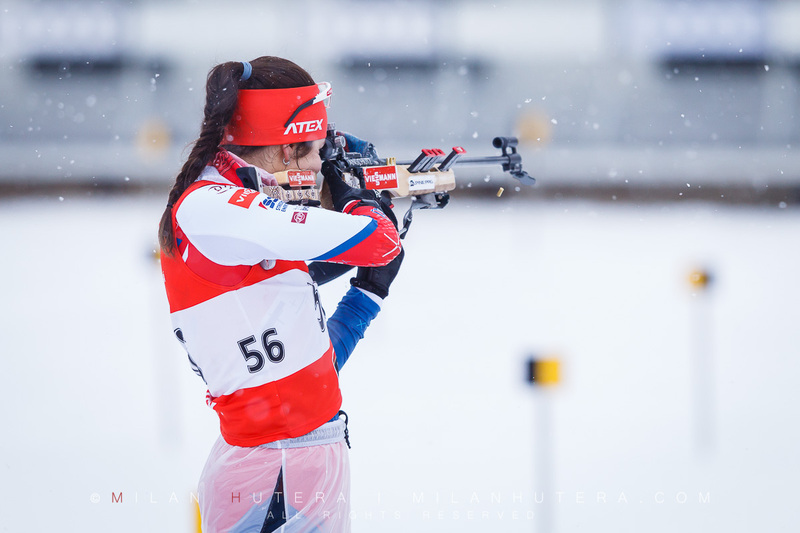 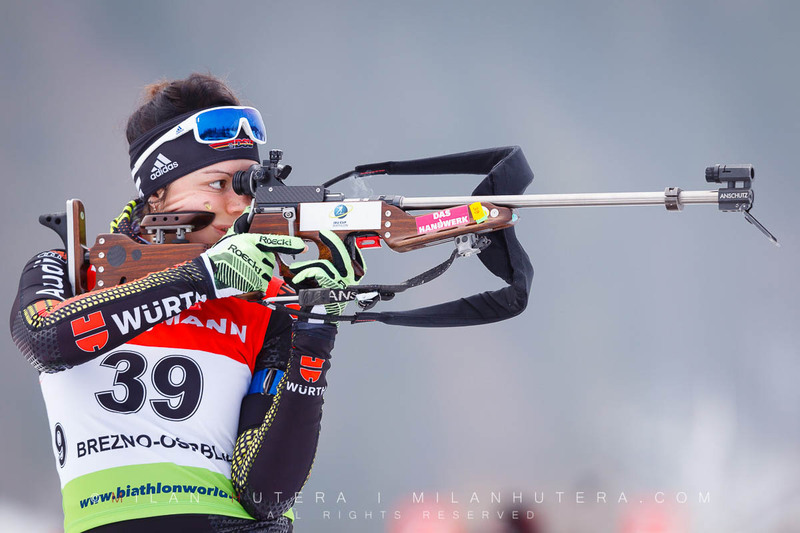 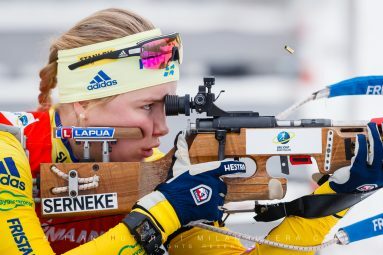 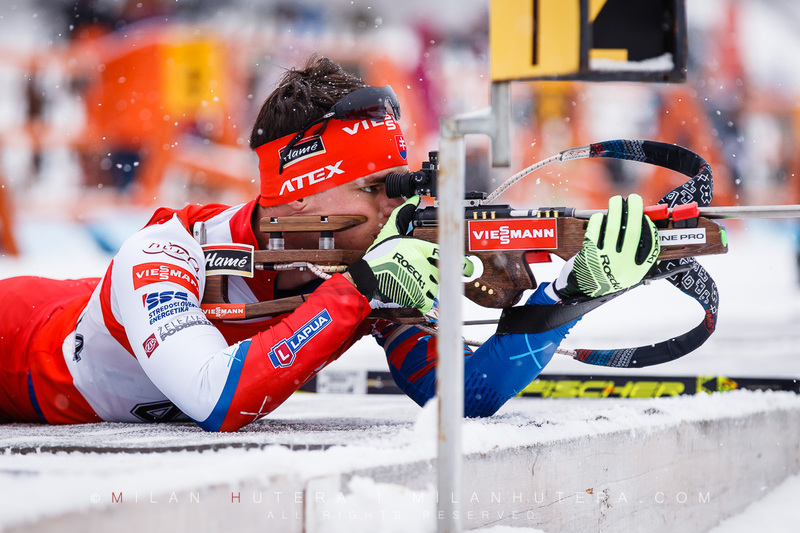 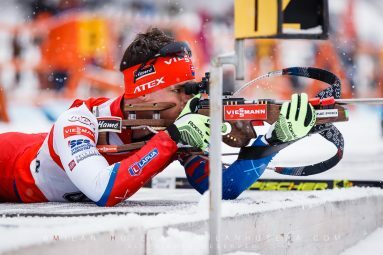 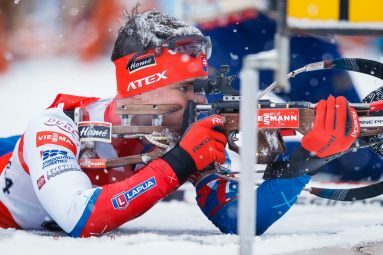 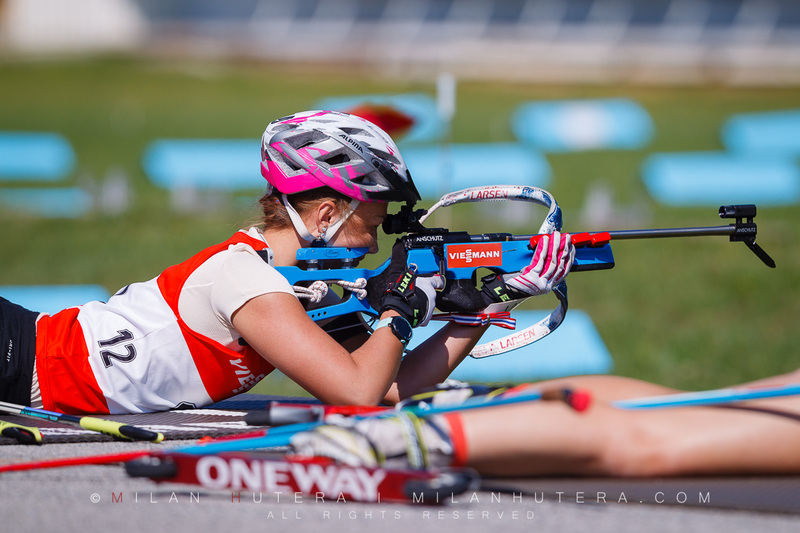 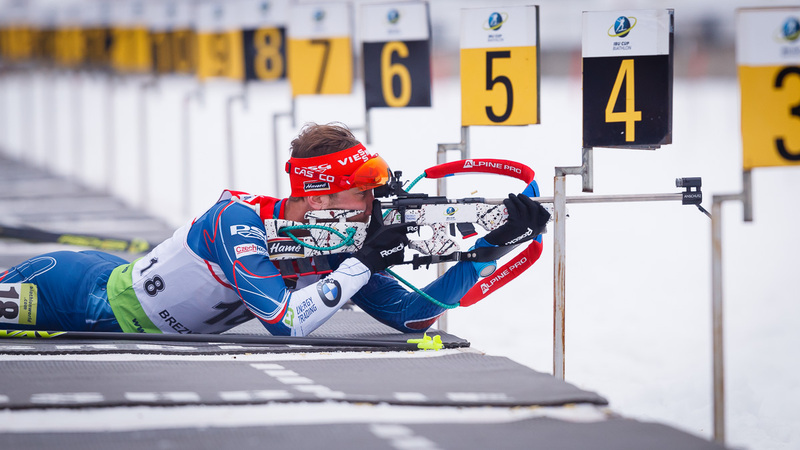 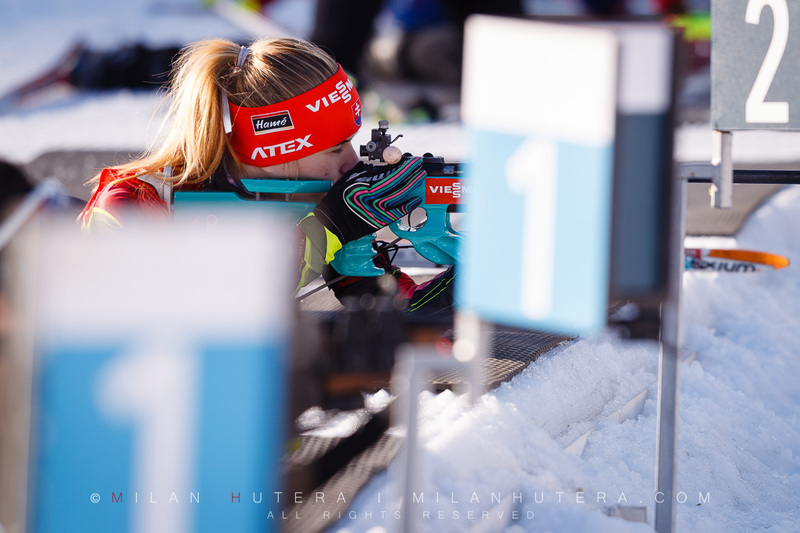 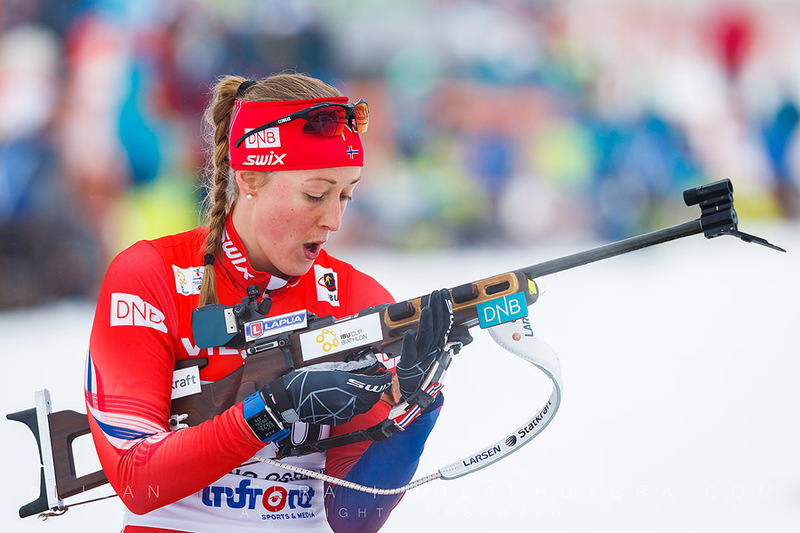 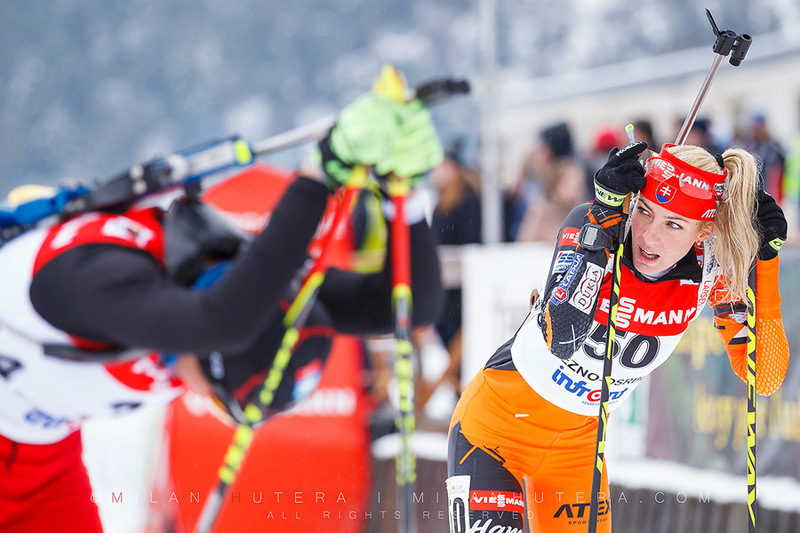 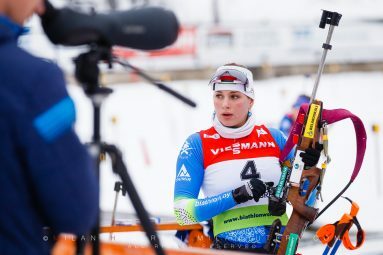 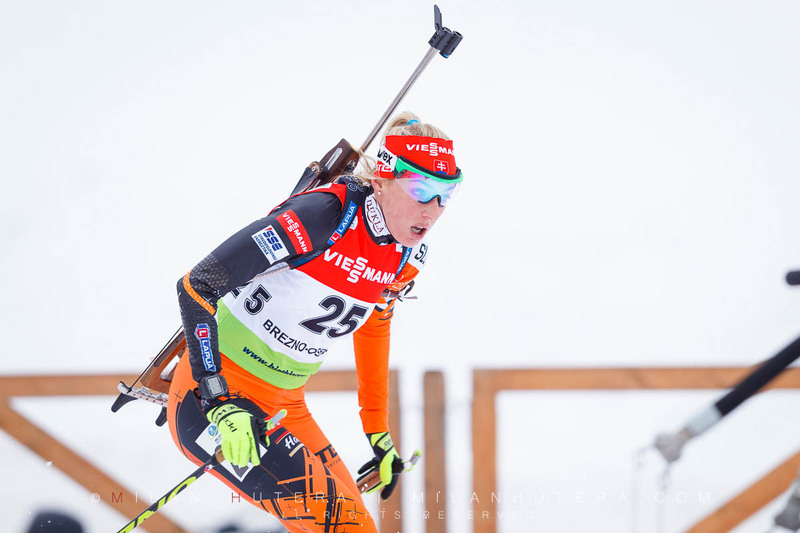 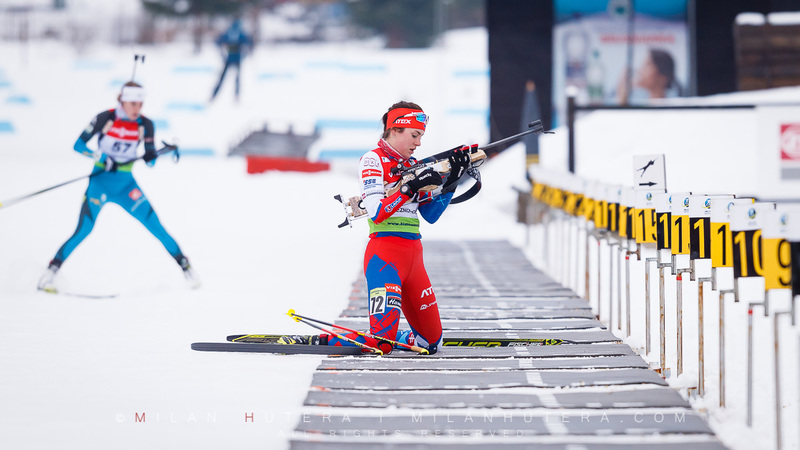 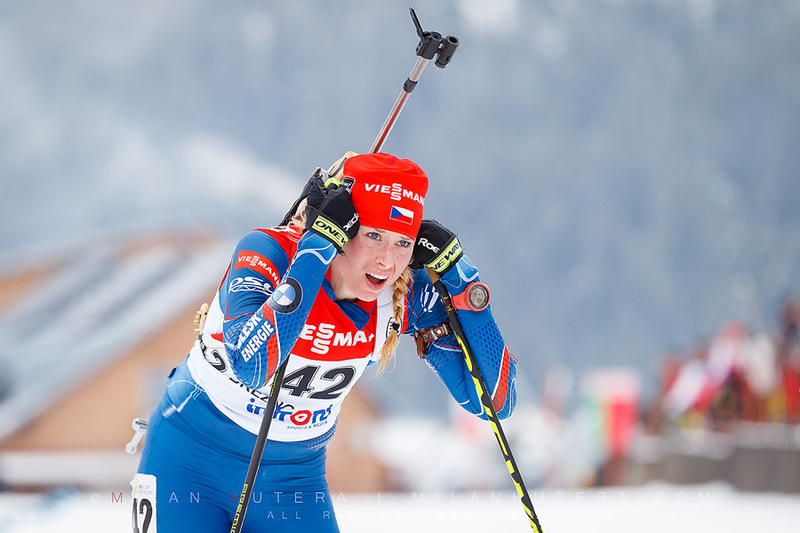 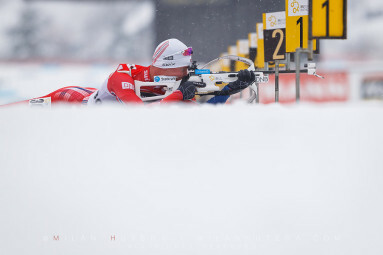 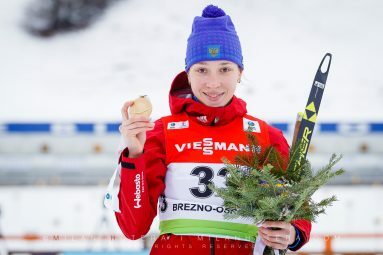 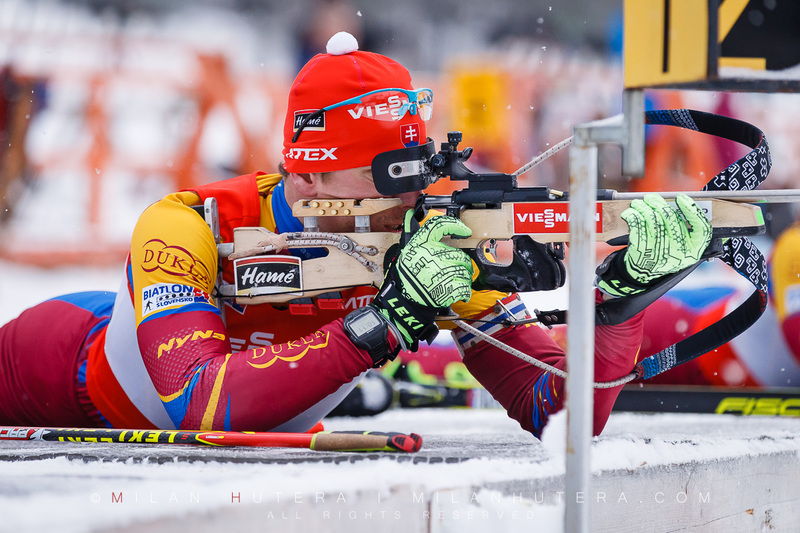 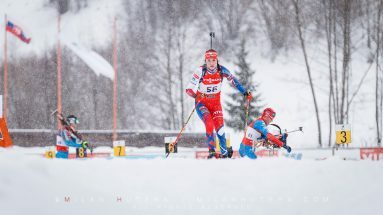 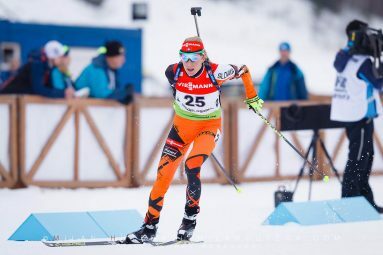 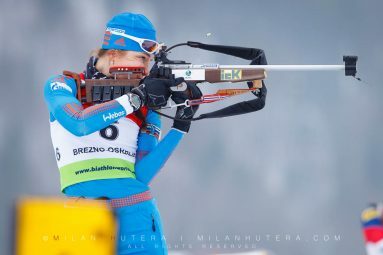 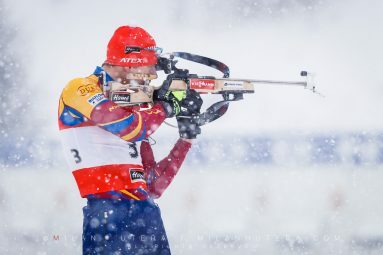 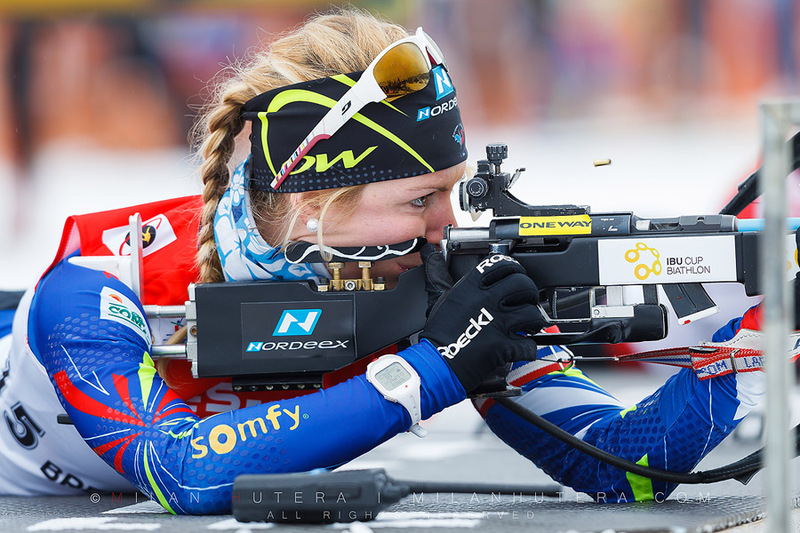 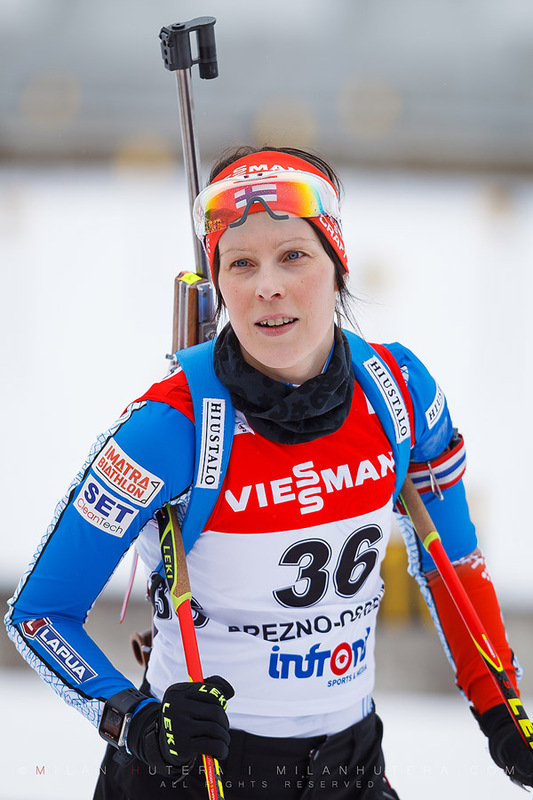 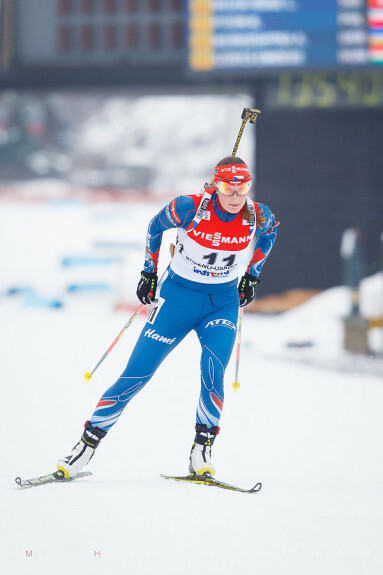 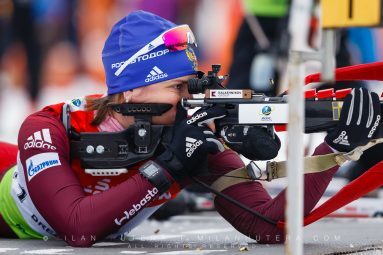 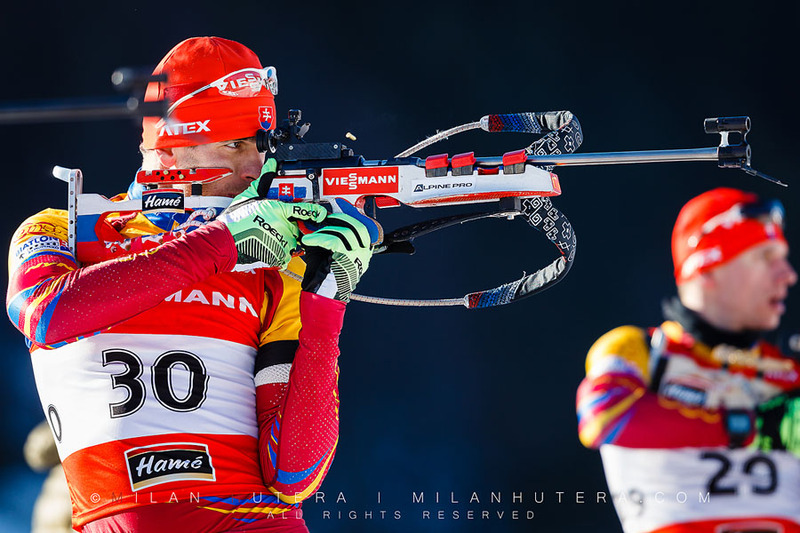 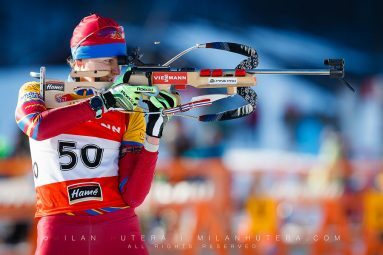 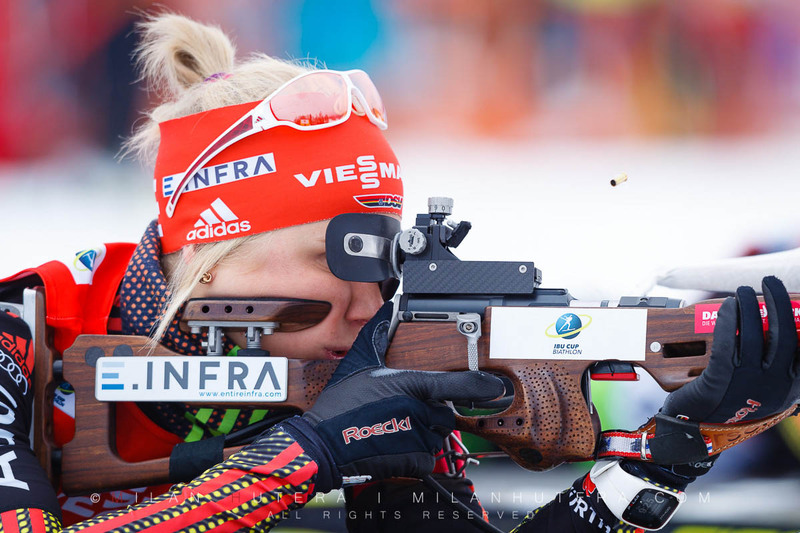 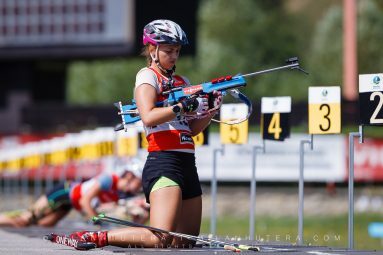 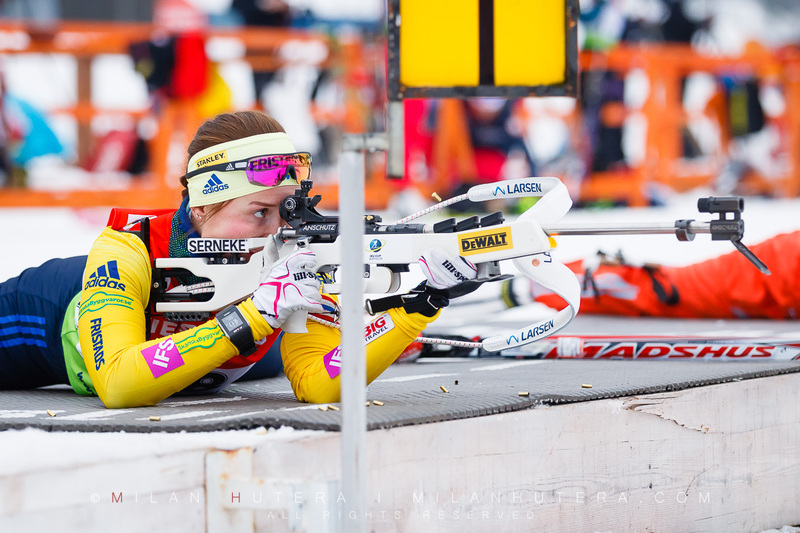 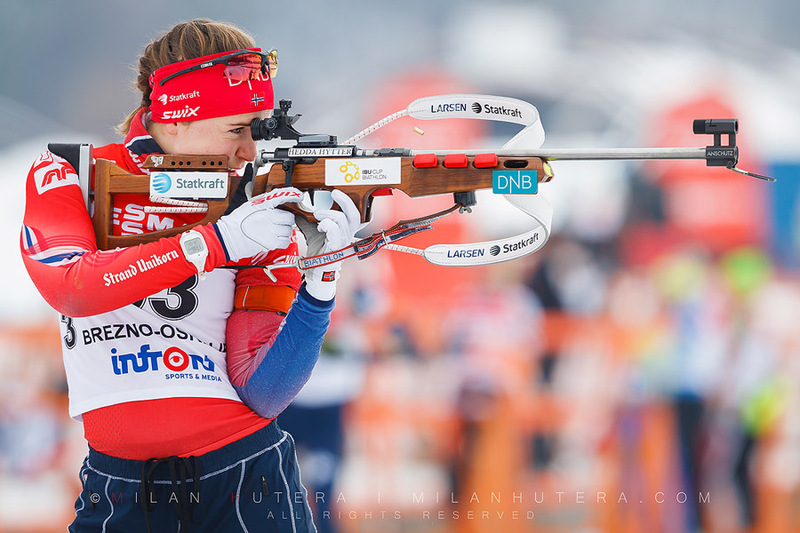 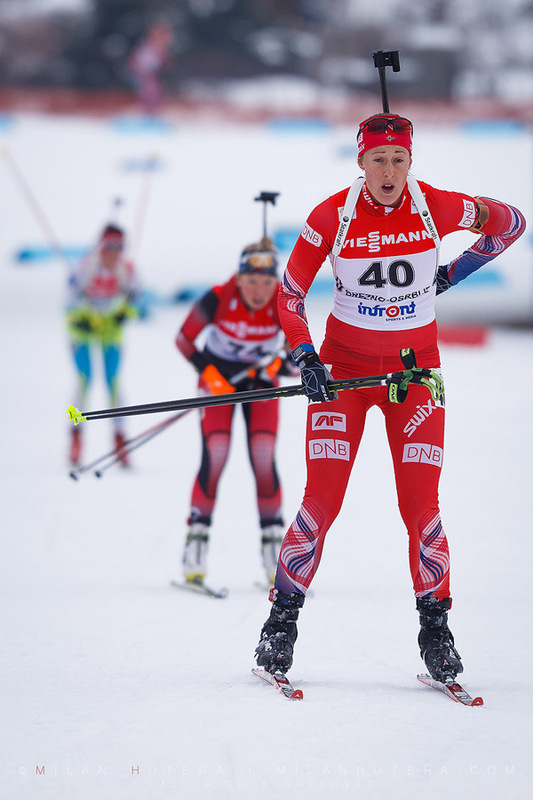 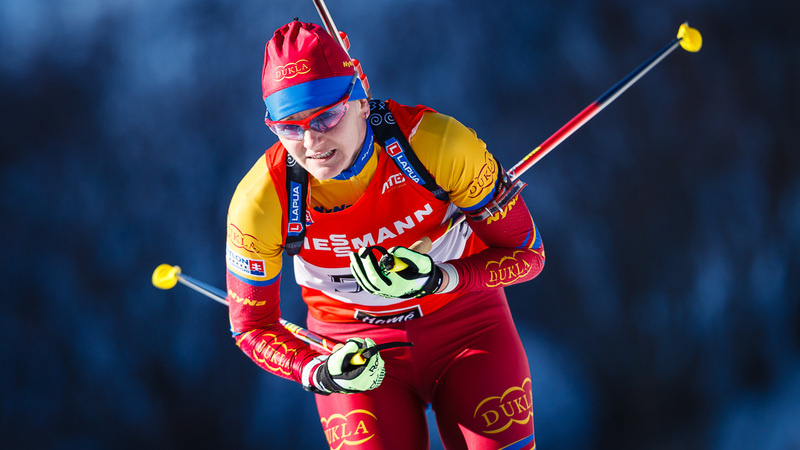 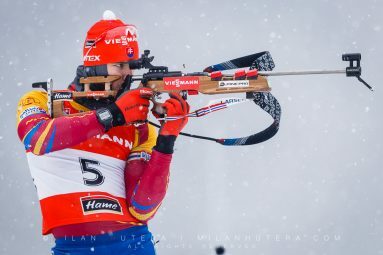 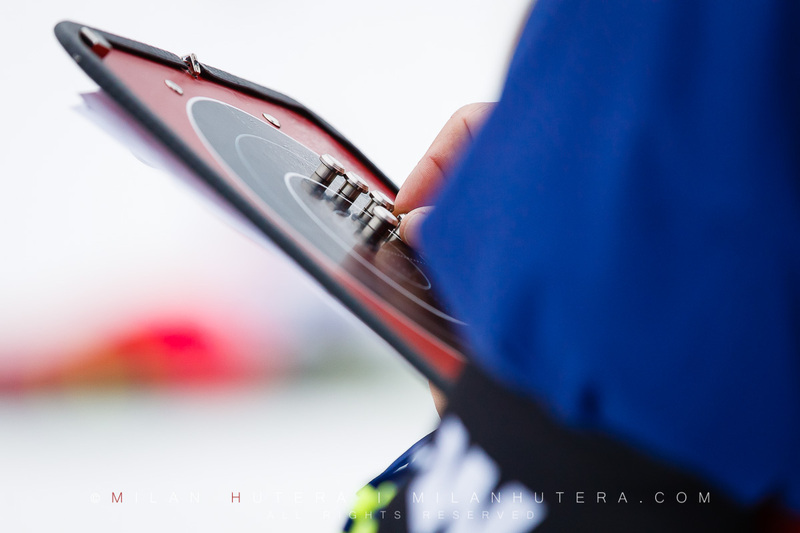 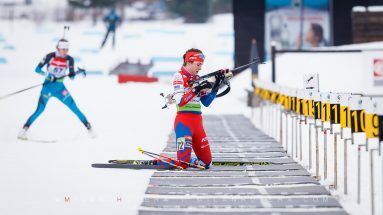 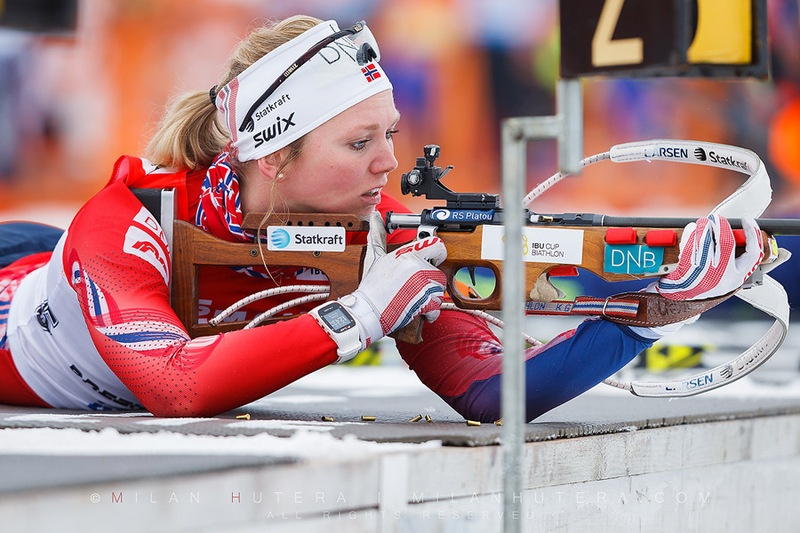 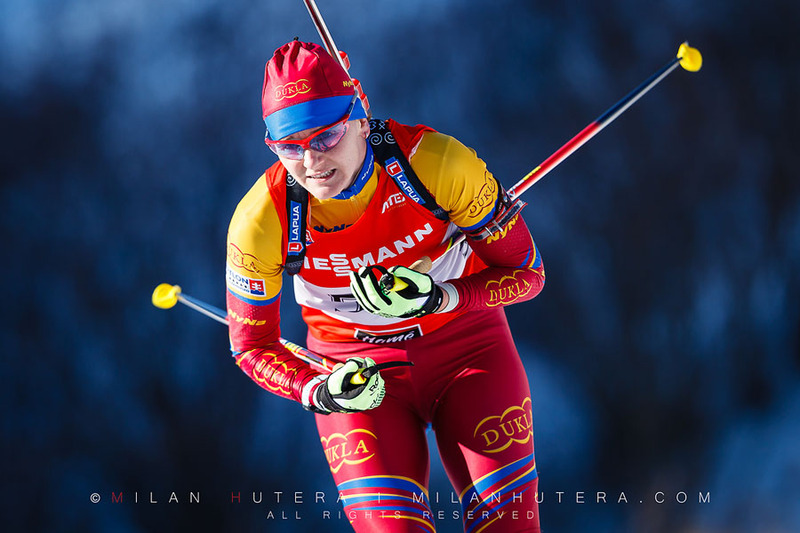 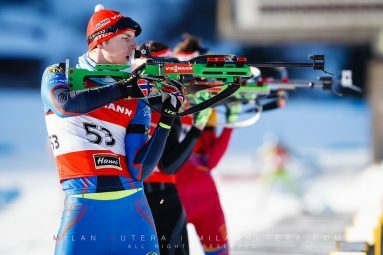 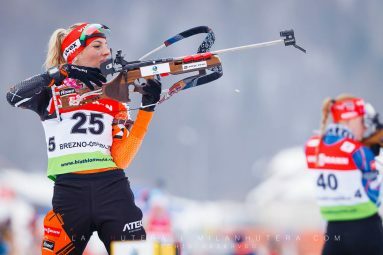 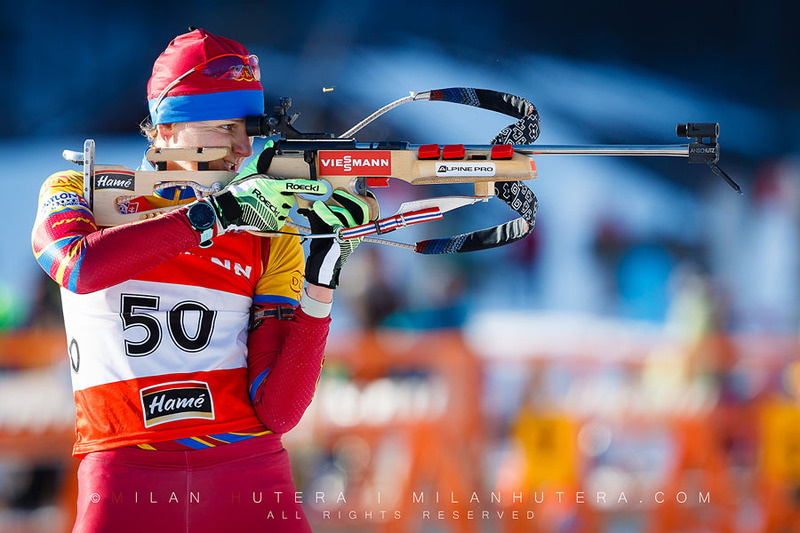 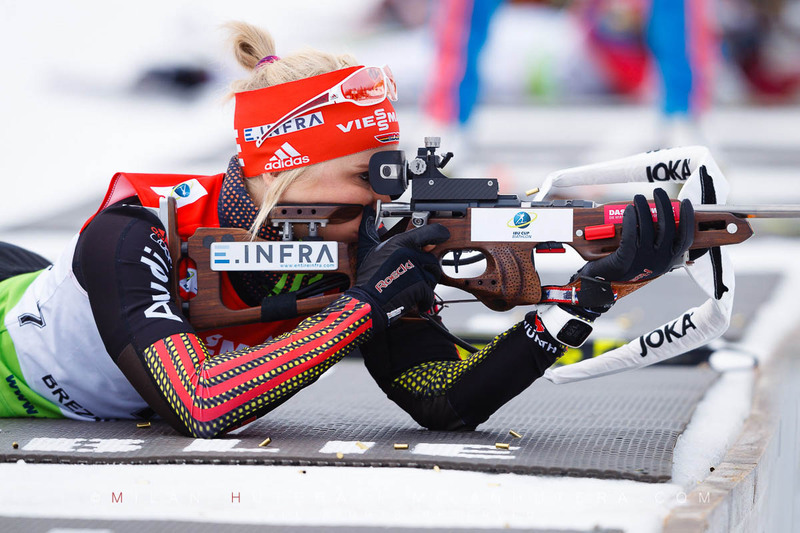 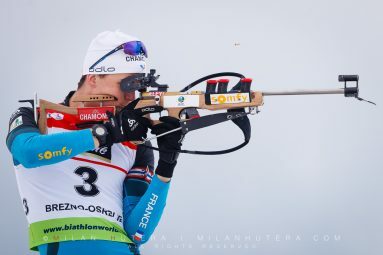 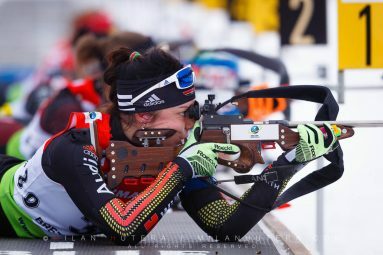 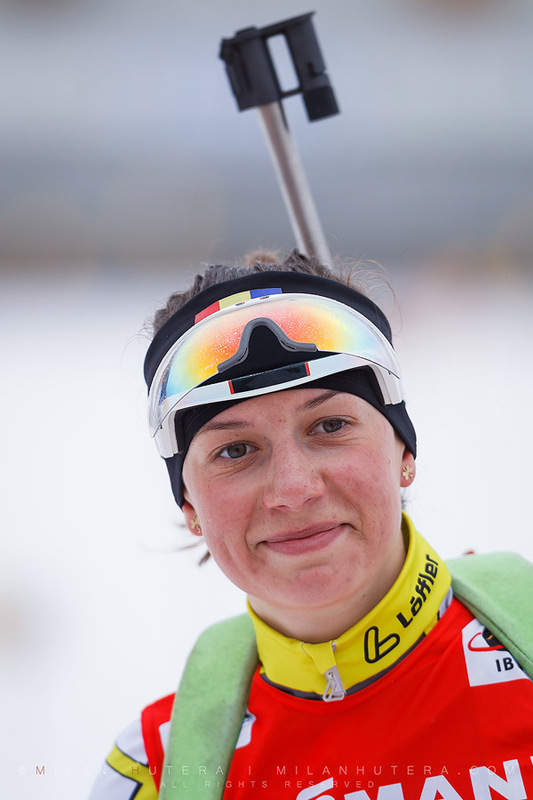 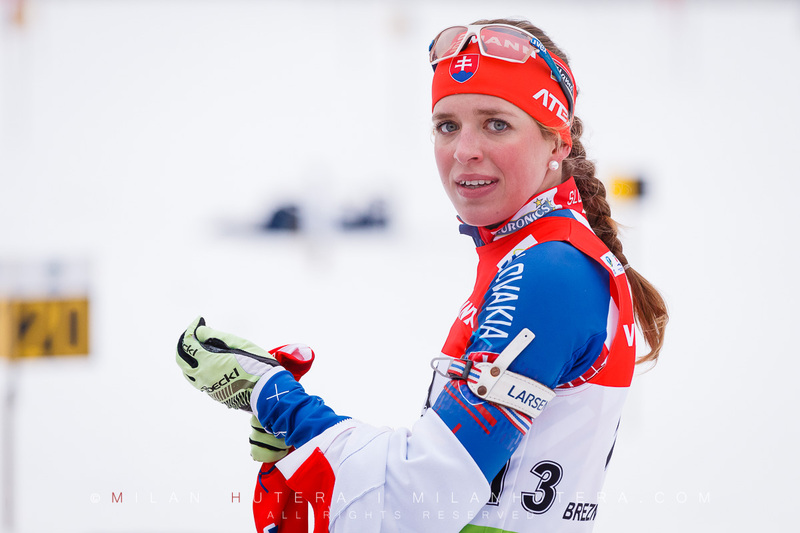 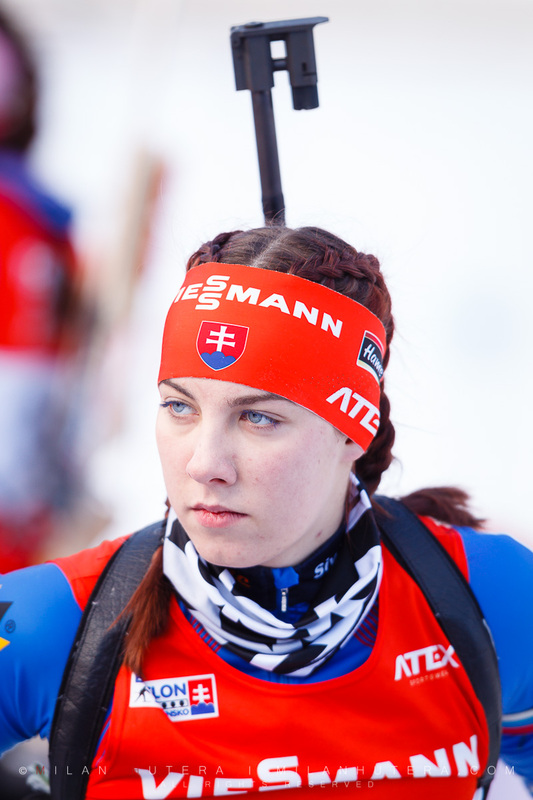 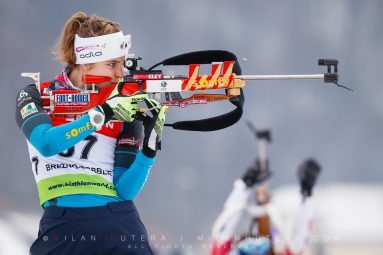 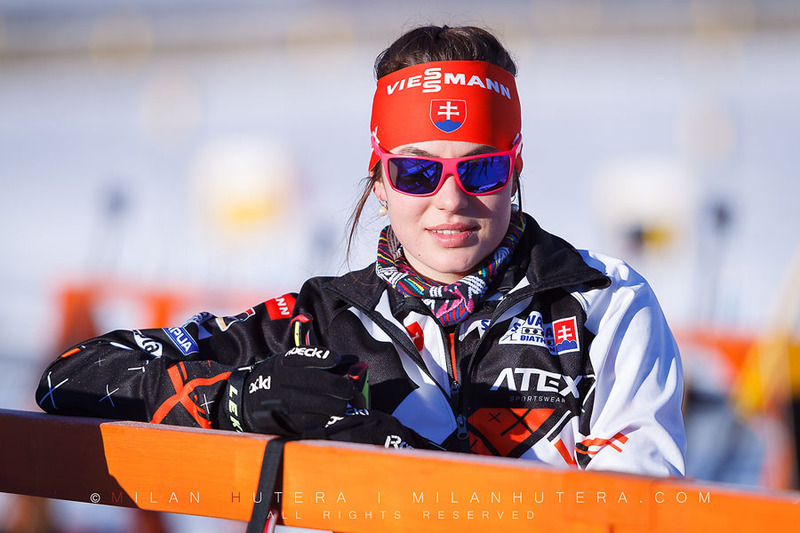 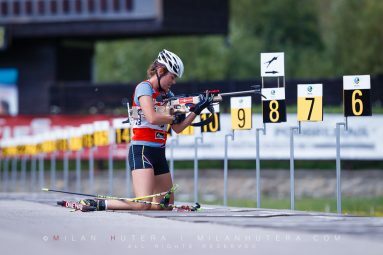 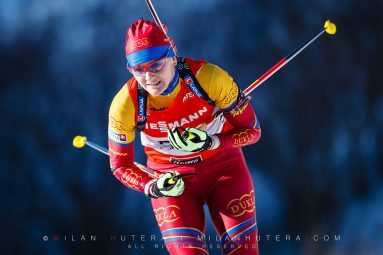 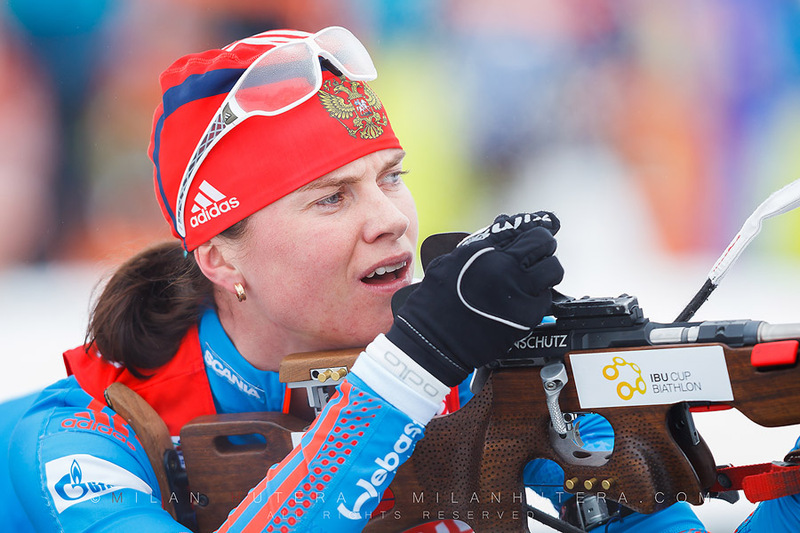 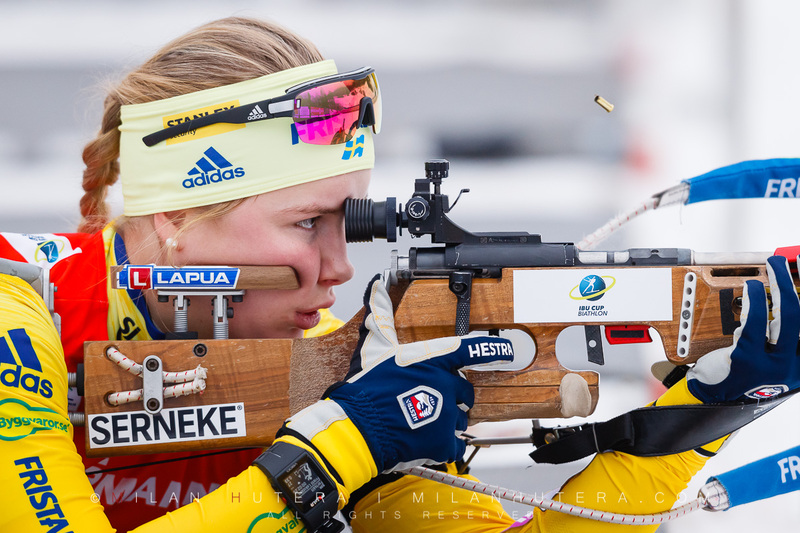 Czech biathlete Lea Johanidesova finished second with clean shooting. 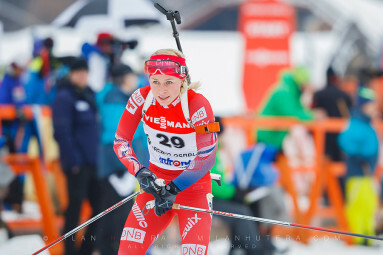 Denise Herrmann of Germany secured the third place despite five penalty loops. 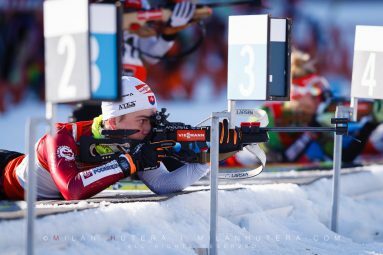 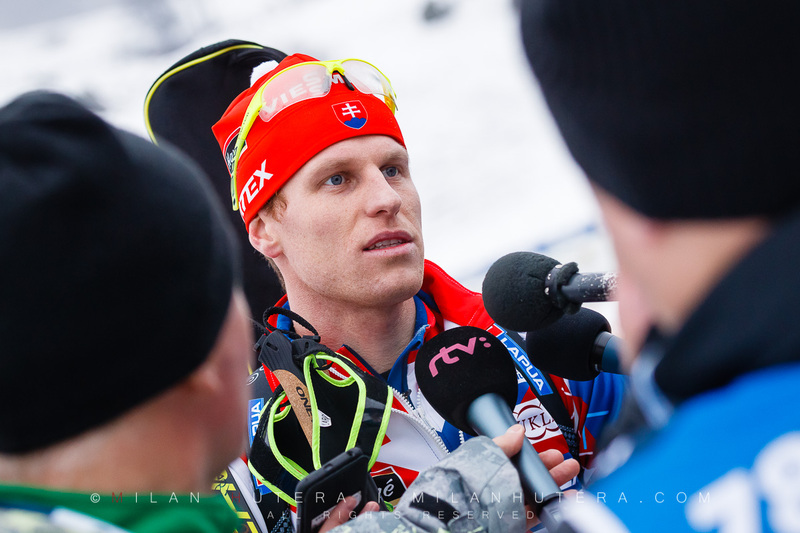 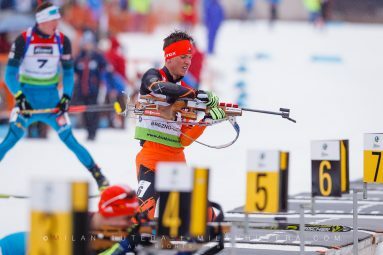 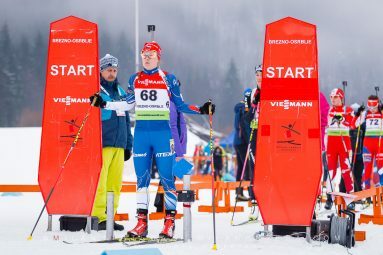 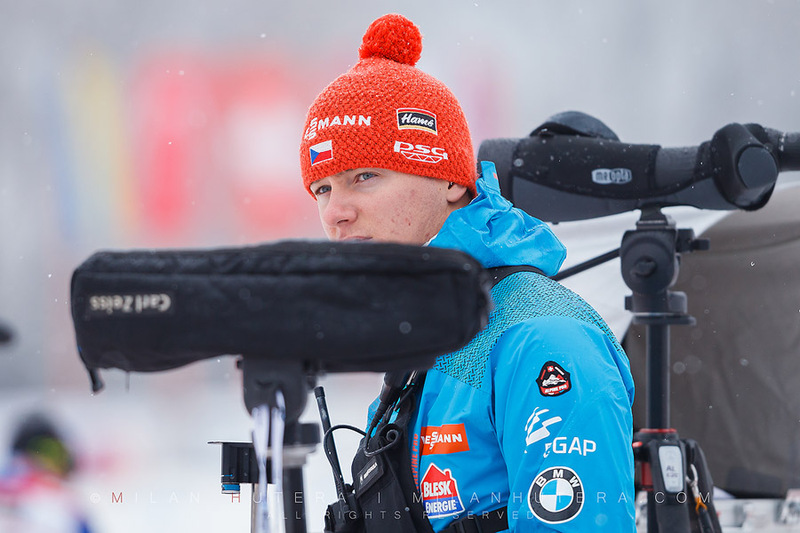 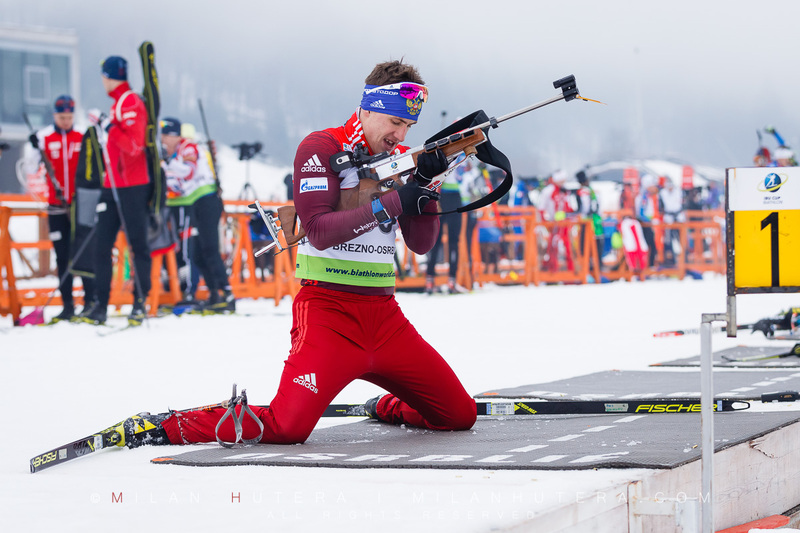 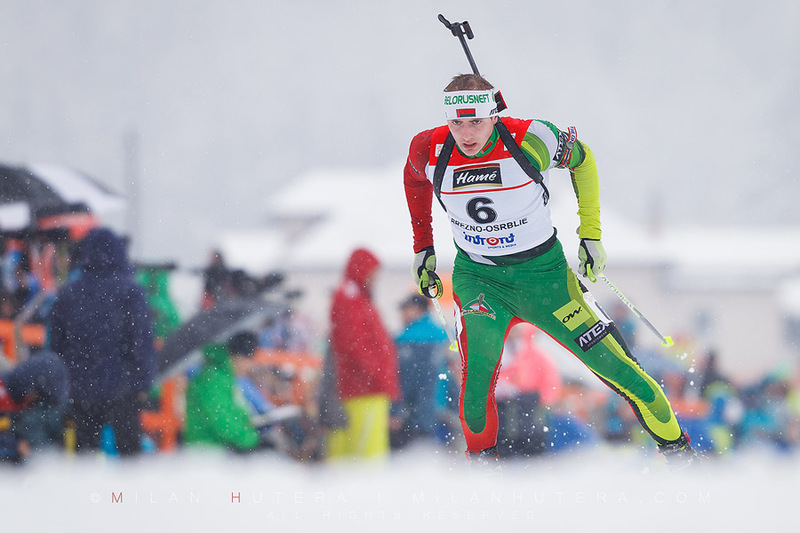 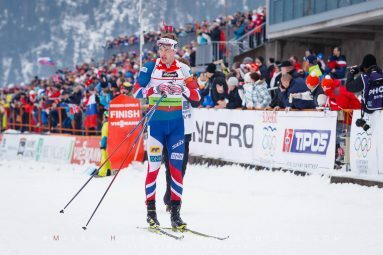 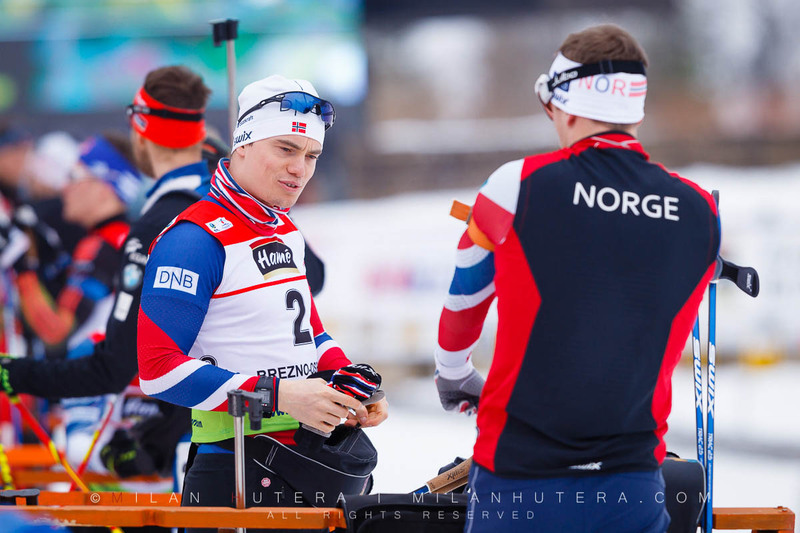 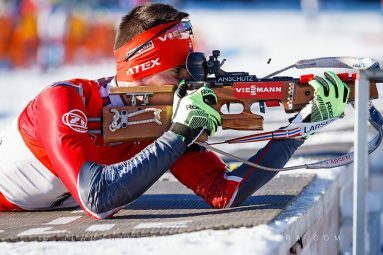 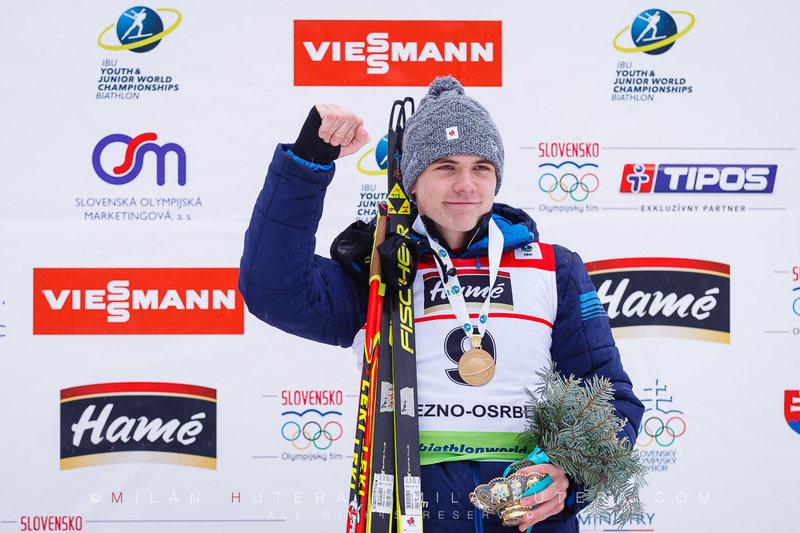 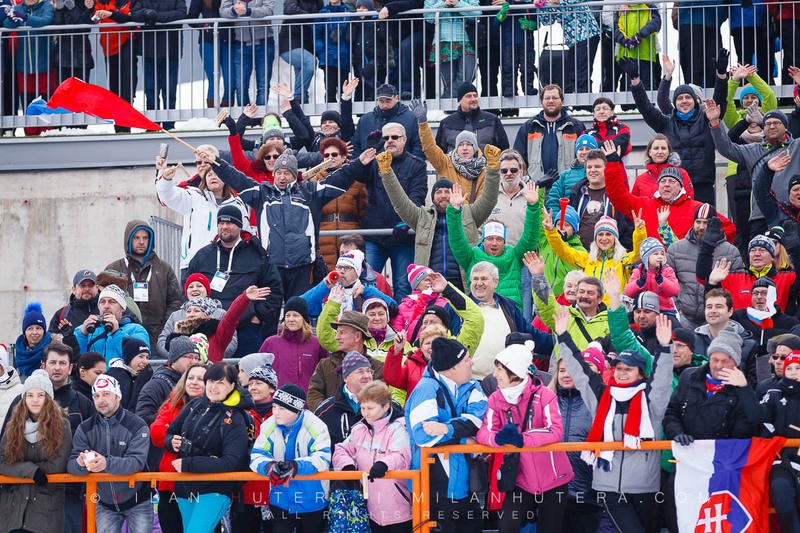 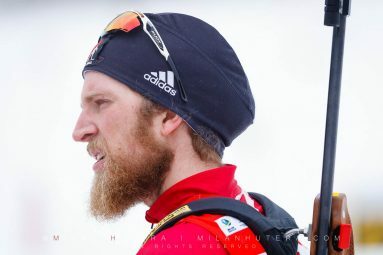 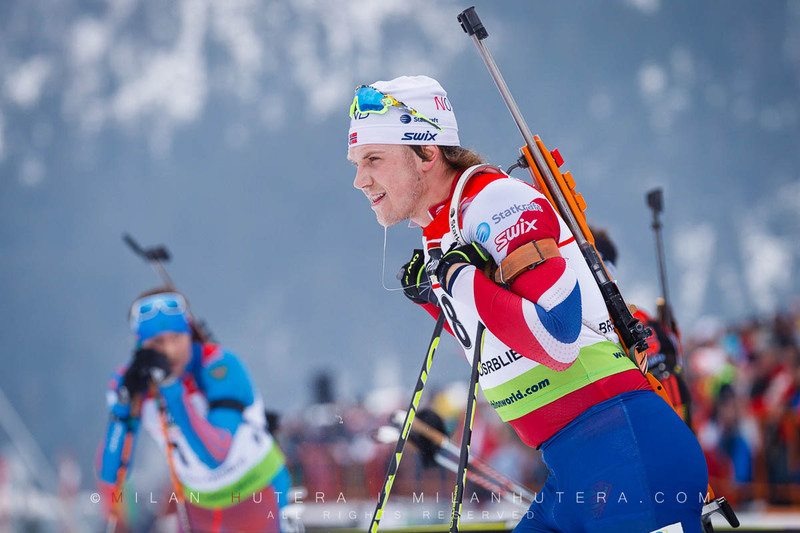 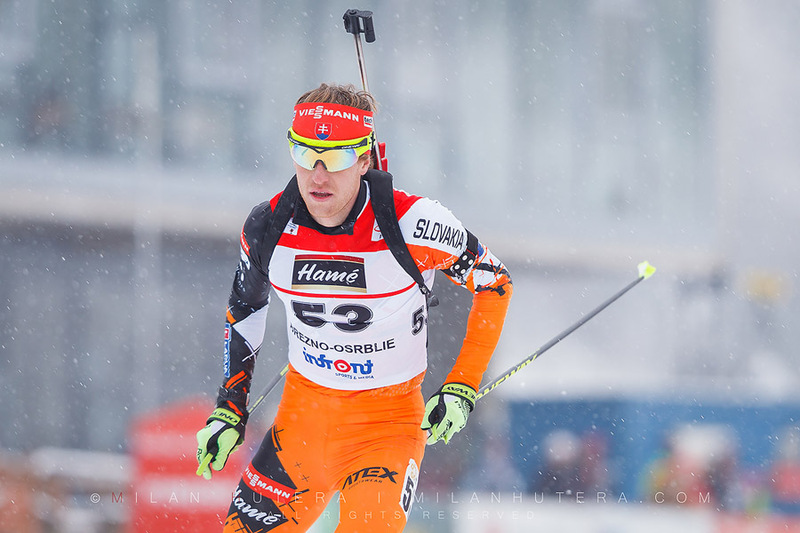 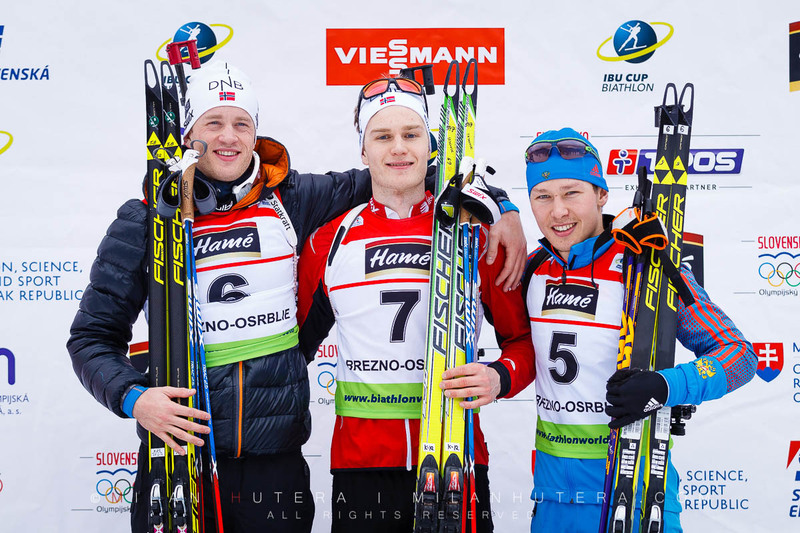 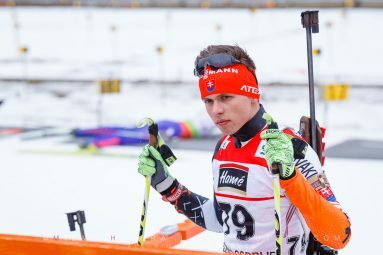 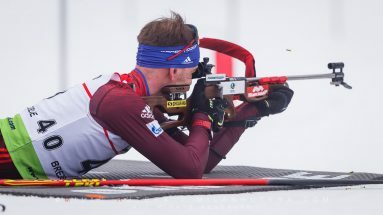 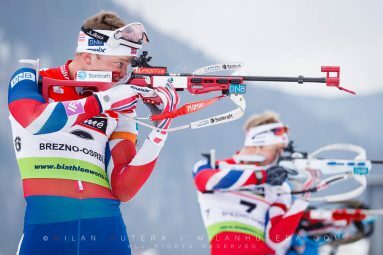 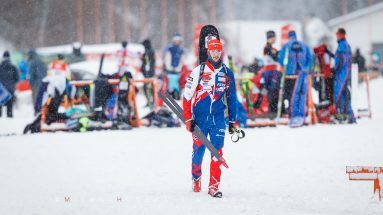 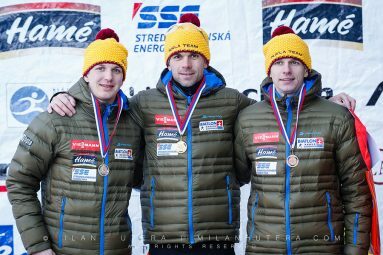 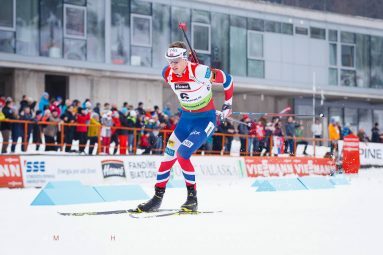 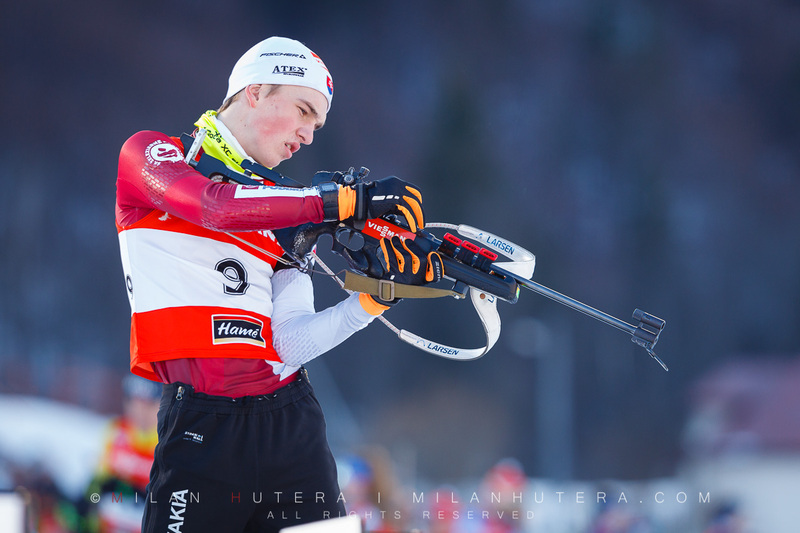 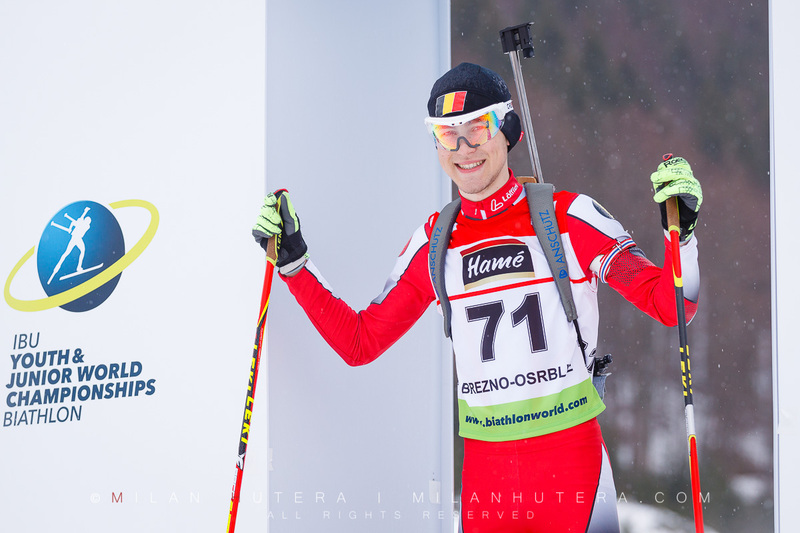 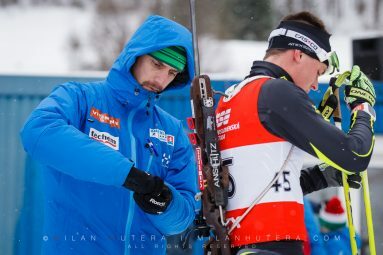 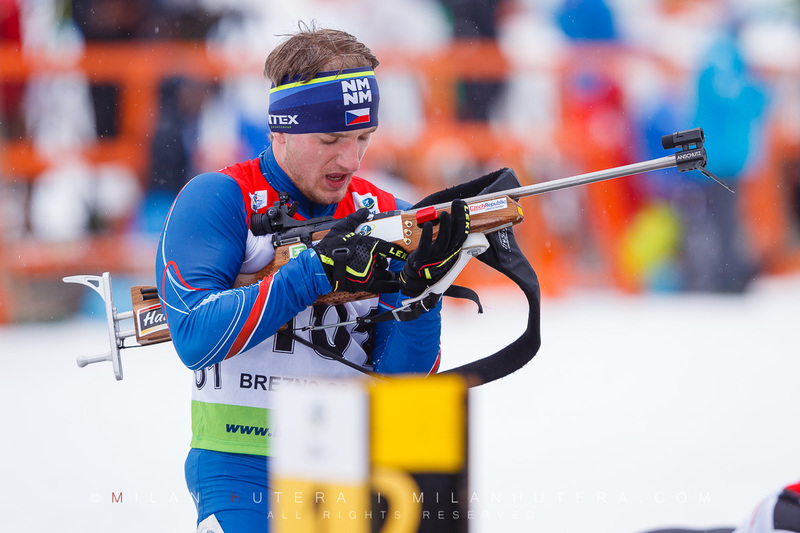 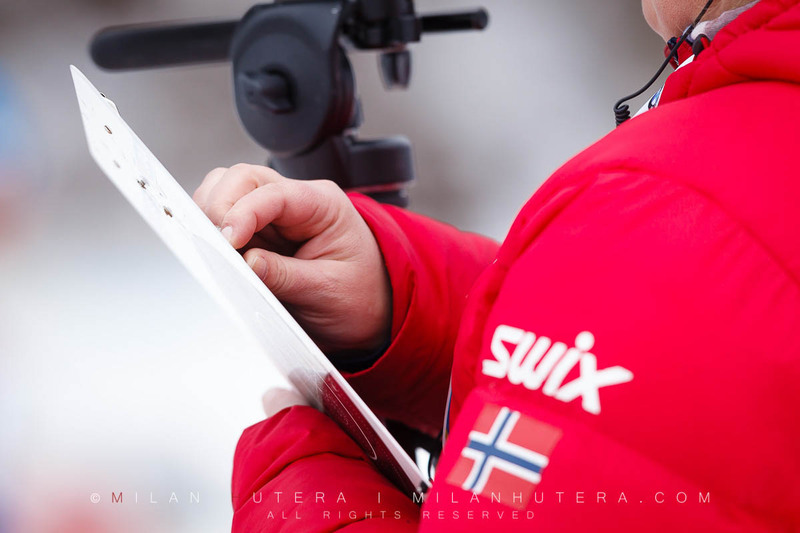 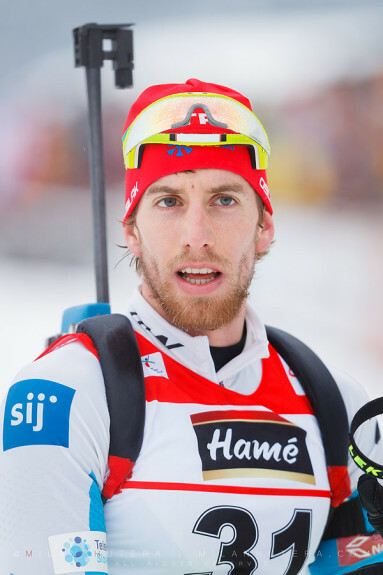 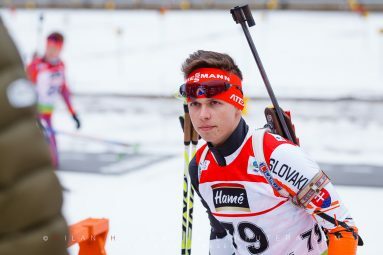 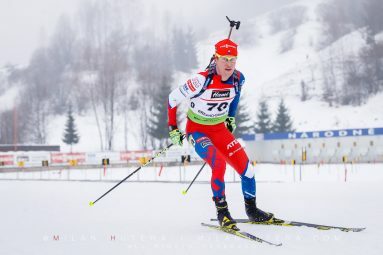 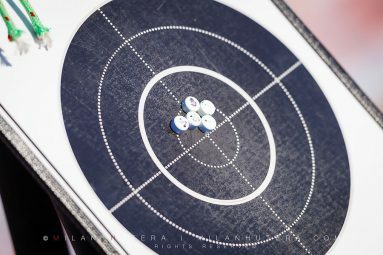 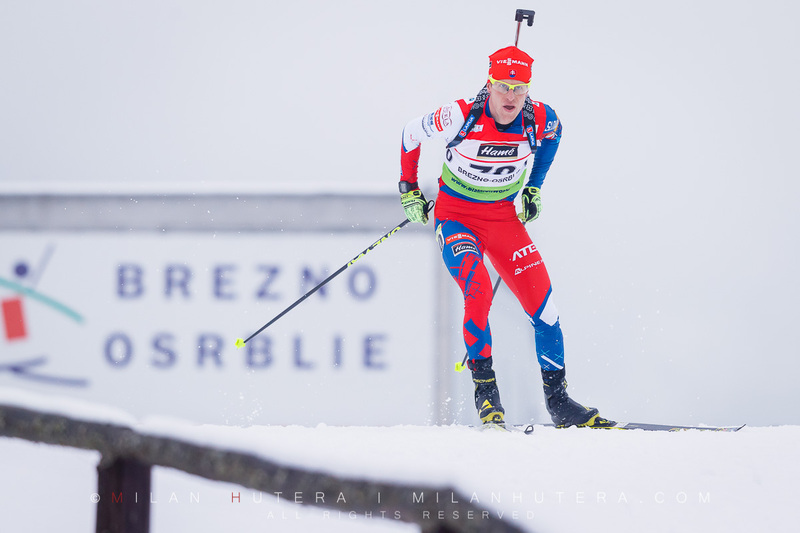 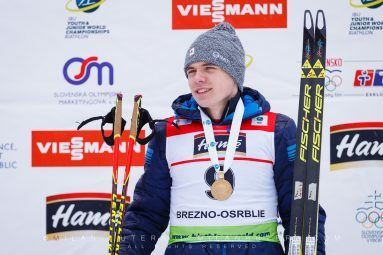 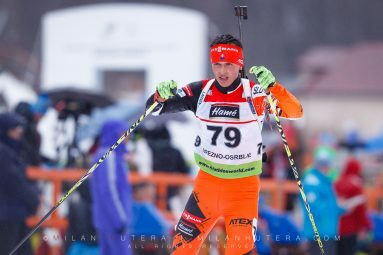 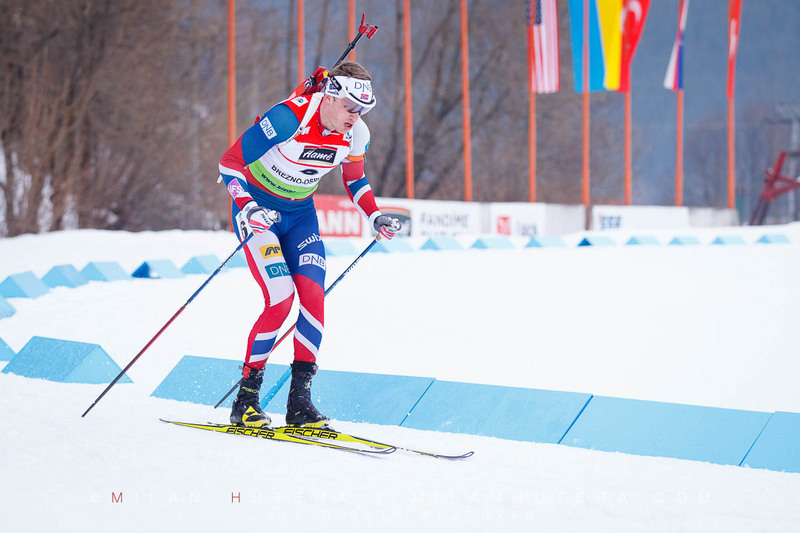 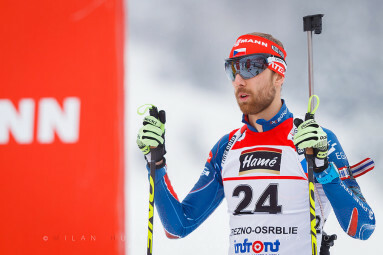 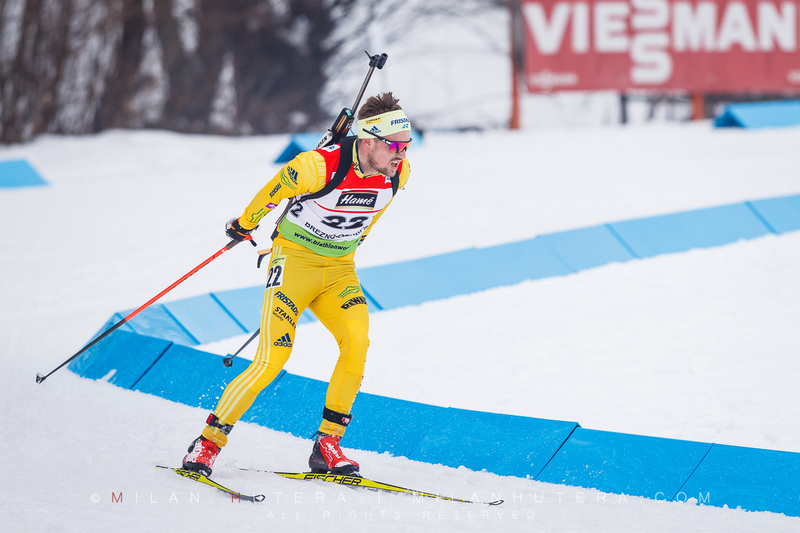 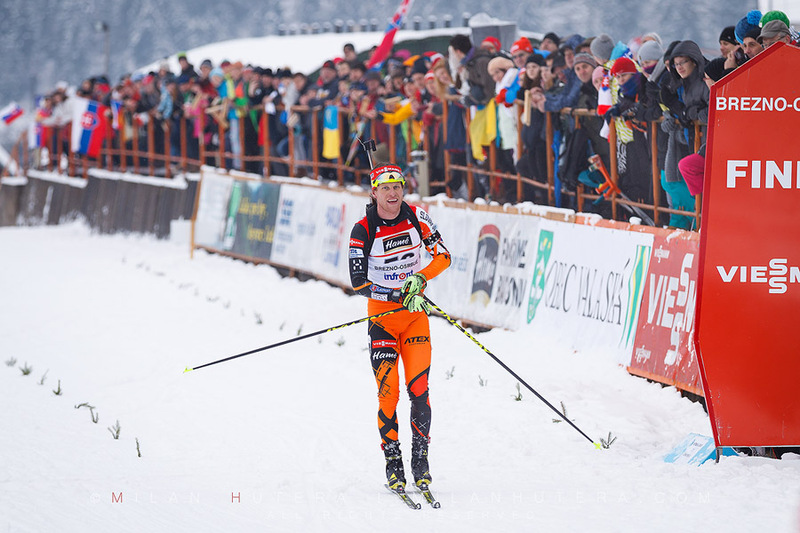 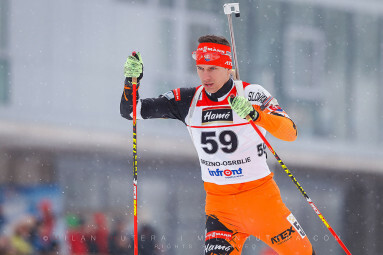 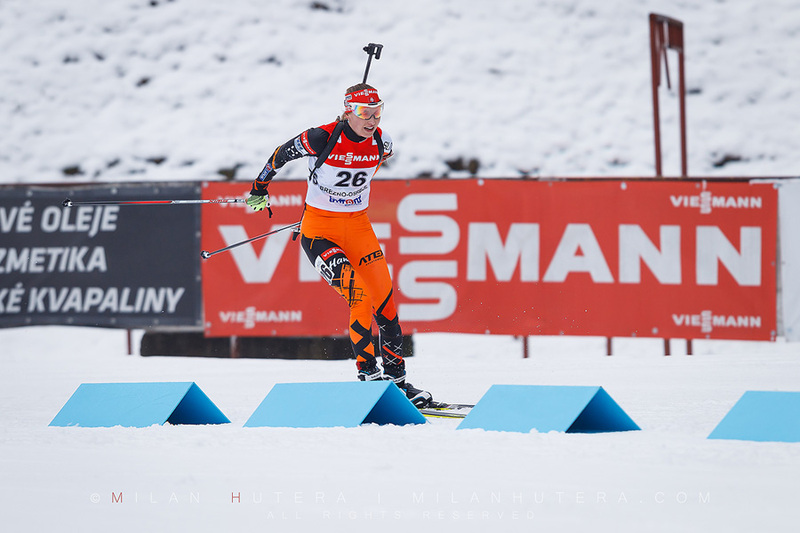 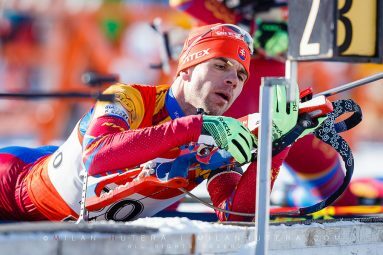 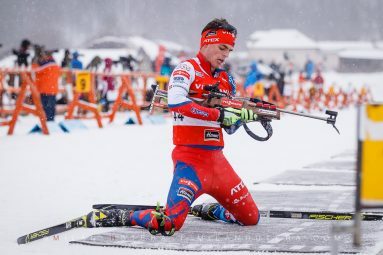 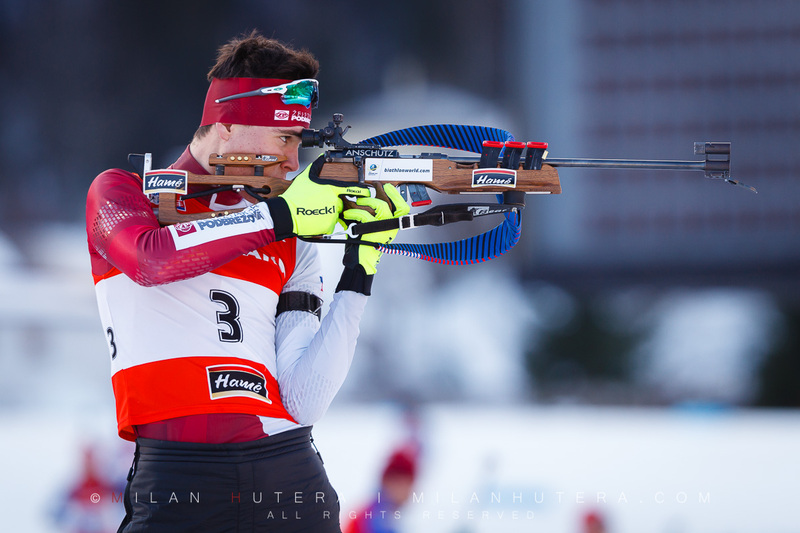 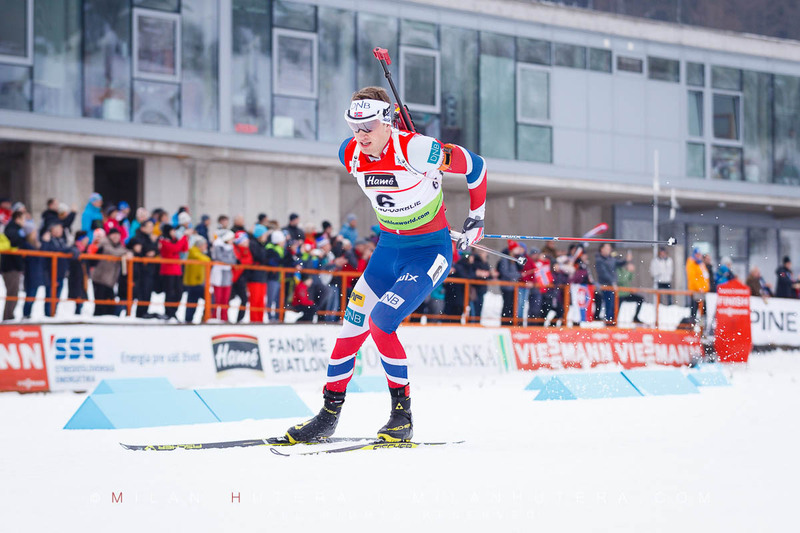 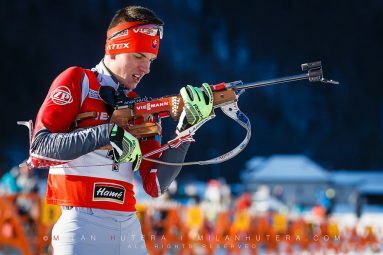 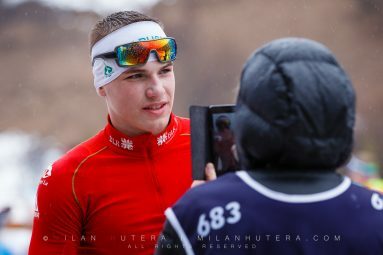 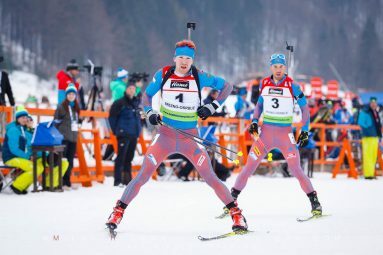 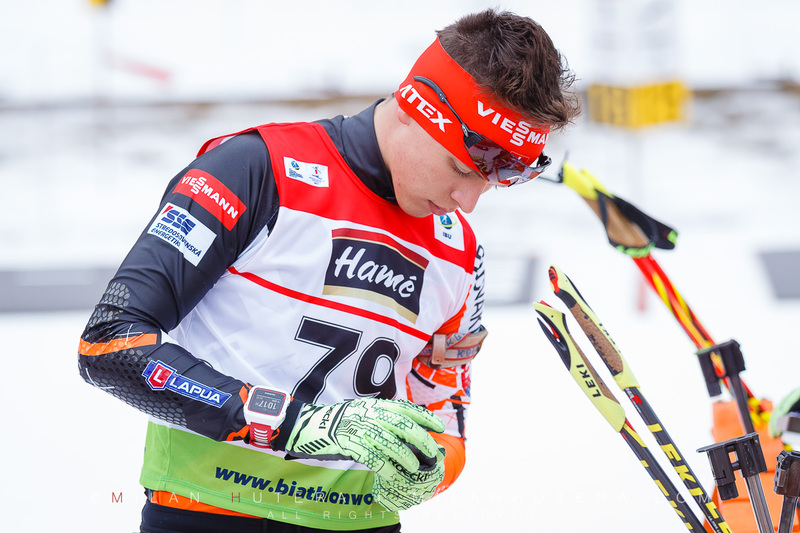 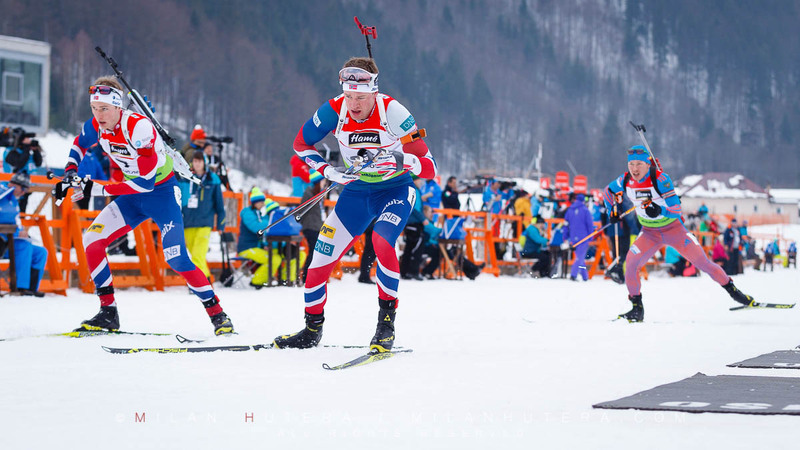 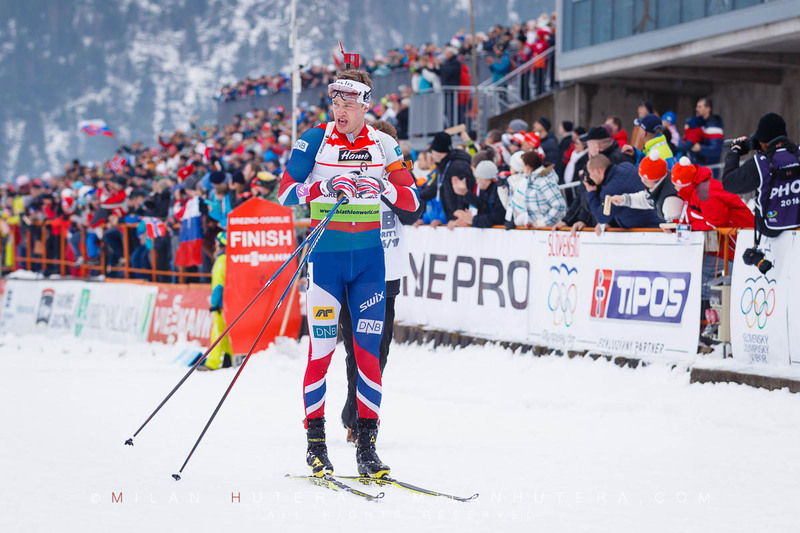 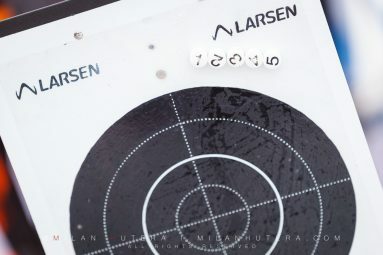 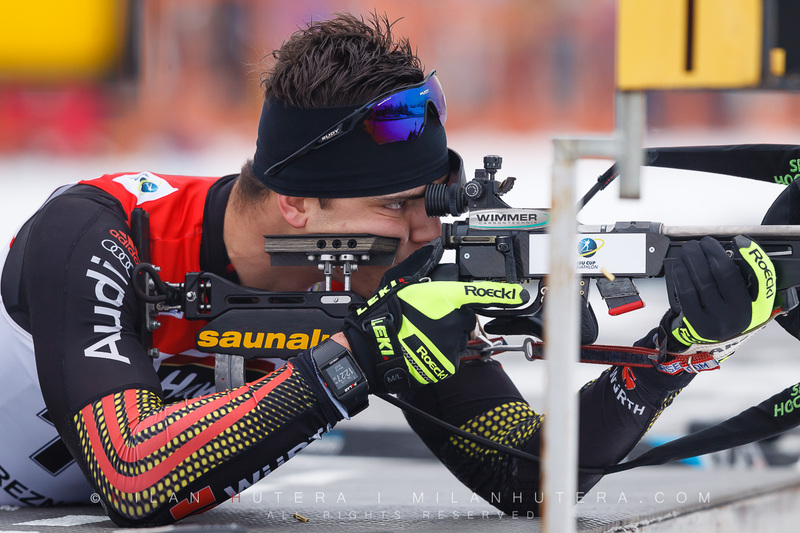 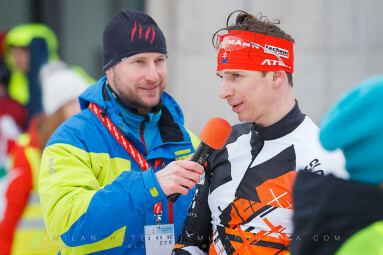 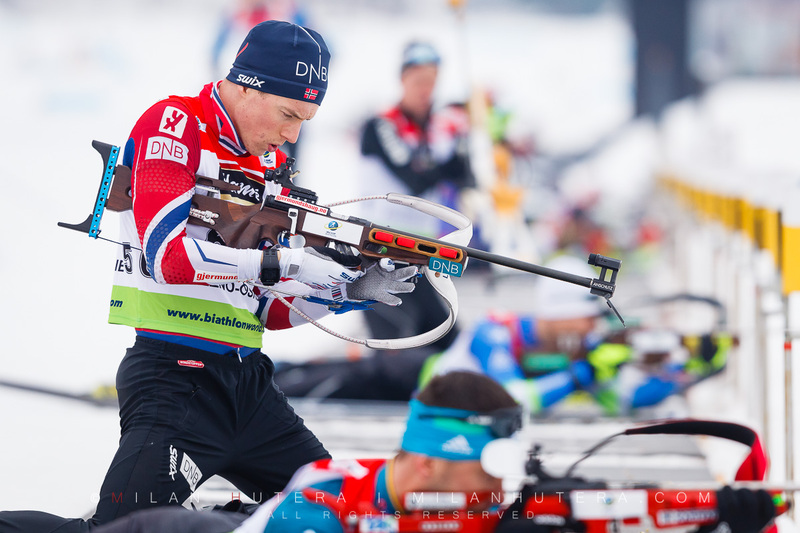 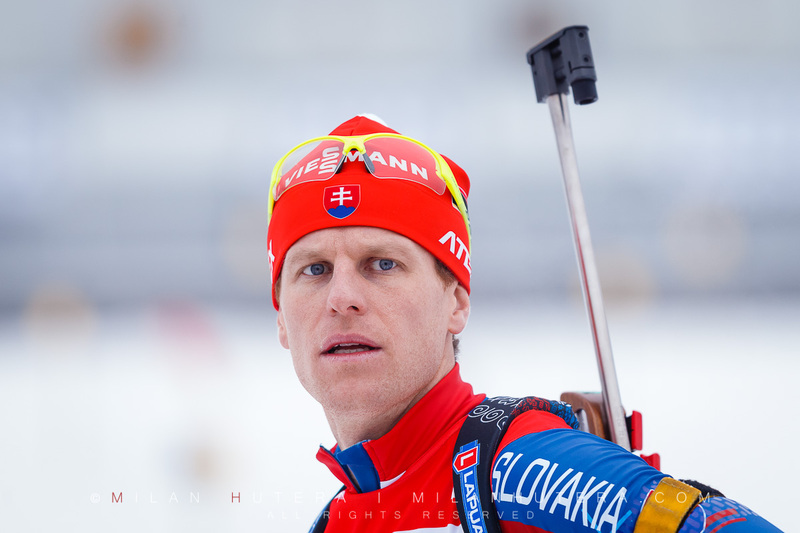 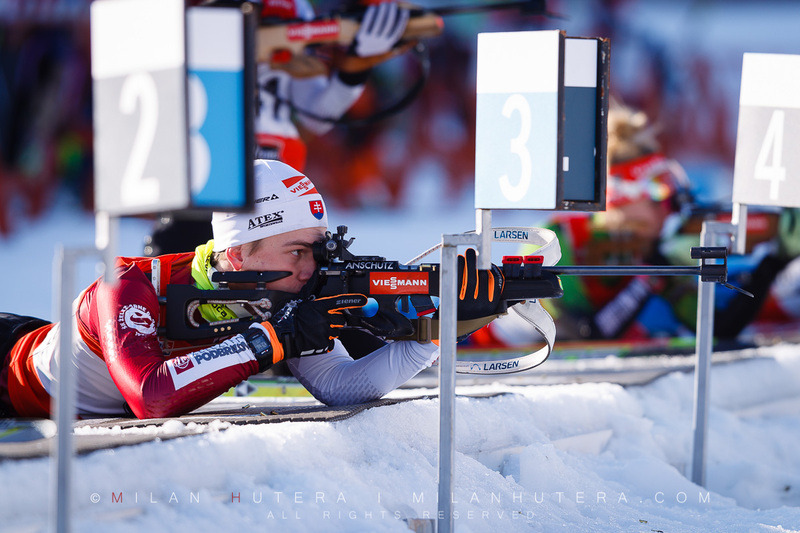 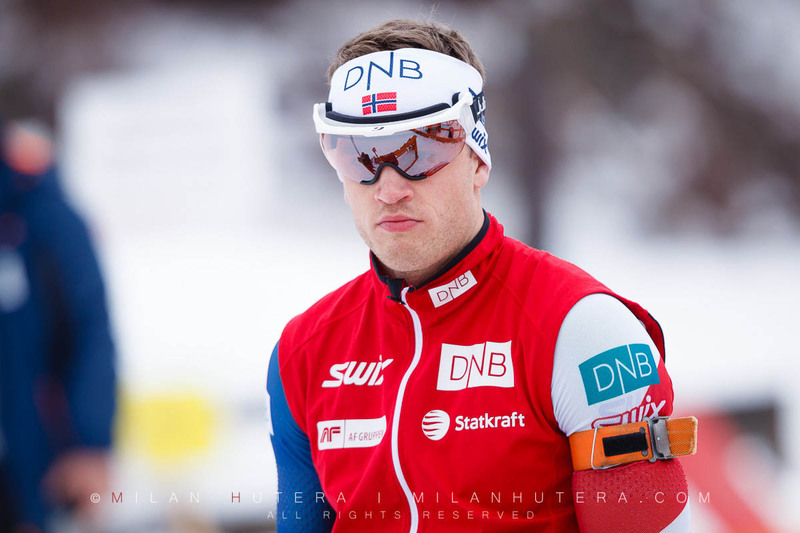 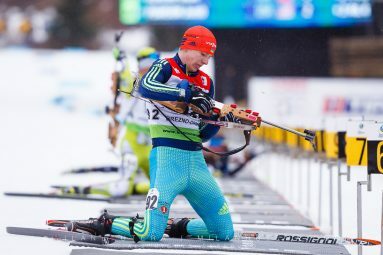 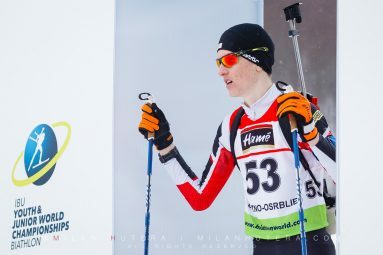 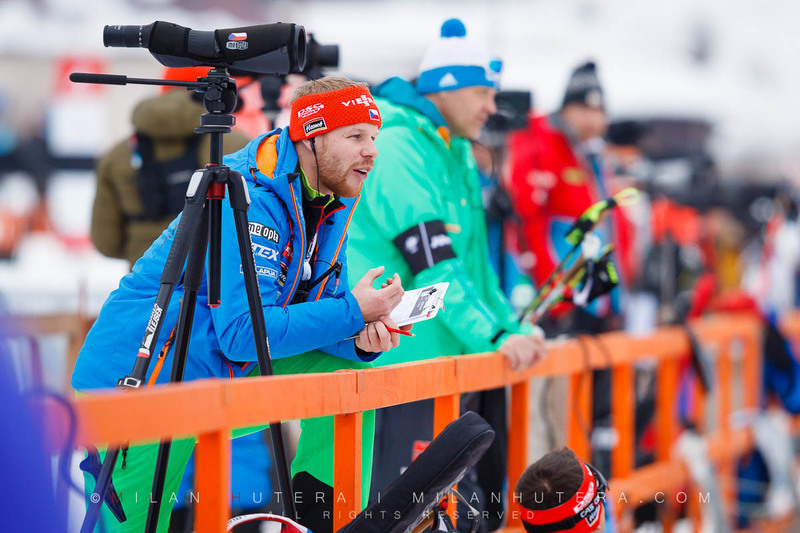 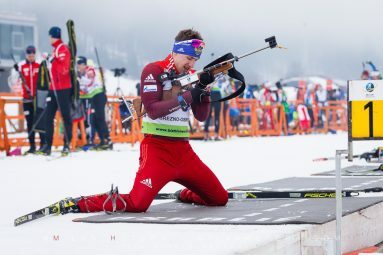 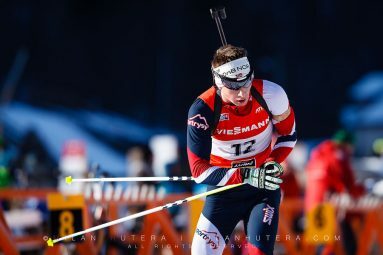 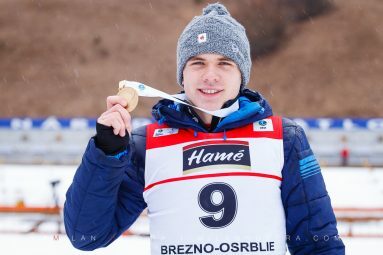 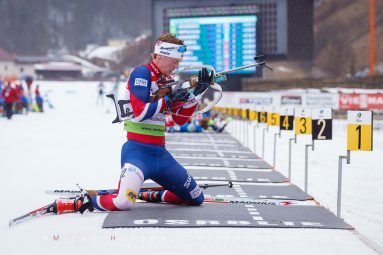 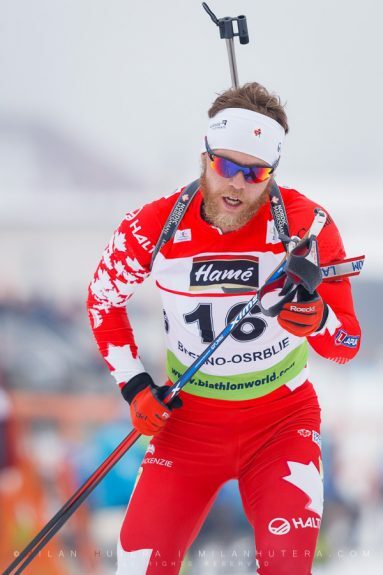 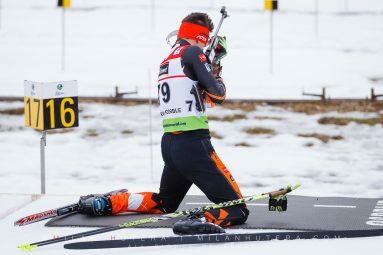 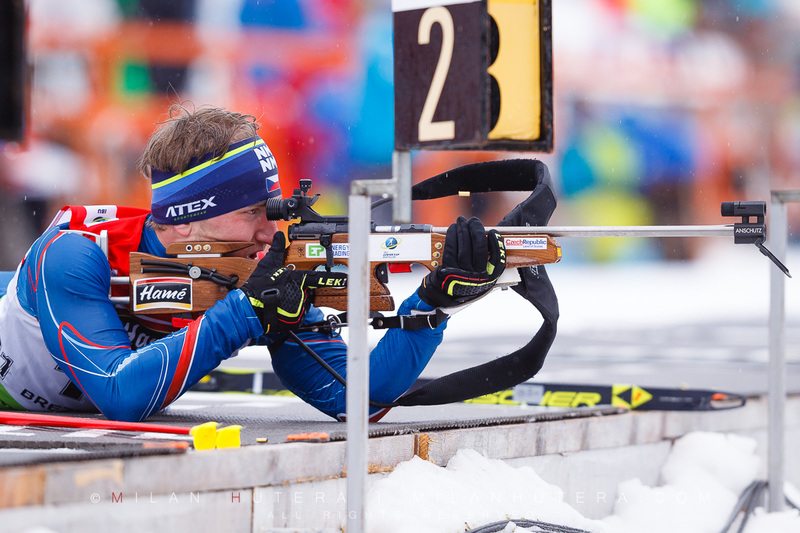 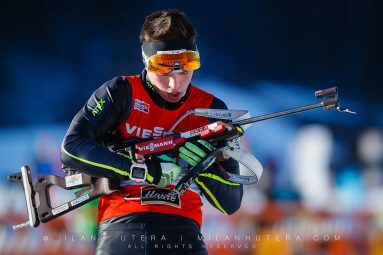 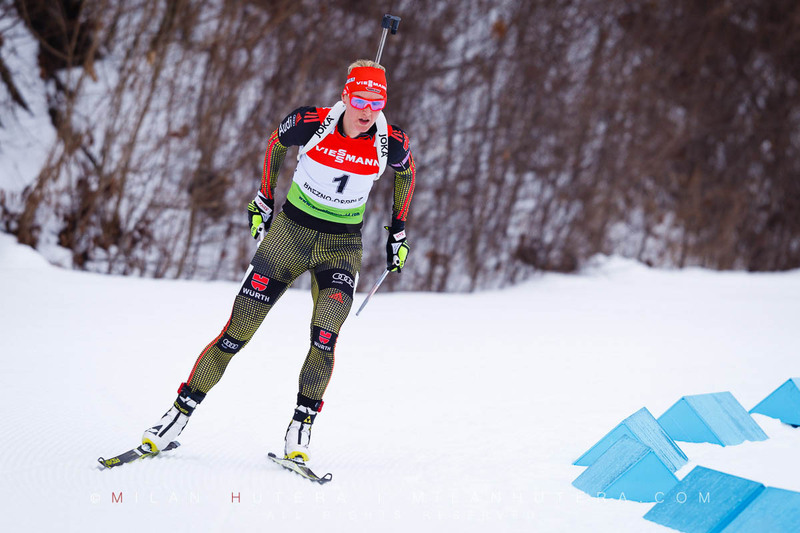 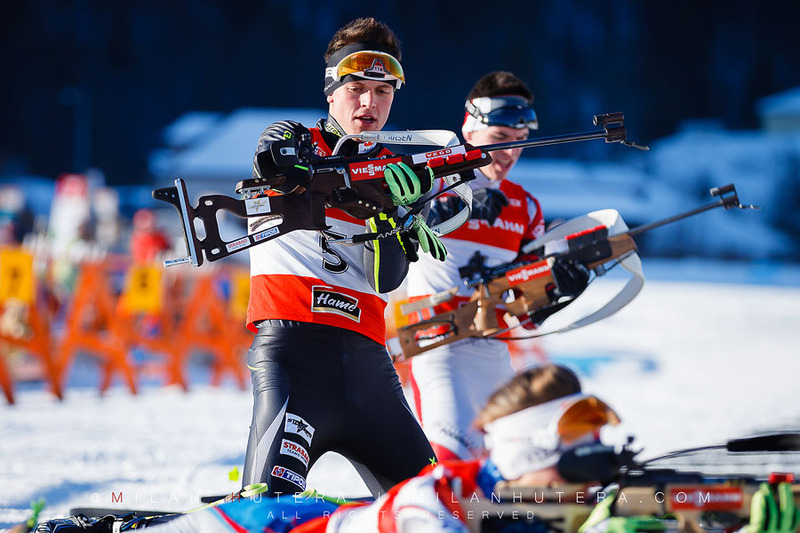 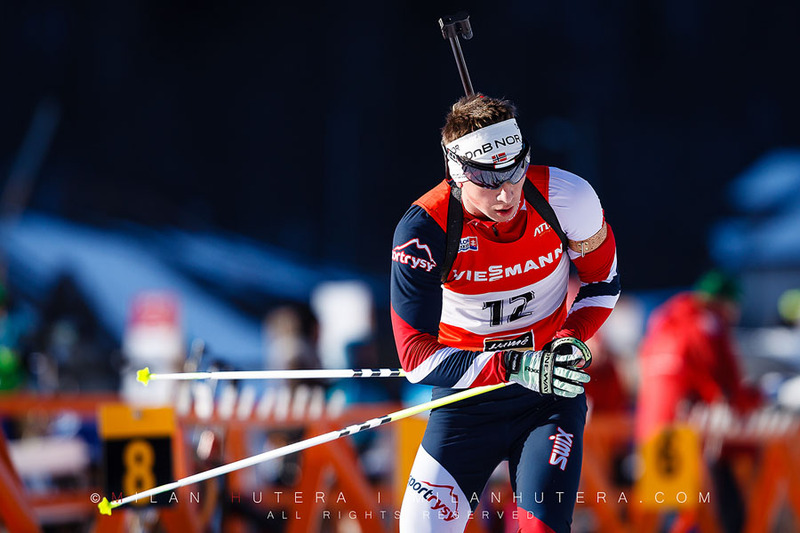 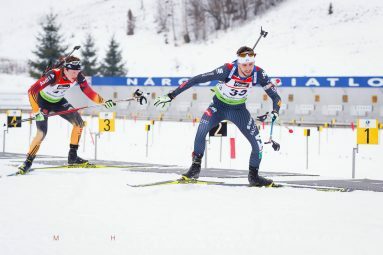 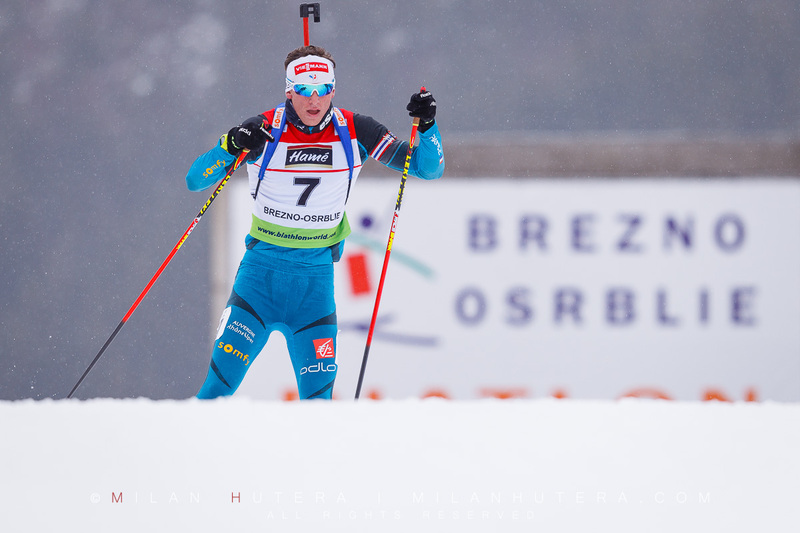 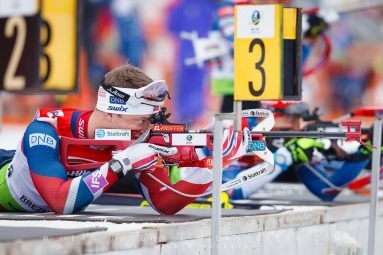 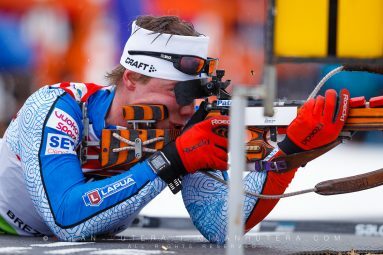 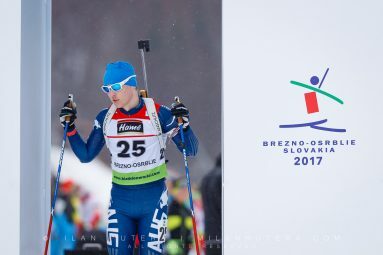 In men’s competiton, all eyes were on Norwegian biathlete Tarjei Boe, who chose Osrblie as his first venue of 2016/2017 season, as well as Matej Kazar, the only Slovak in the line up. 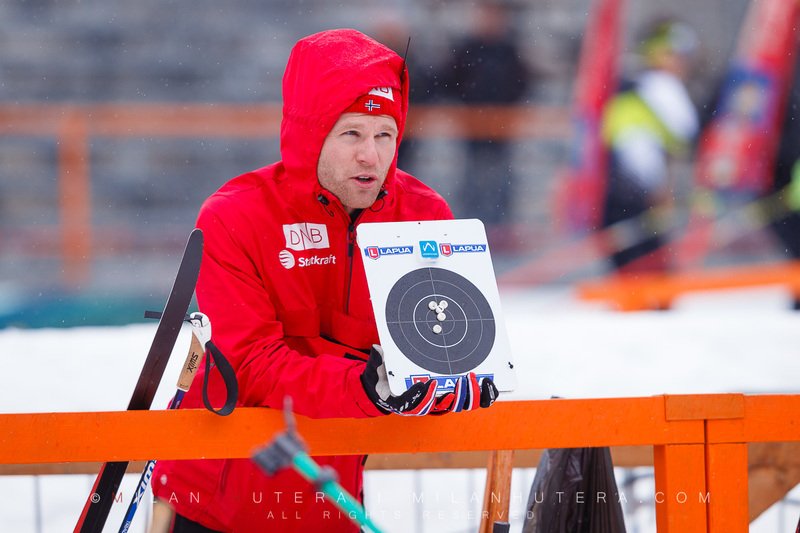 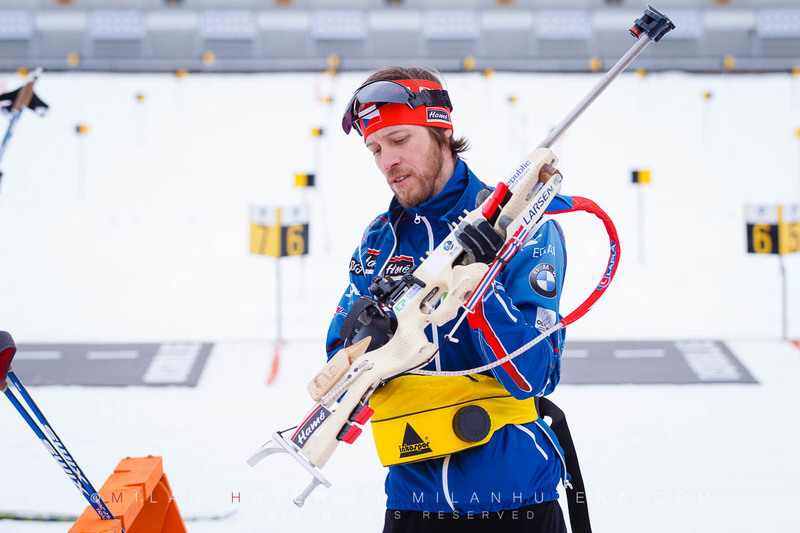 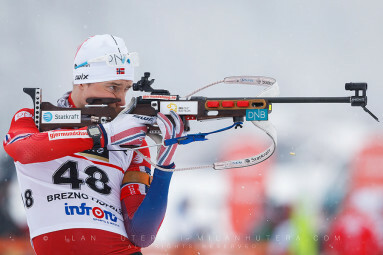 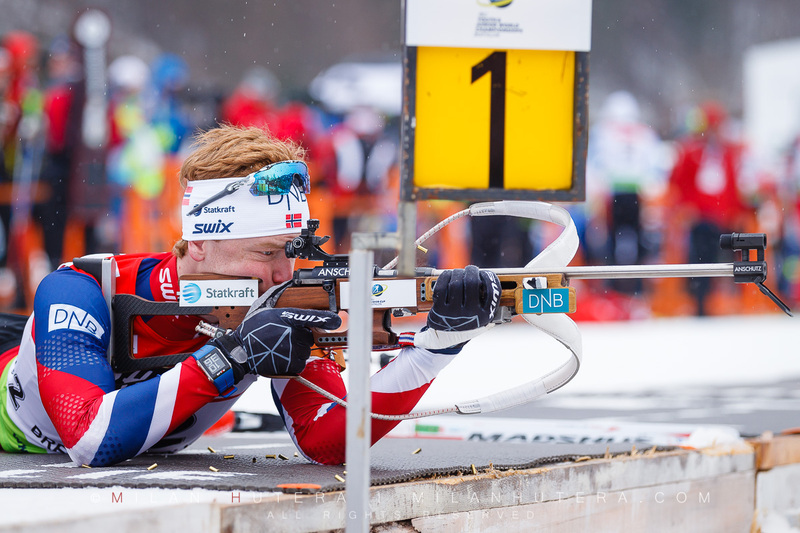 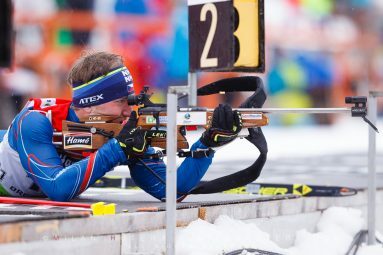 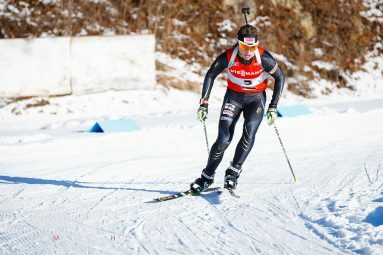 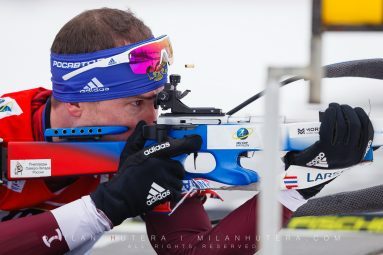 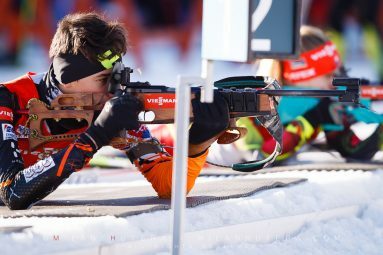 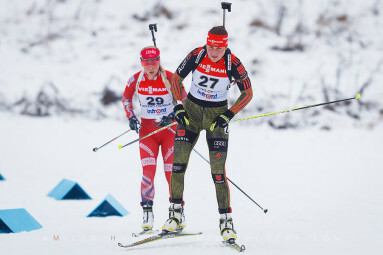 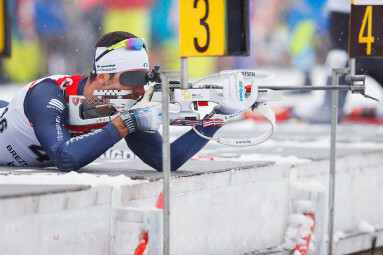 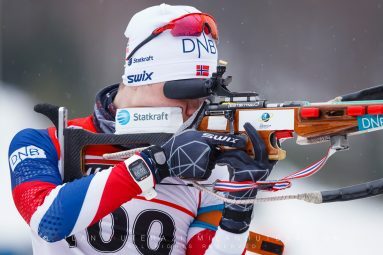 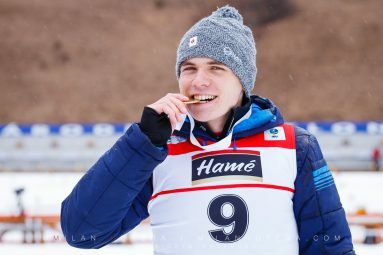 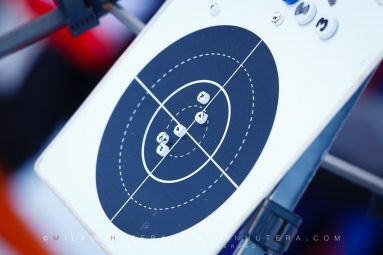 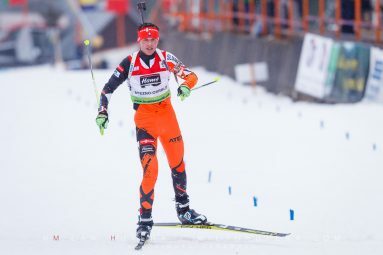 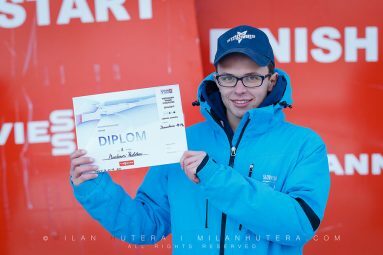 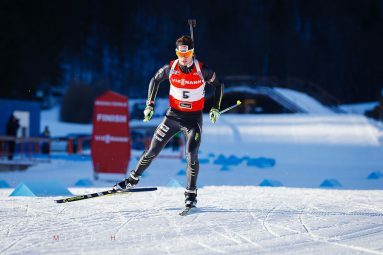 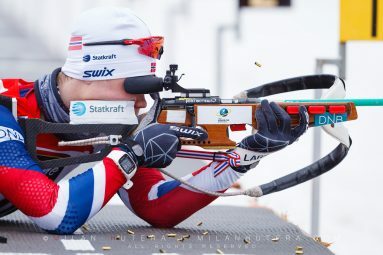 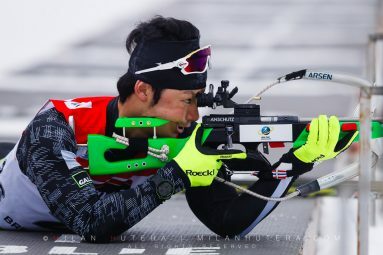 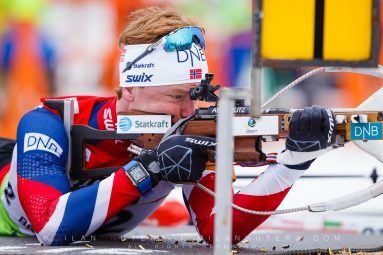 Boe’s teammate Kristoffer Skjelvik won the race with clean shooting. 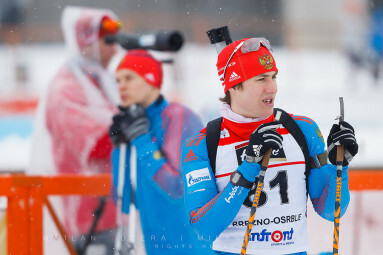 Boe finished second, edged out Timur Makhambetov of Russia on the finish line. 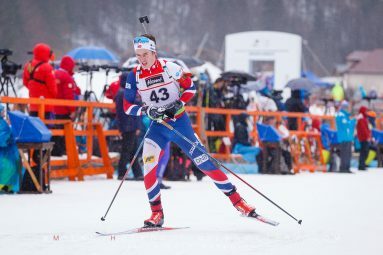 Kazar improved his starting position by four ranks and finished on 6th place. 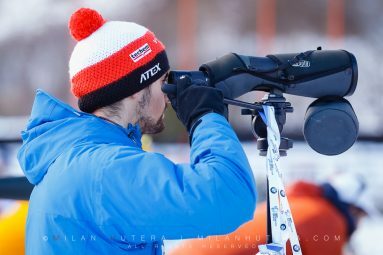 It was a beautiful winter morning on December 29th 2016 and I set out to shoot 1st round of Viessmann Biathlon Cup in Osrblie. 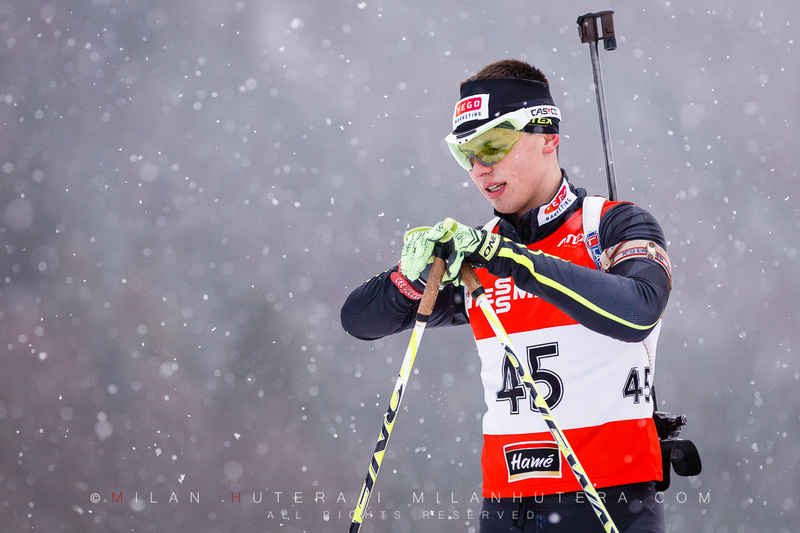 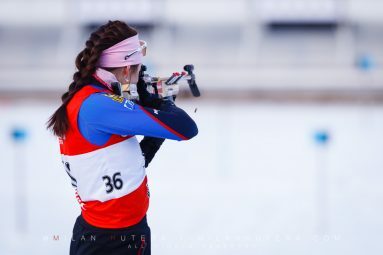 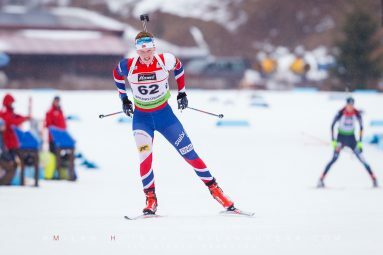 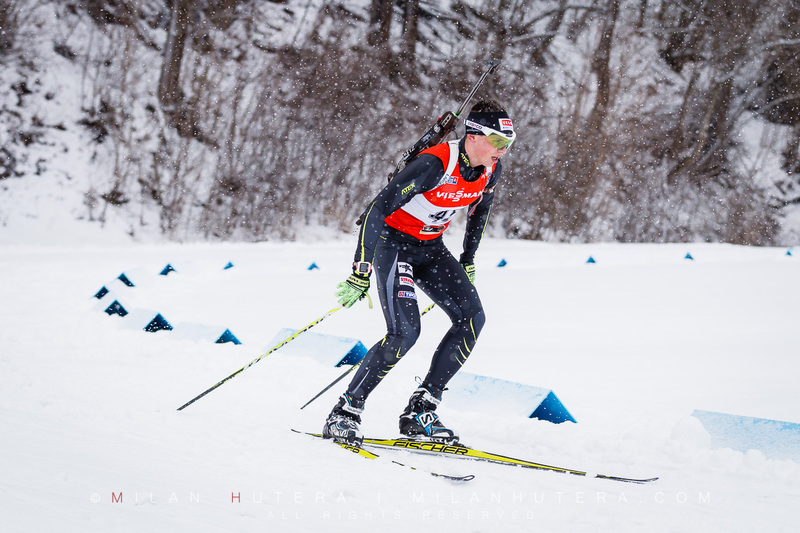 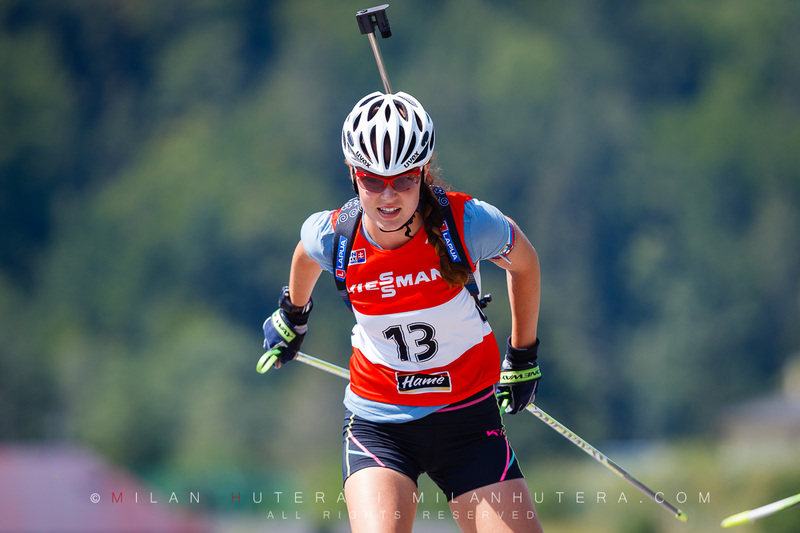 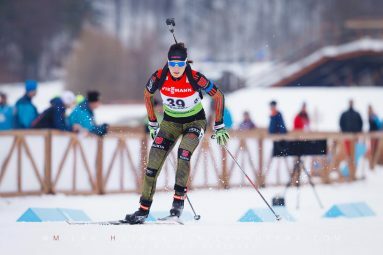 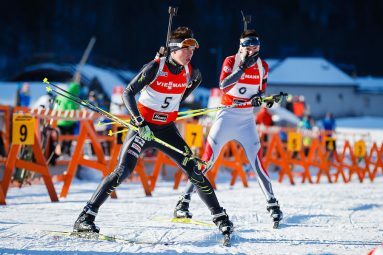 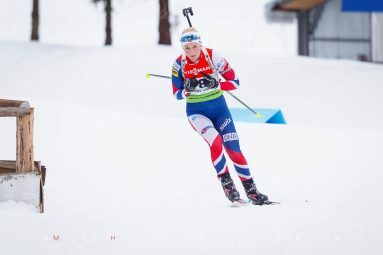 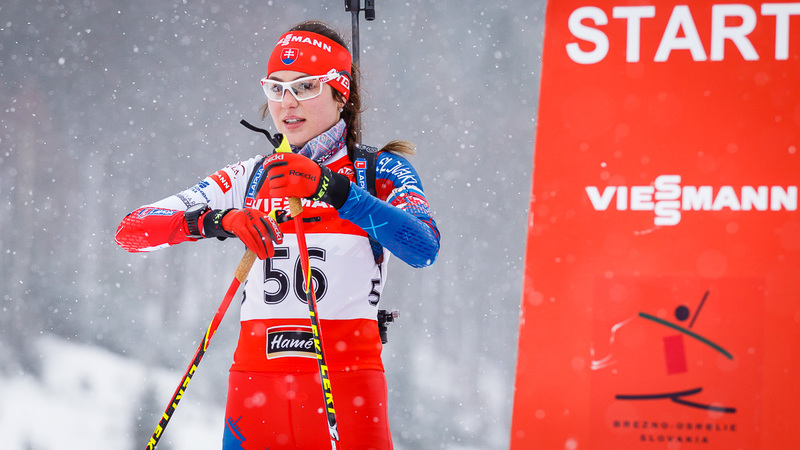 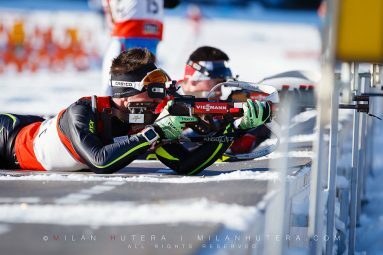 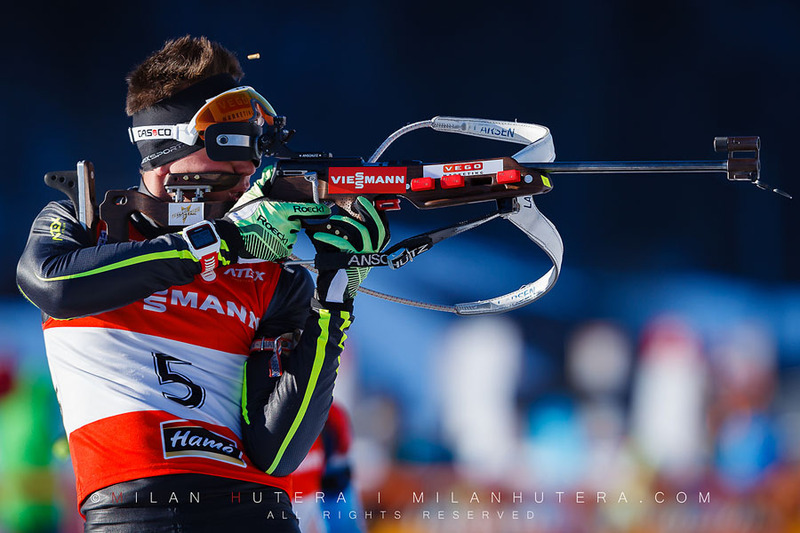 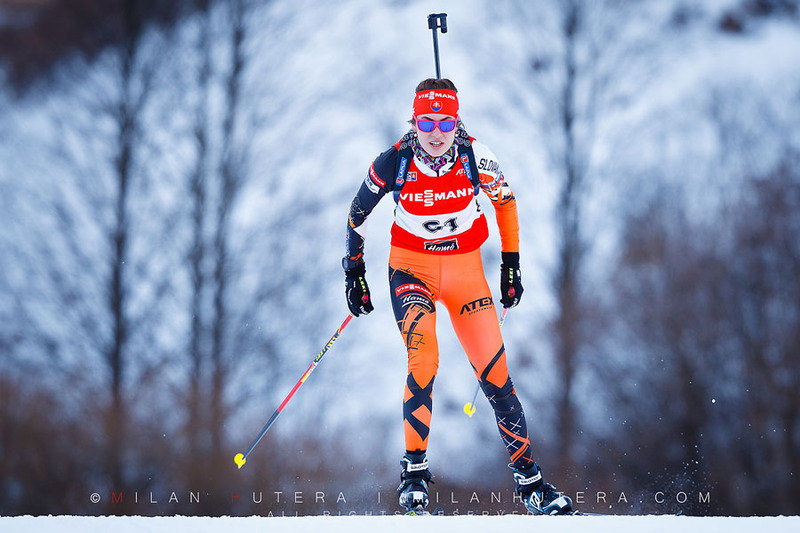 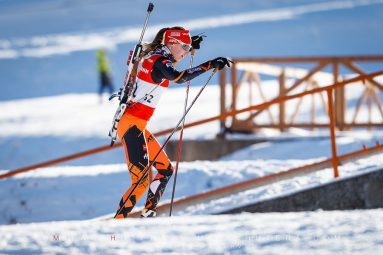 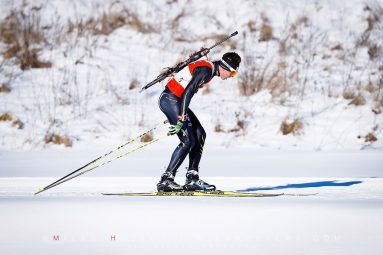 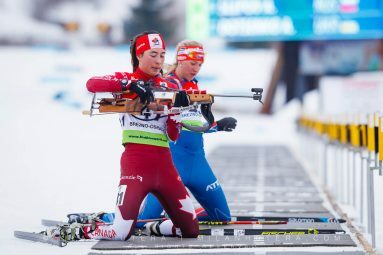 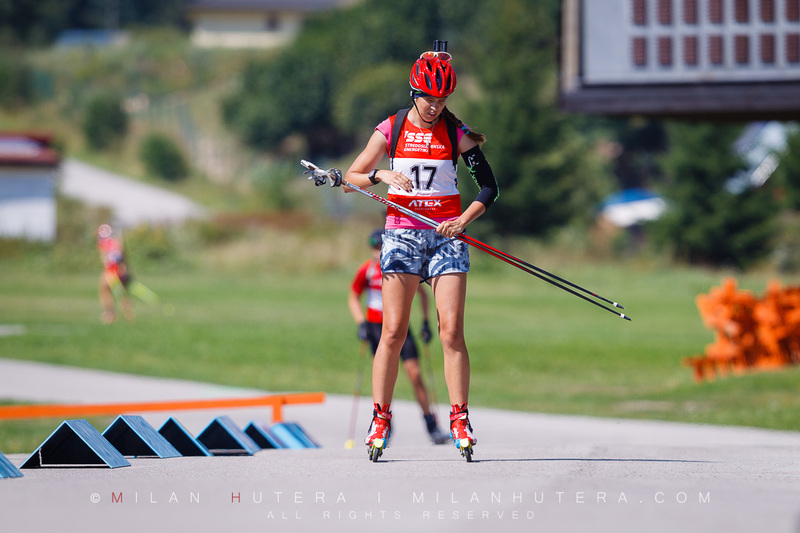 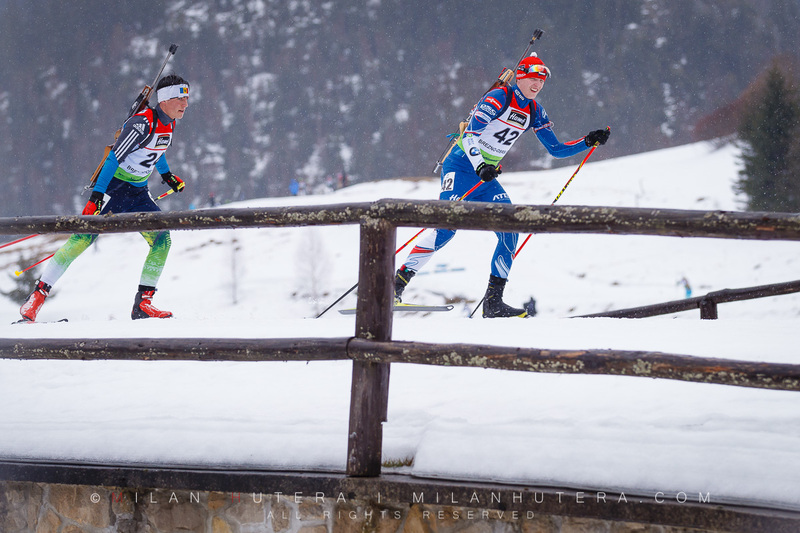 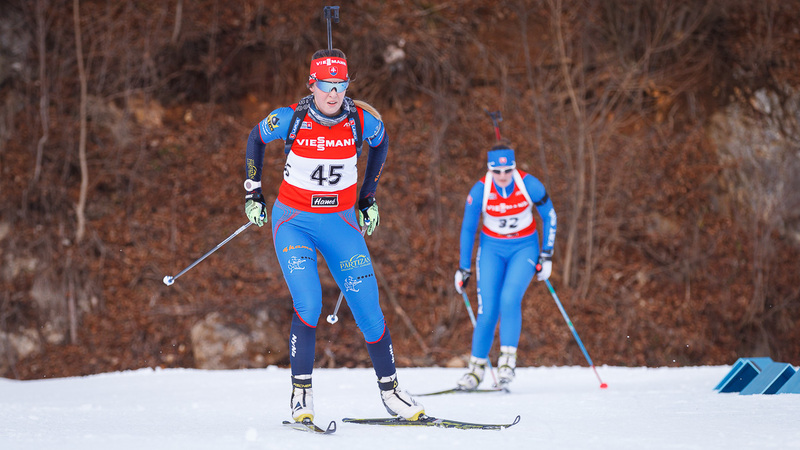 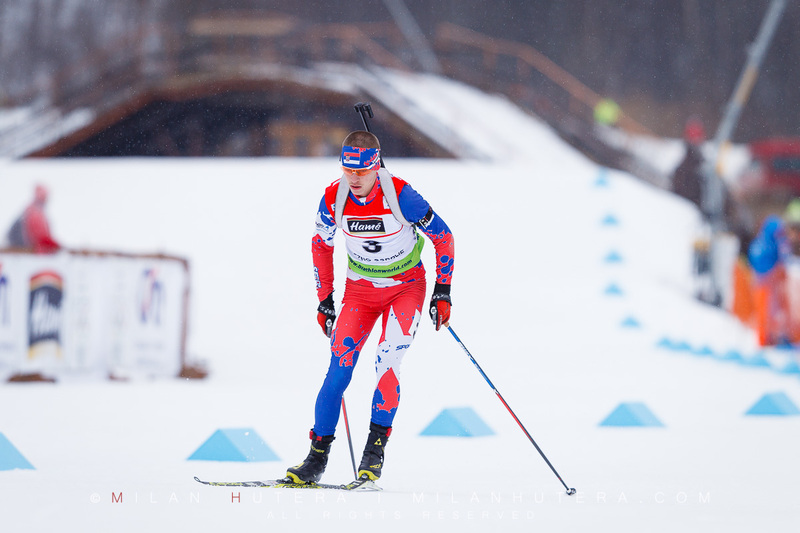 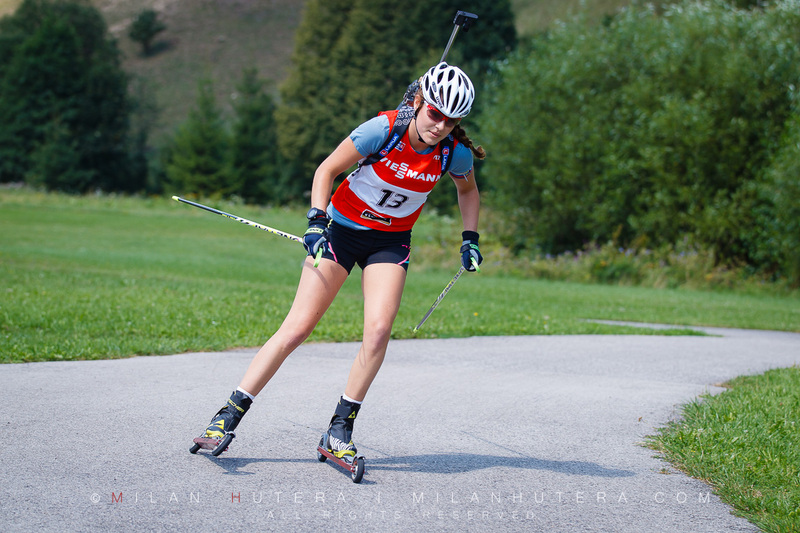 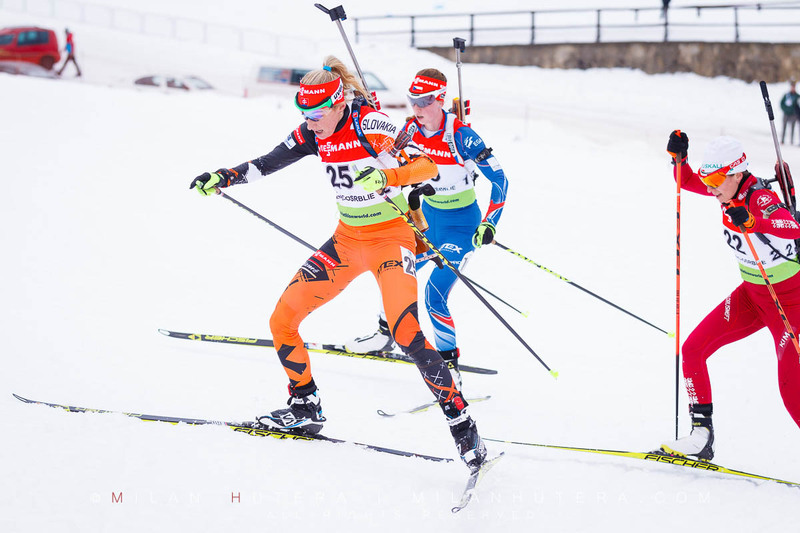 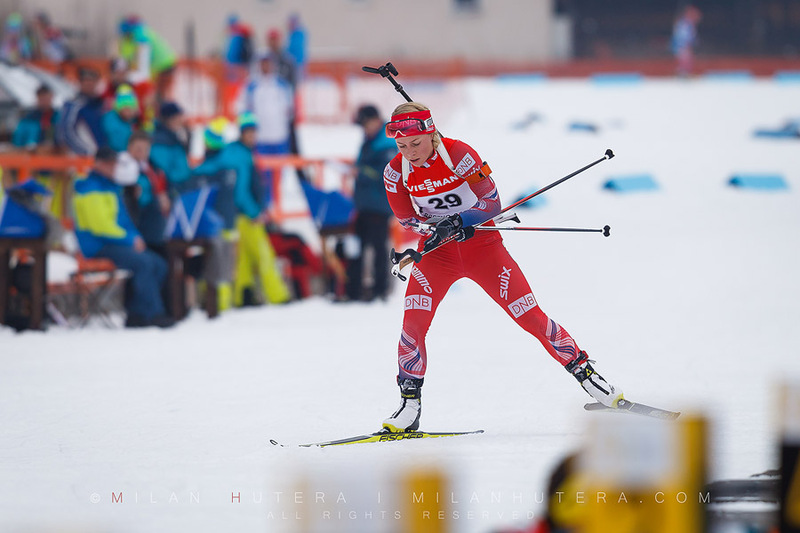 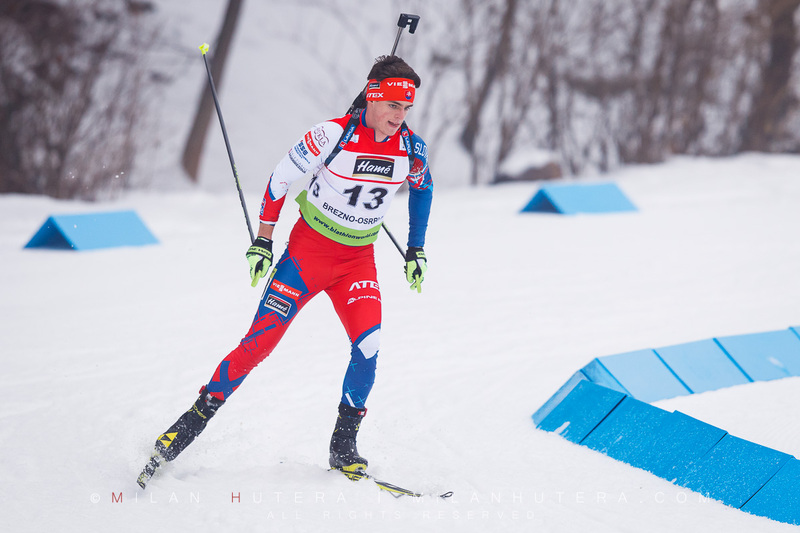 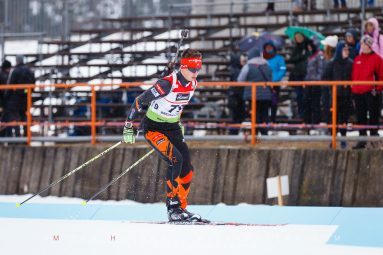 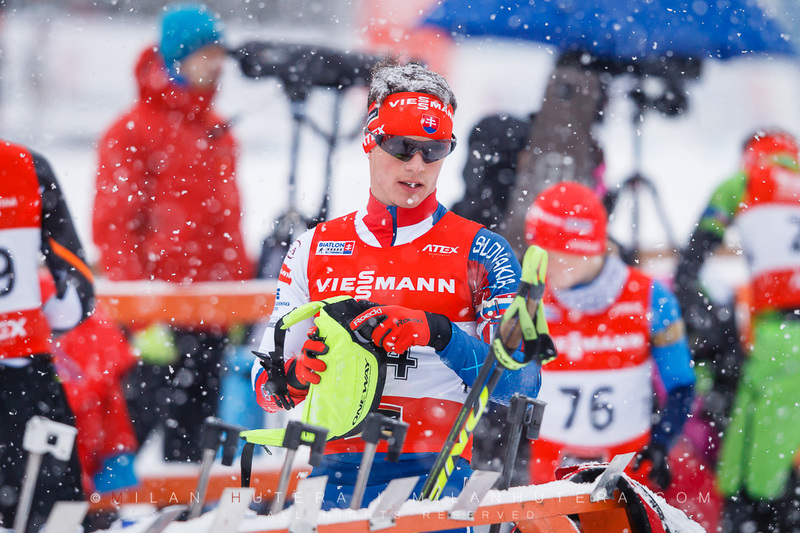 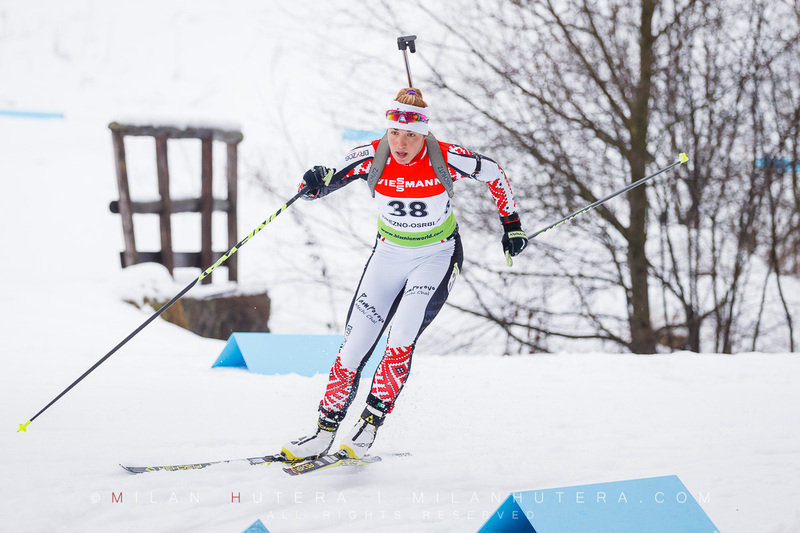 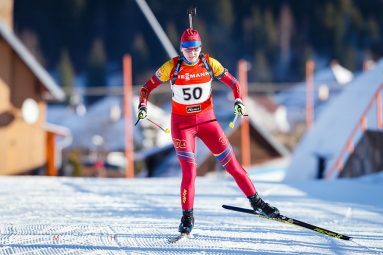 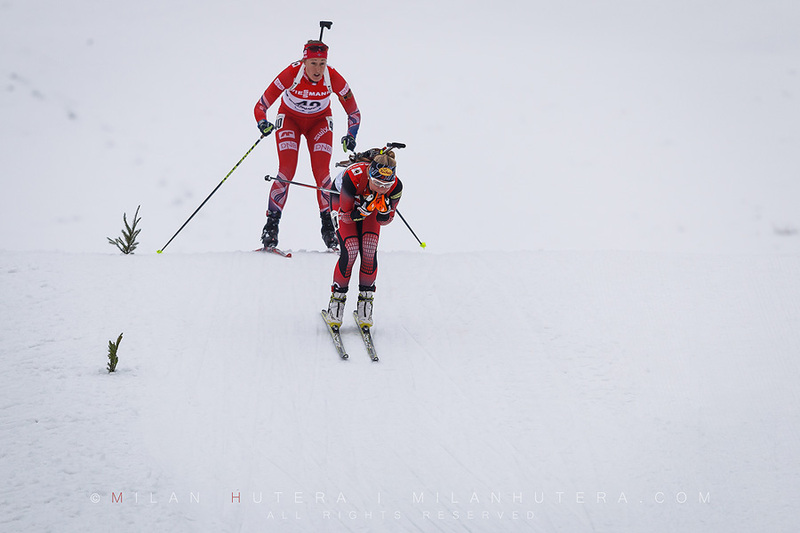 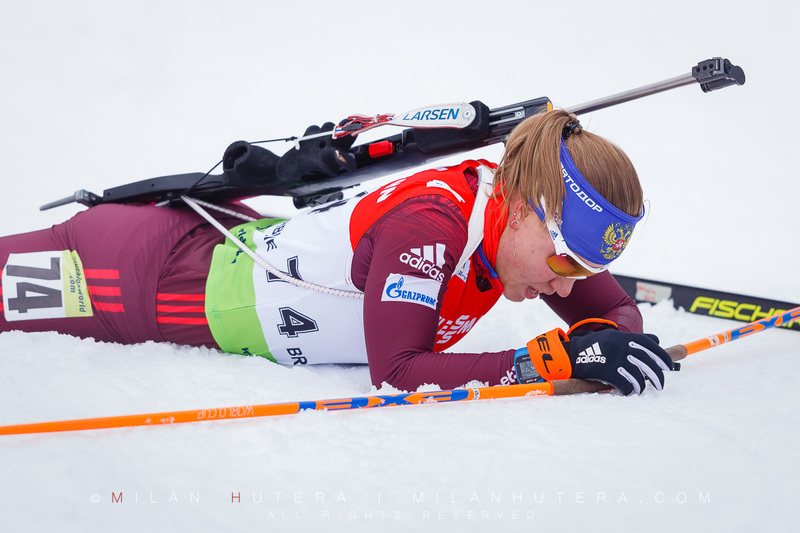 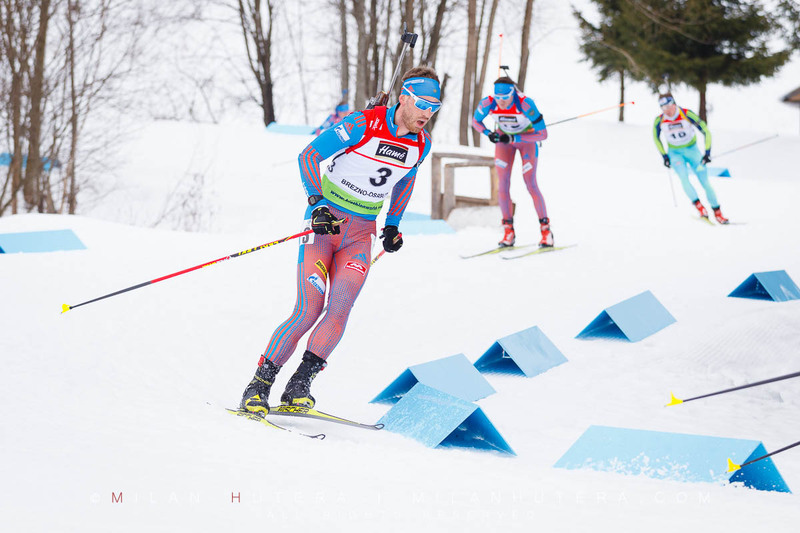 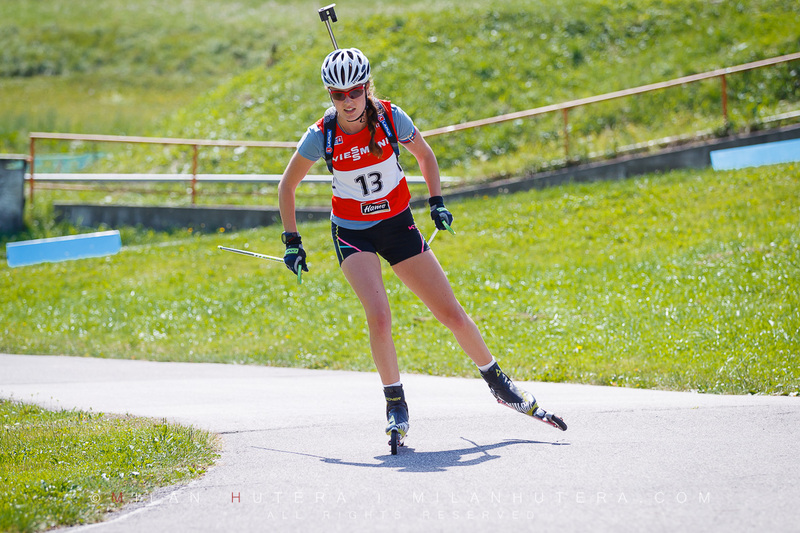 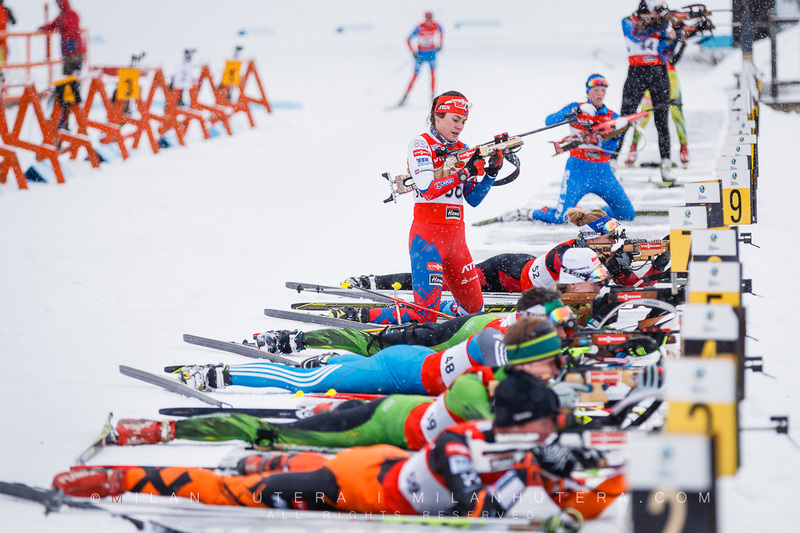 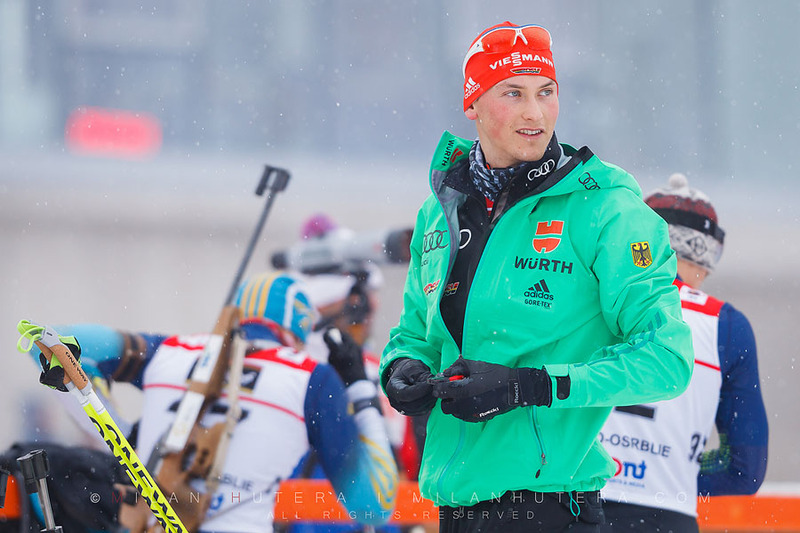 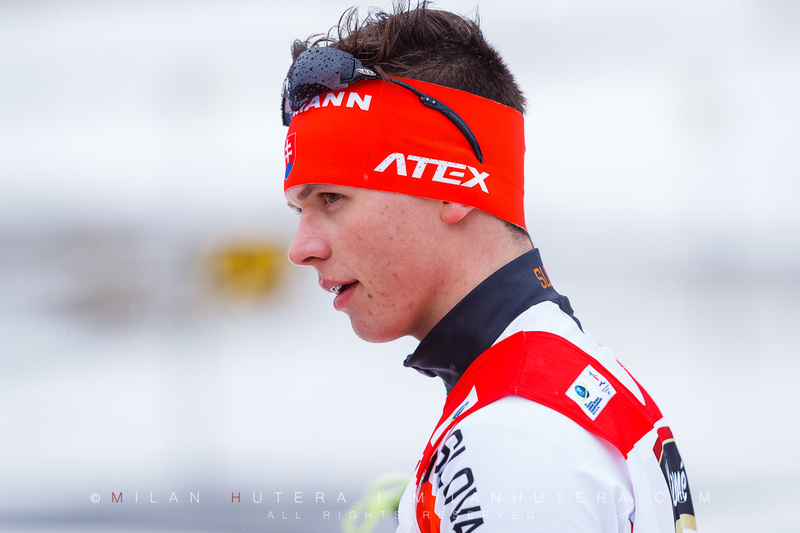 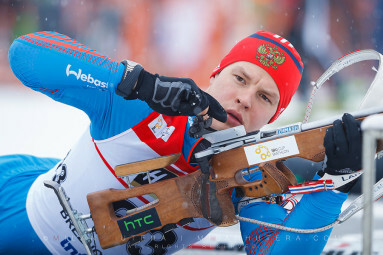 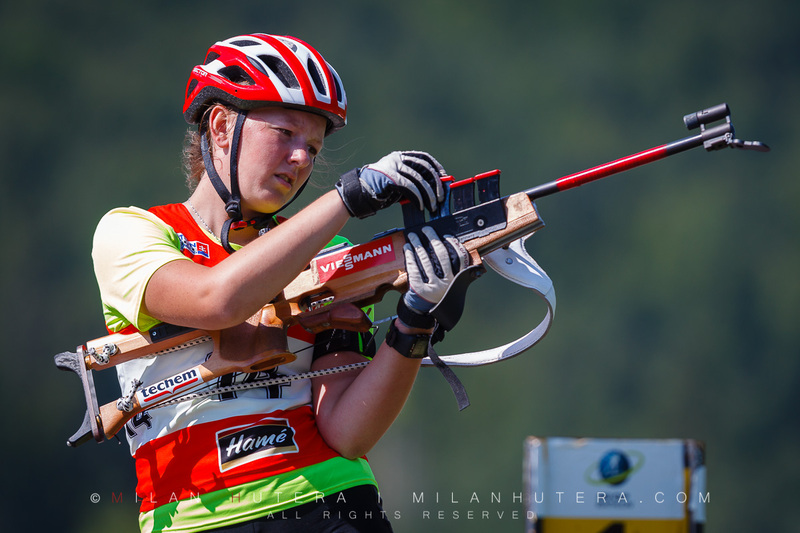 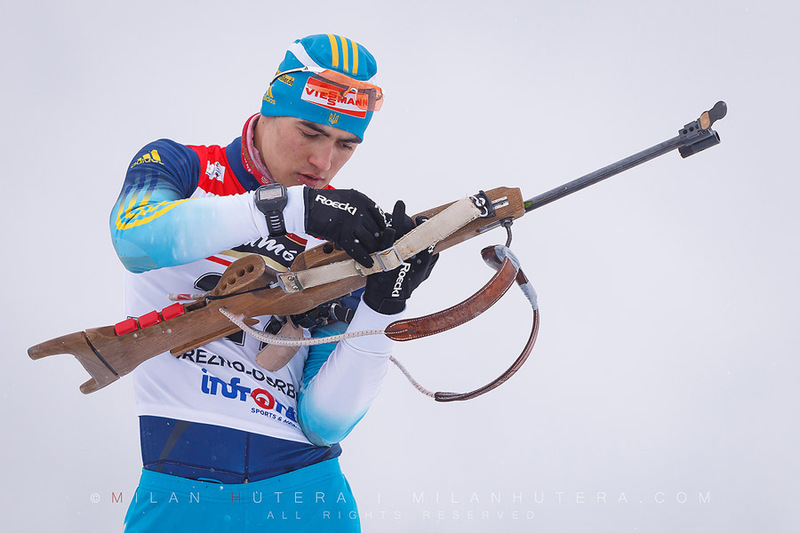 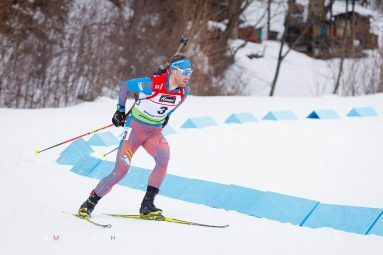 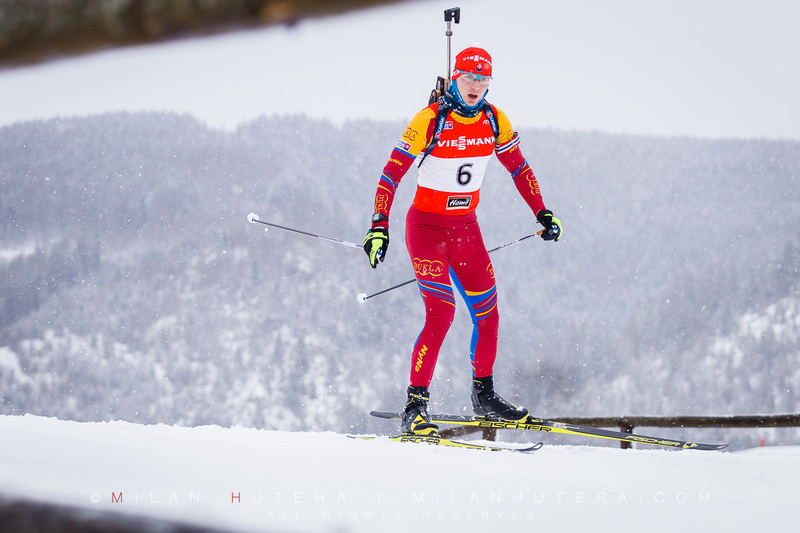 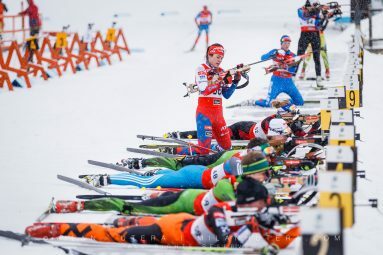 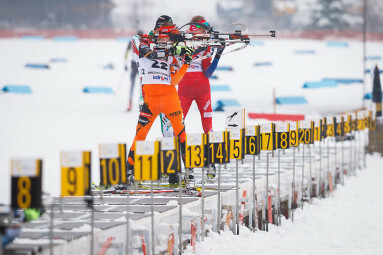 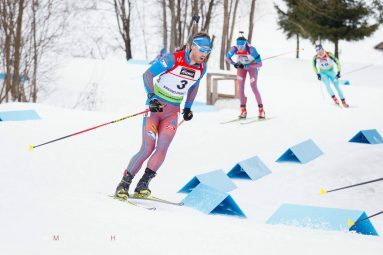 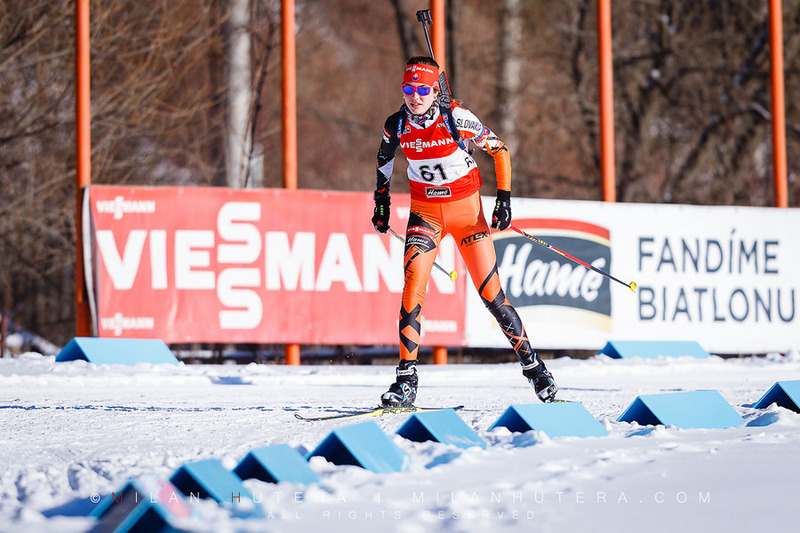 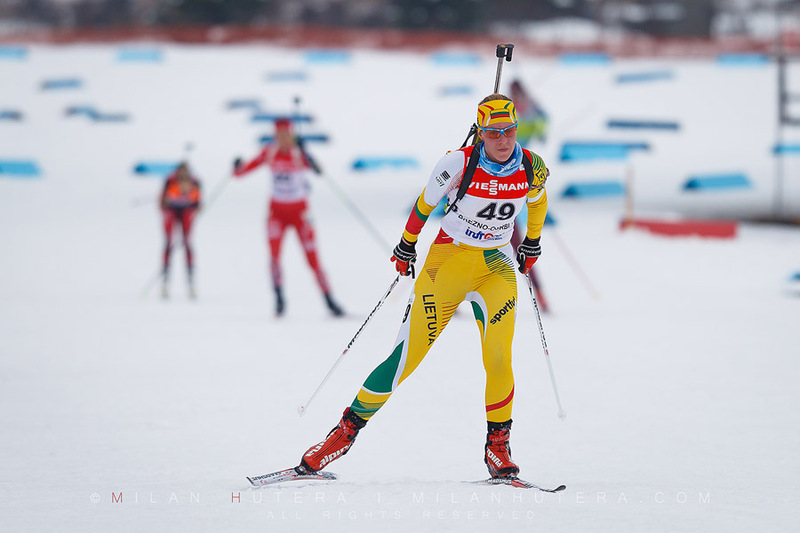 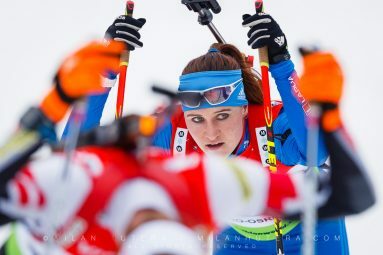 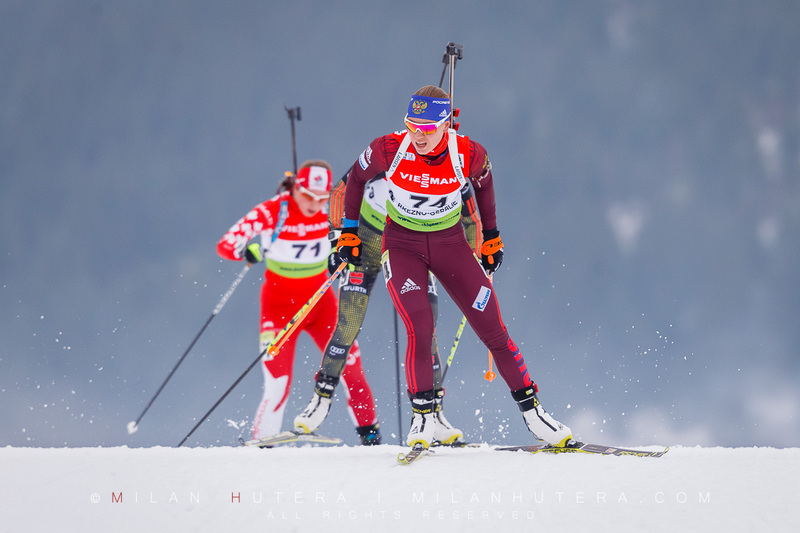 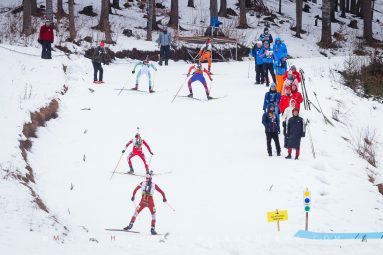 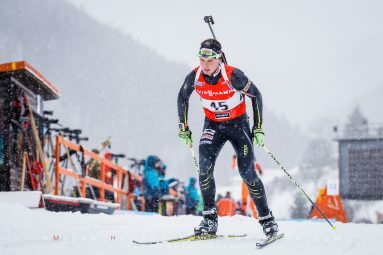 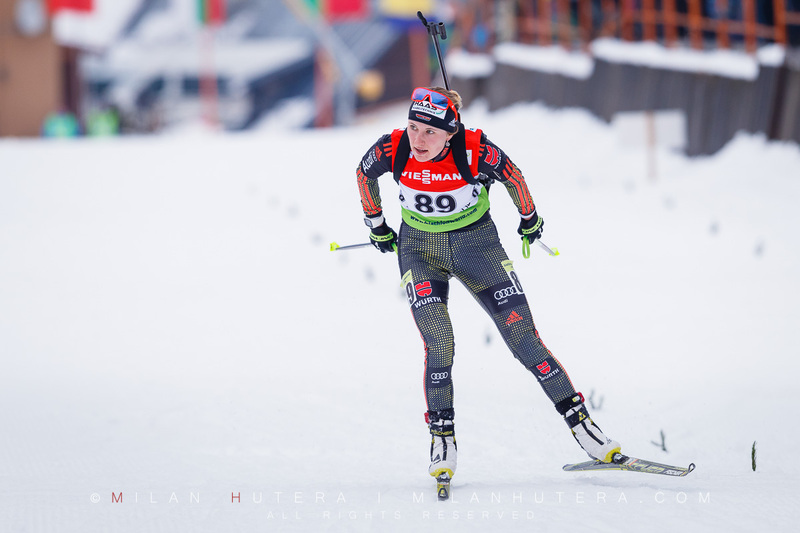 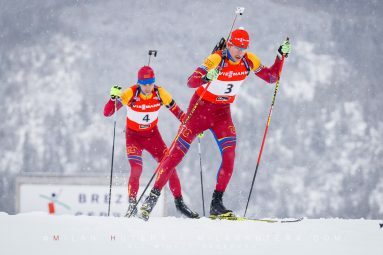 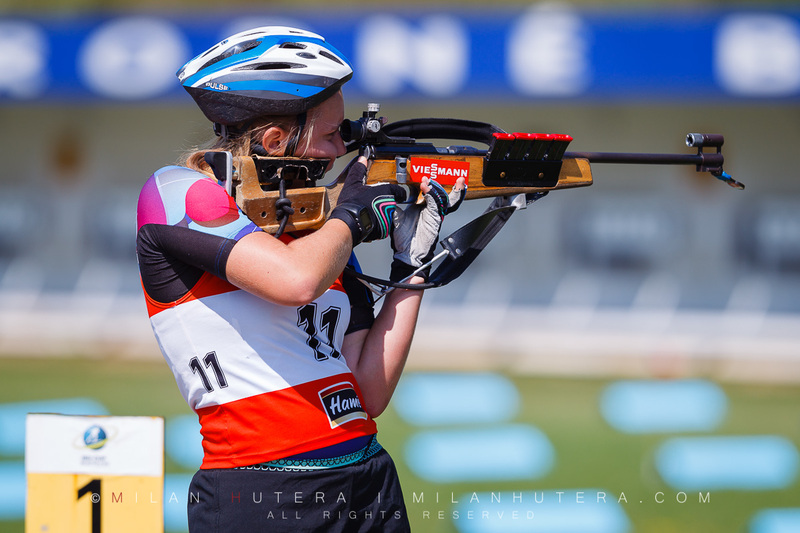 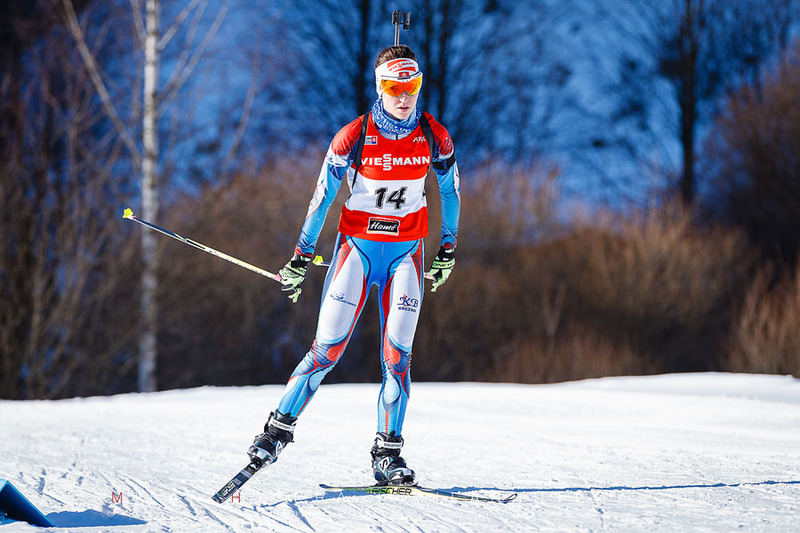 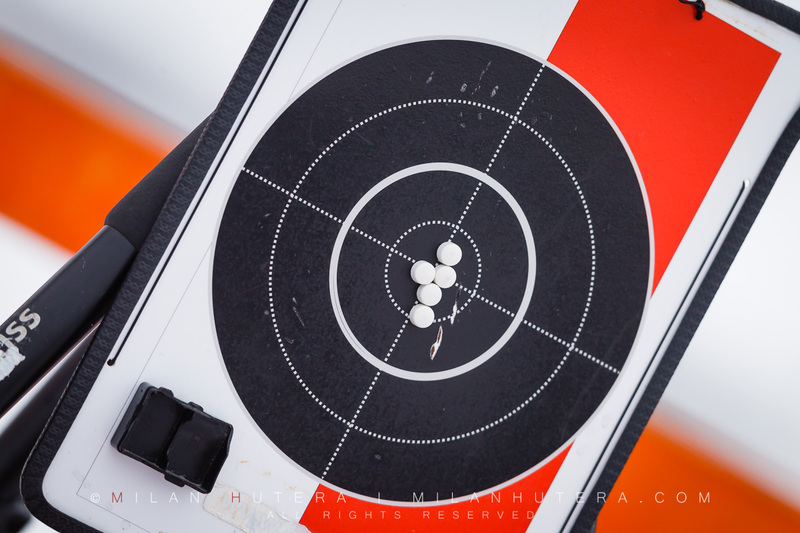 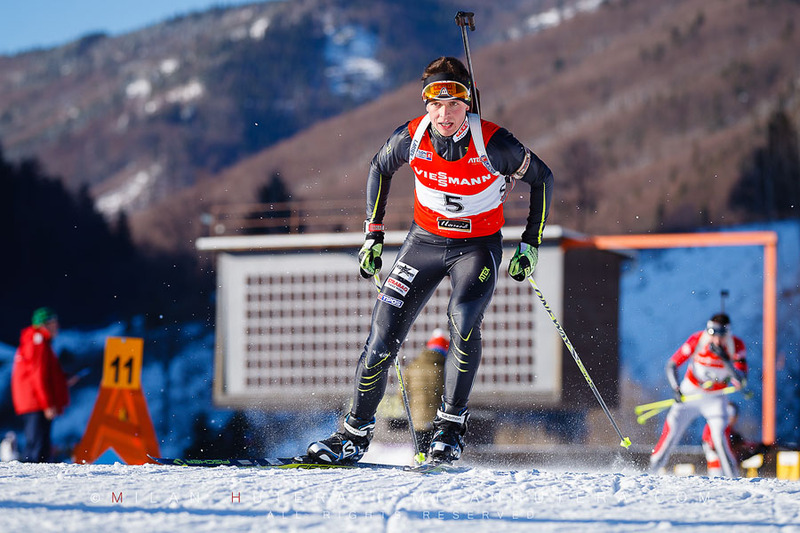 More than 80 biathletes in 11 categories competed in pursuit. 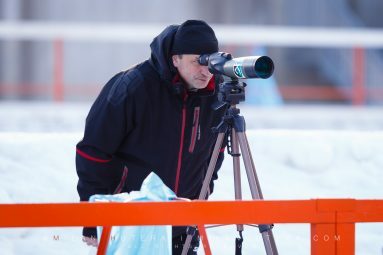 Although the weather was beautiful, the shooting conditions were difficult because the wind was constantly changing. 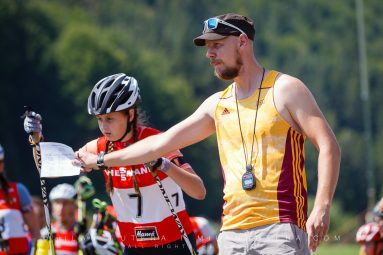 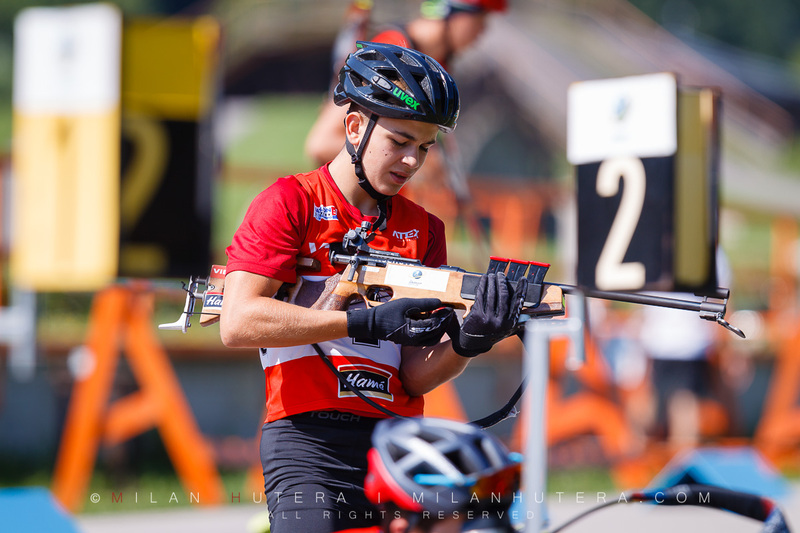 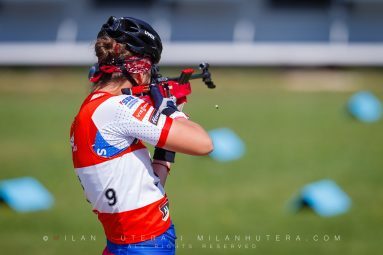 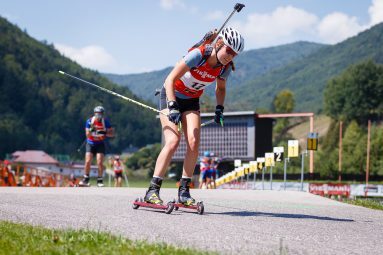 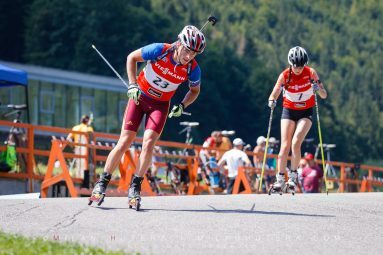 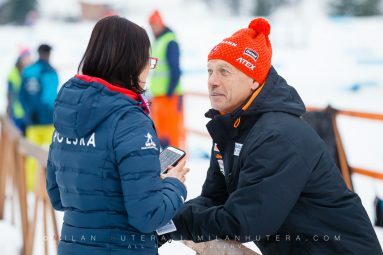 My main focus was on Miroslav Pavlak (u19, Member of Stars For Stars), Veronika Machyniakova (u21) as well as members of Slovak biathlon team Jana Gerekova, Tomas Hasilla and Matej Kazar. 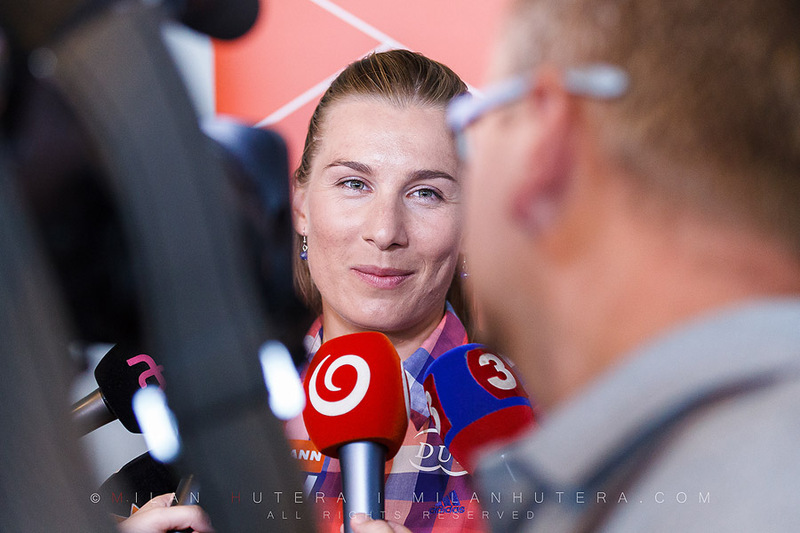 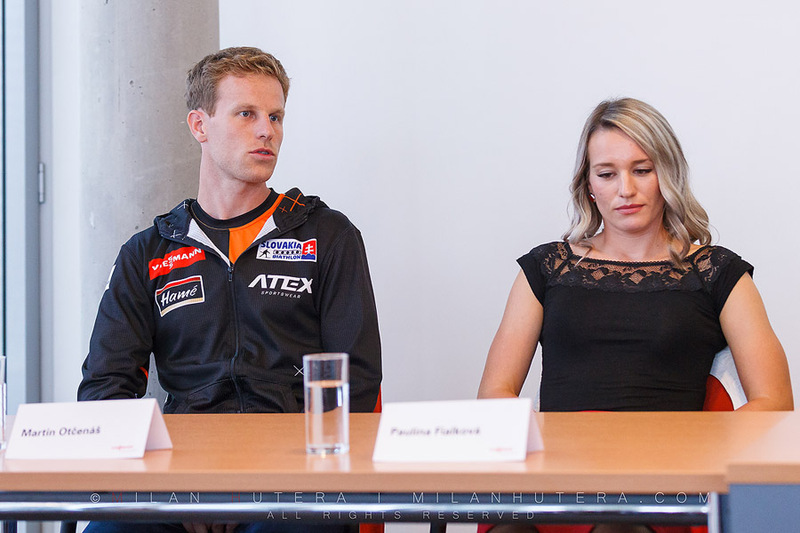 On September 6th 2016 Slovak biathletes Anastasia Kuzmina, Paulina Fialkova and Martin Otcenas met the press before the start of 2016/2017 season. 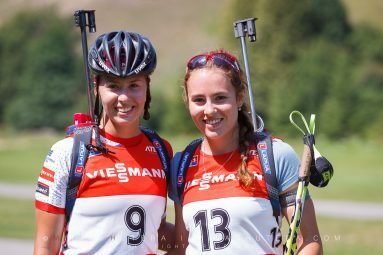 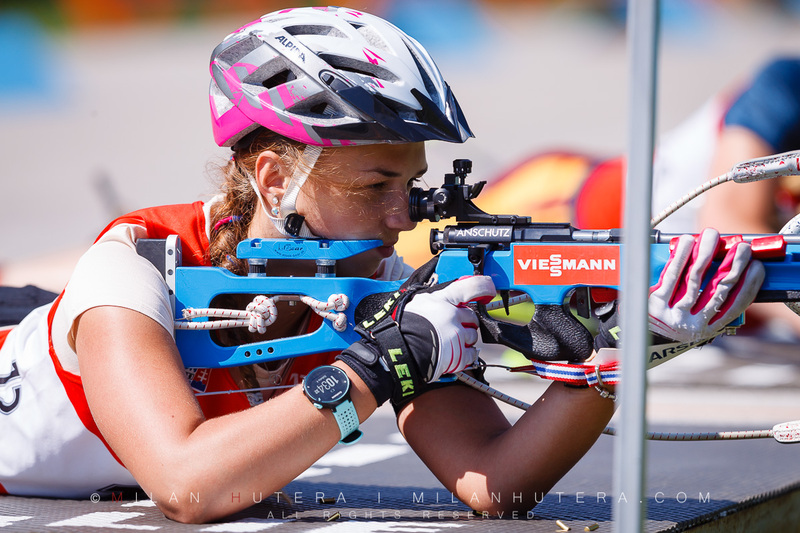 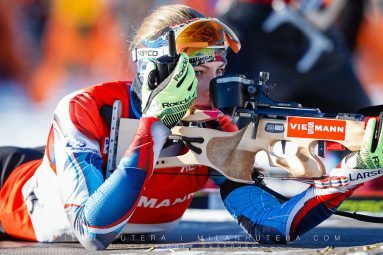 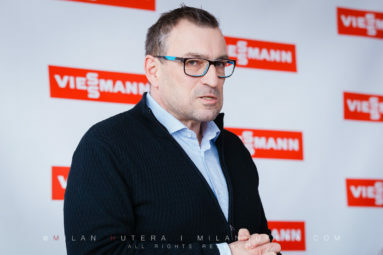 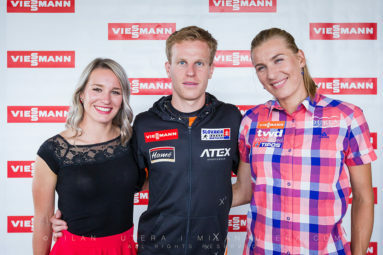 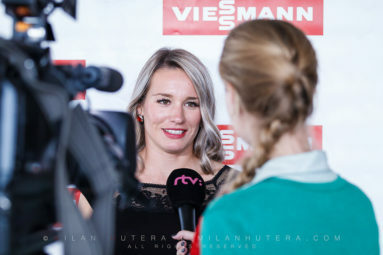 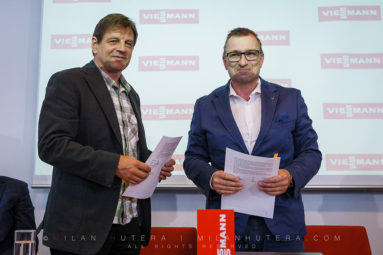 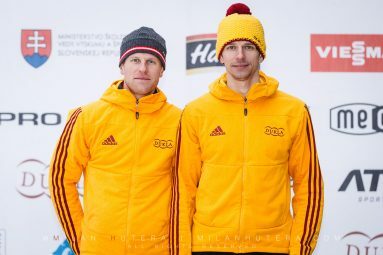 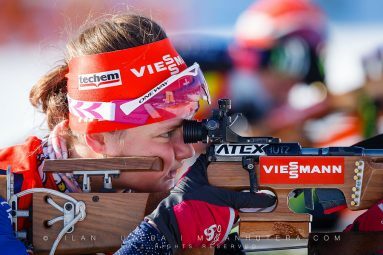 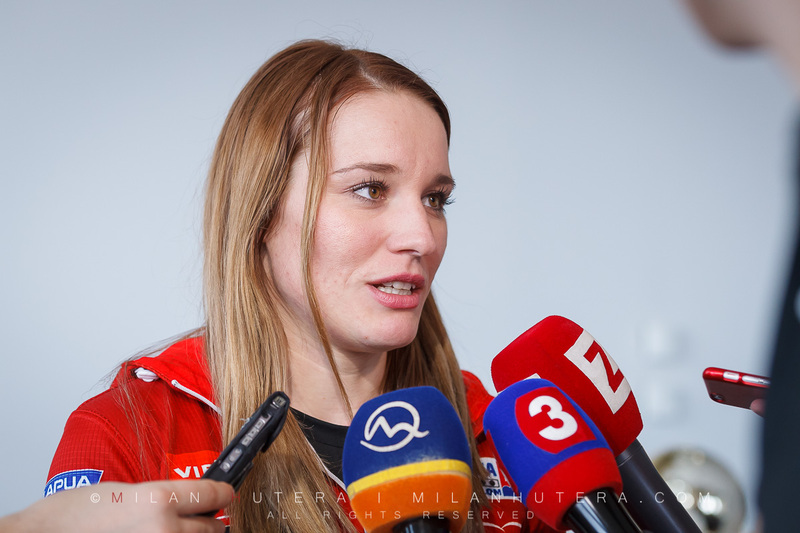 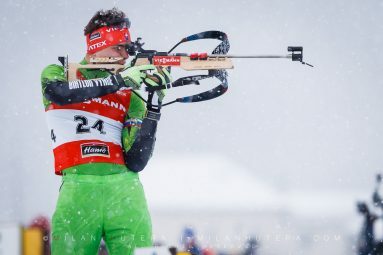 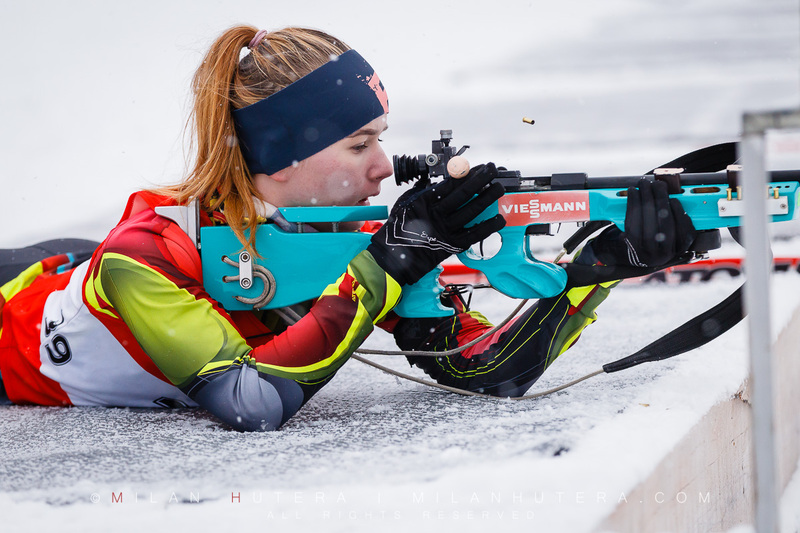 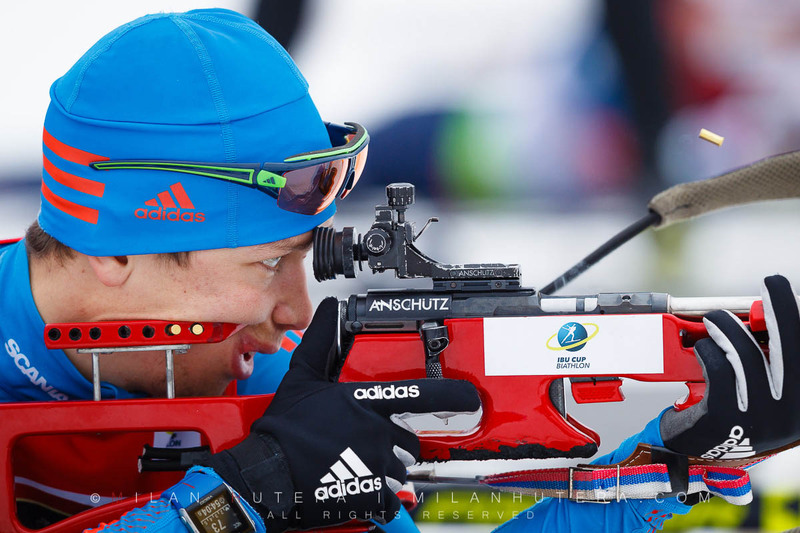 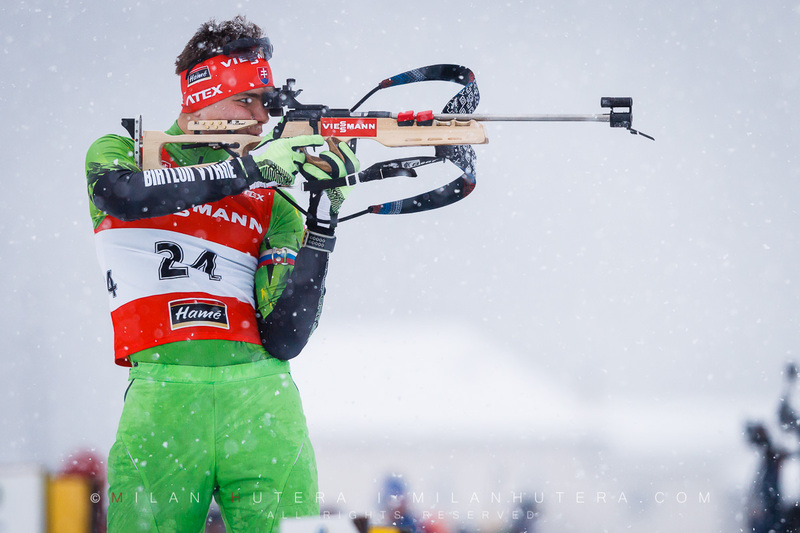 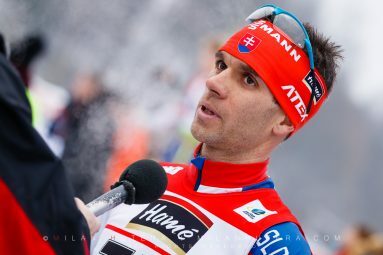 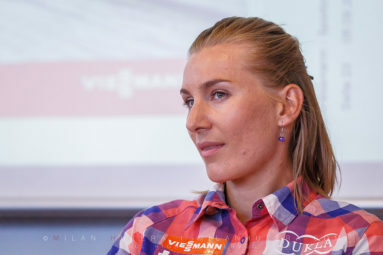 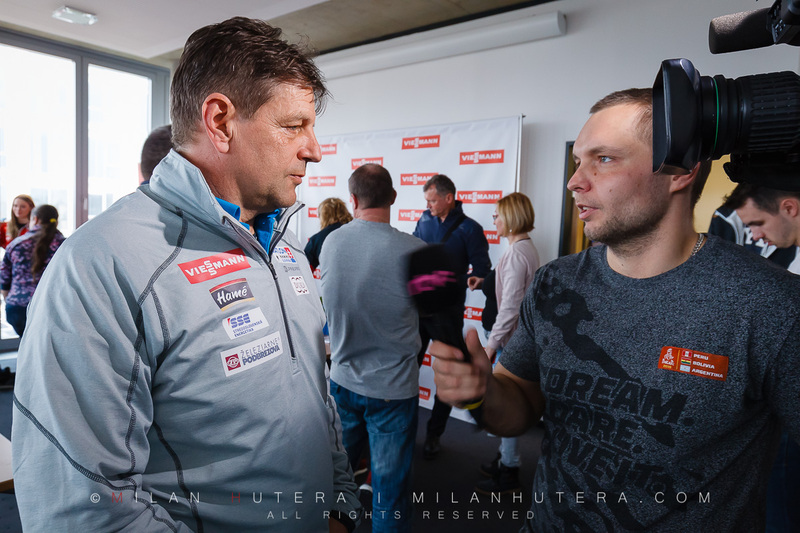 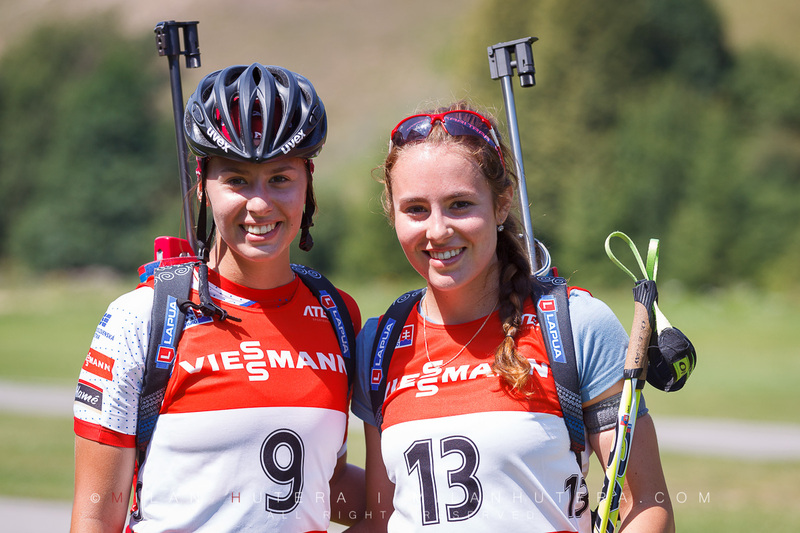 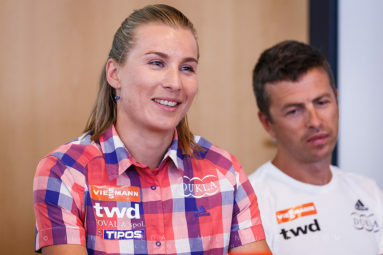 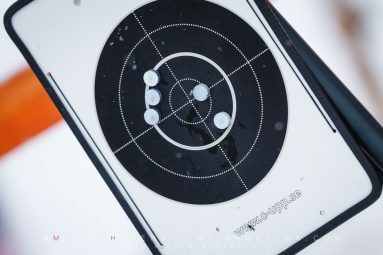 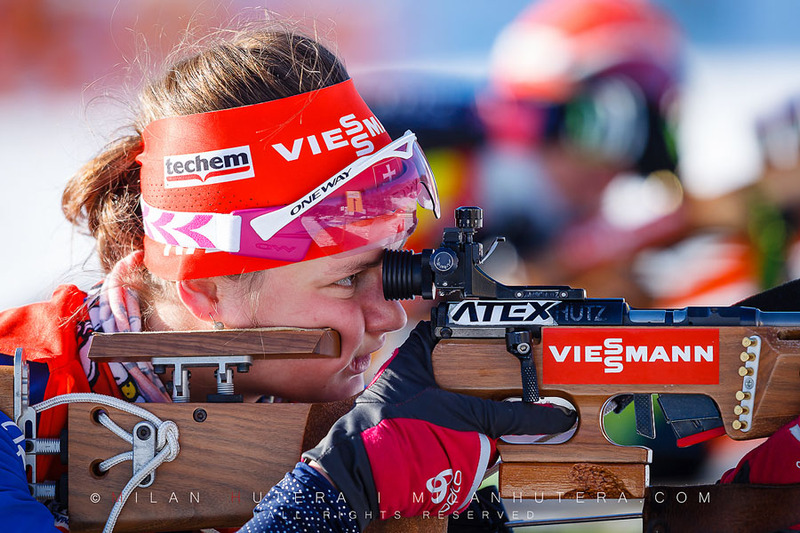 After extending the sponsorship contract between Viessmann Slovakia and Slovak Biathlon Union, the three biathletes informed the press about their goals for the upcoming season. 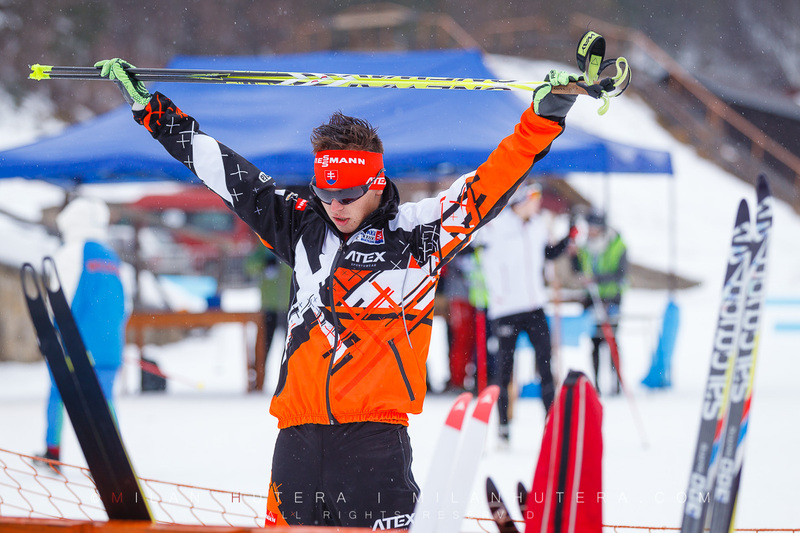 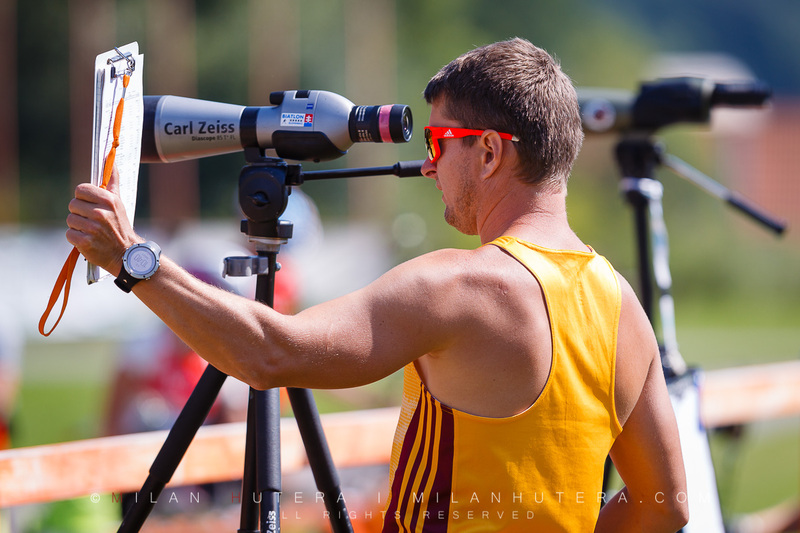 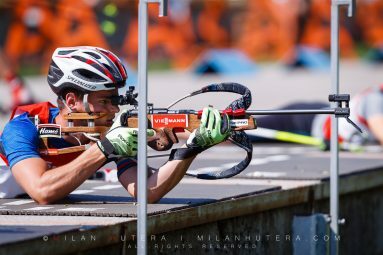 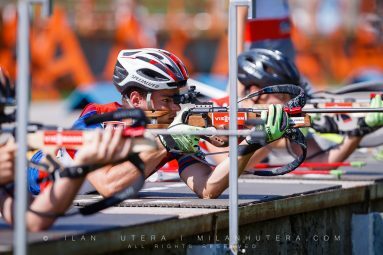 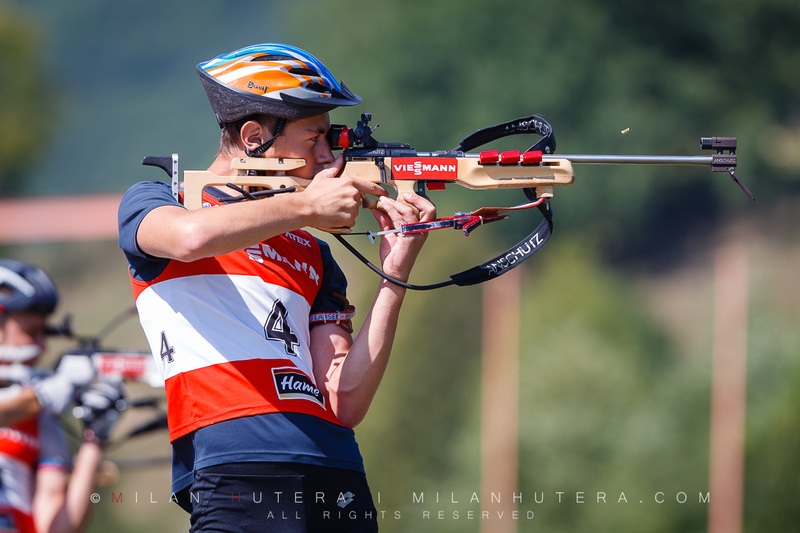 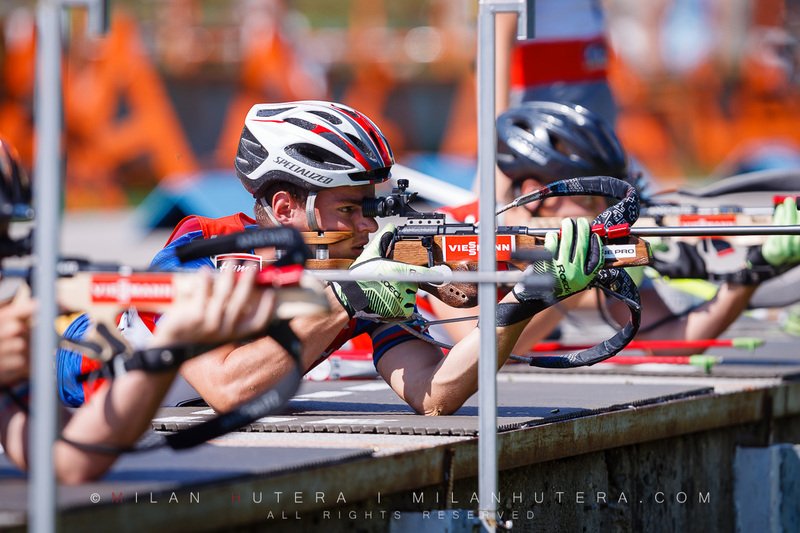 Martin Otcenas is a fresh two-time champion at Summer Biathlon Championships. 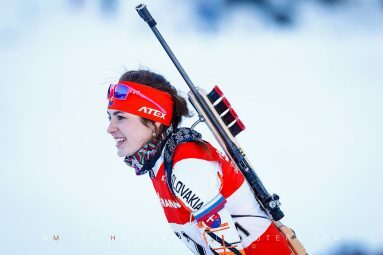 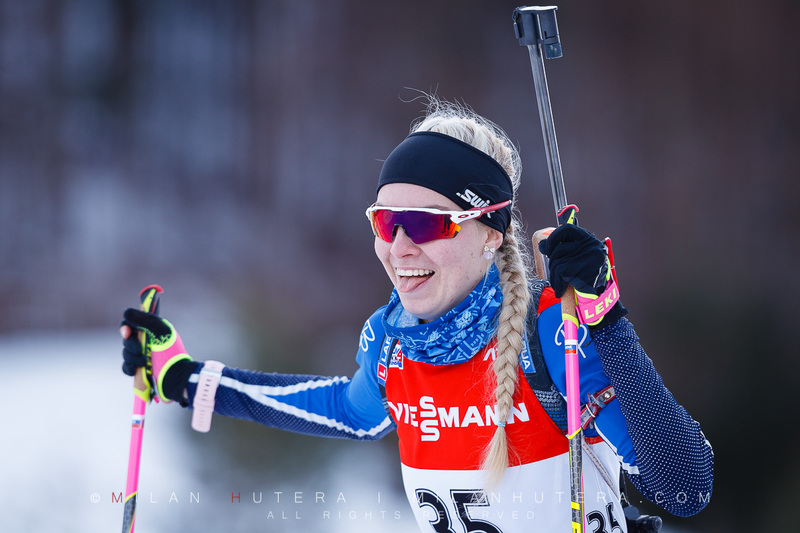 Paulina Fialkova had some respectable results at IBU World Cup, as well as on IBU Cup Championships, where she won two medals. 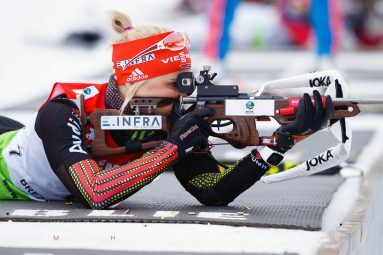 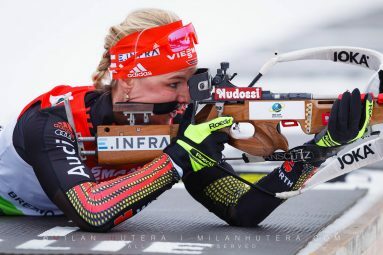 The two-time Olympic champion Anastasia Kuzmina returns to biathlon from maternity leave after two seasons. 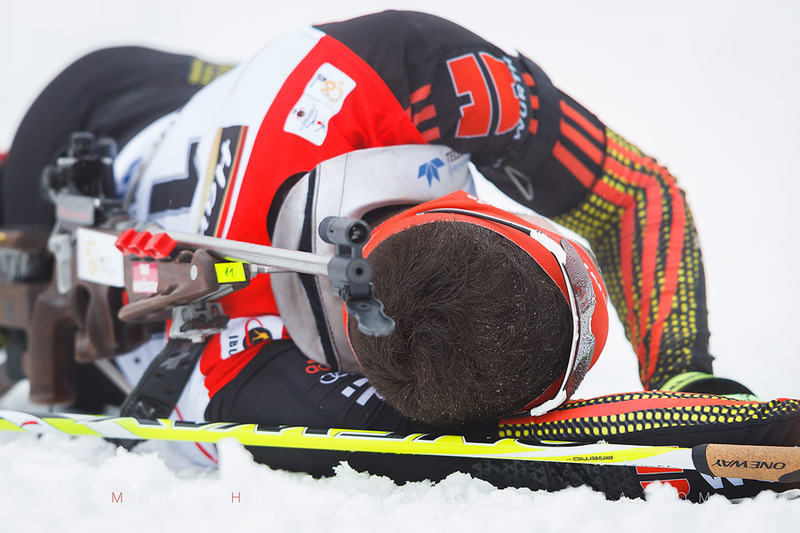 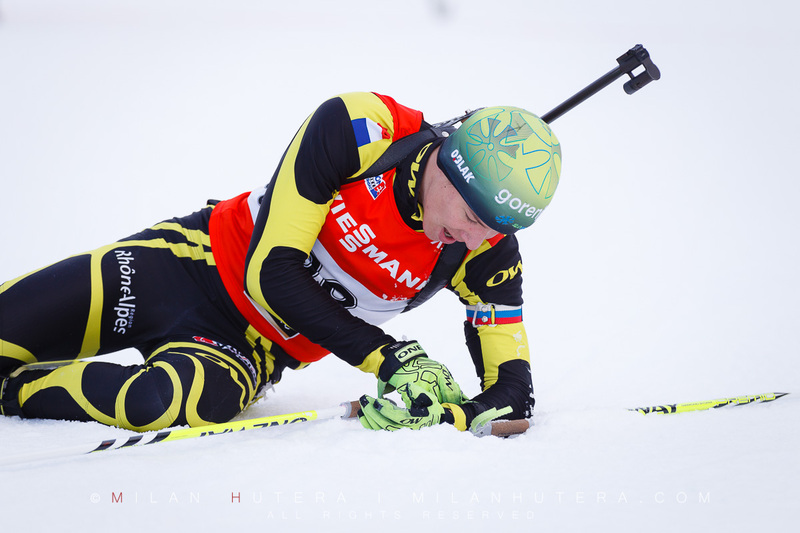 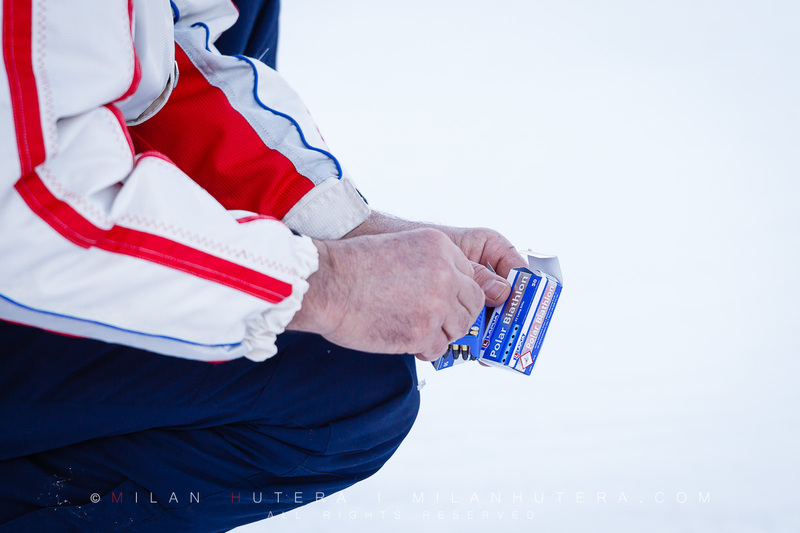 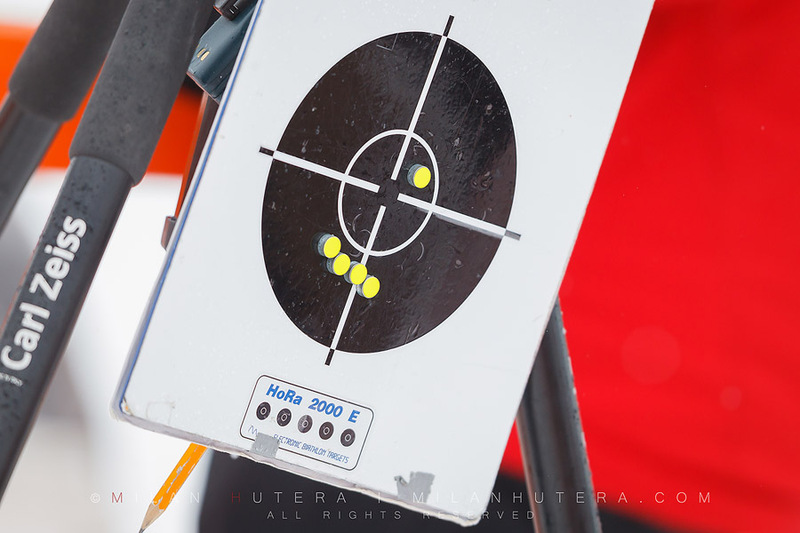 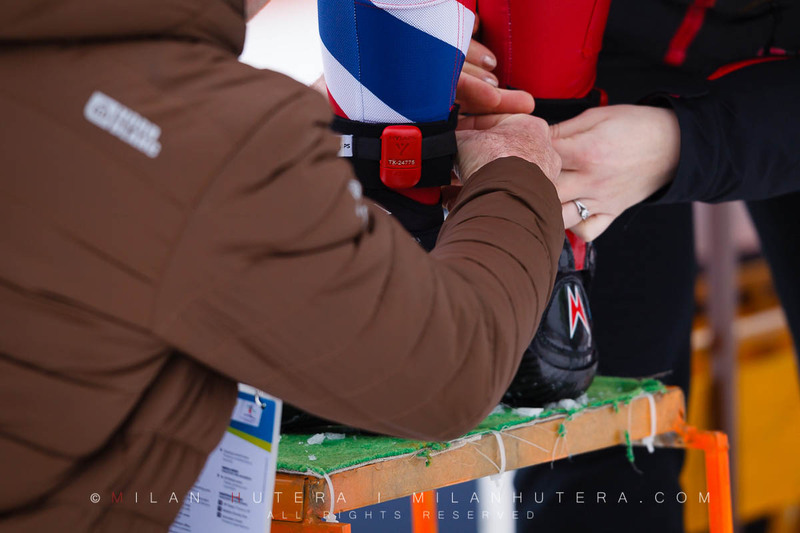 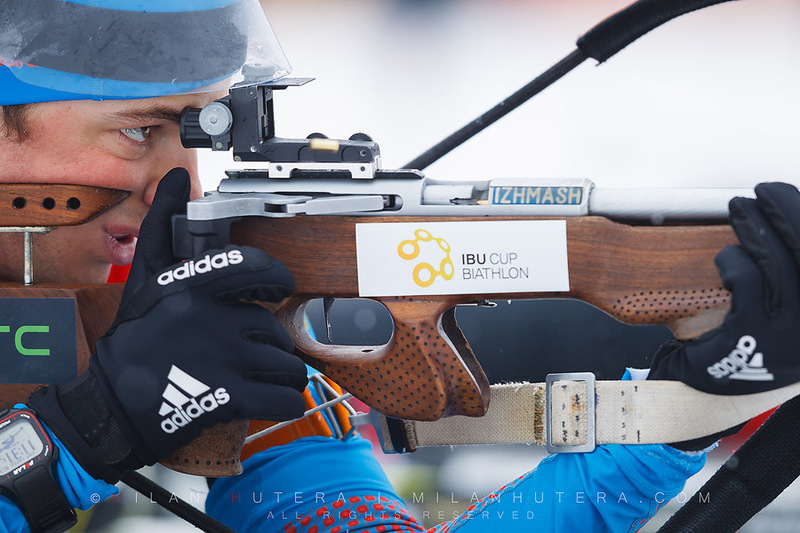 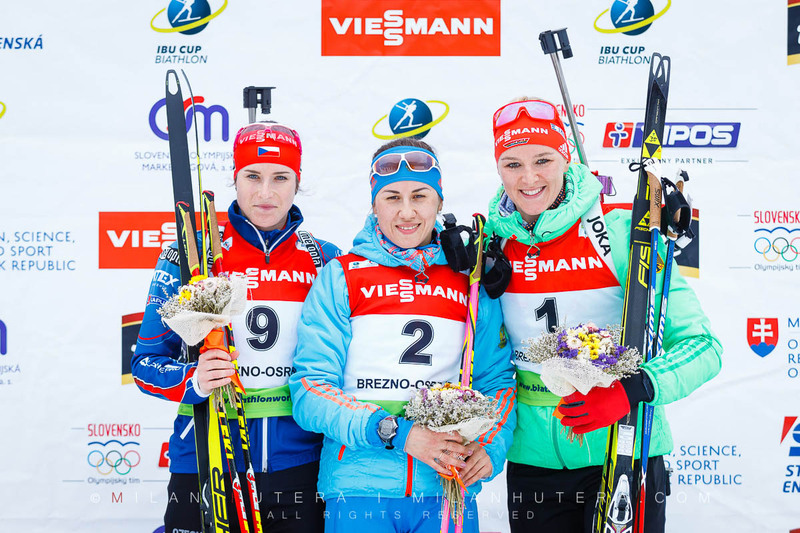 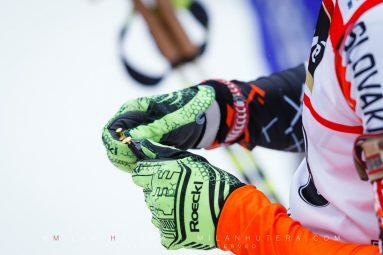 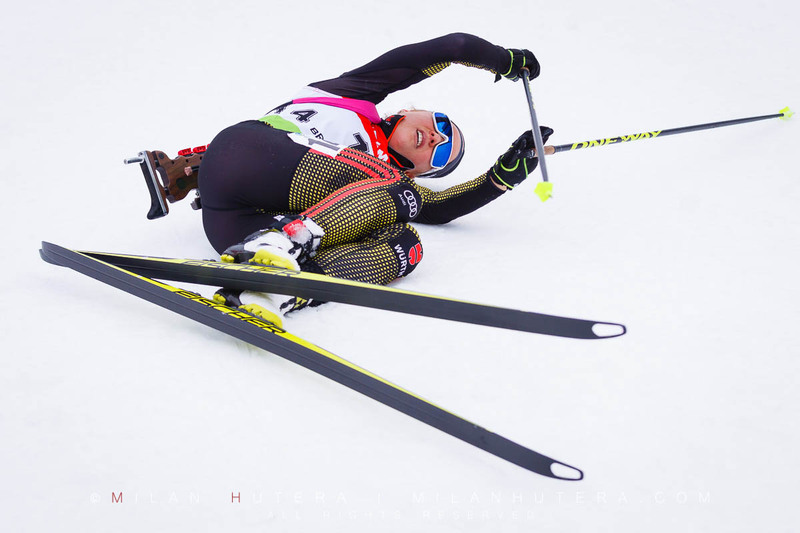 The 7th edition of IBU Biathlon Cup 2015/2016 took place during the second weekend of February 2016 in Osrblie, Slovakia. 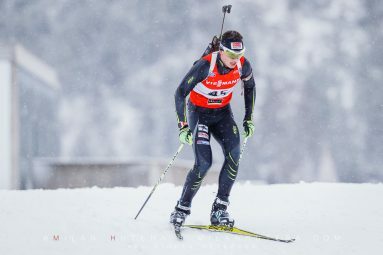 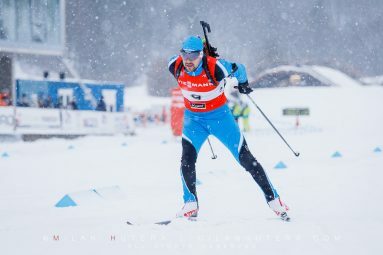 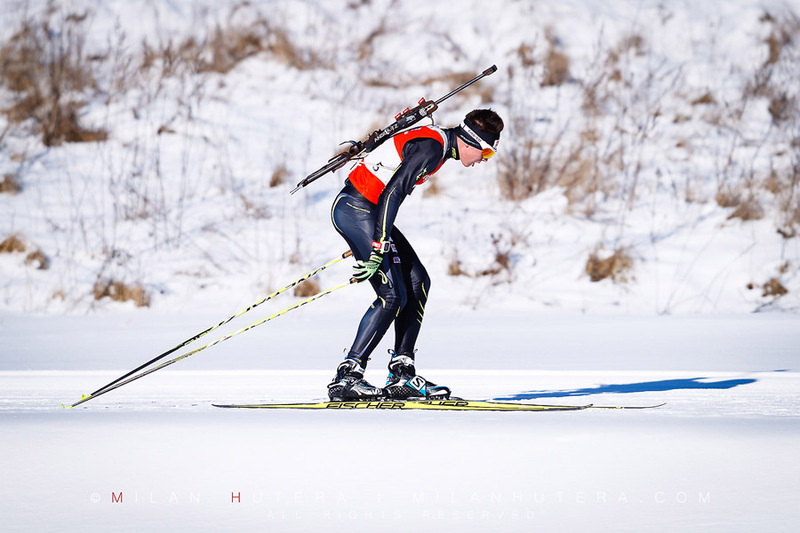 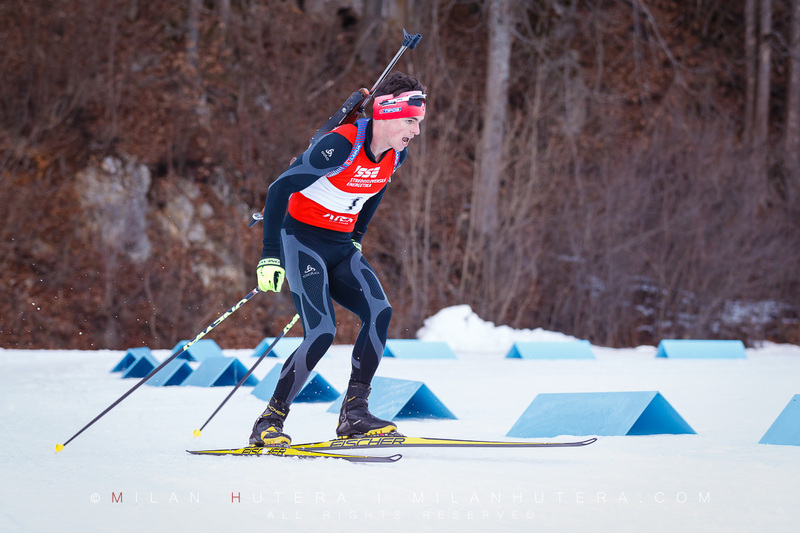 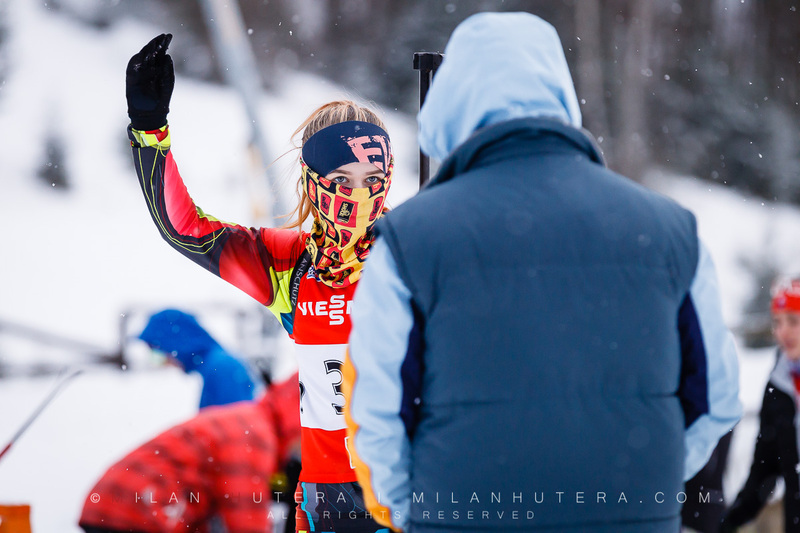 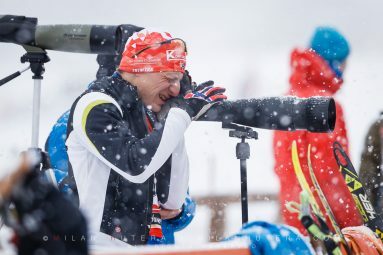 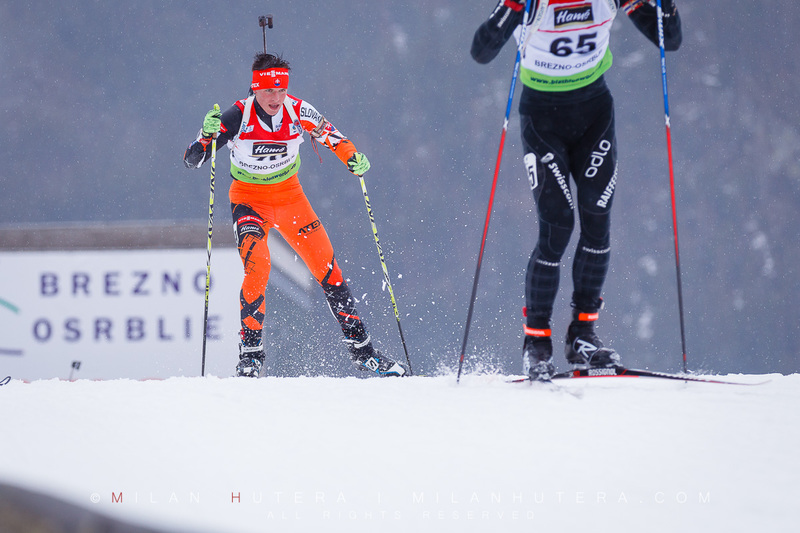 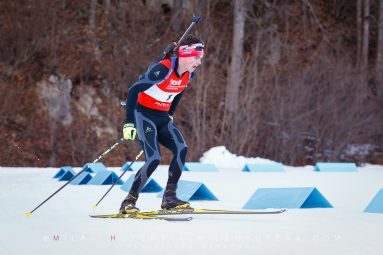 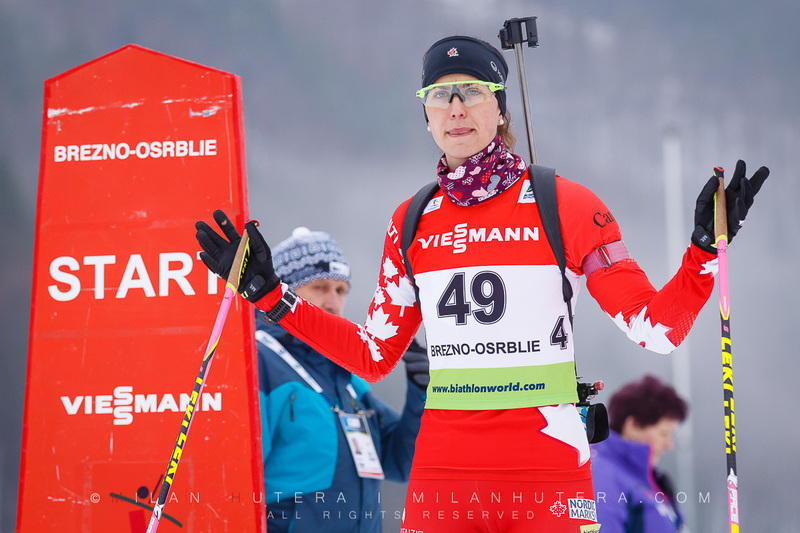 The toughest individual races were held on Saturday, February 13th (Four shootings, penalty minutes instead of penalty loops, 20 kilometers for men and 15 kilometers for women). 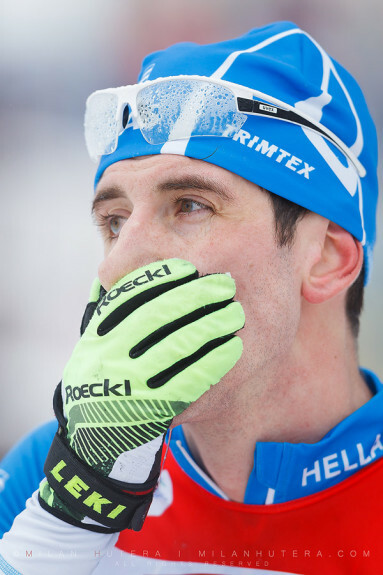 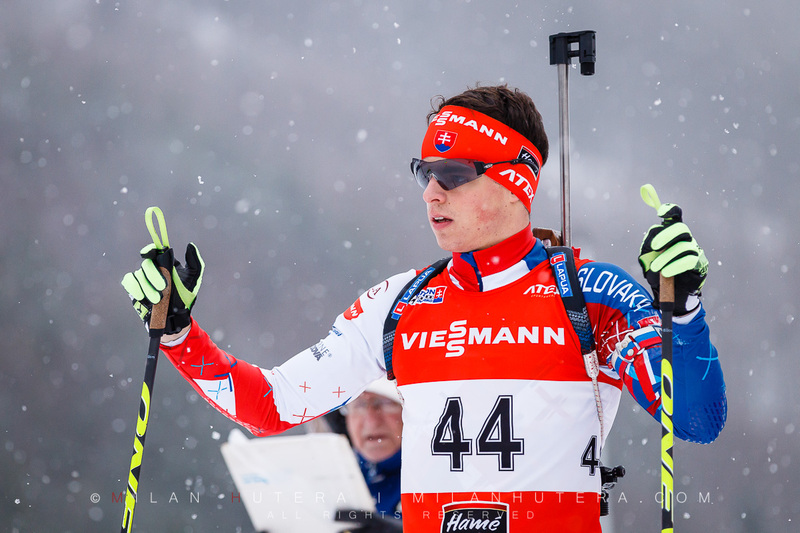 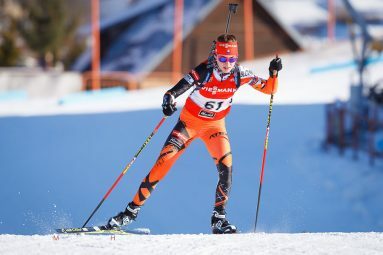 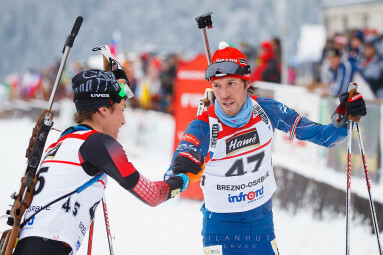 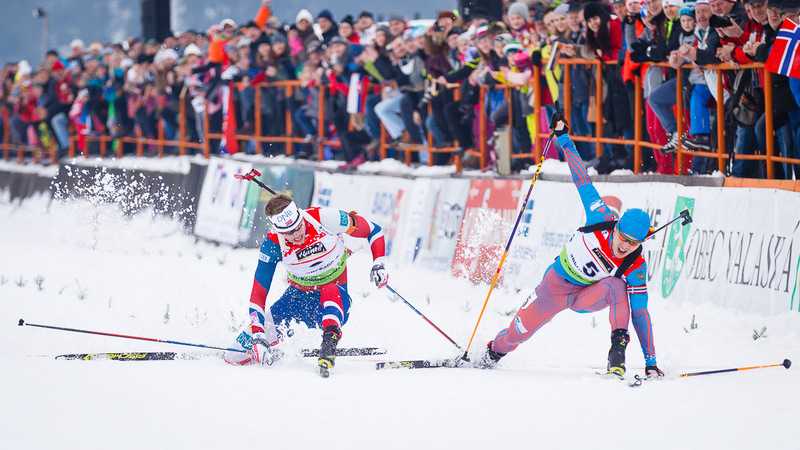 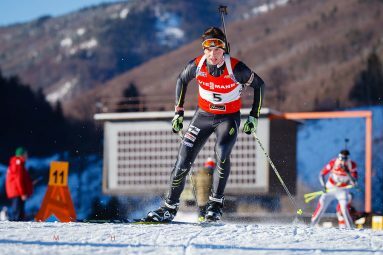 Matvey Eliseev of Russia won the men’s race and Marine Bolliet of France claimed the victory in women’s race. 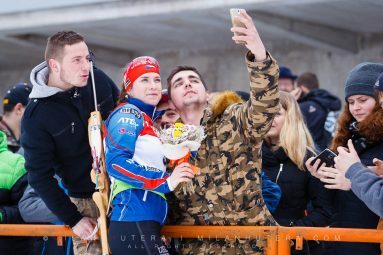 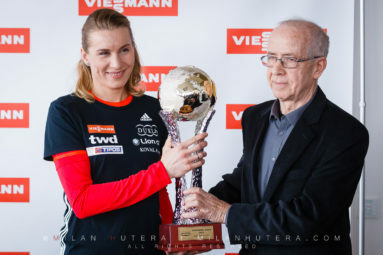 World Cup star Tiril Eckhoff of Norway also made an appearance in the heart of Slovakia. 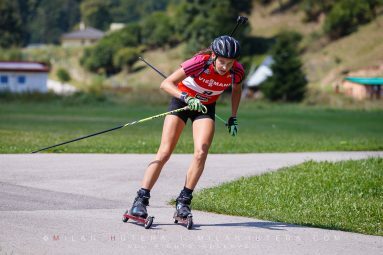 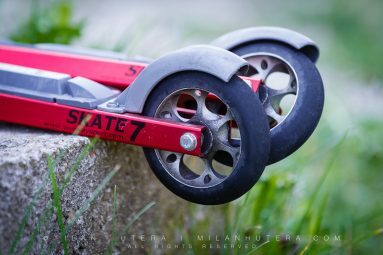 Her superfast skis and four penalty minutes were good enough for fifth place.